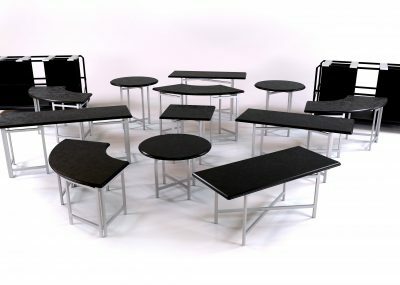 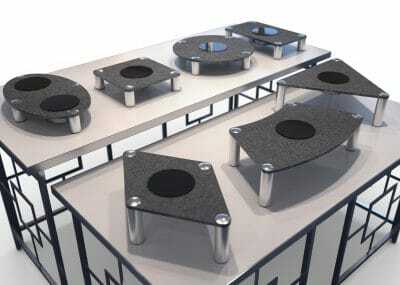 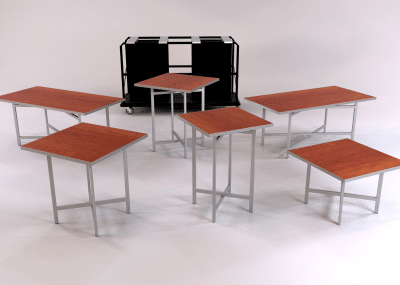 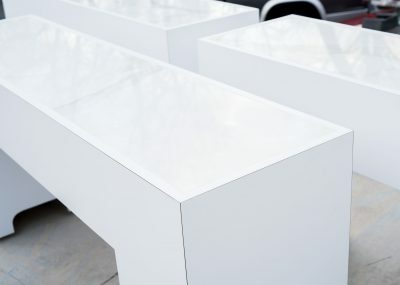 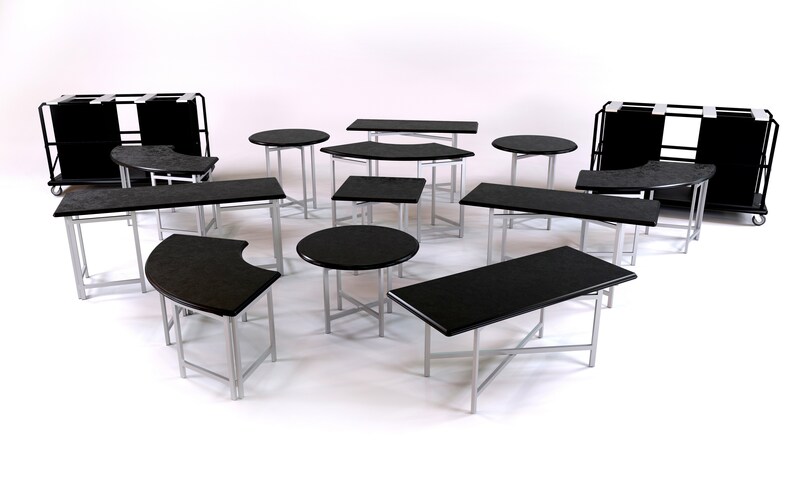 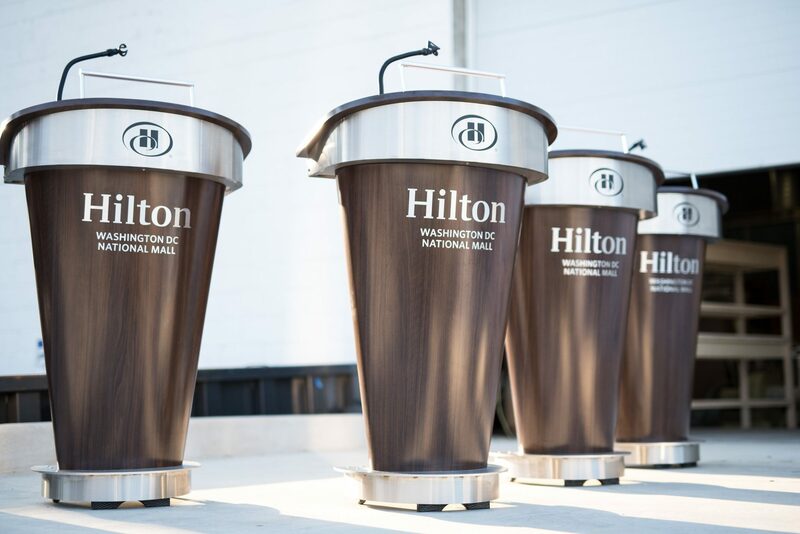 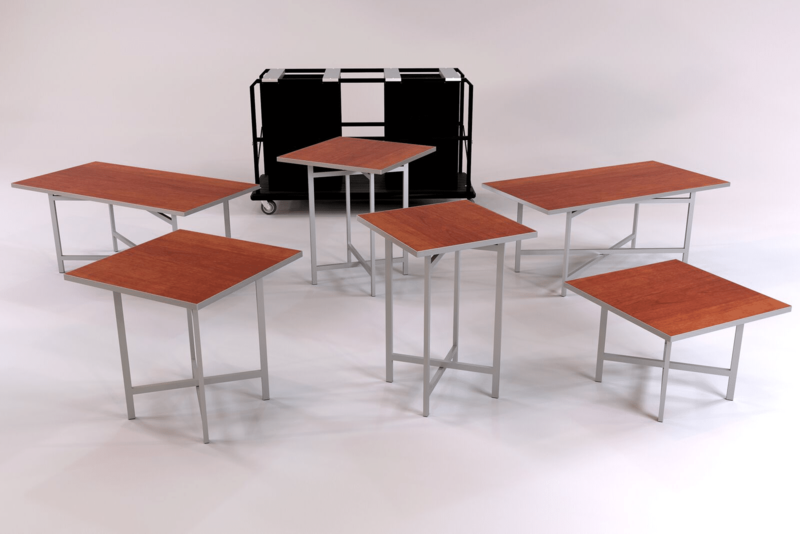 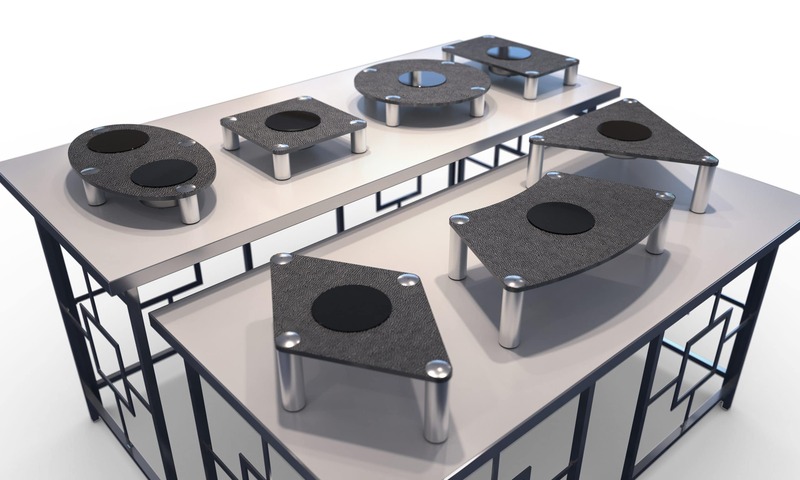 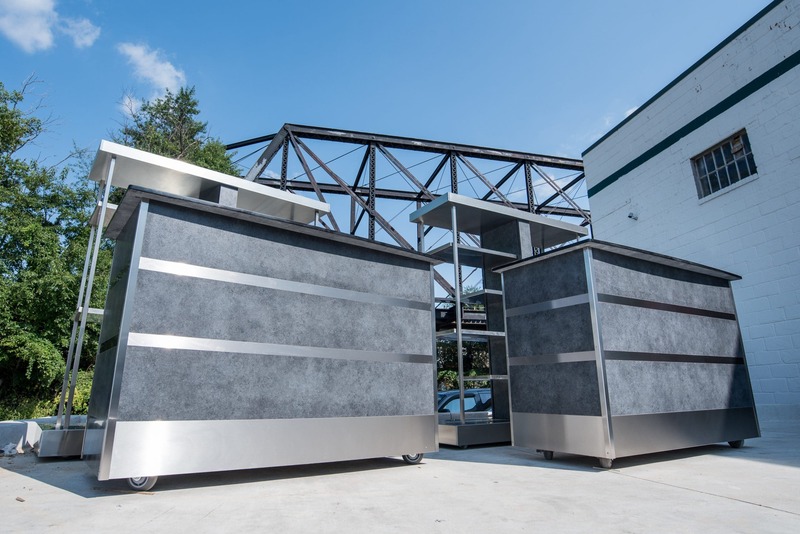 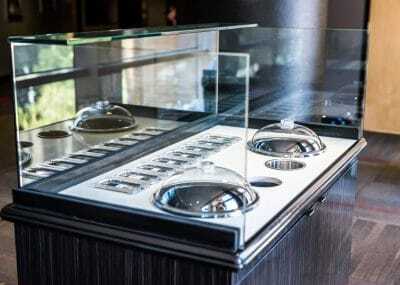 The Evolution (EVO) event management system combines various top shapes with corresponding bases of varying heights to create endless set-up possibilities. 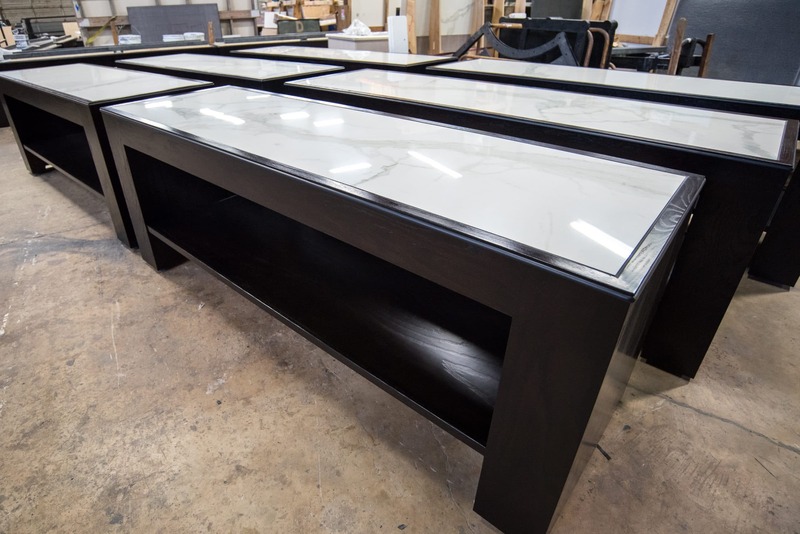 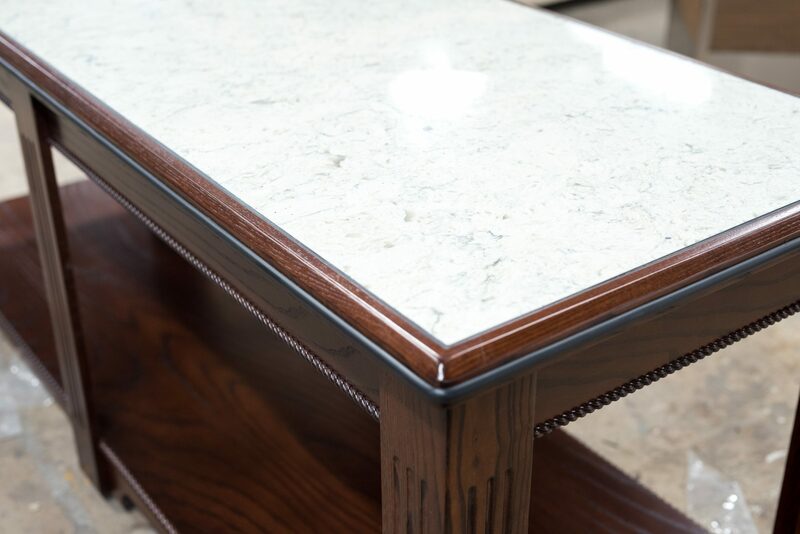 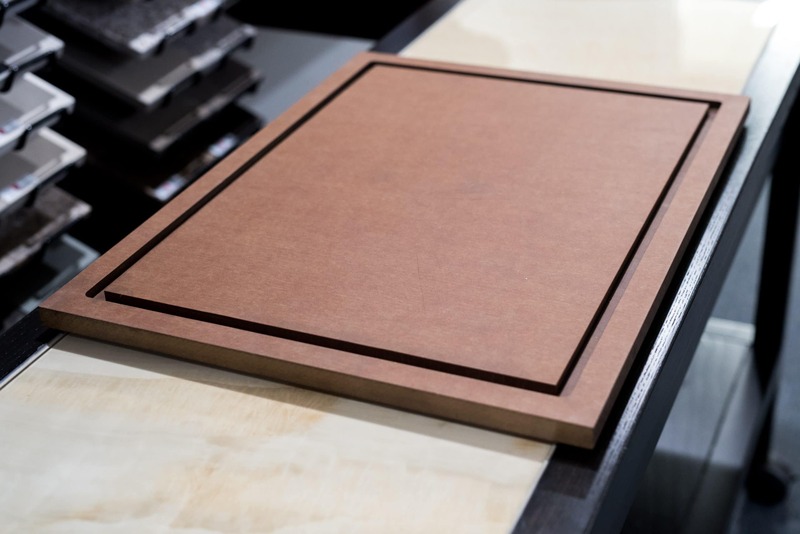 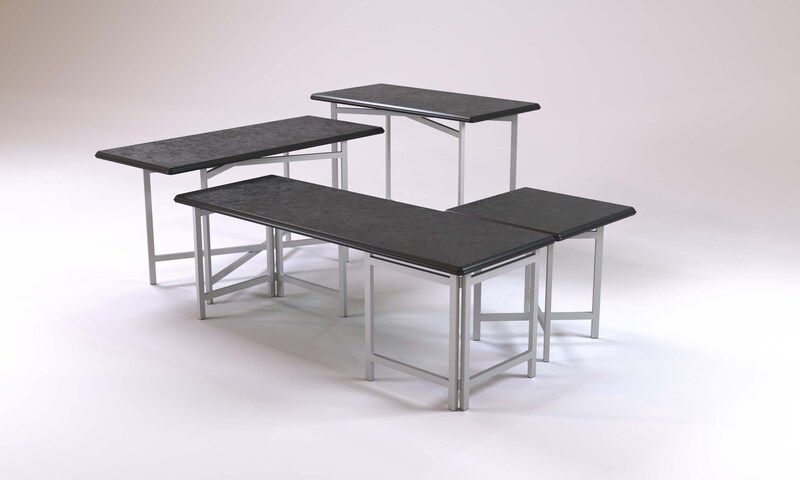 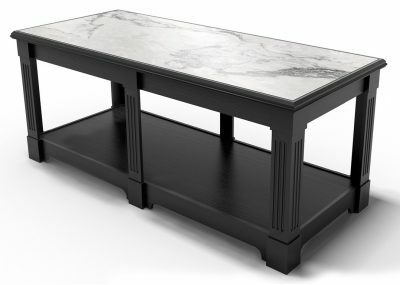 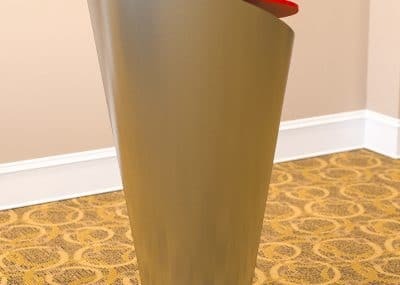 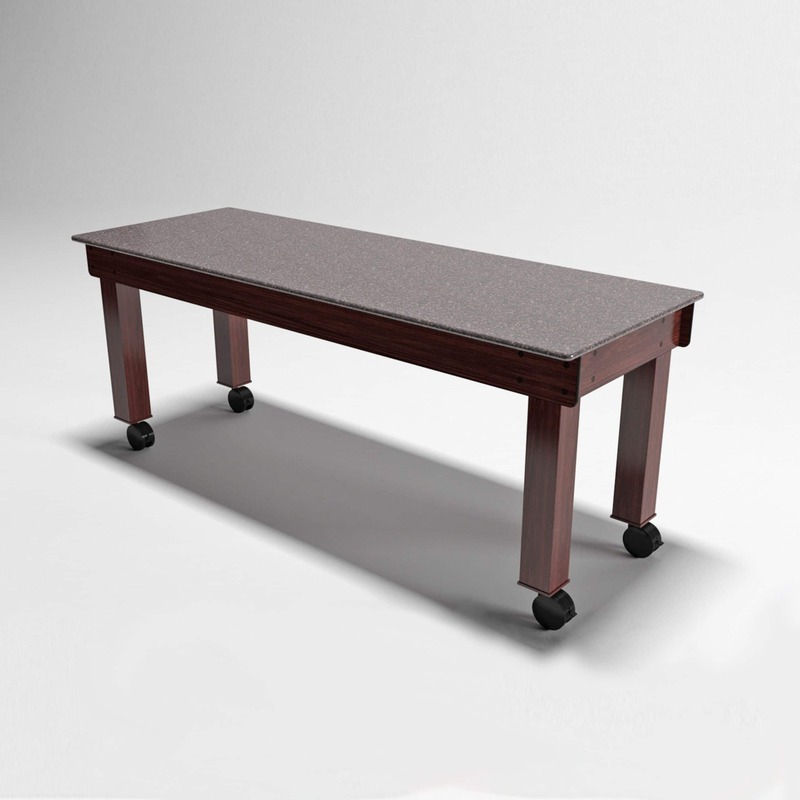 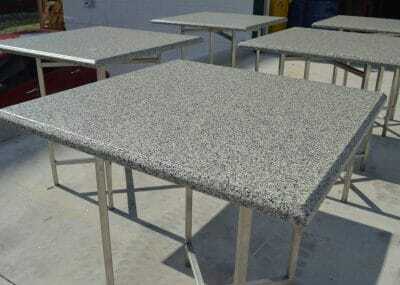 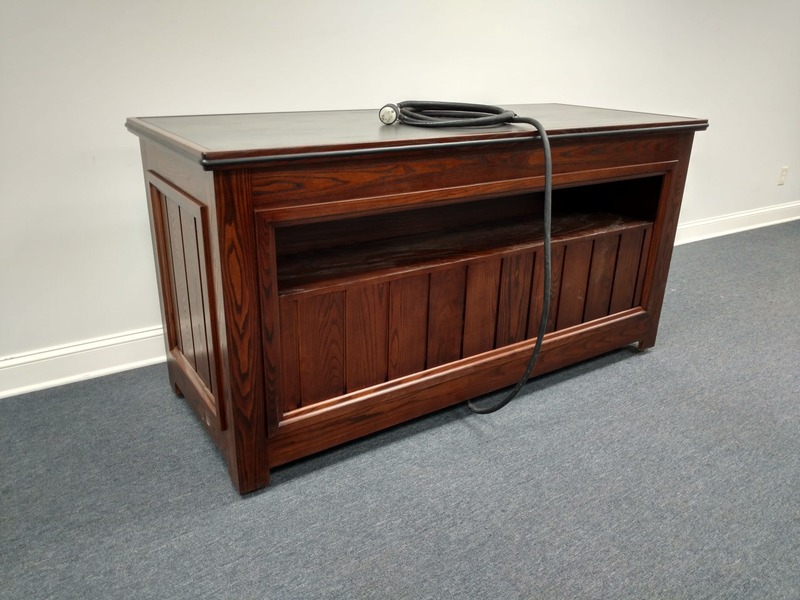 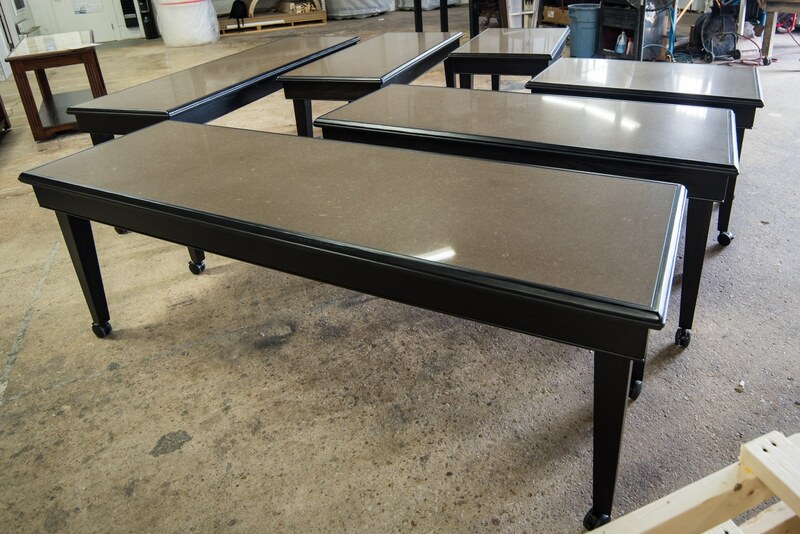 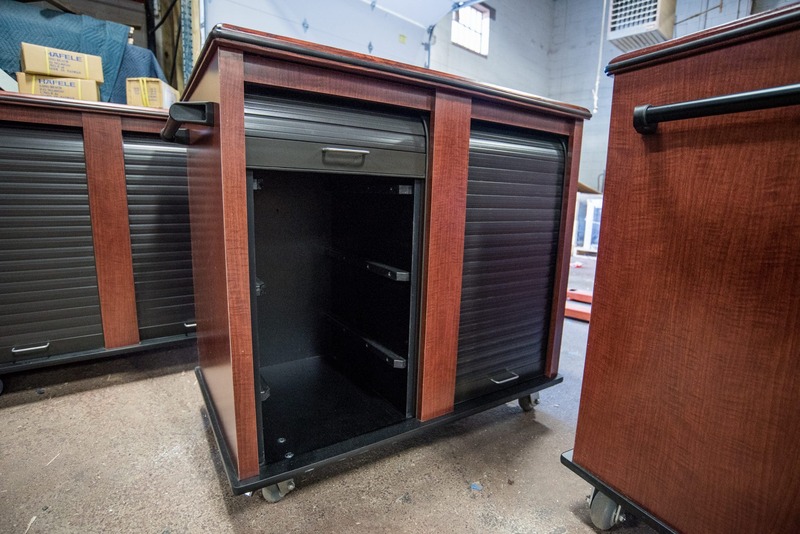 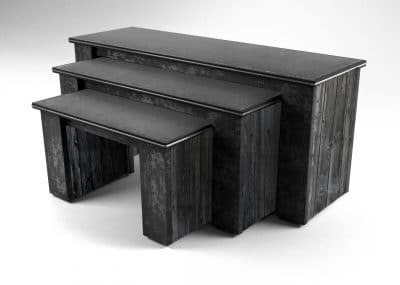 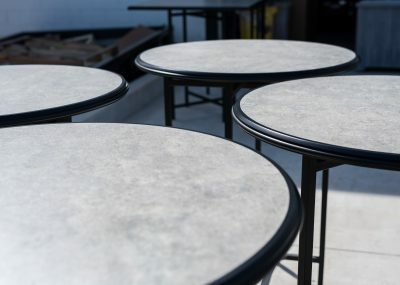 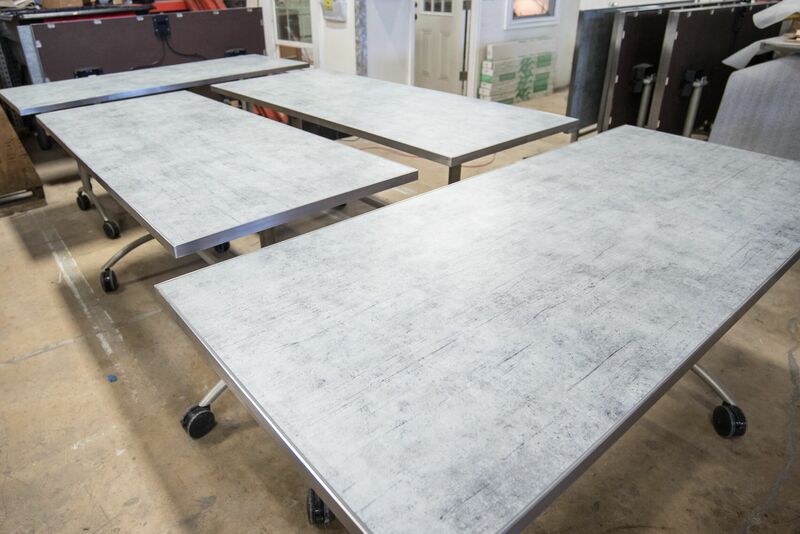 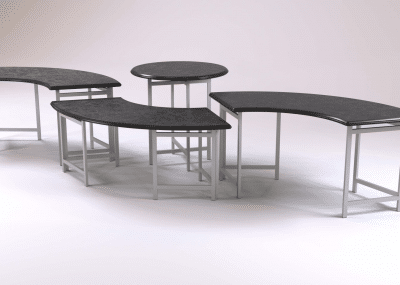 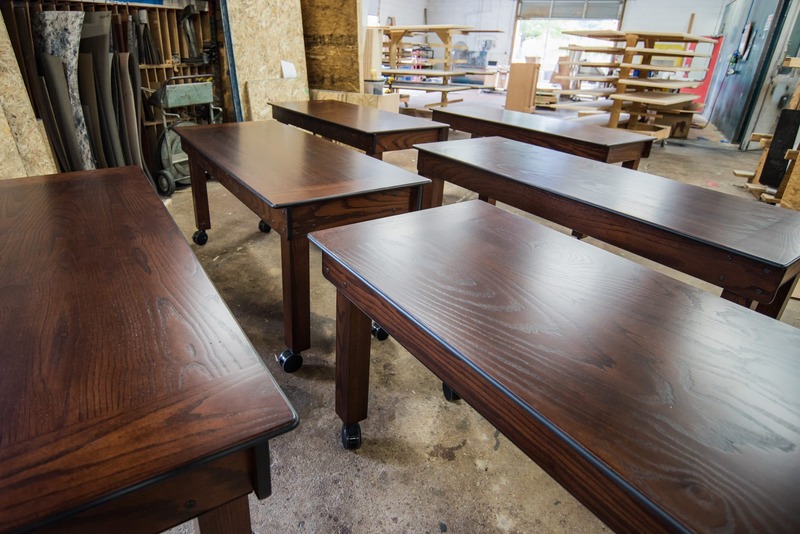 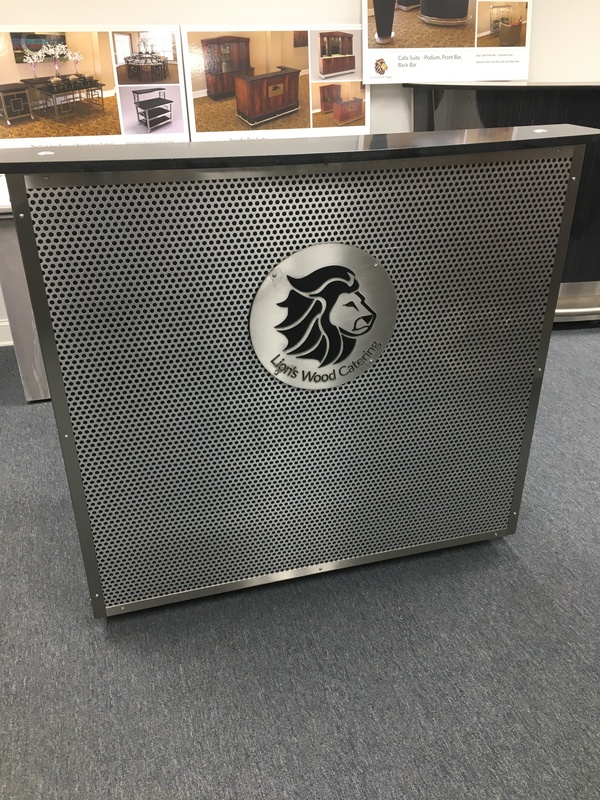 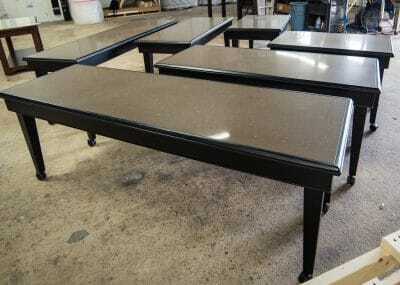 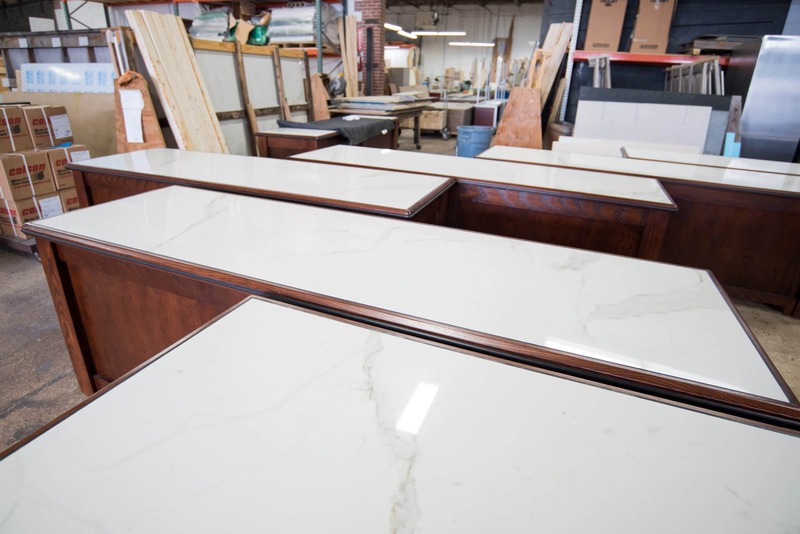 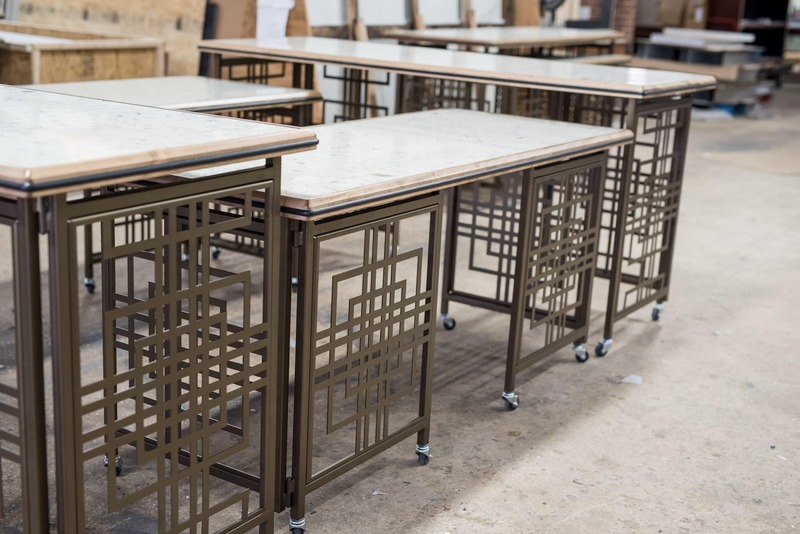 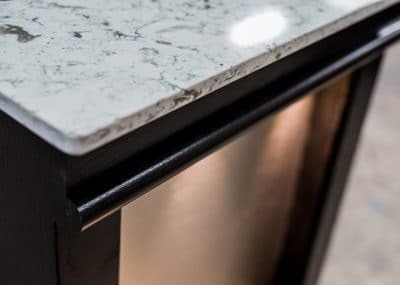 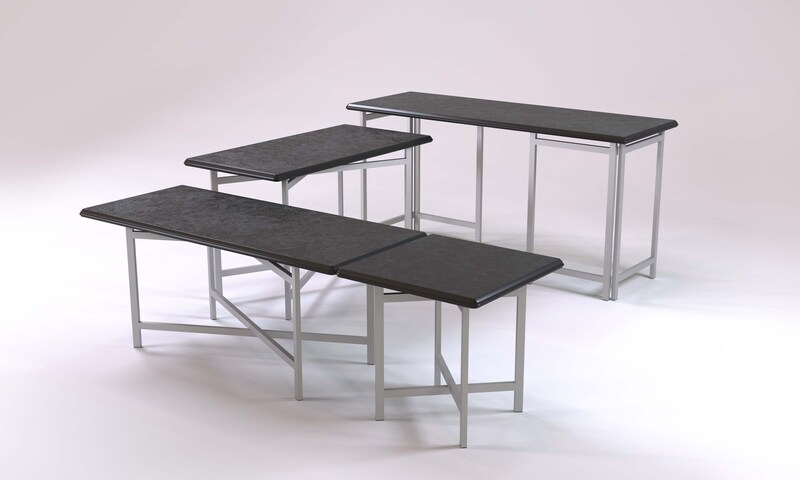 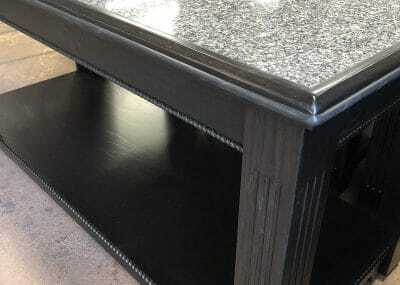 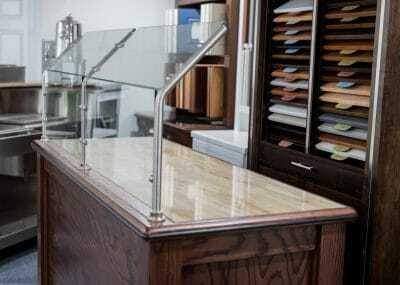 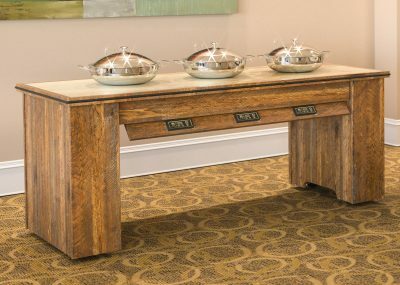 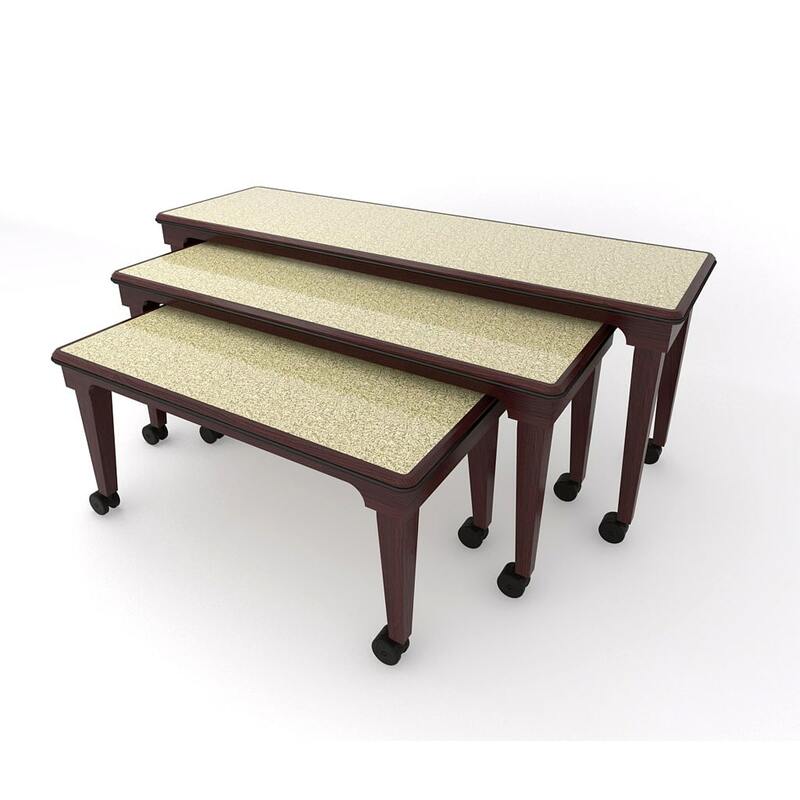 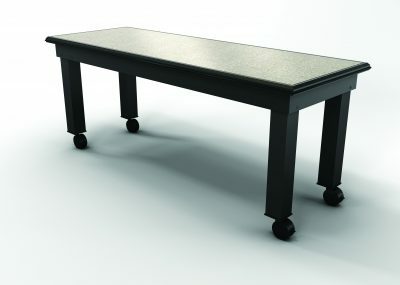 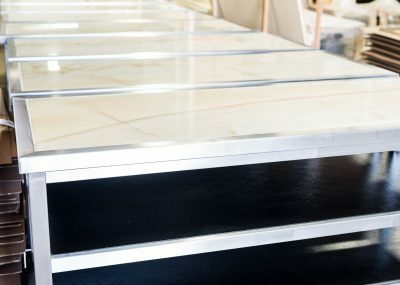 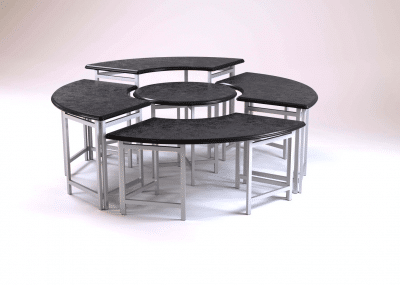 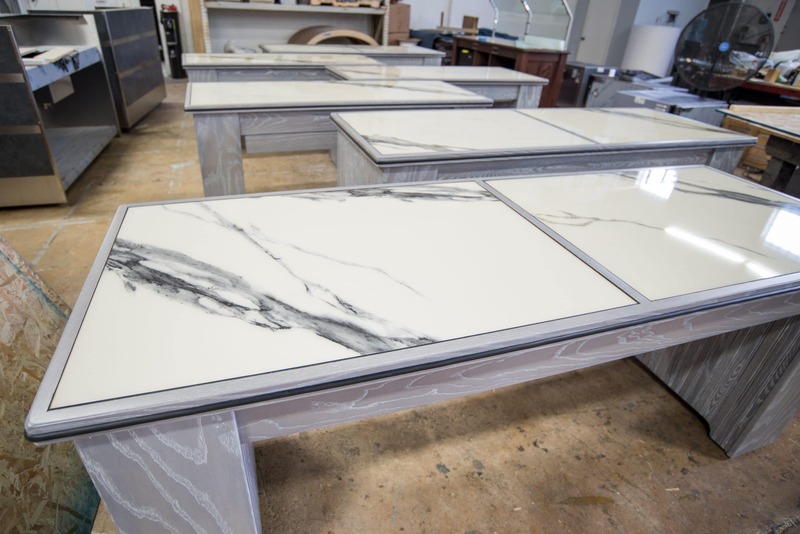 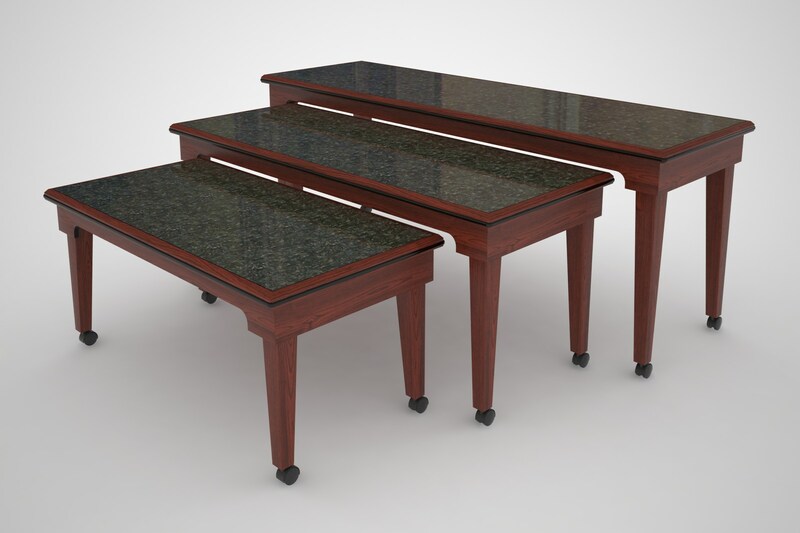 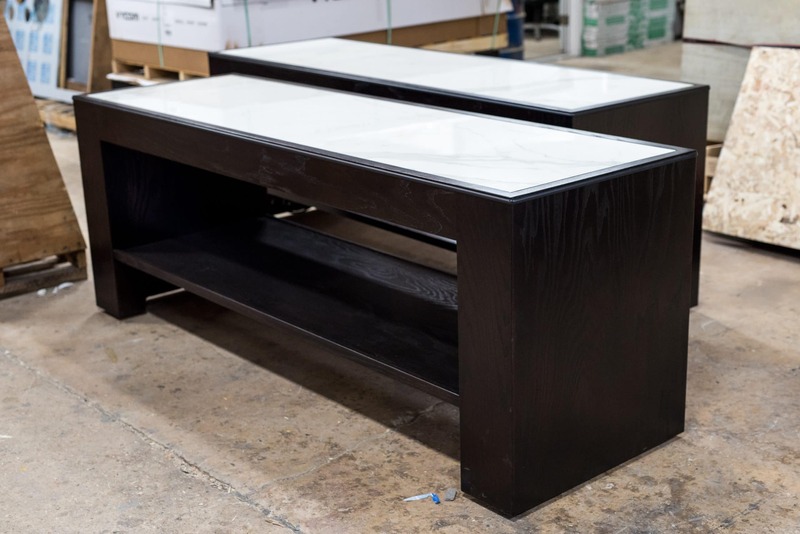 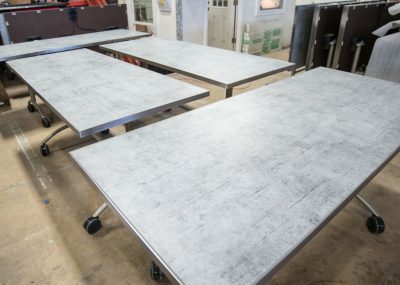 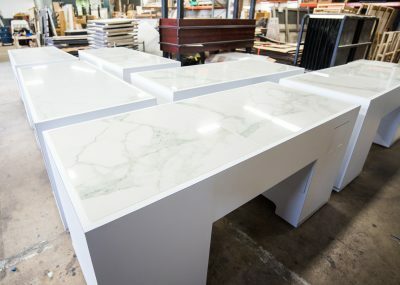 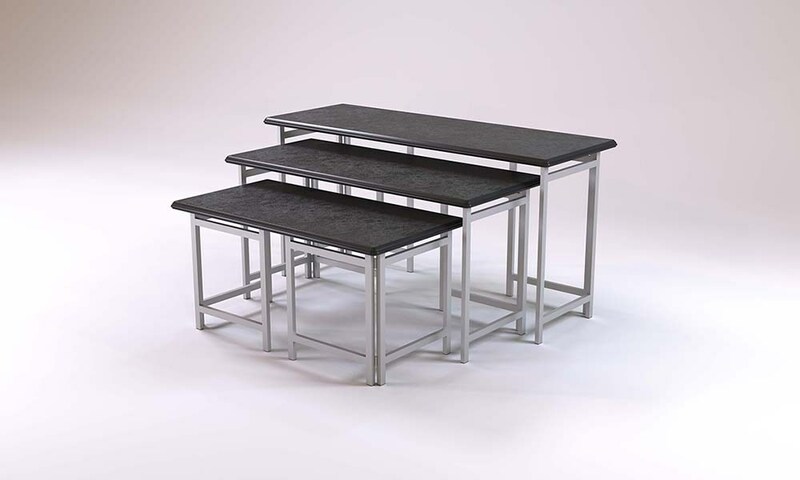 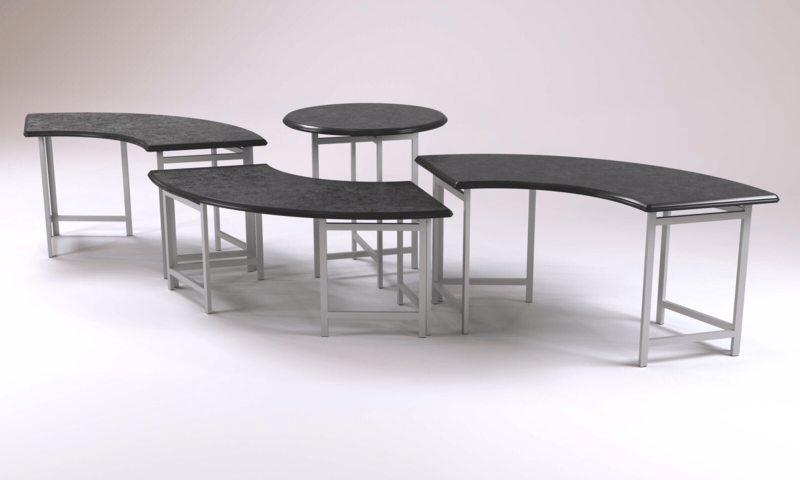 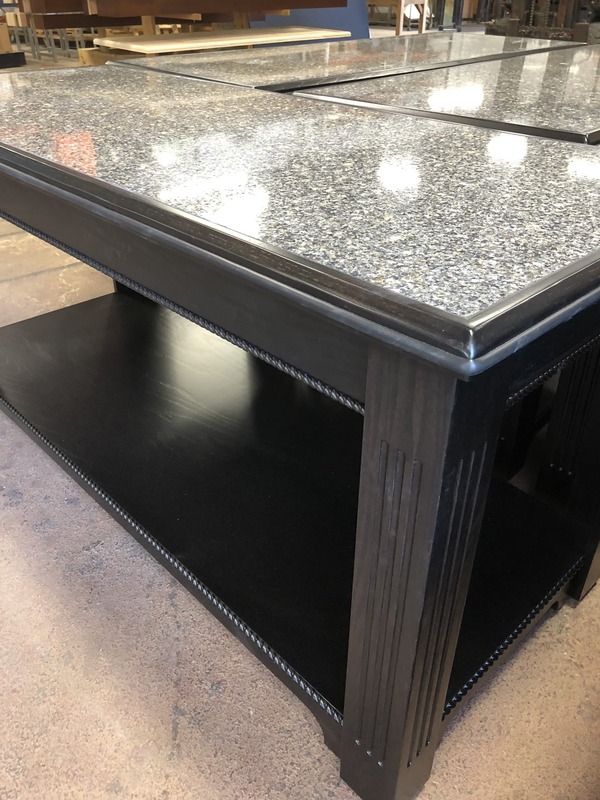 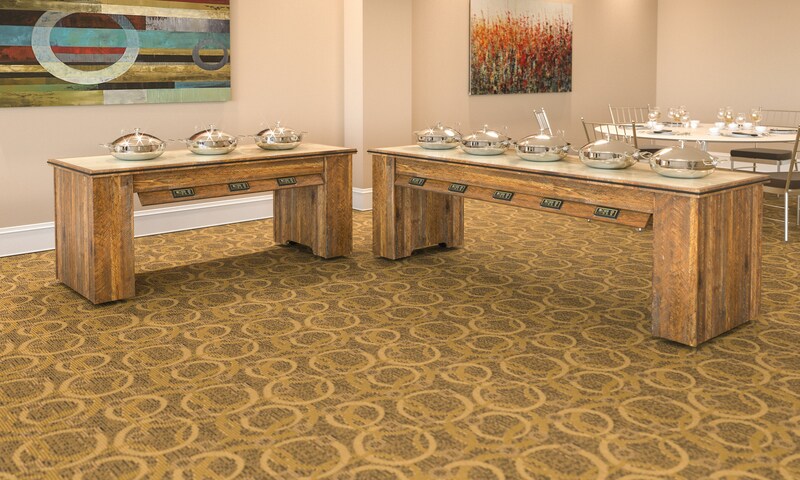 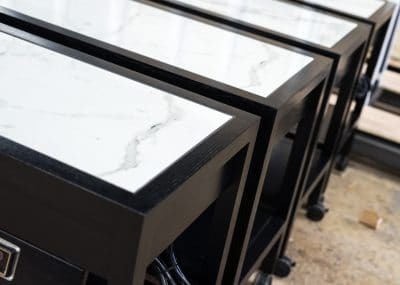 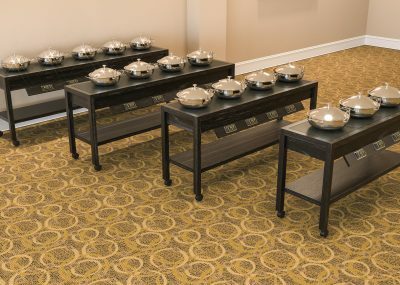 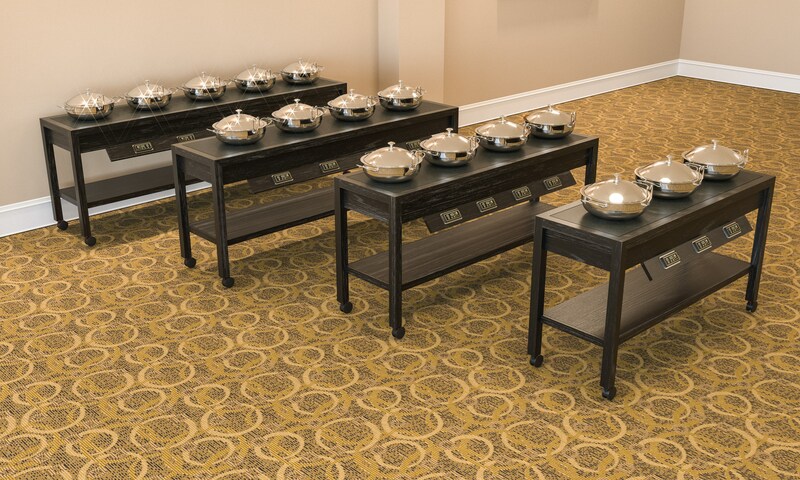 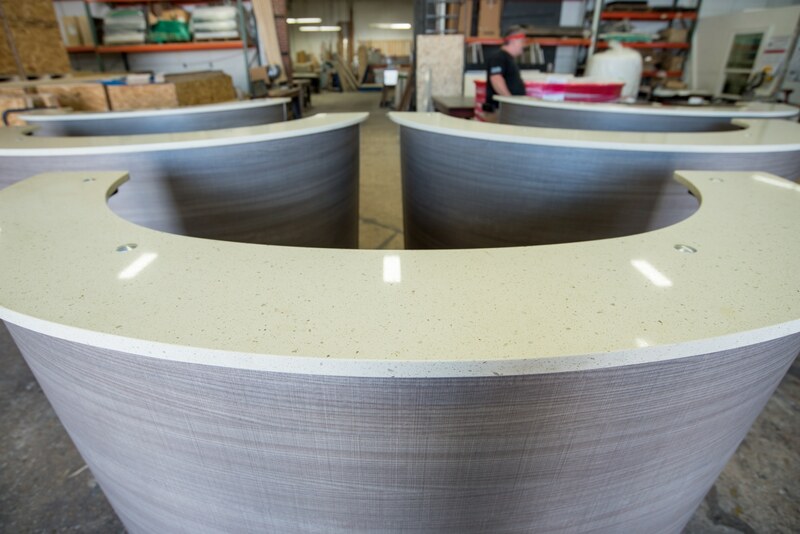 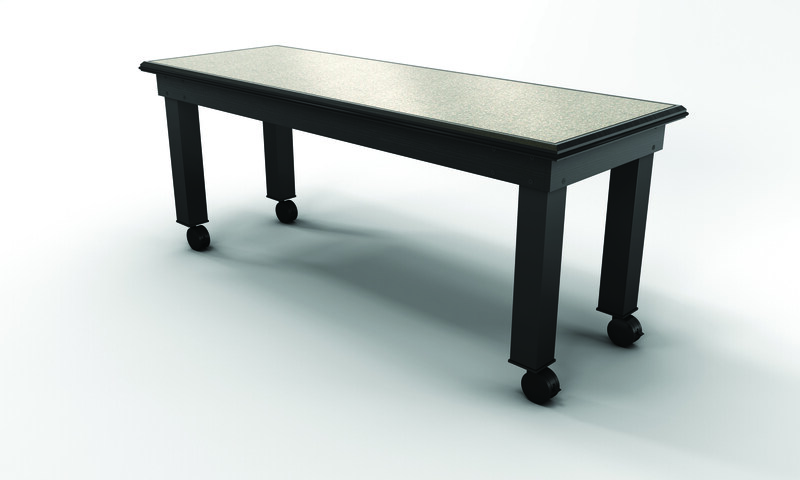 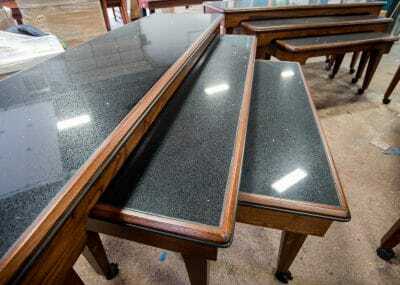 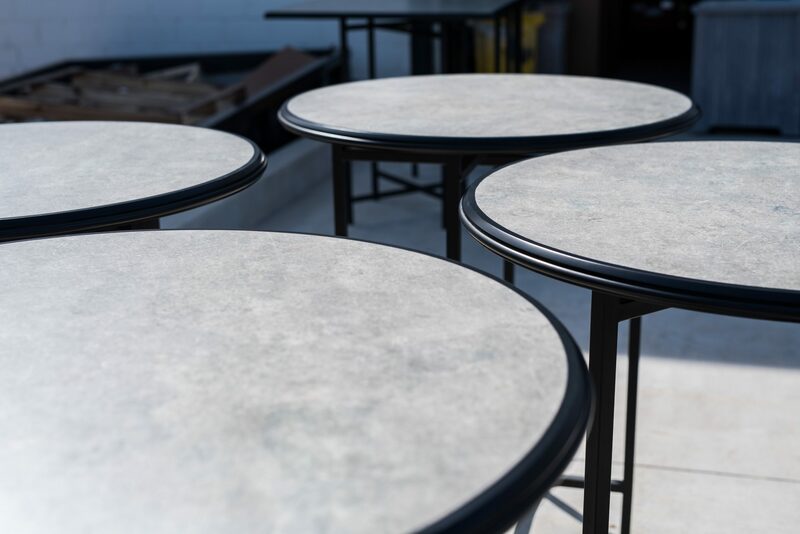 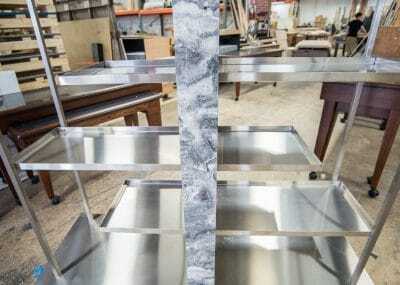 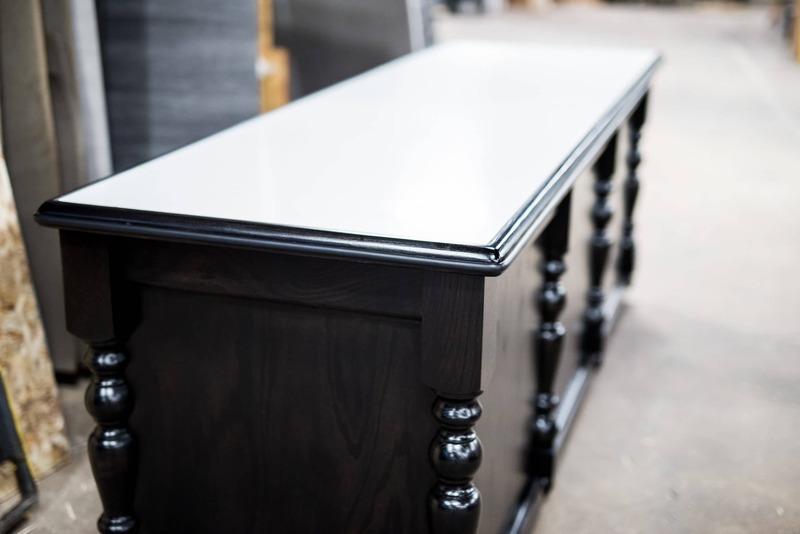 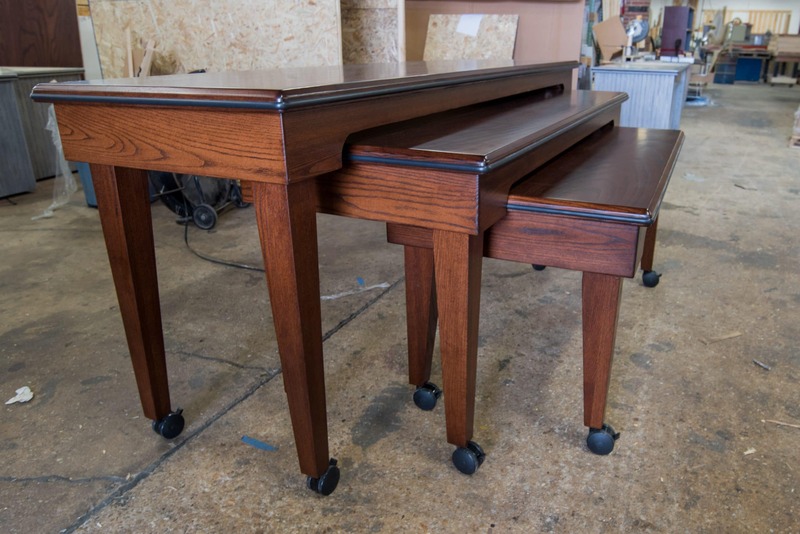 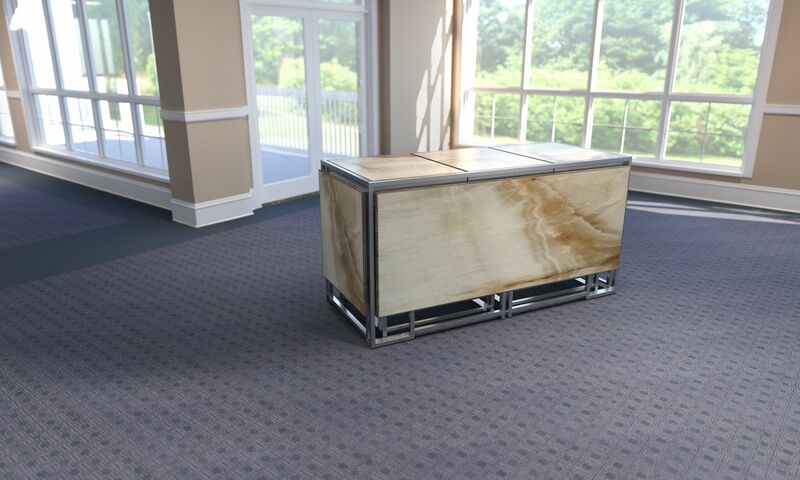 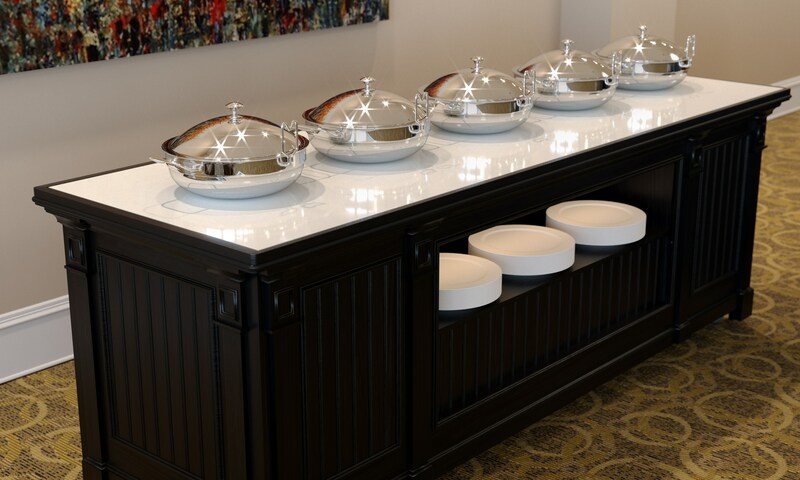 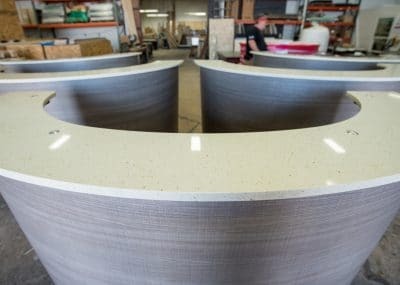 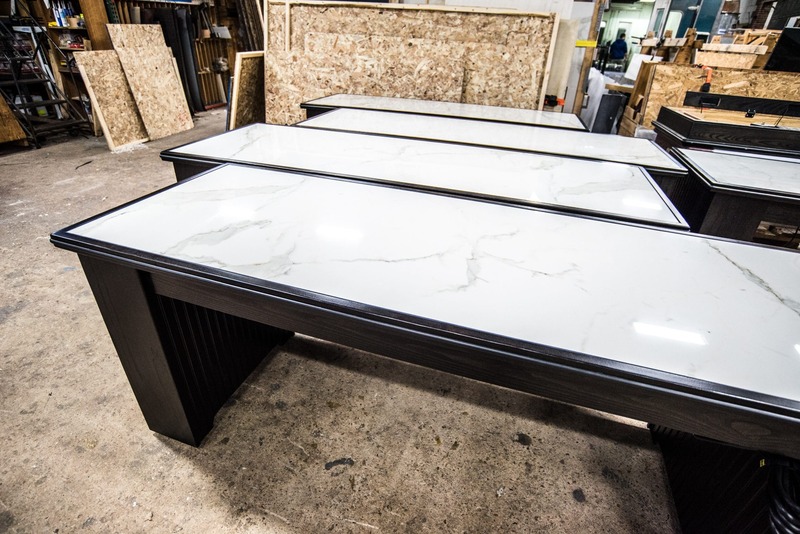 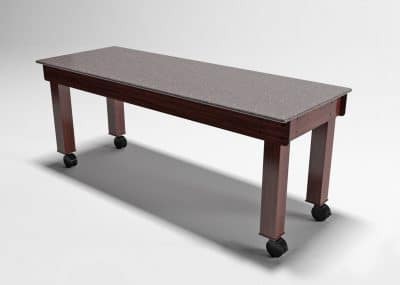 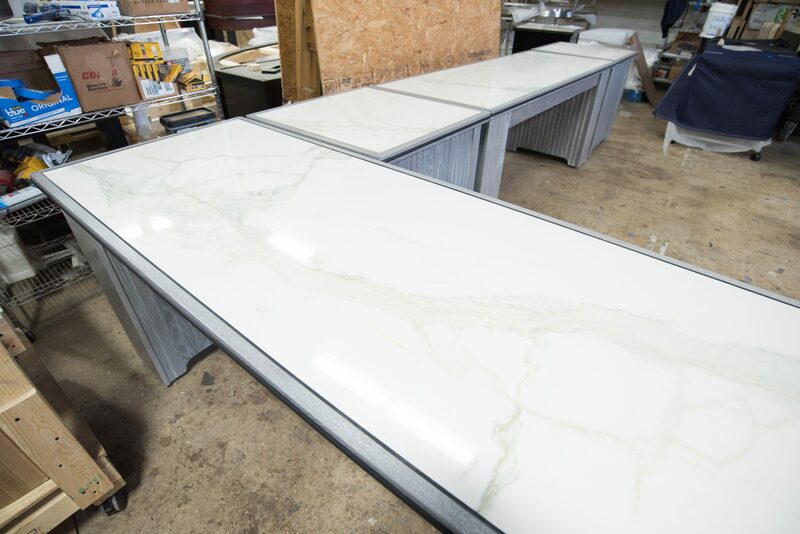 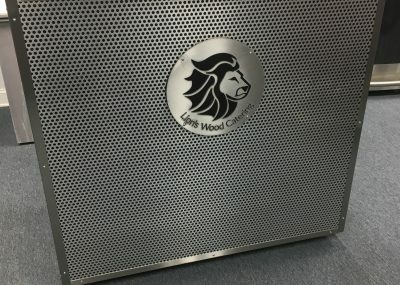 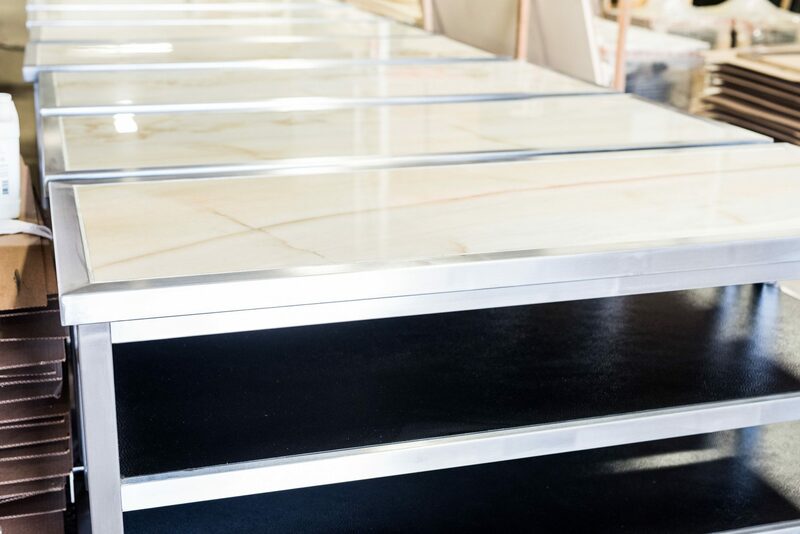 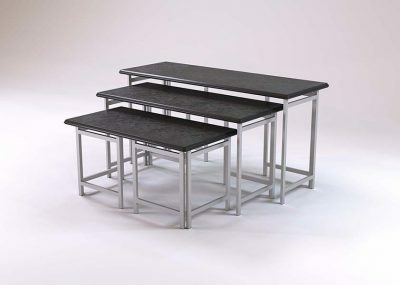 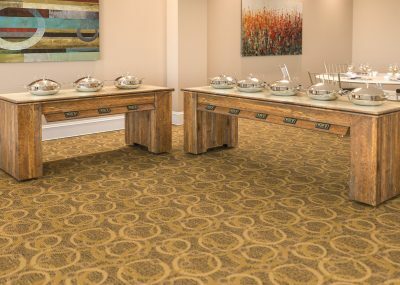 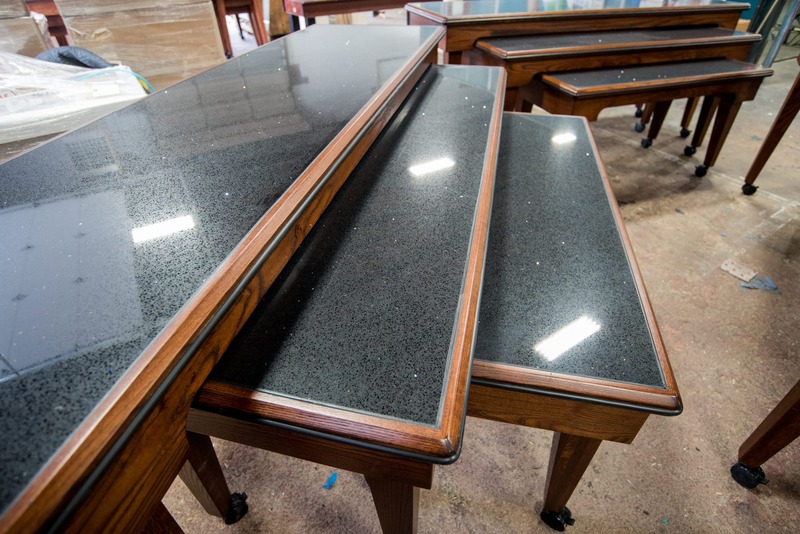 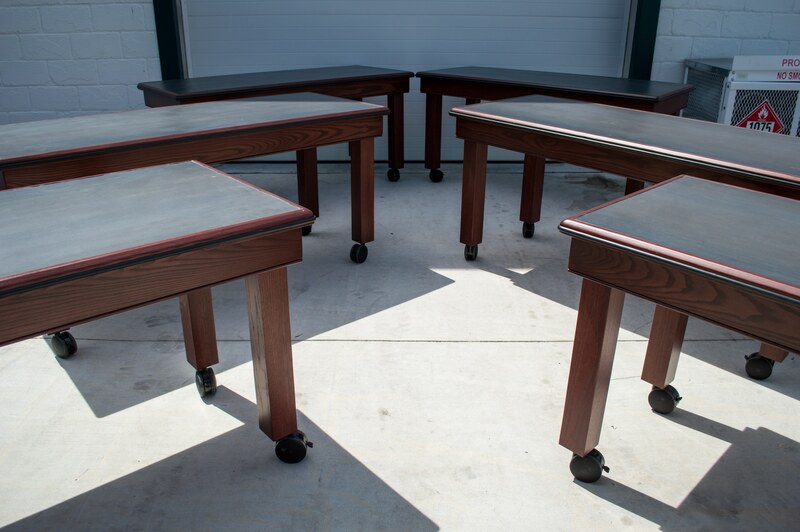 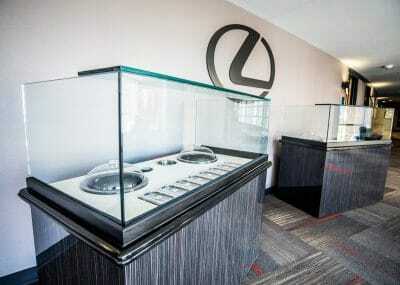 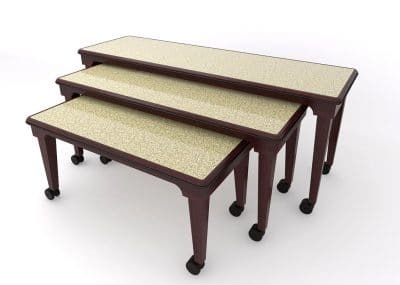 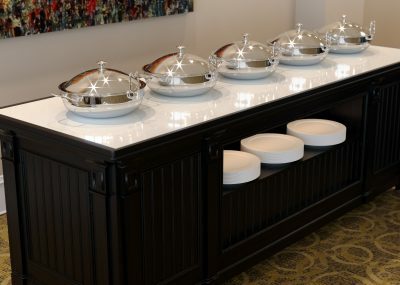 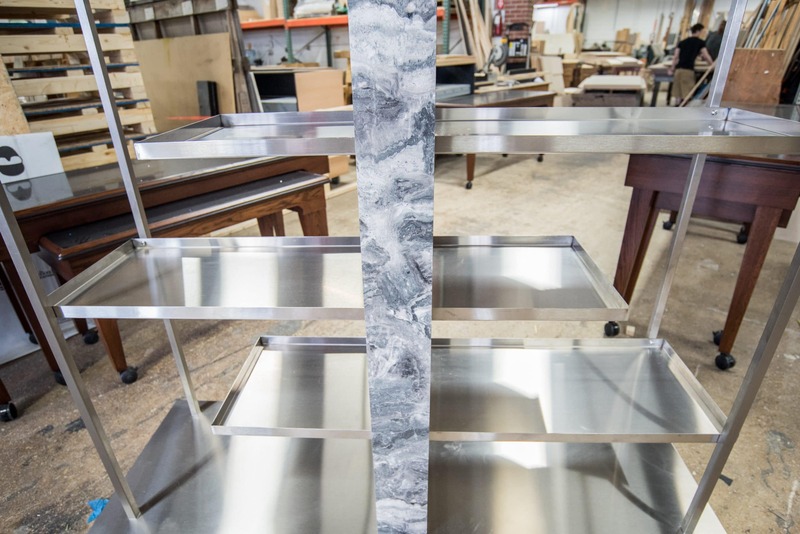 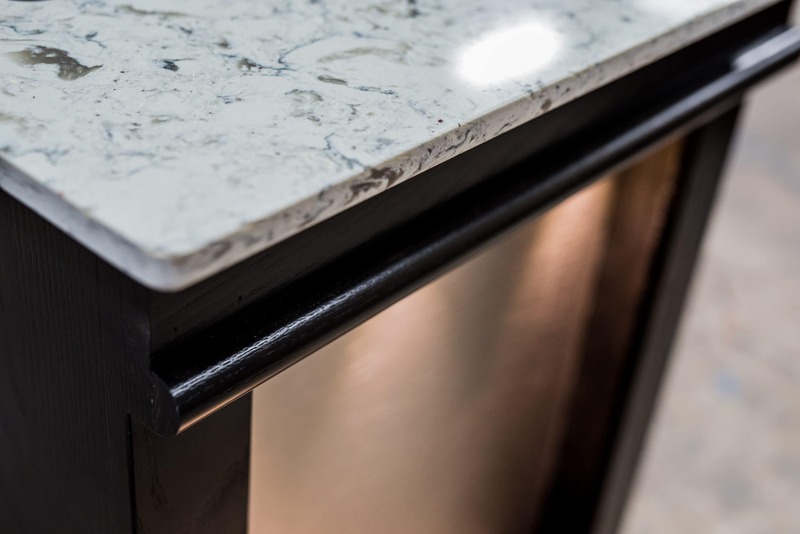 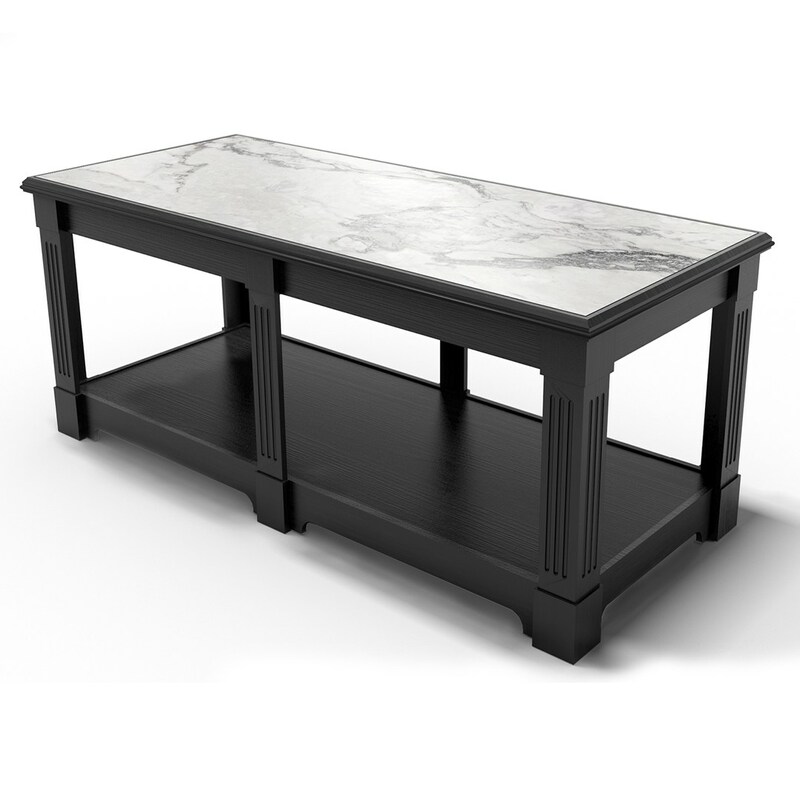 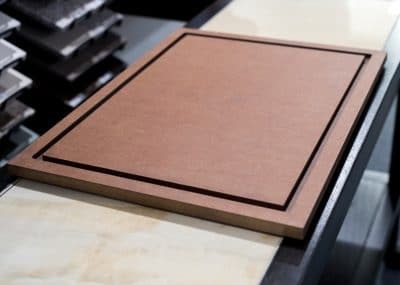 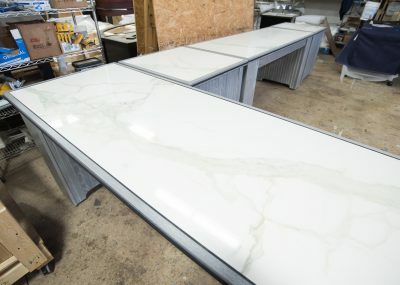 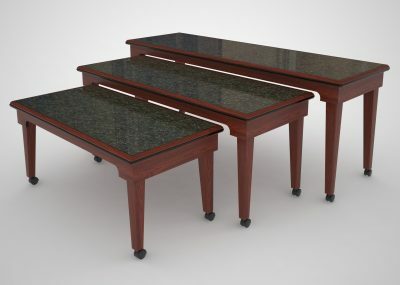 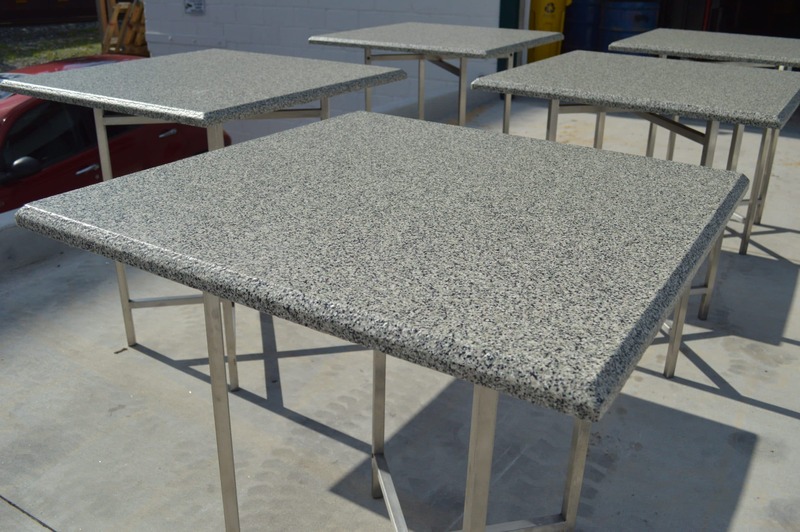 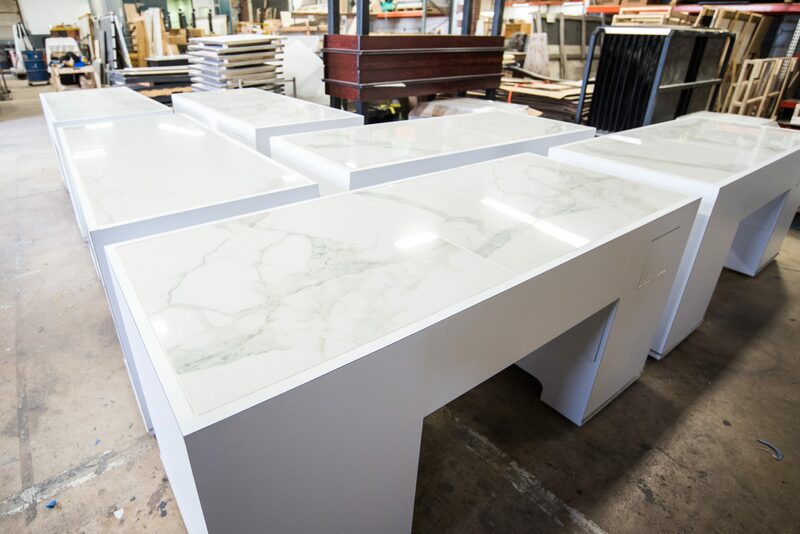 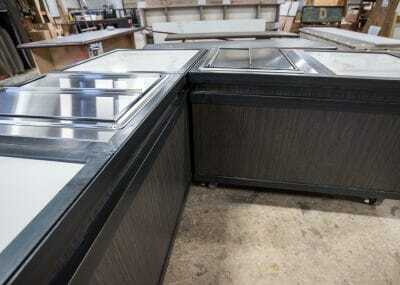 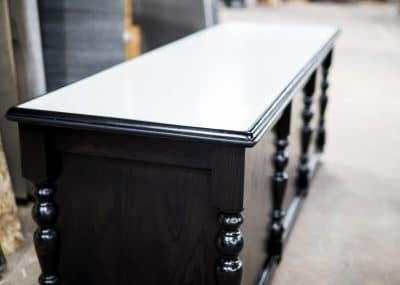 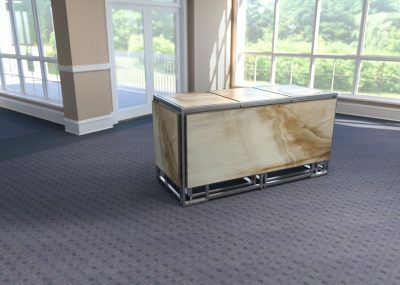 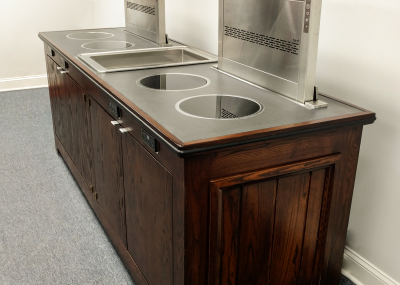 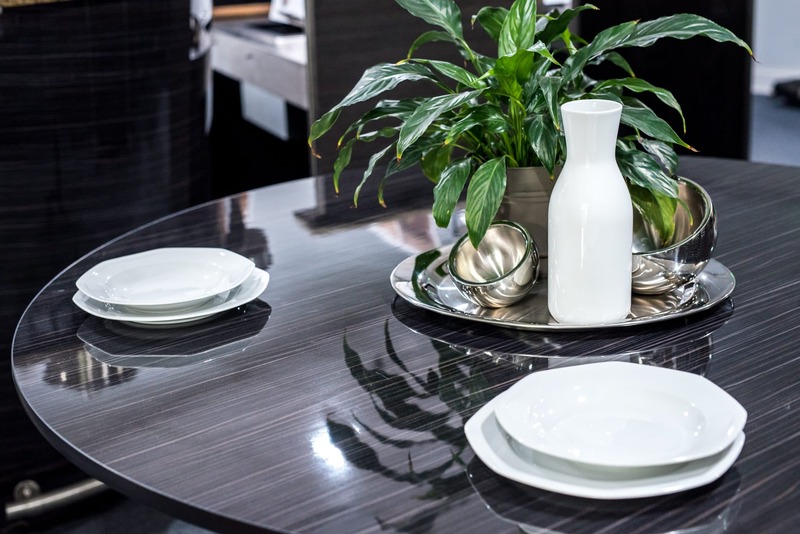 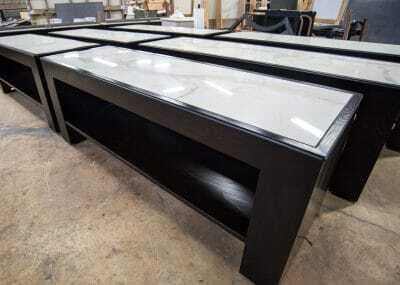 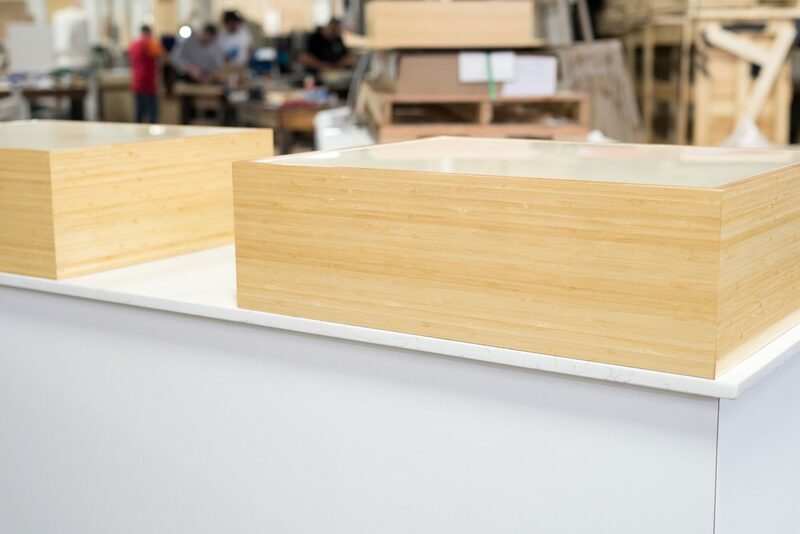 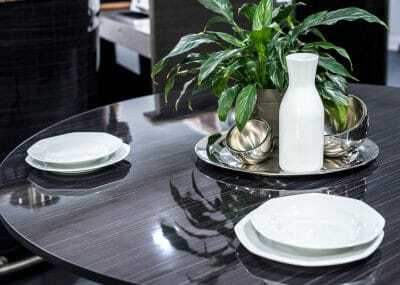 Choose from Lion’s Stone, Fleckstone, or laminate, and stainless steel edges or wood edges with protective bumpers. 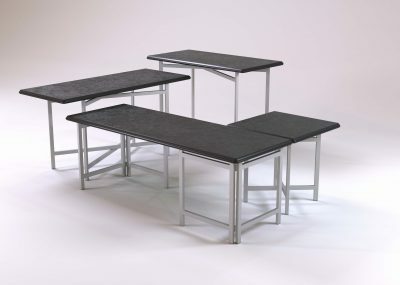 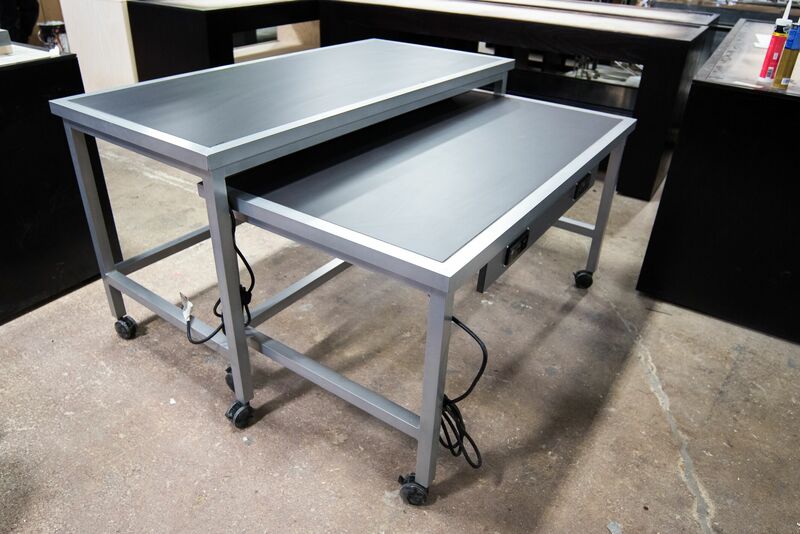 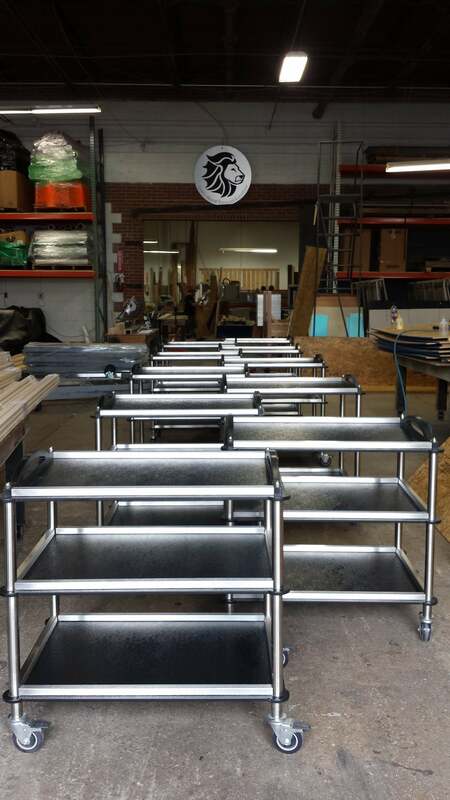 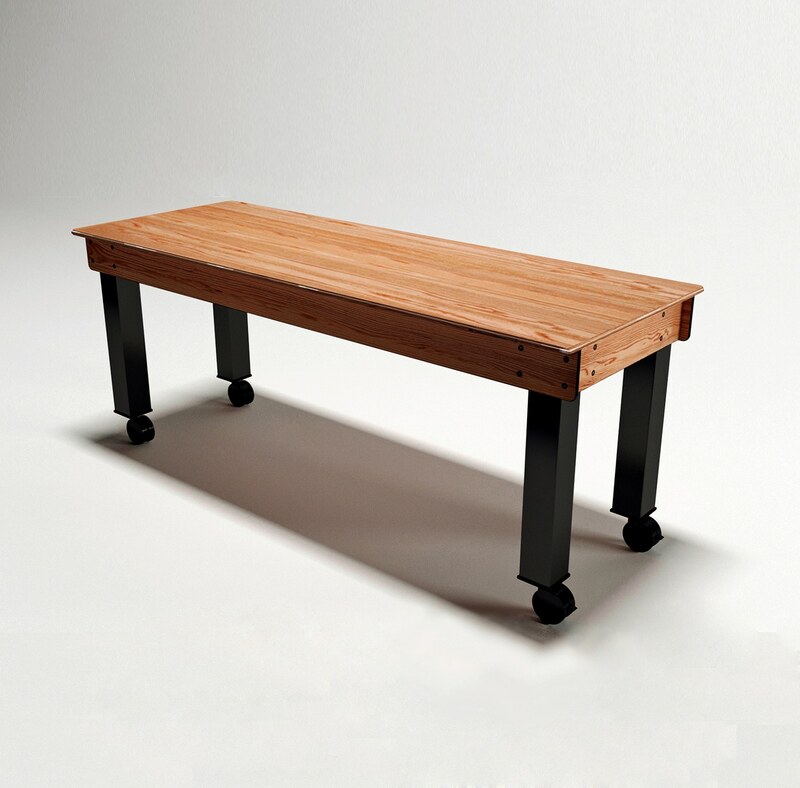 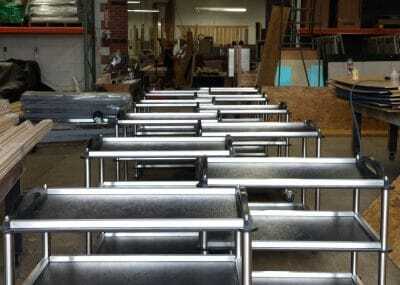 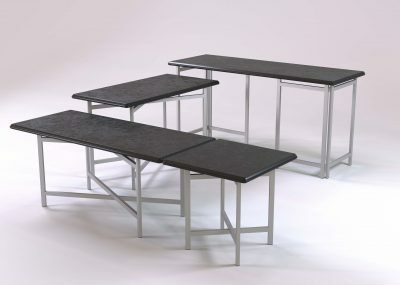 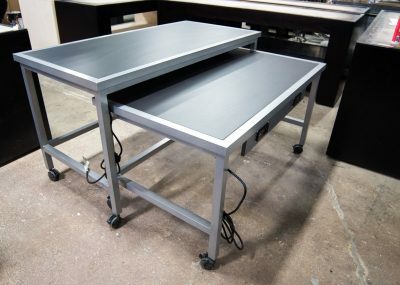 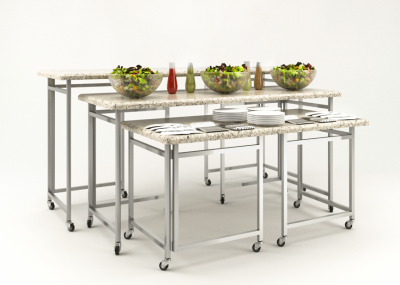 Base heights of 42”, 36”, or 30” in stainless steel or powder coated are designed with or without center frames. 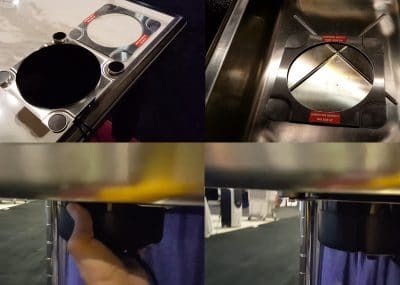 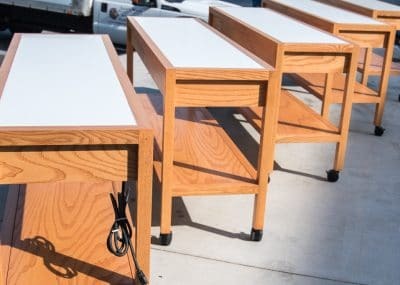 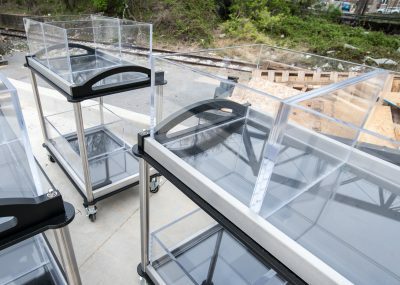 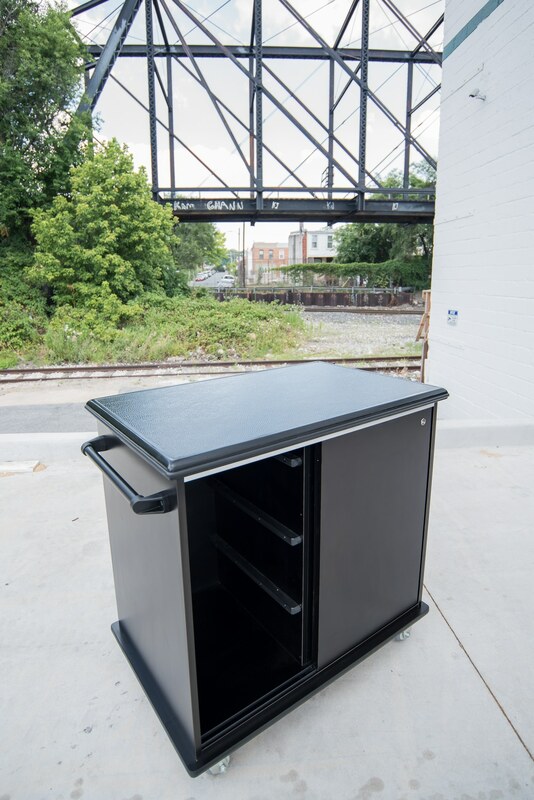 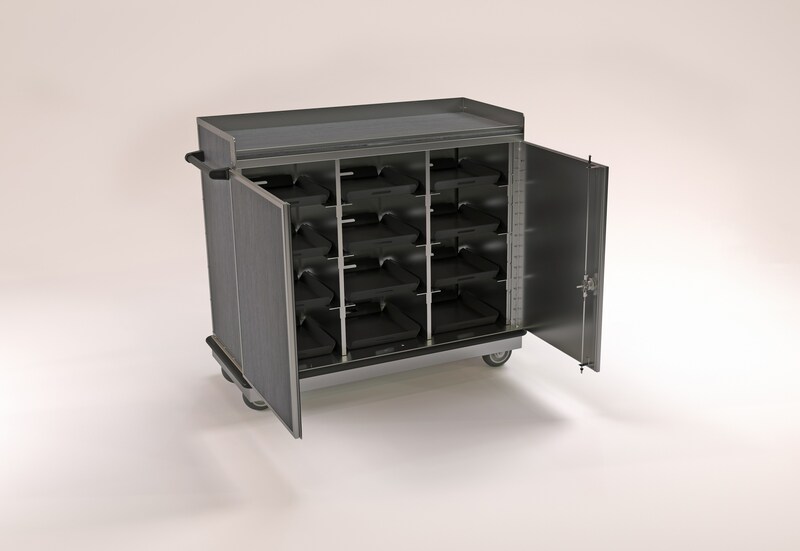 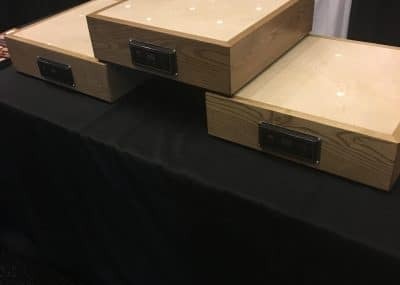 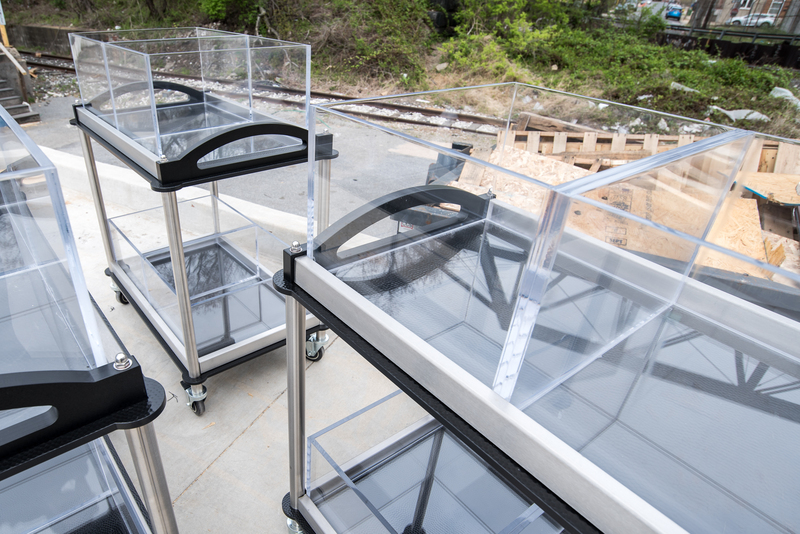 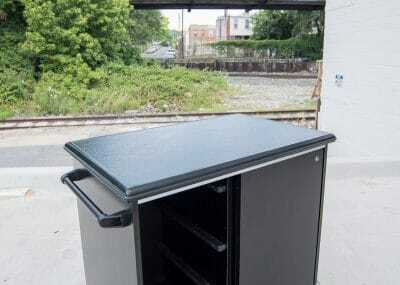 Our patented EVO clip connects tops to bases, and storage carts keep each piece safe when not in use. 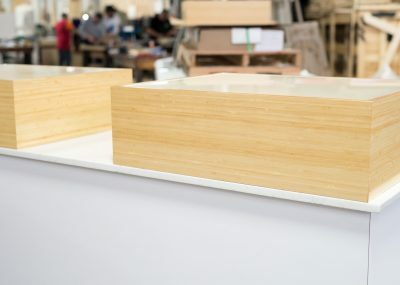 Evo Rectangle tops with X and Super-X bases. 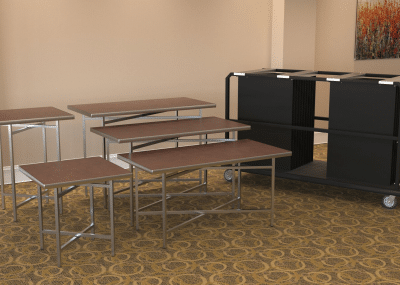 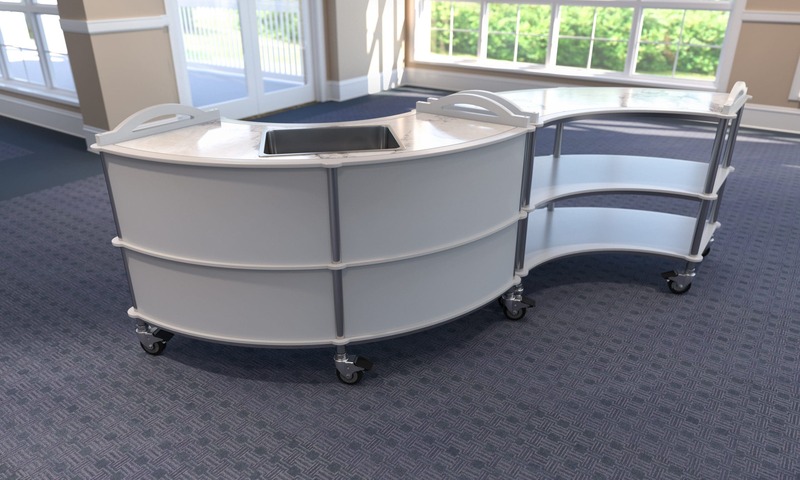 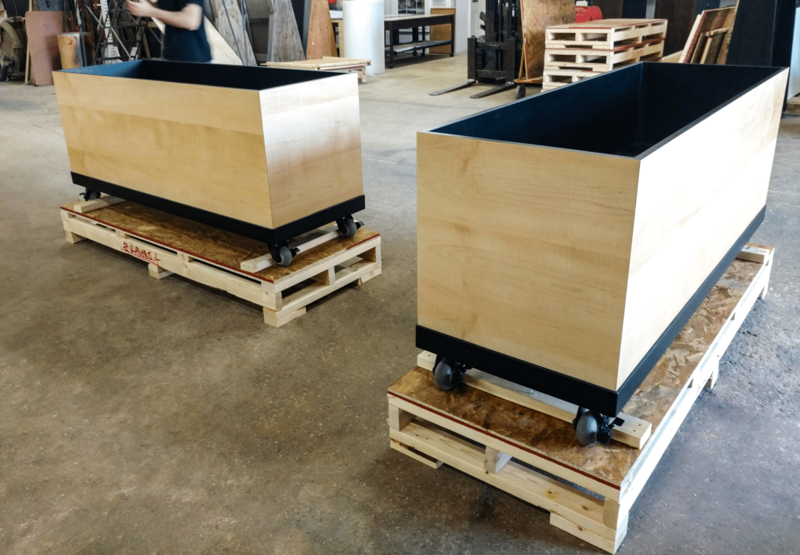 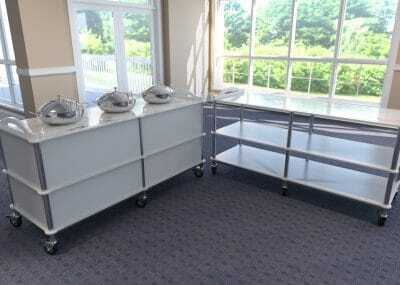 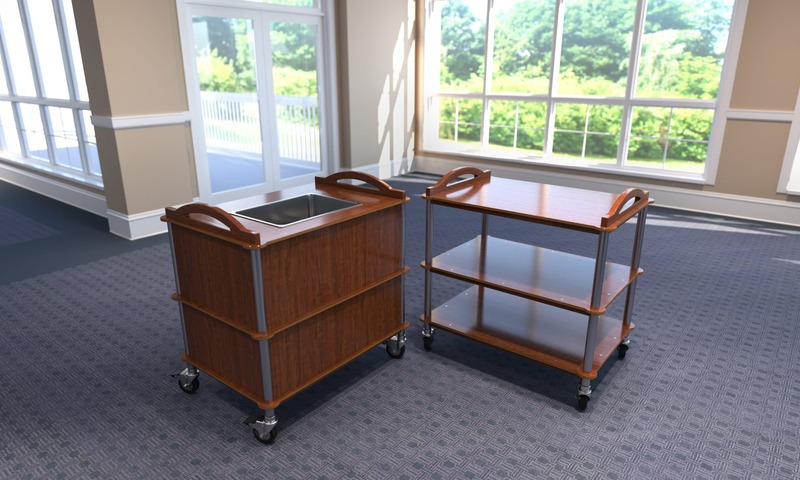 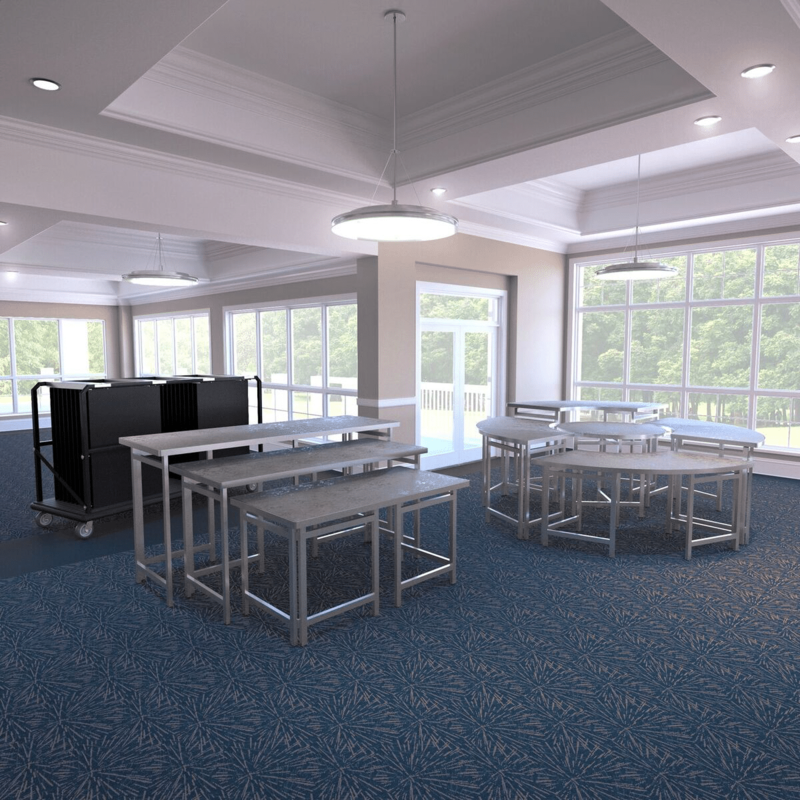 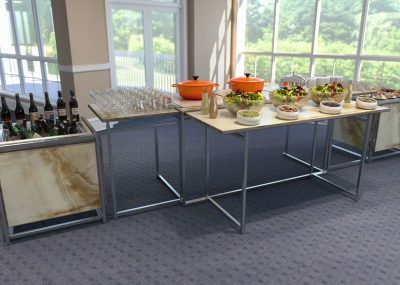 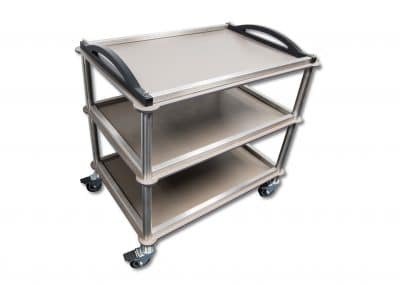 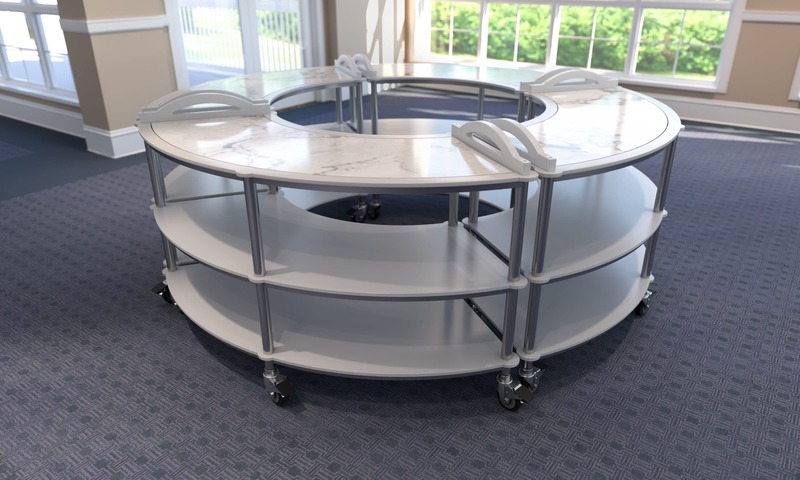 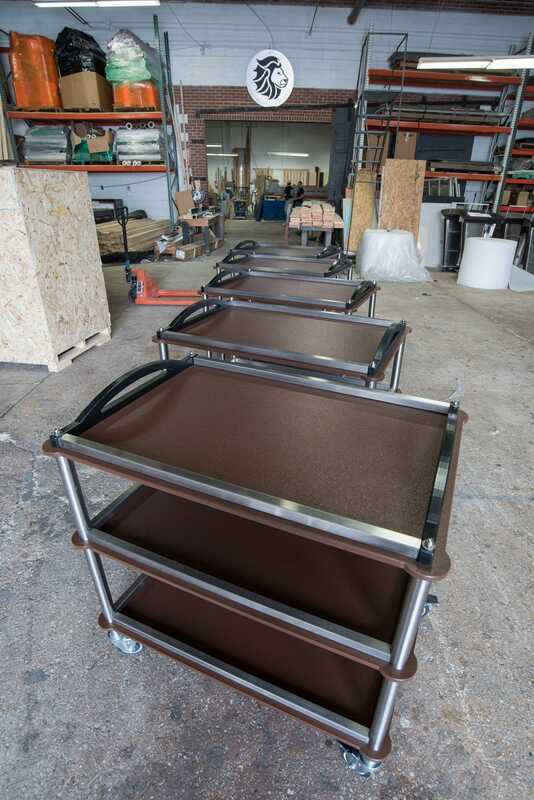 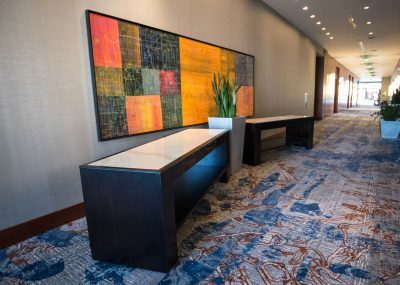 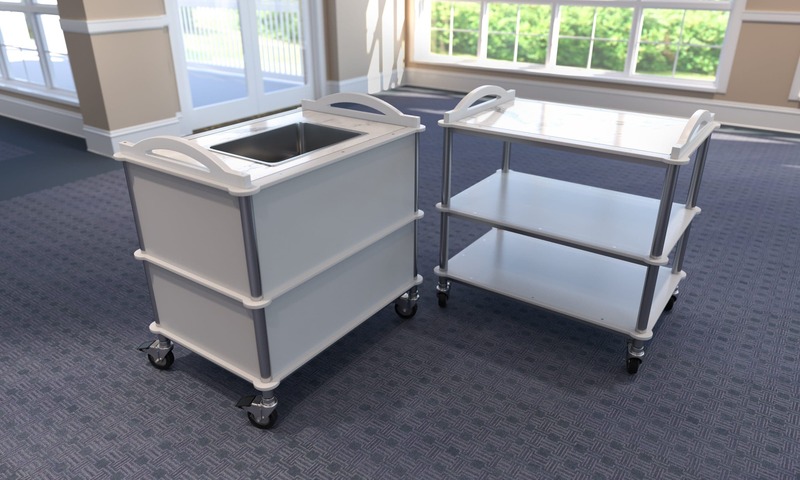 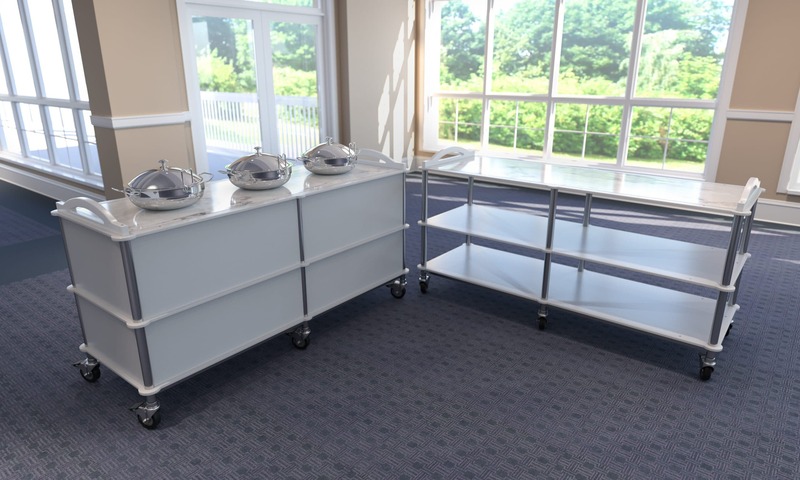 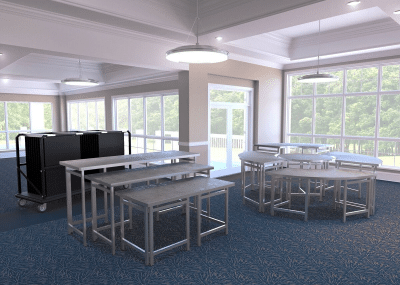 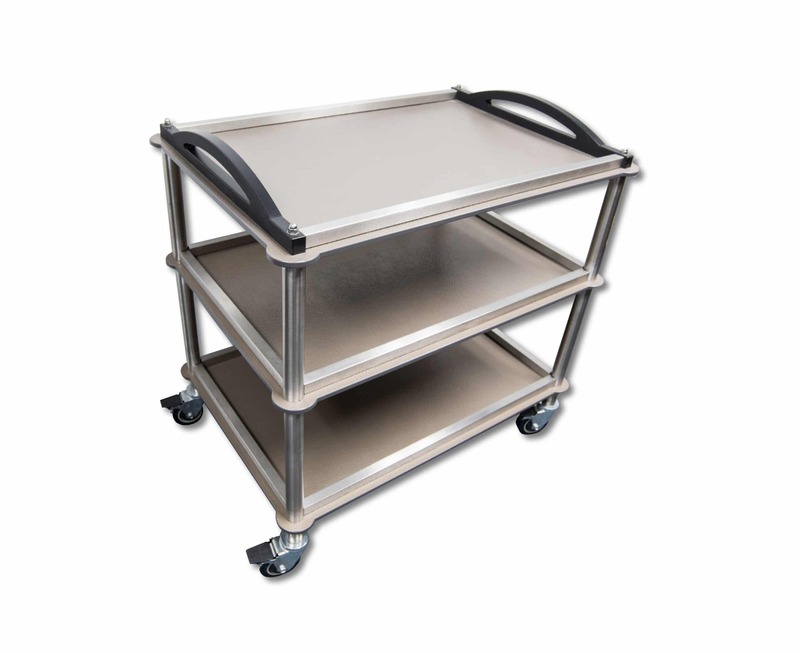 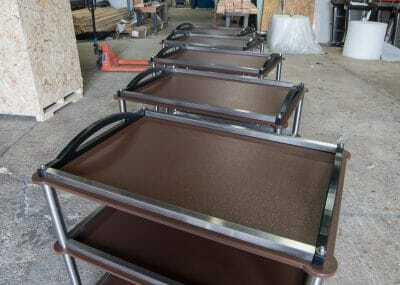 Customer-facing service carts mean no more draping with linen and no more hiding. 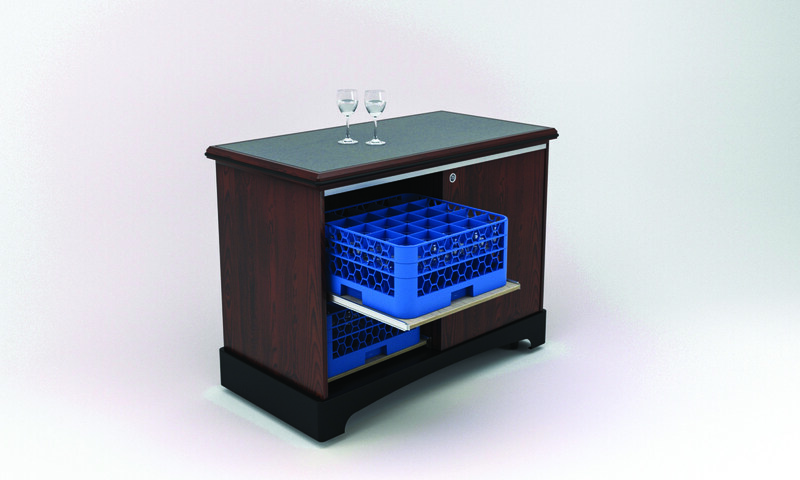 Front of the house designs for bussing, waste collection, and even beverage service. 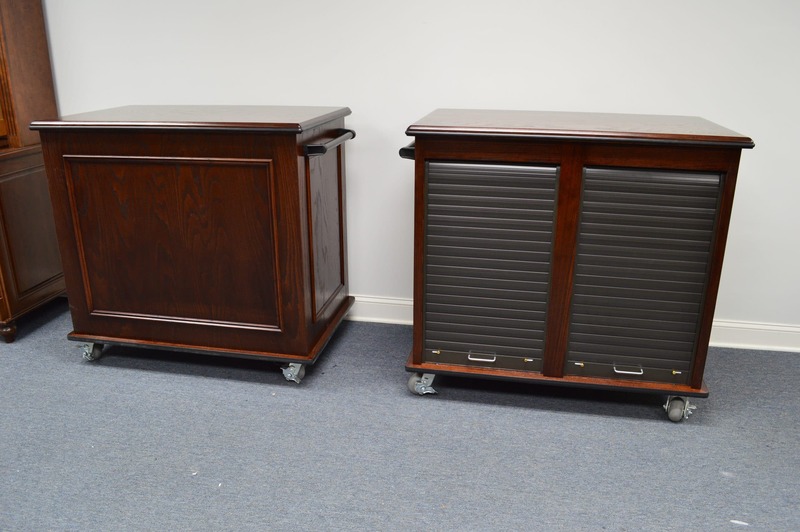 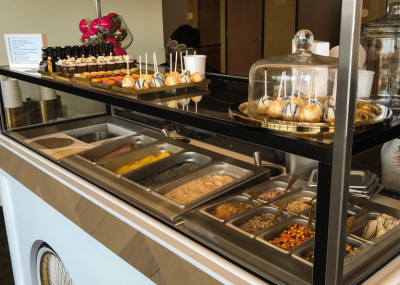 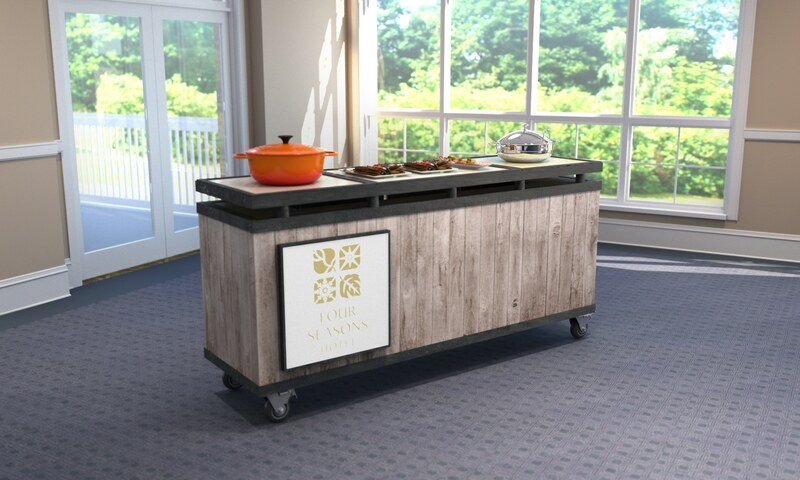 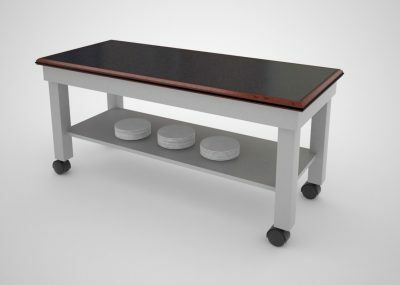 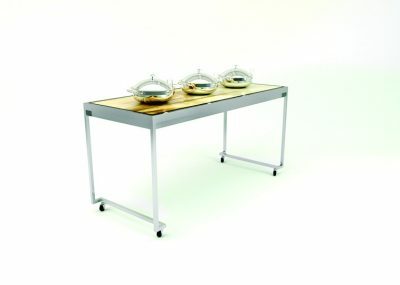 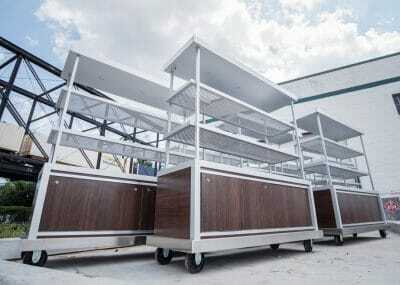 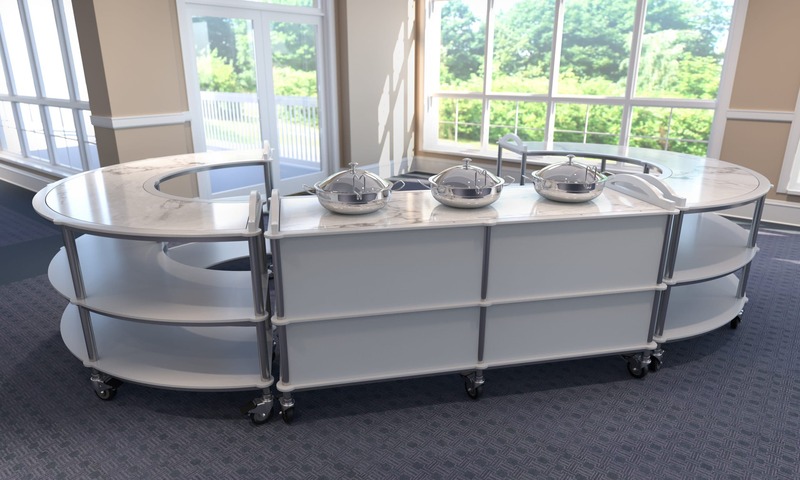 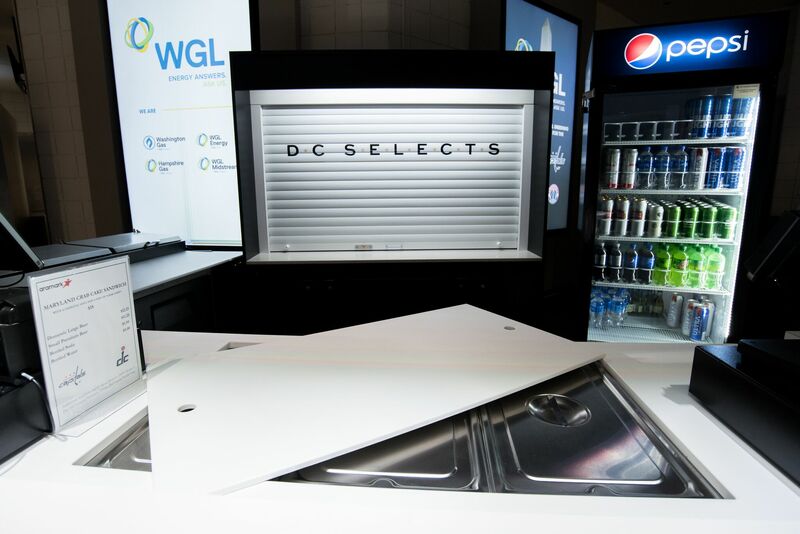 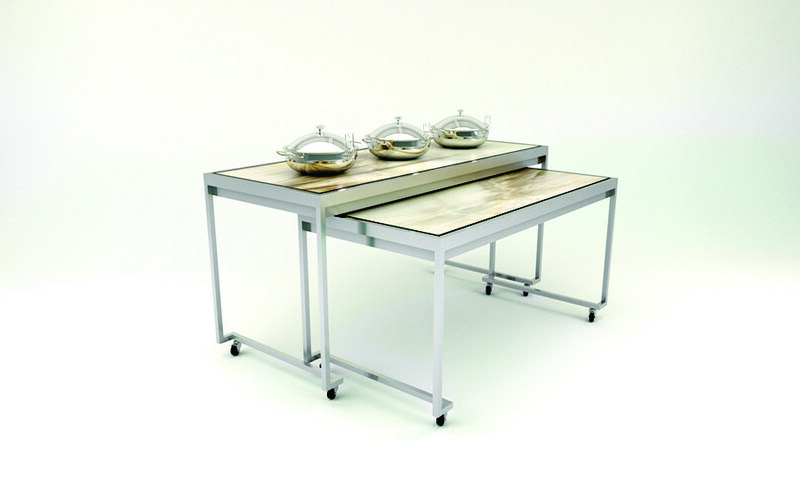 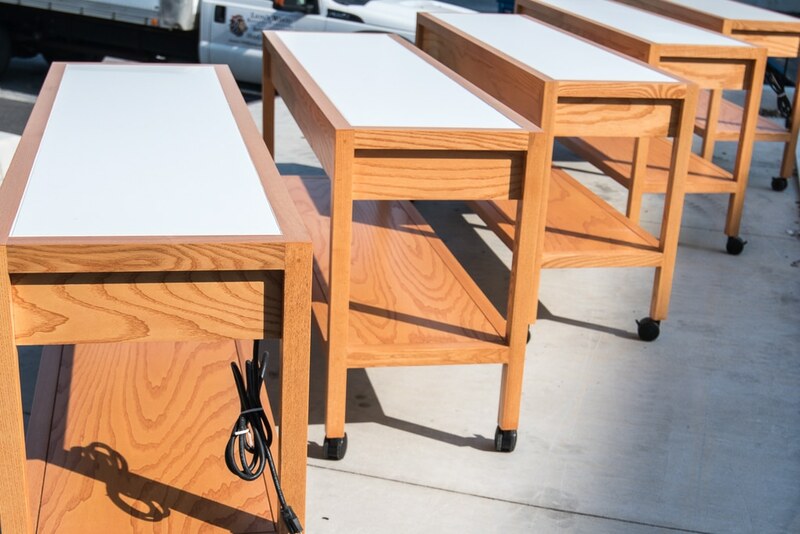 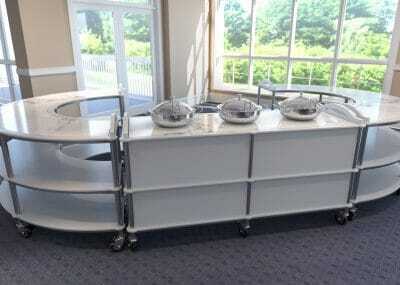 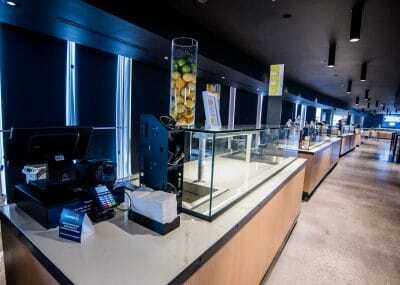 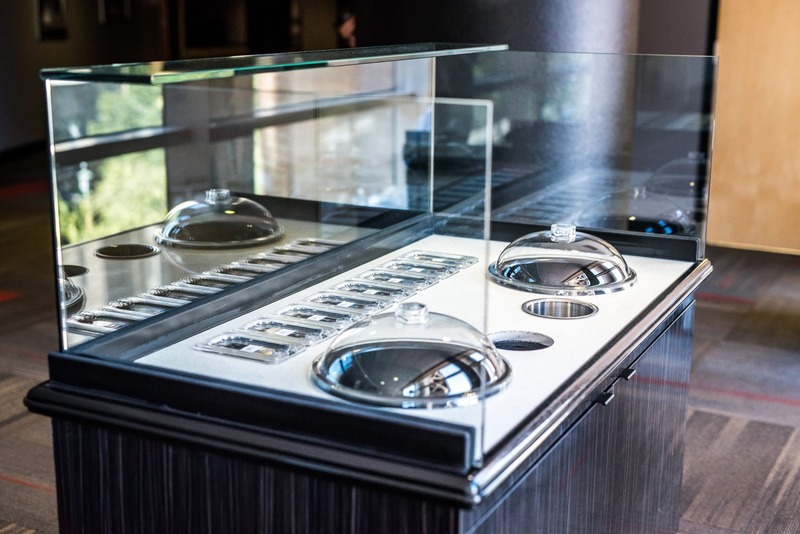 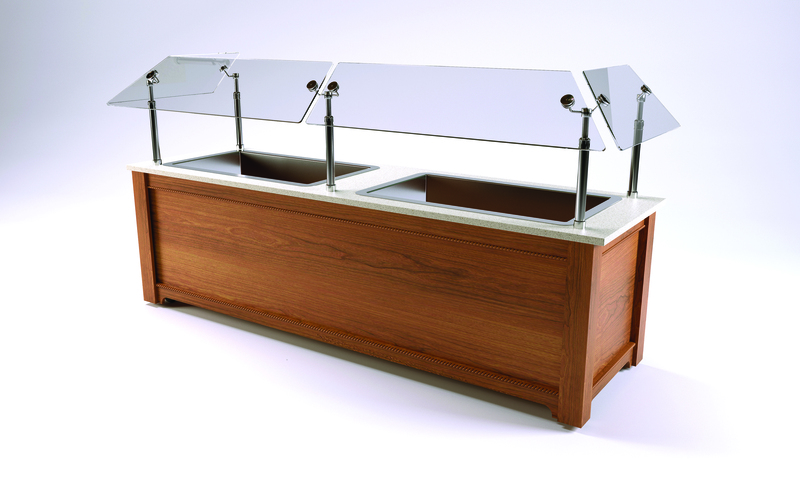 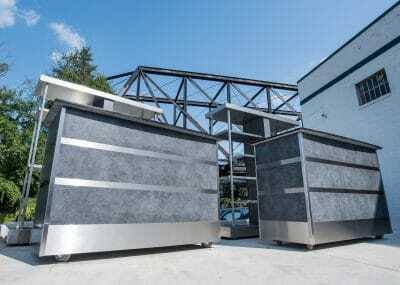 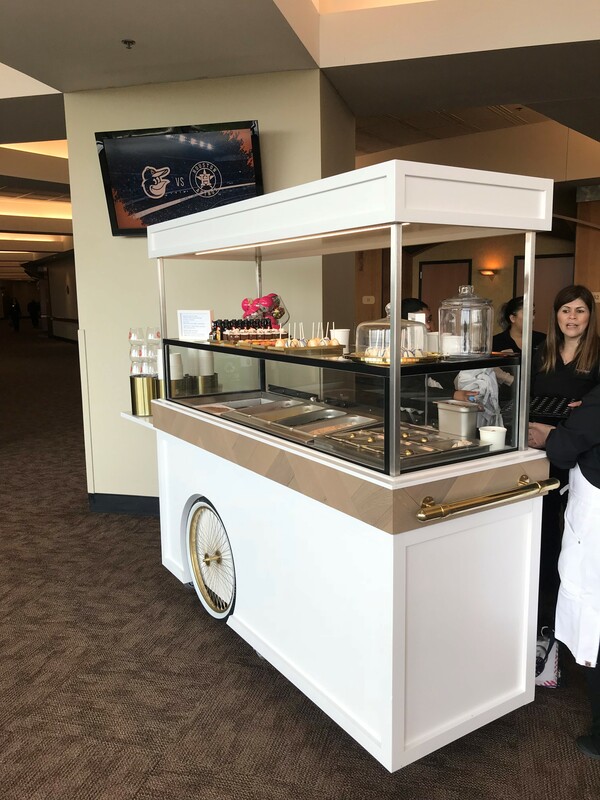 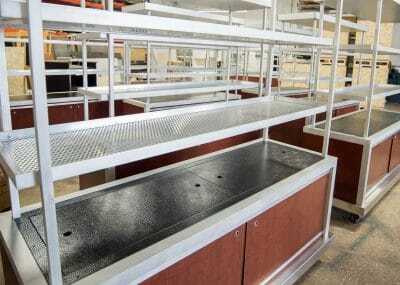 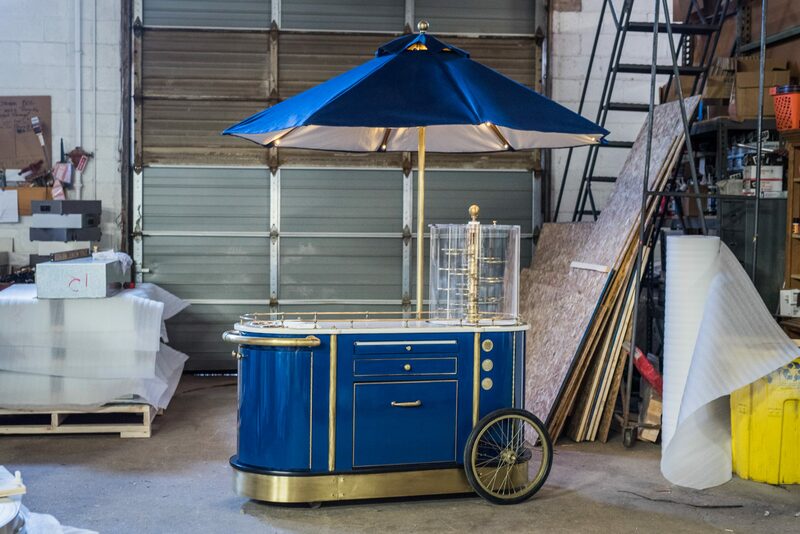 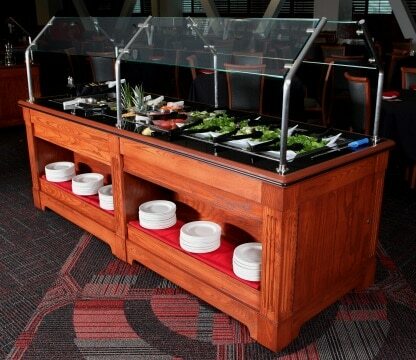 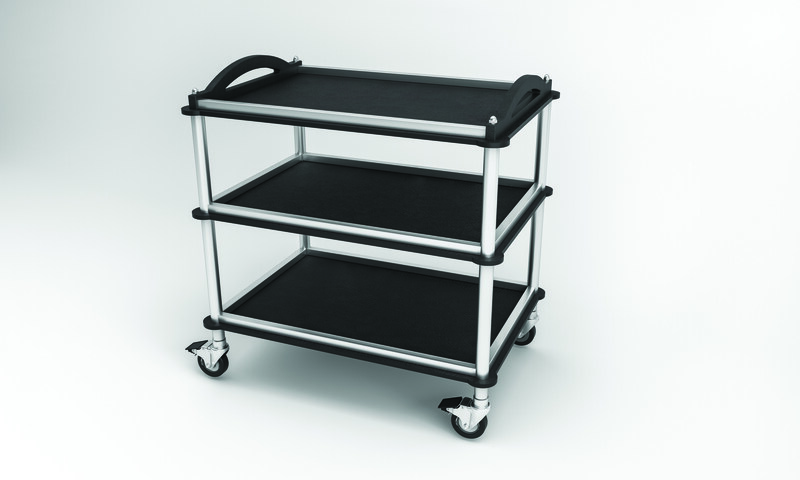 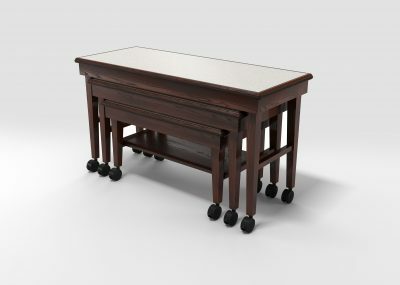 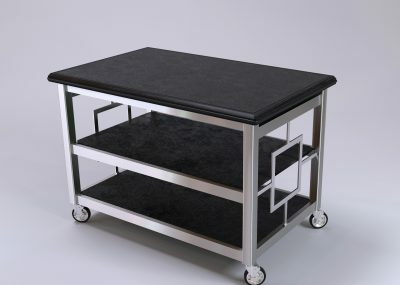 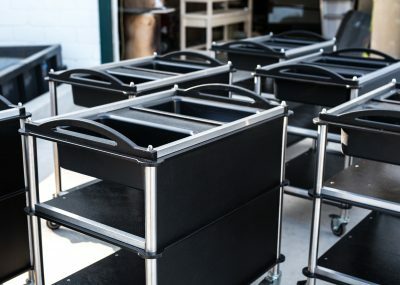 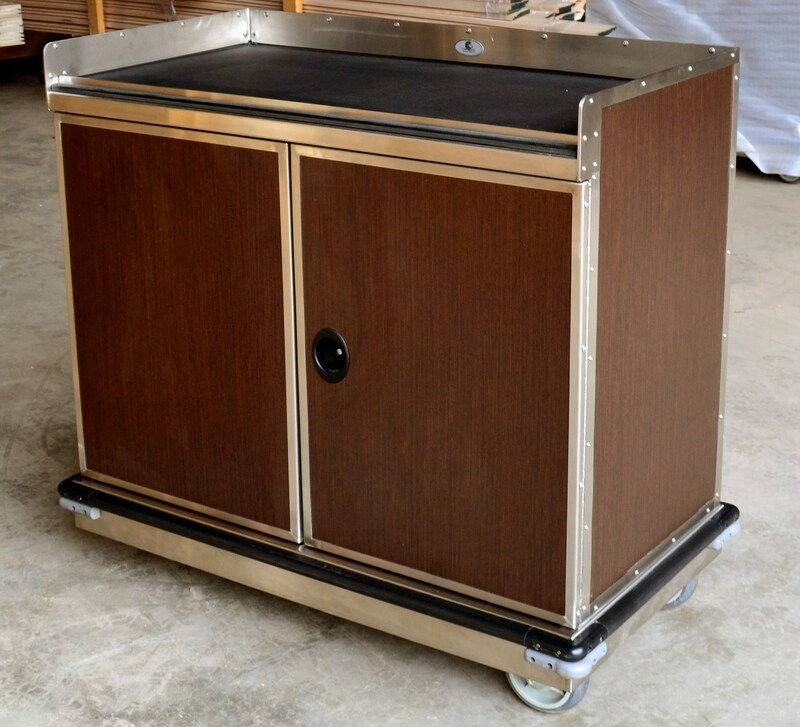 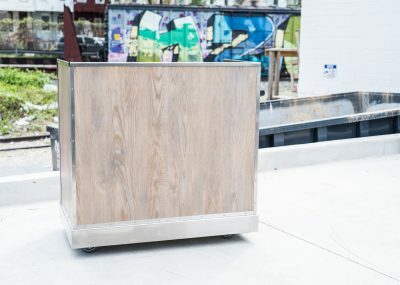 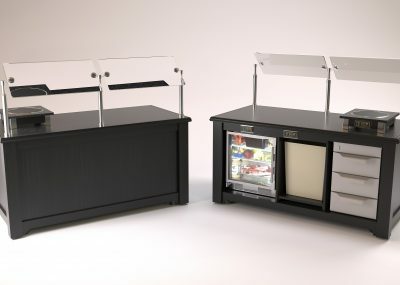 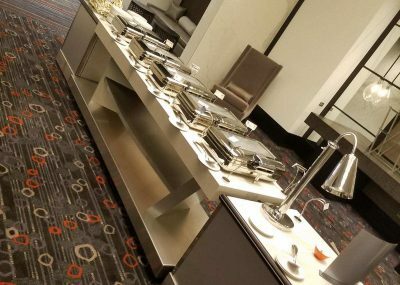 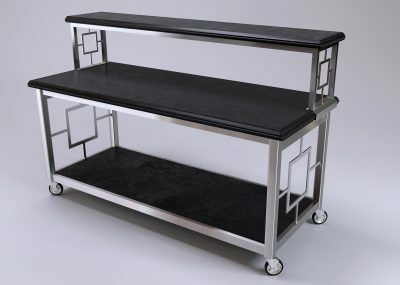 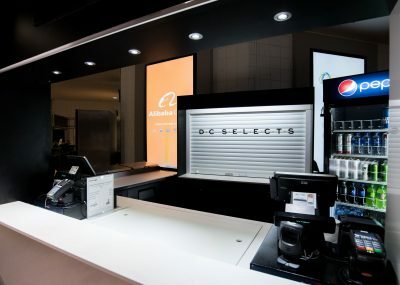 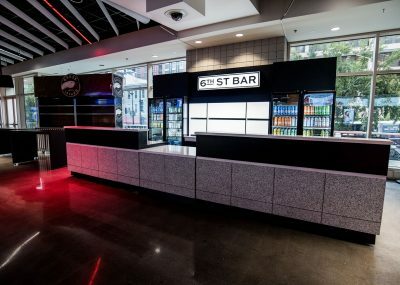 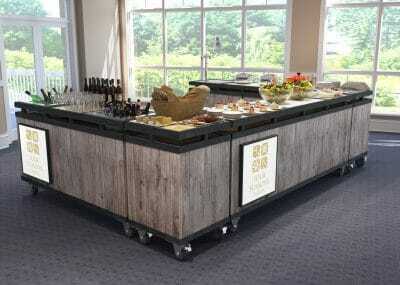 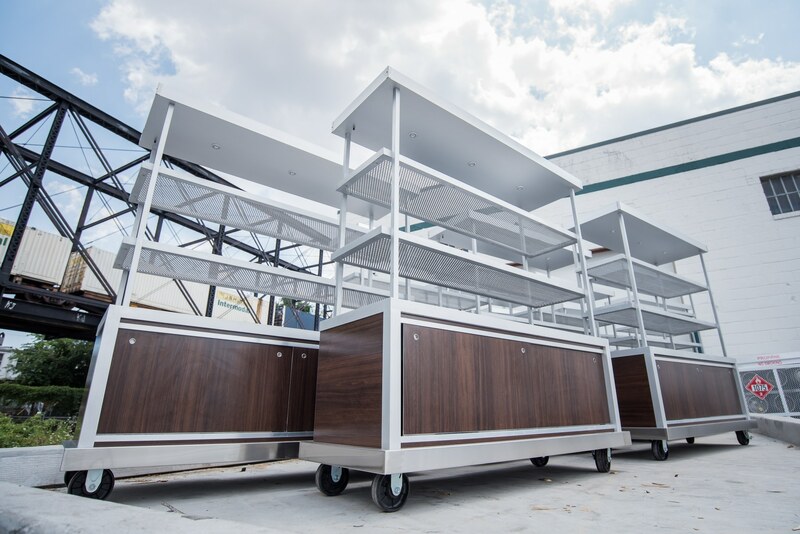 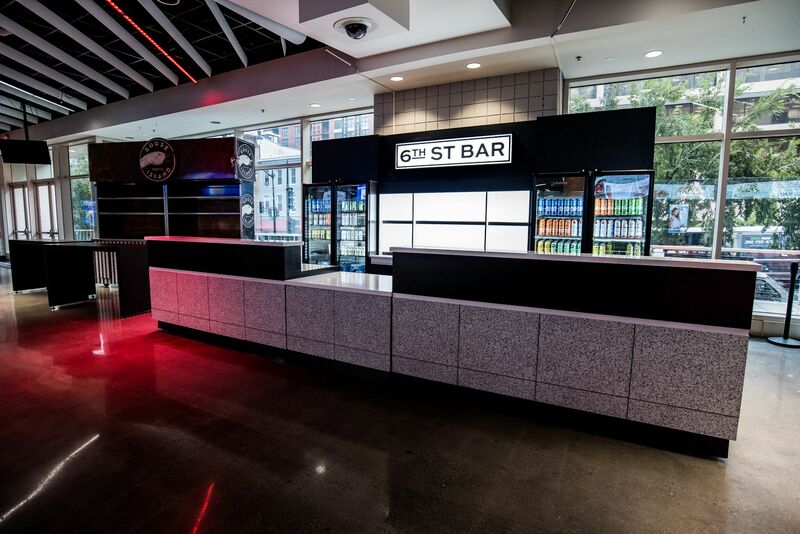 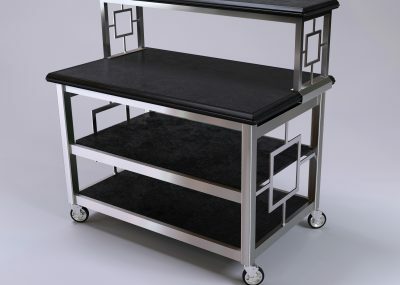 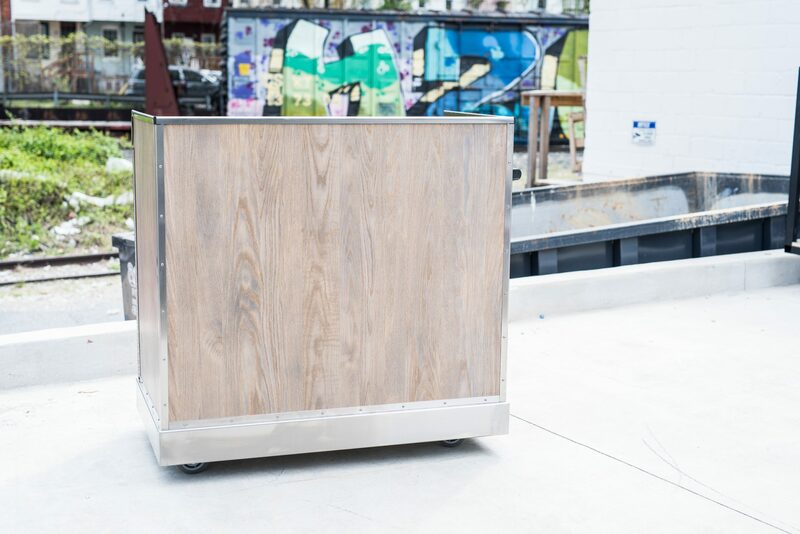 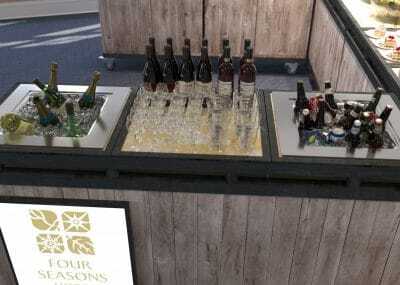 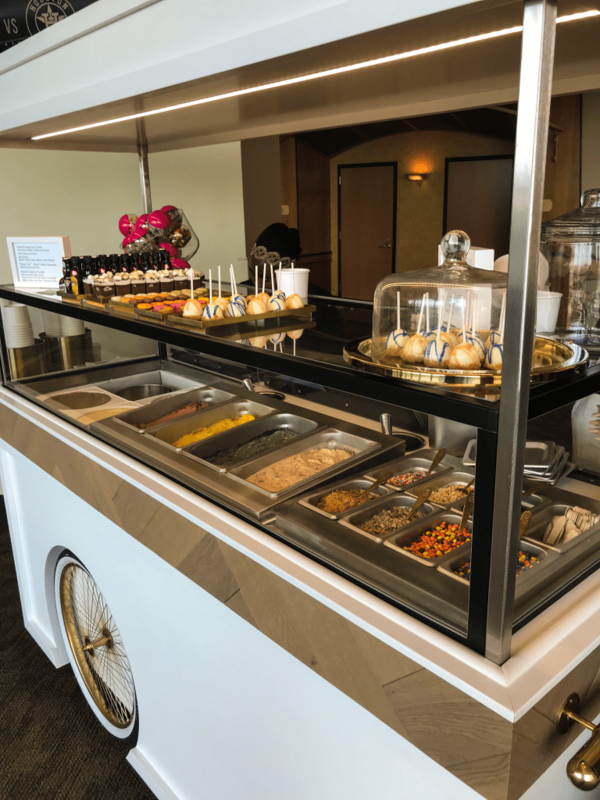 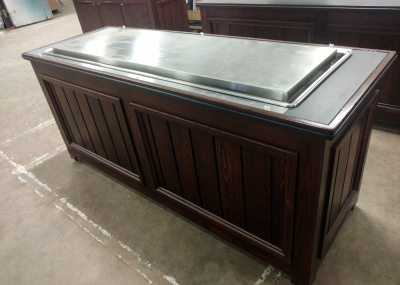 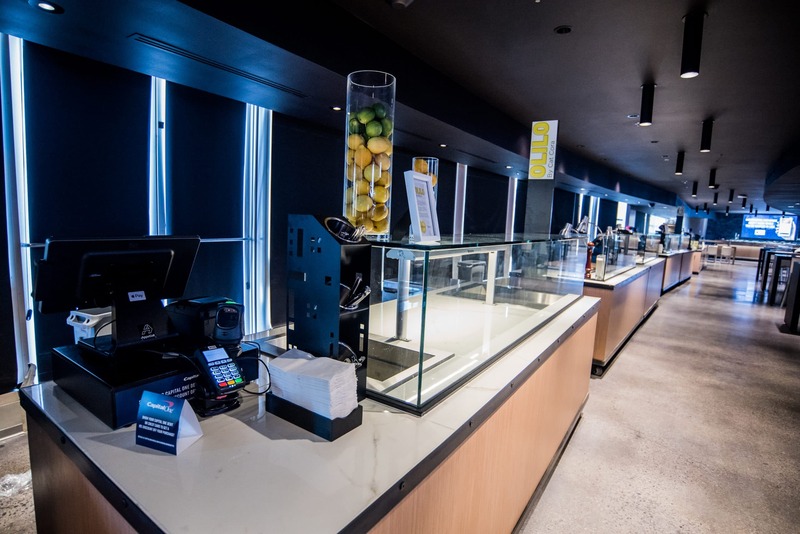 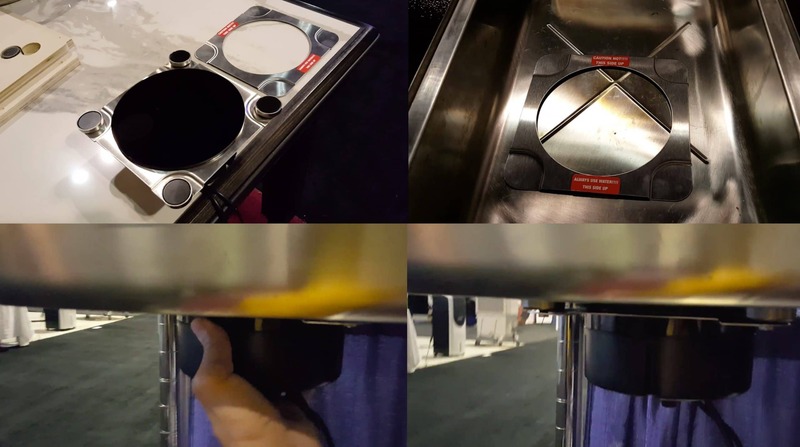 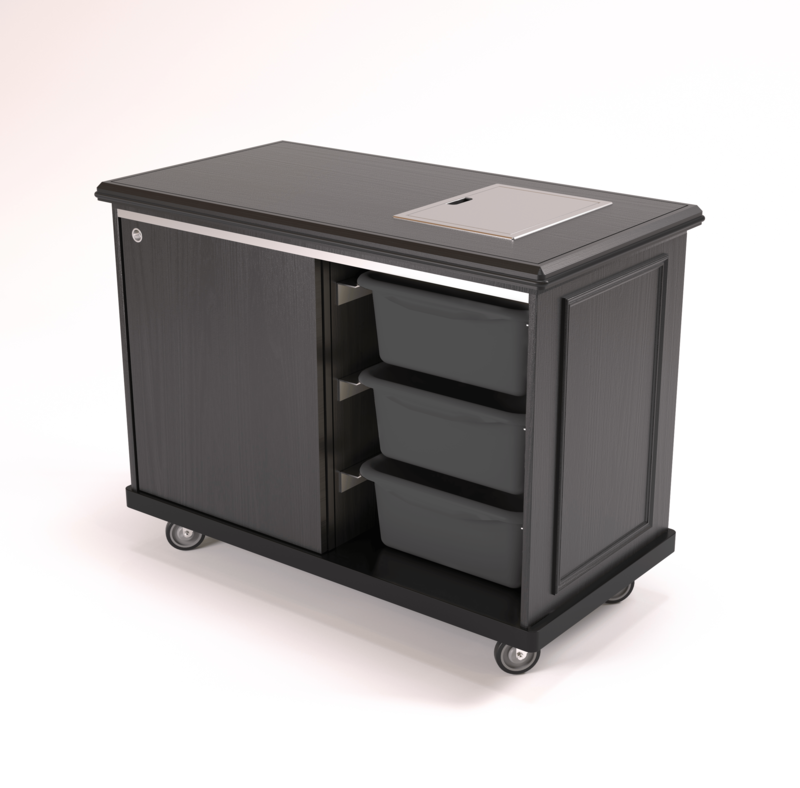 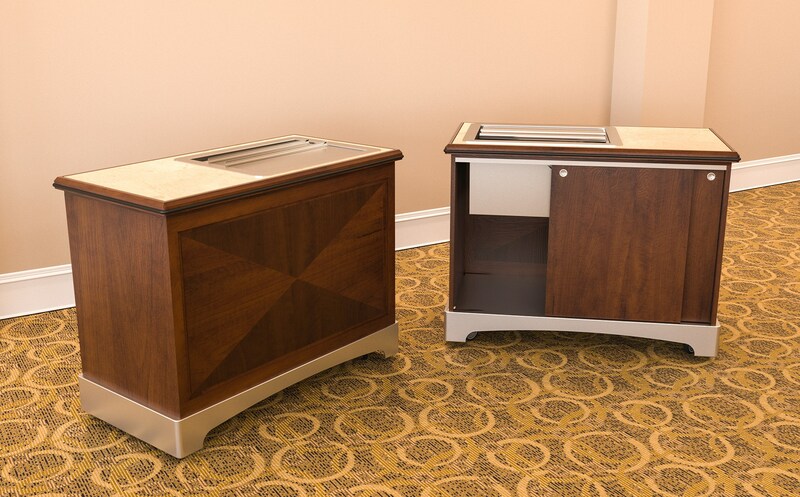 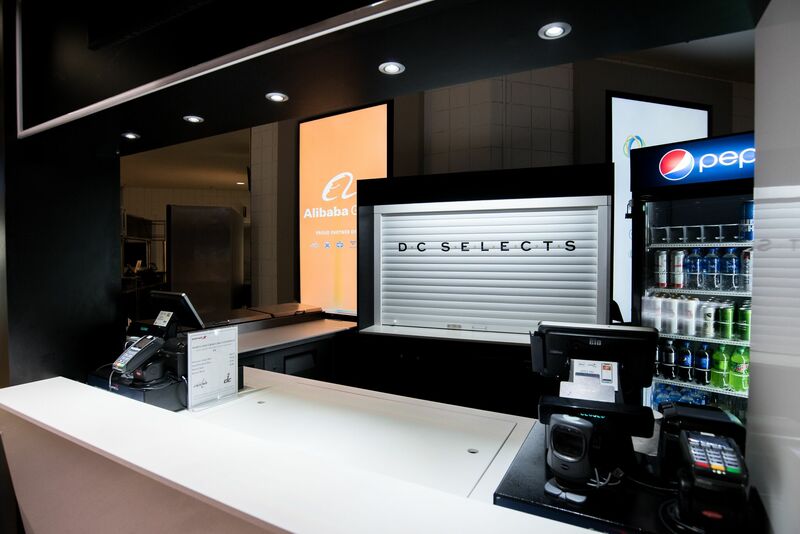 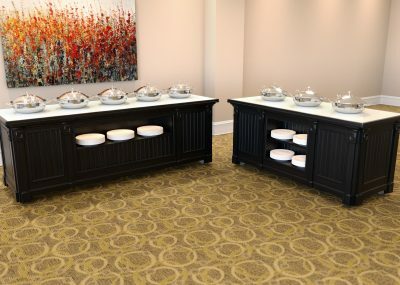 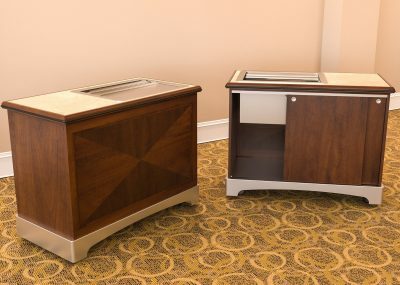 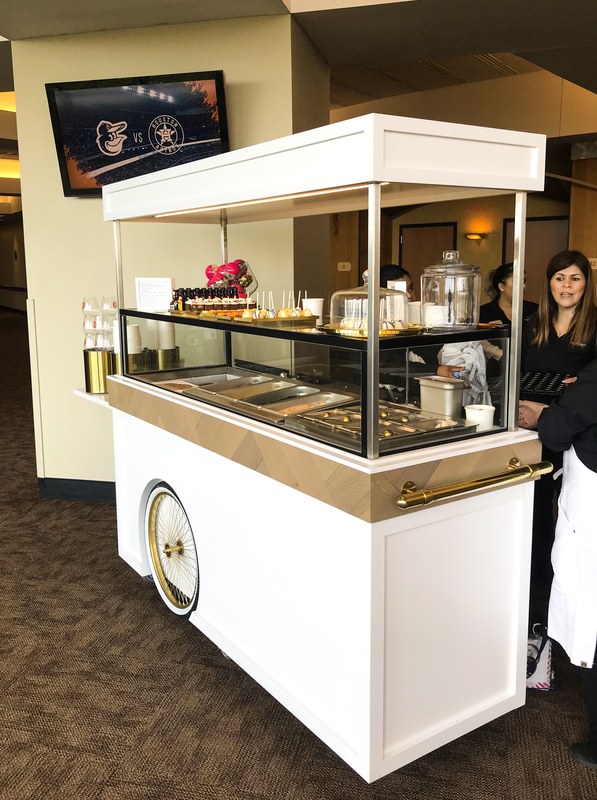 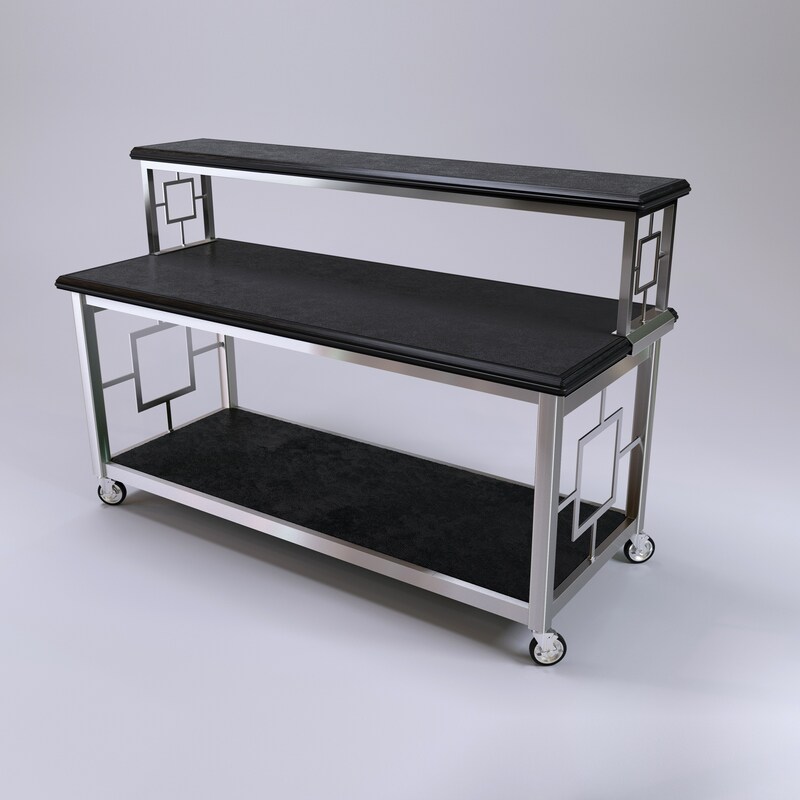 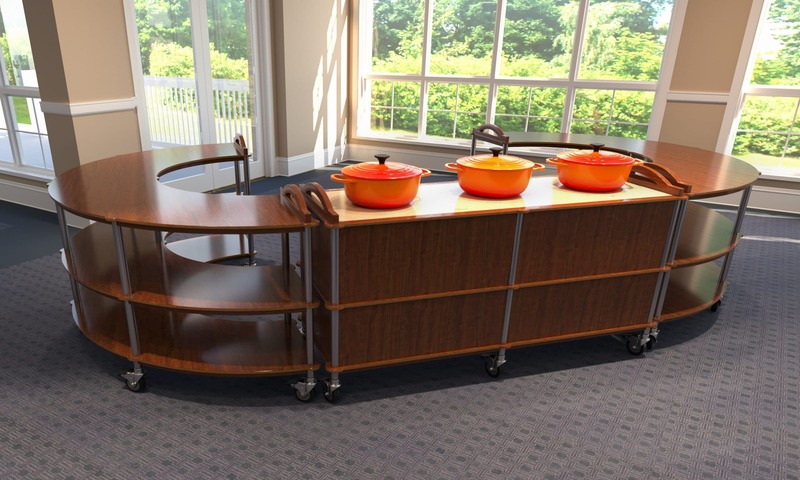 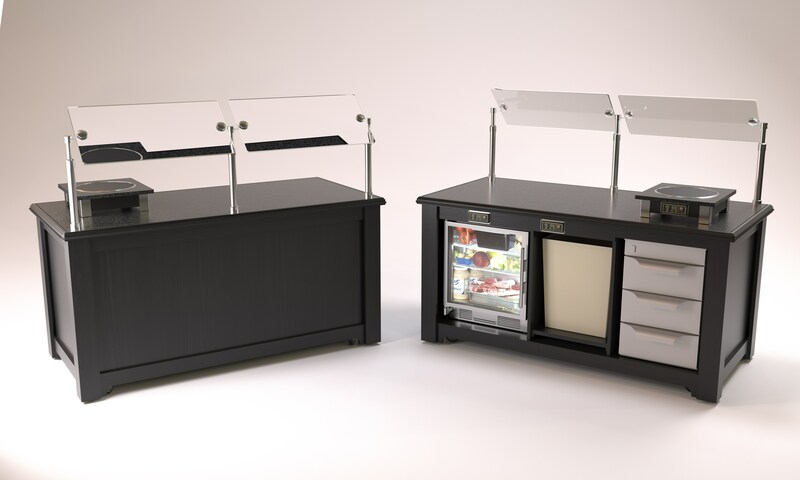 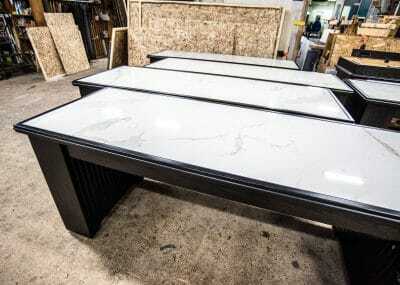 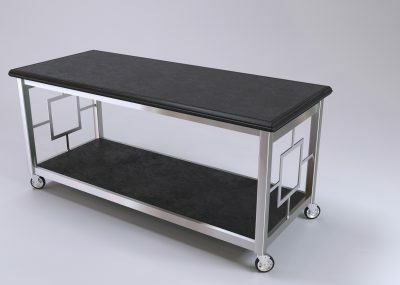 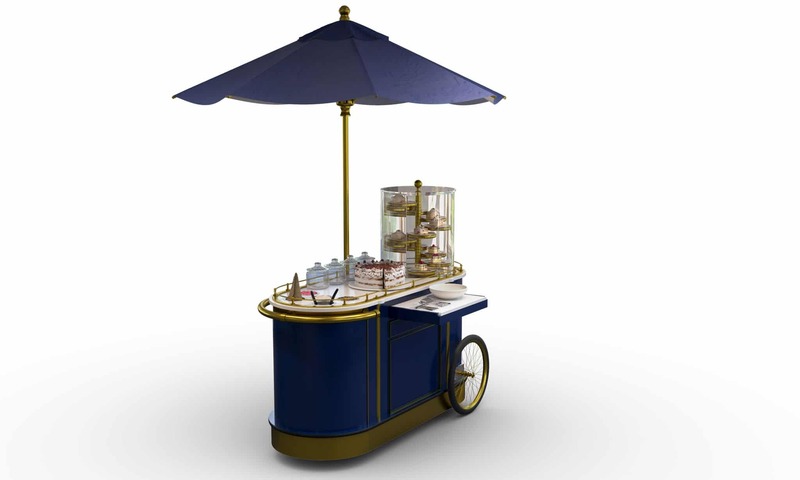 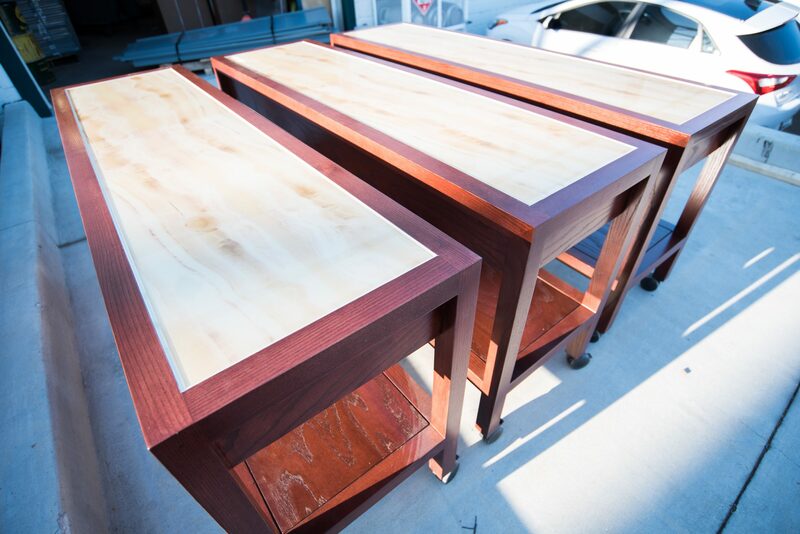 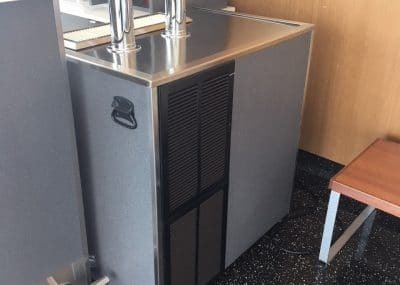 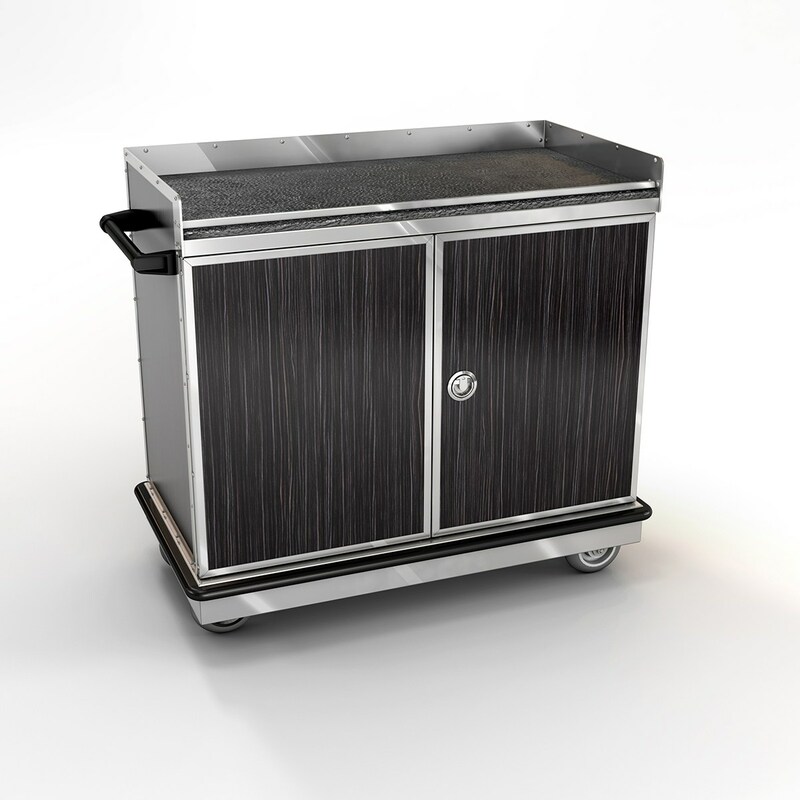 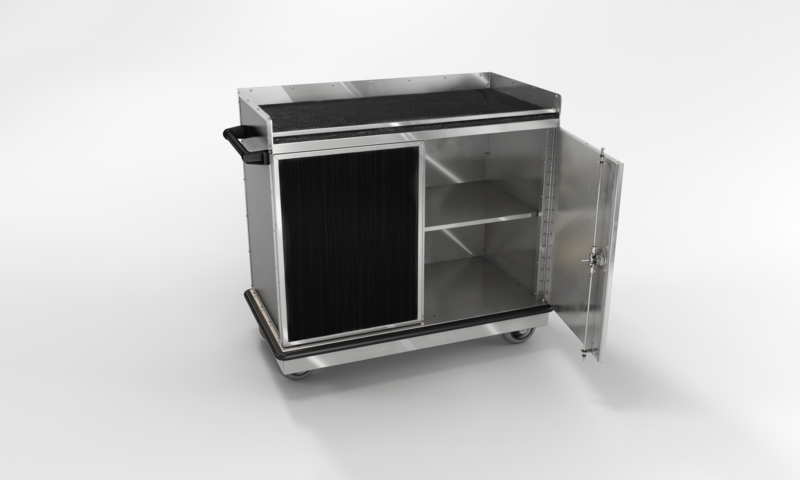 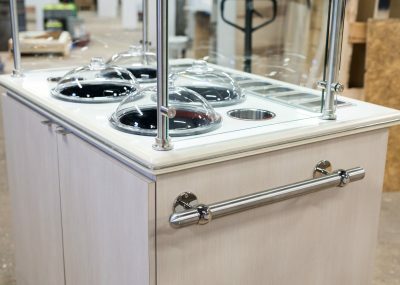 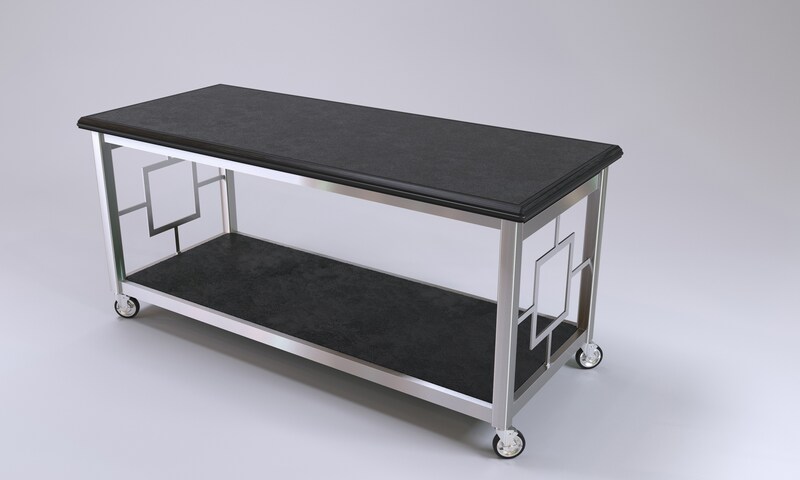 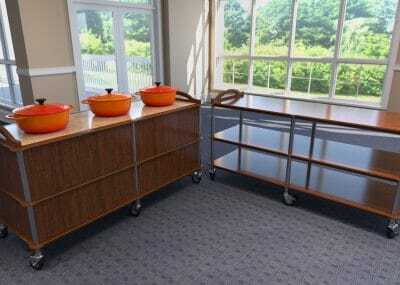 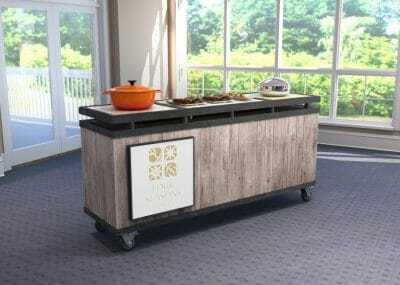 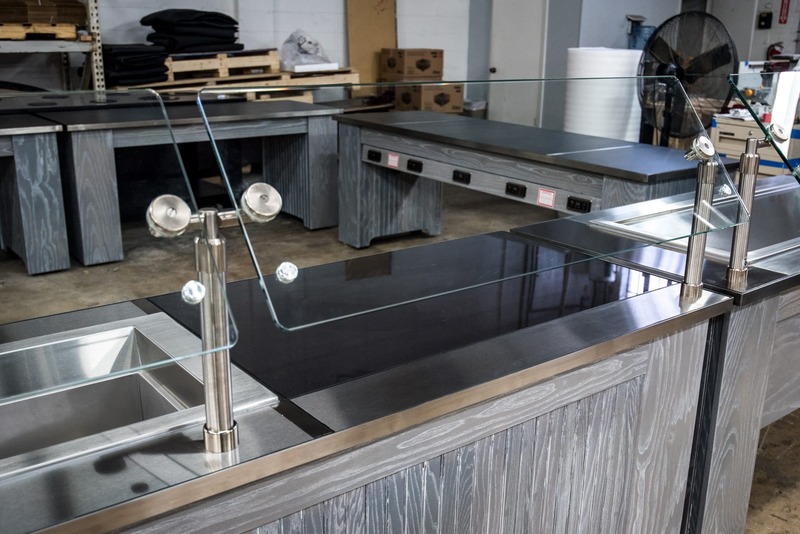 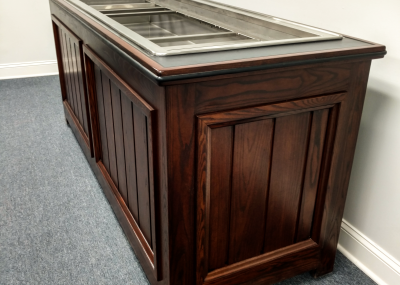 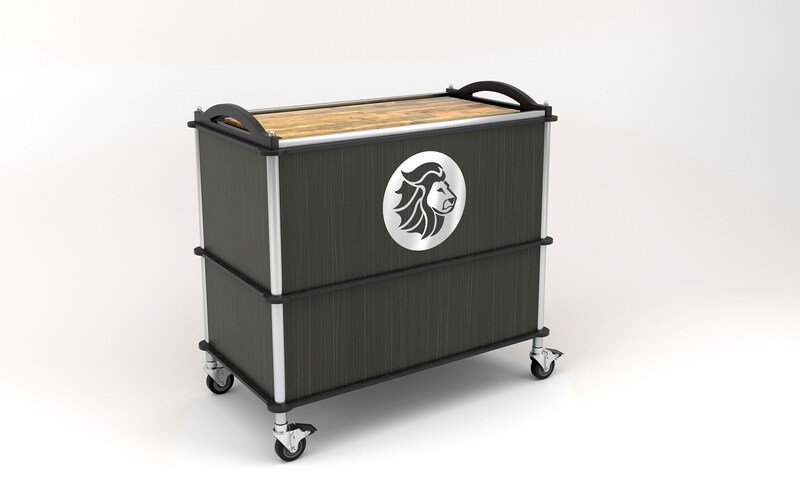 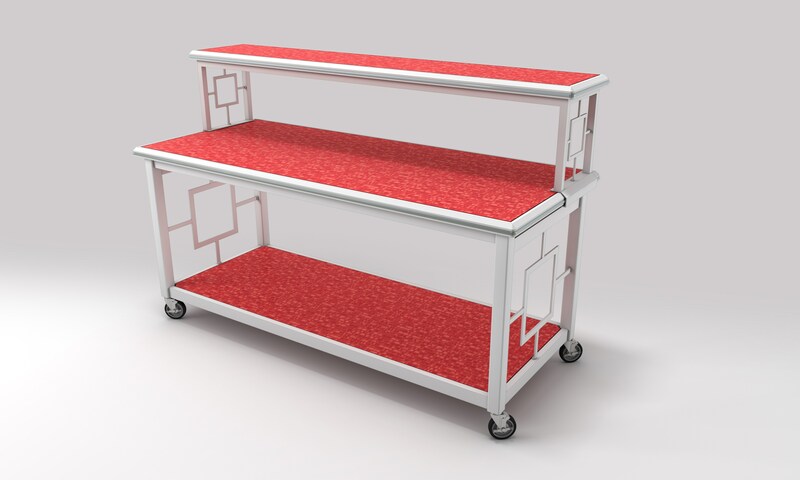 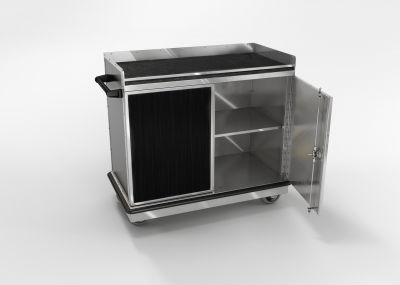 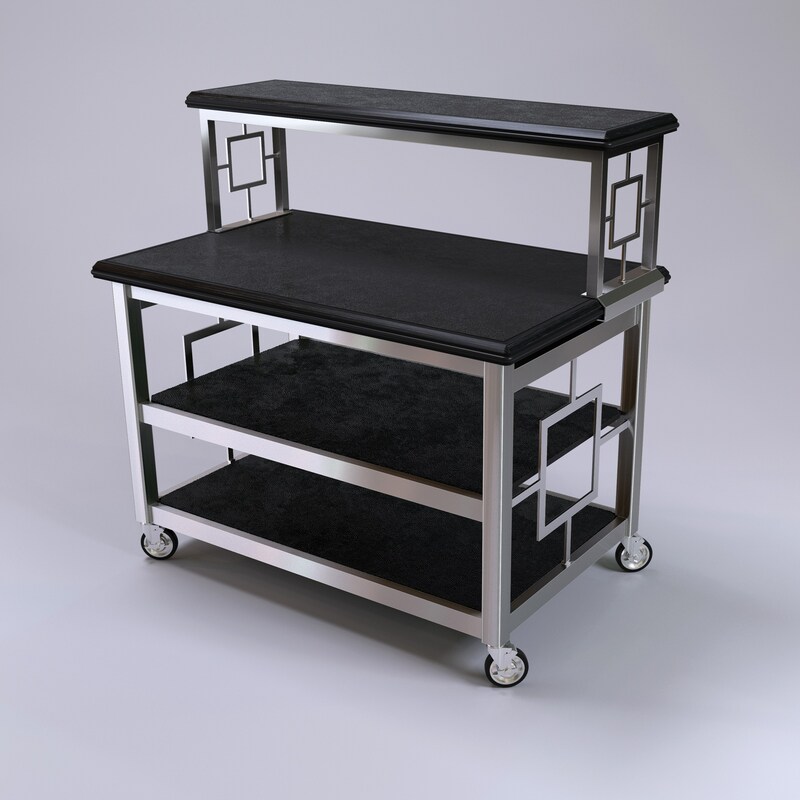 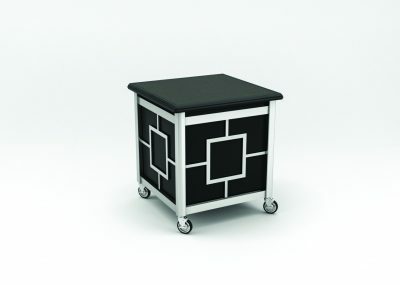 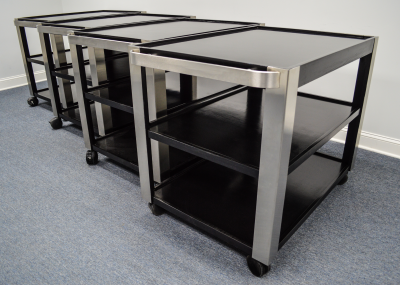 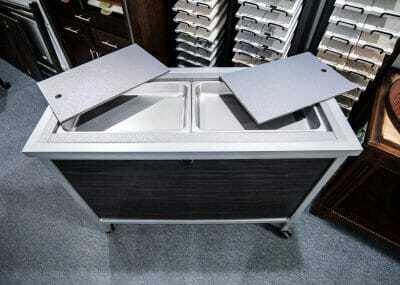 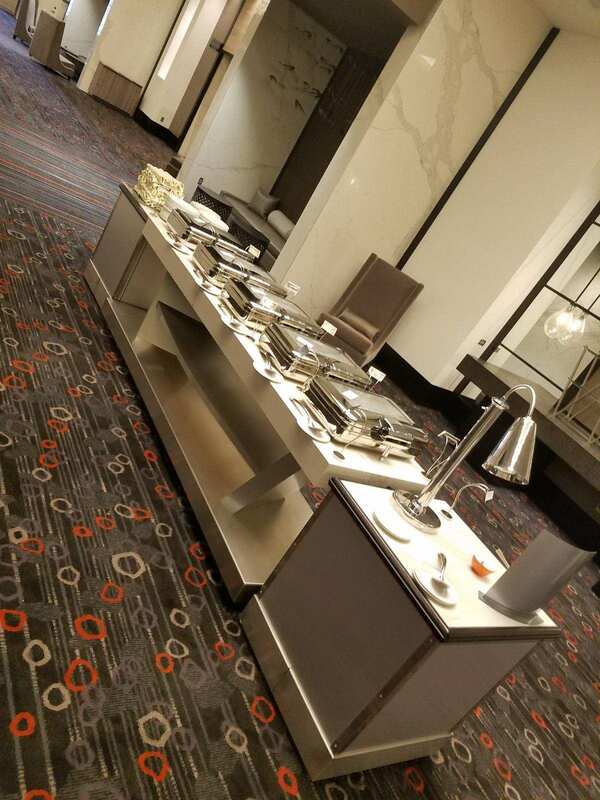 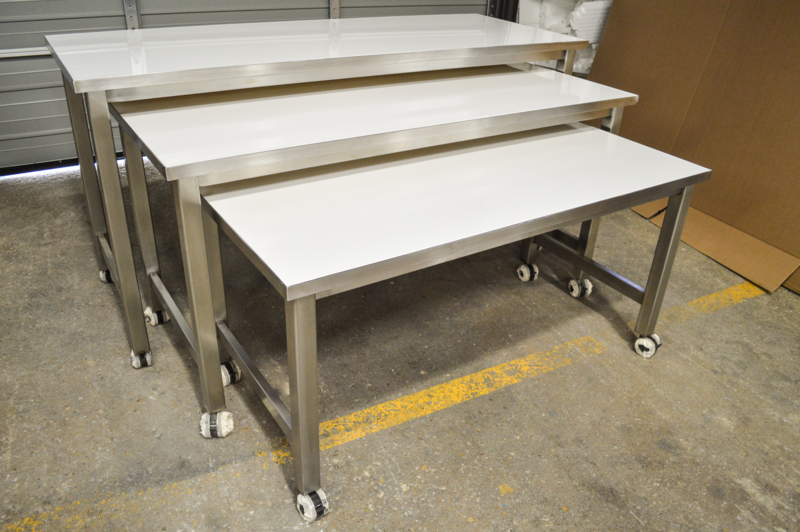 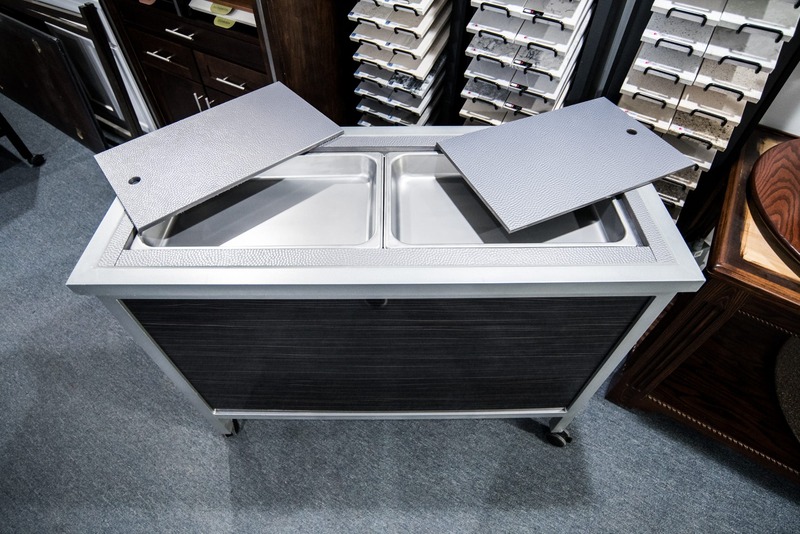 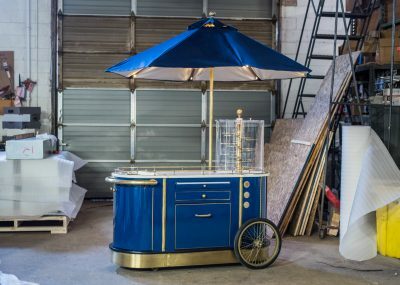 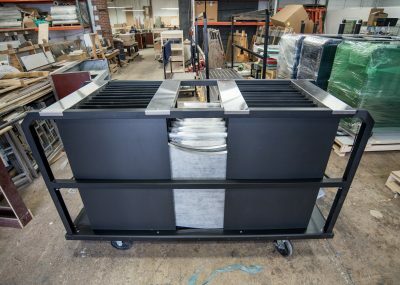 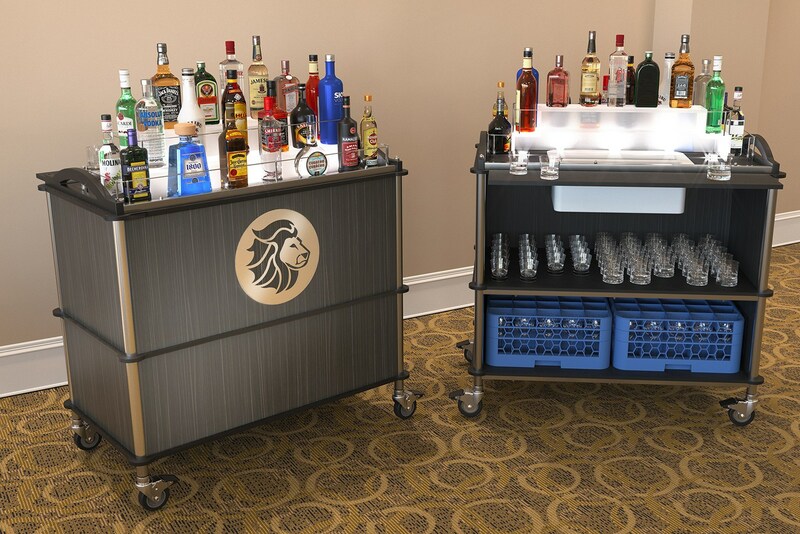 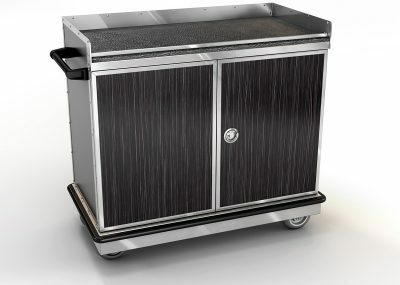 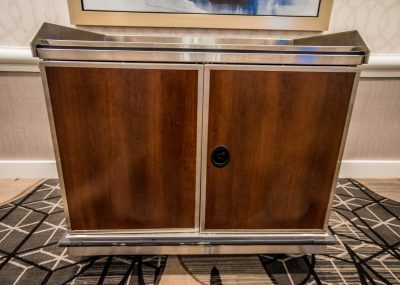 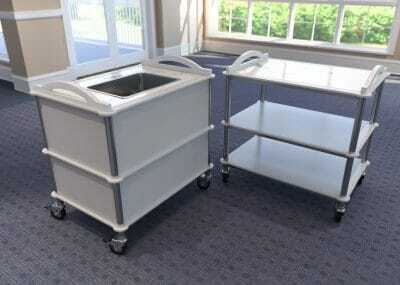 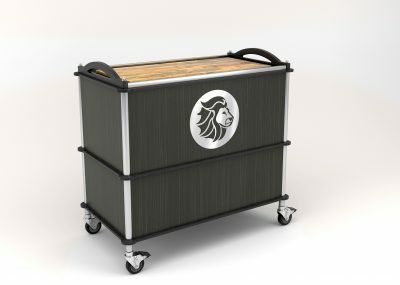 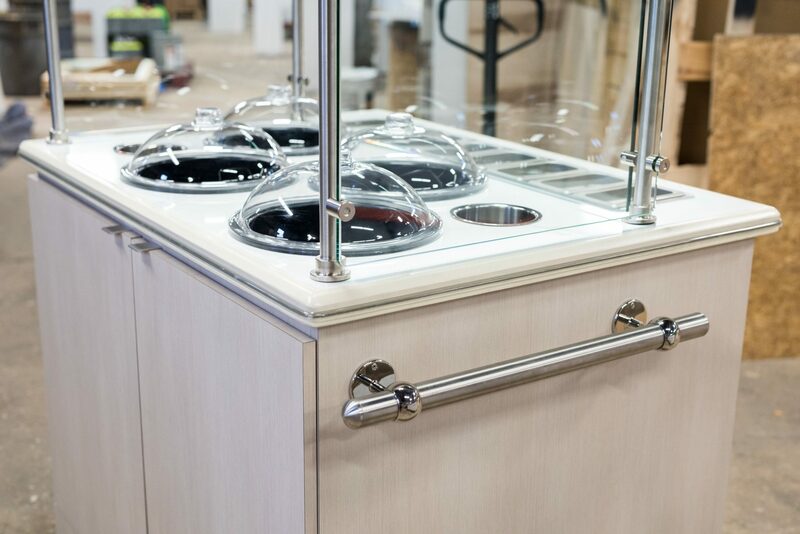 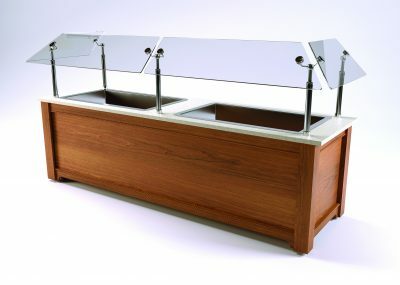 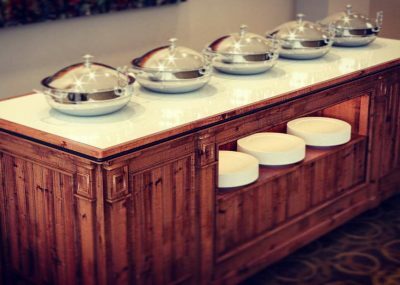 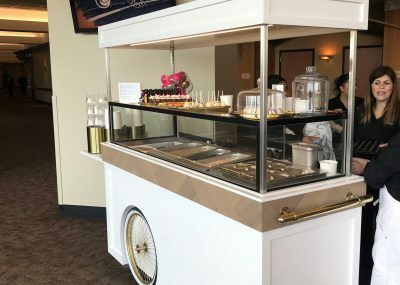 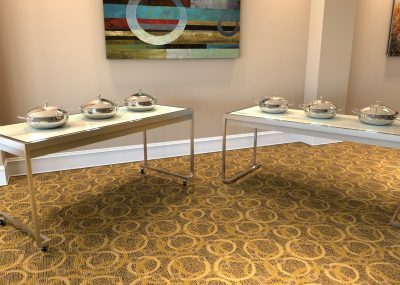 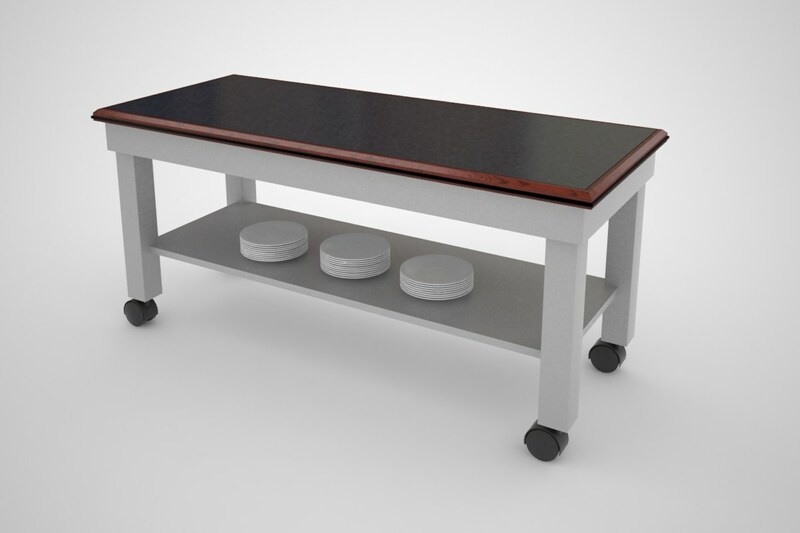 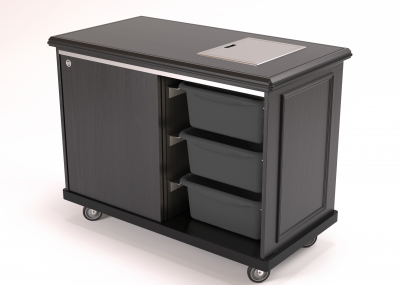 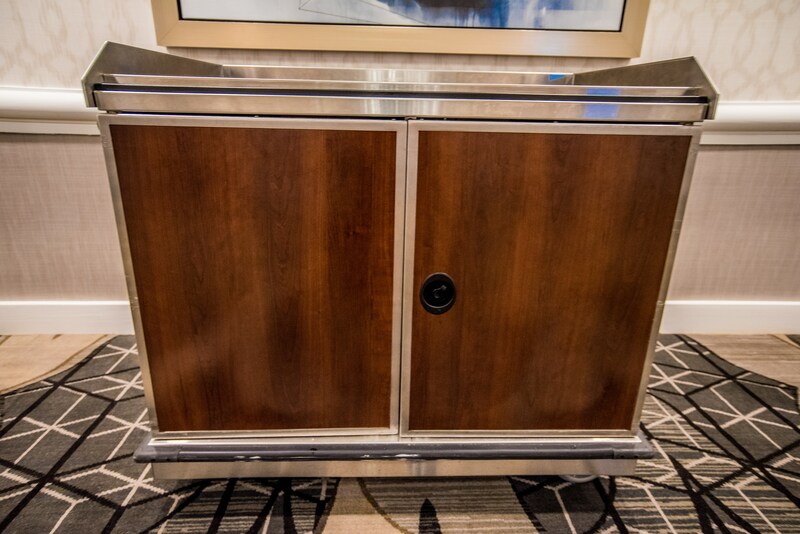 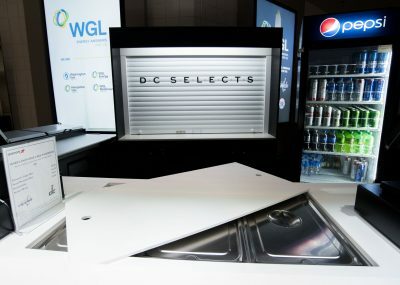 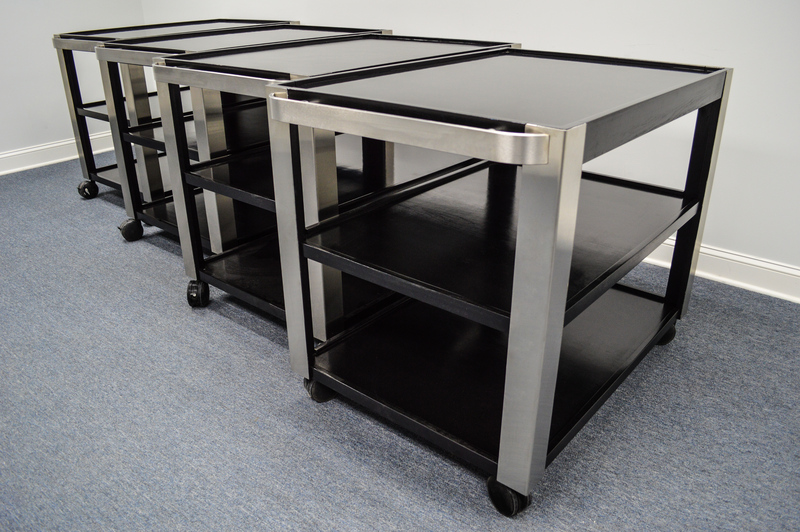 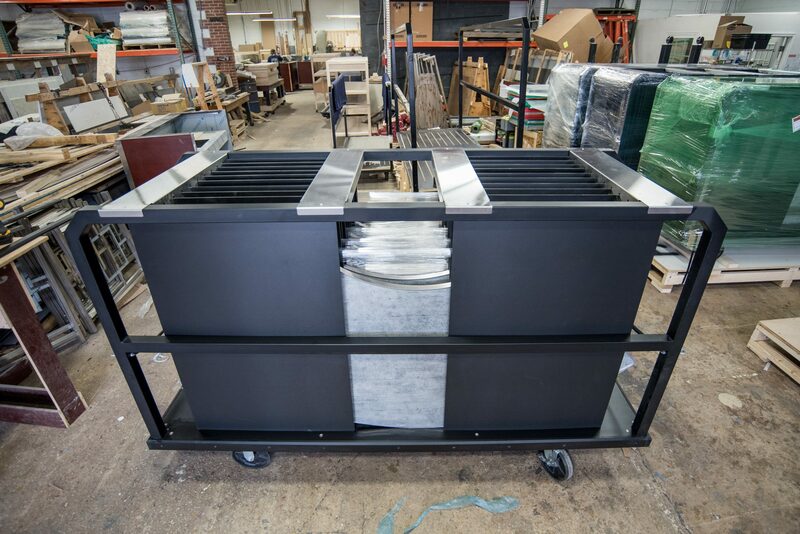 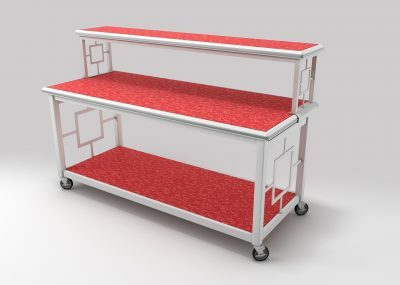 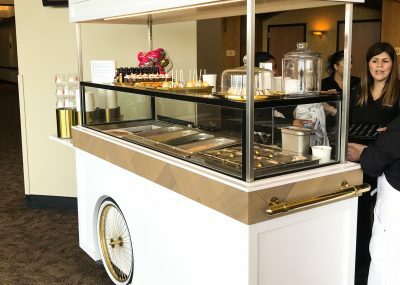 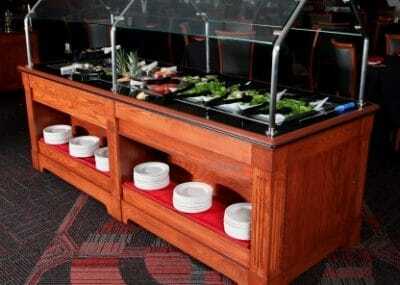 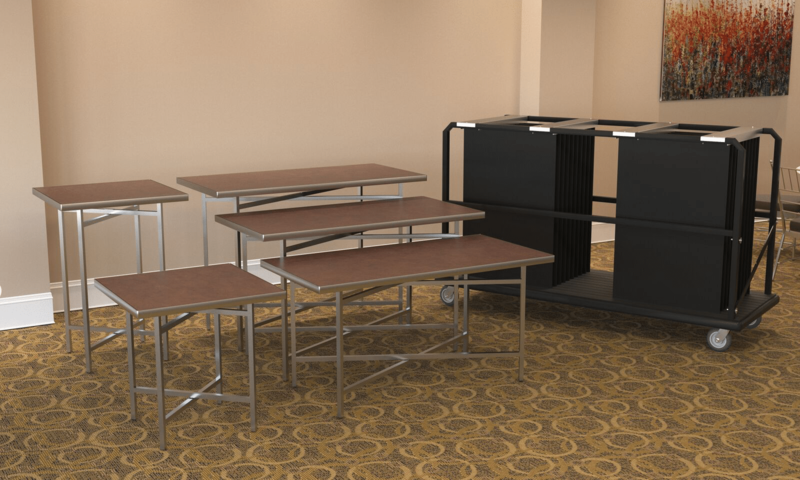 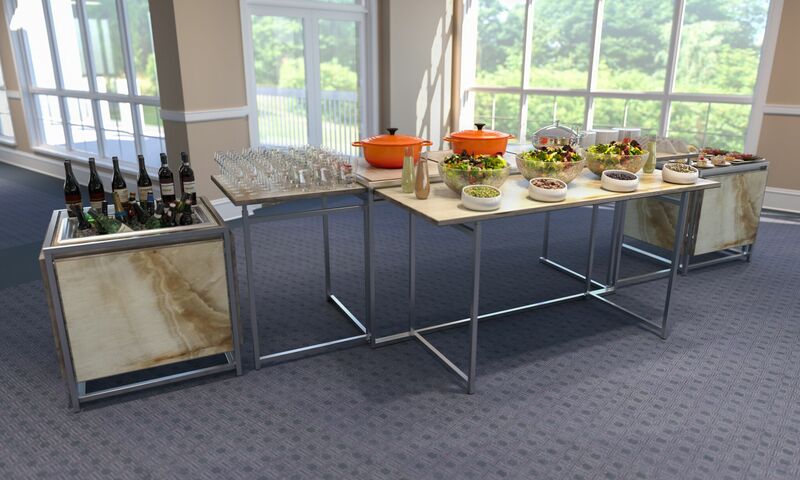 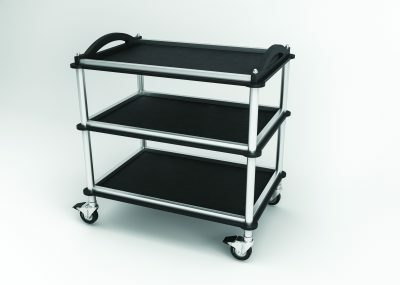 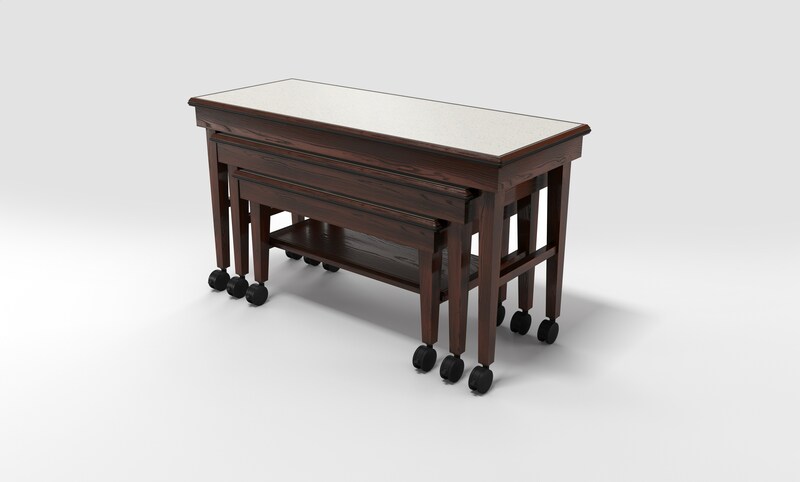 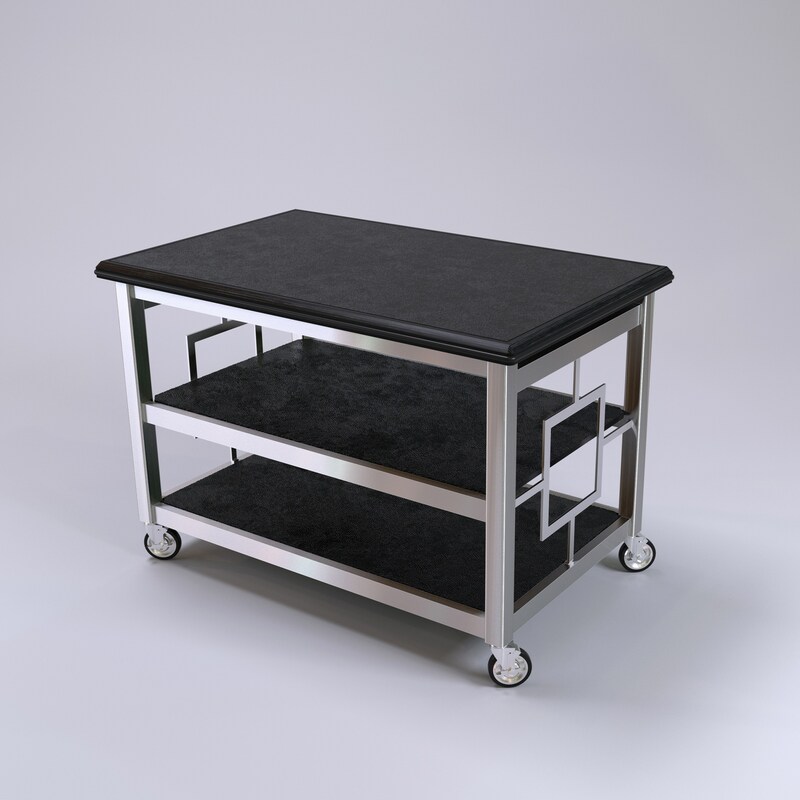 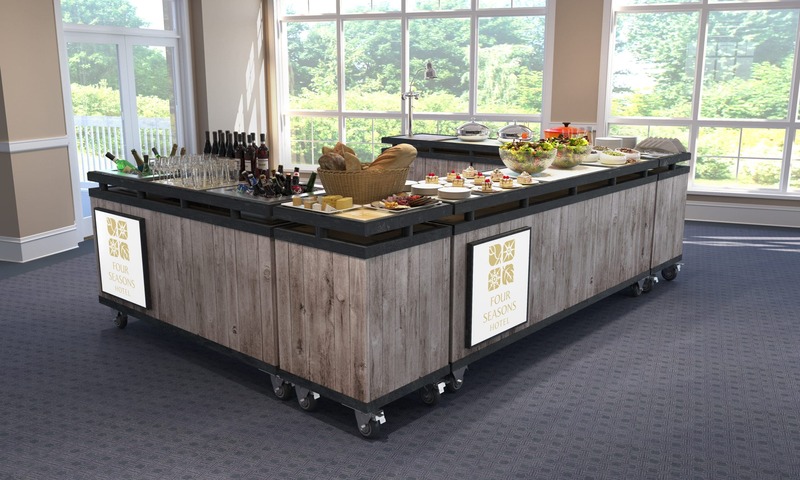 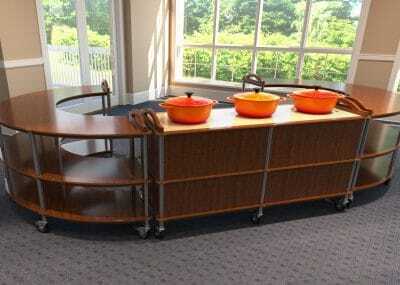 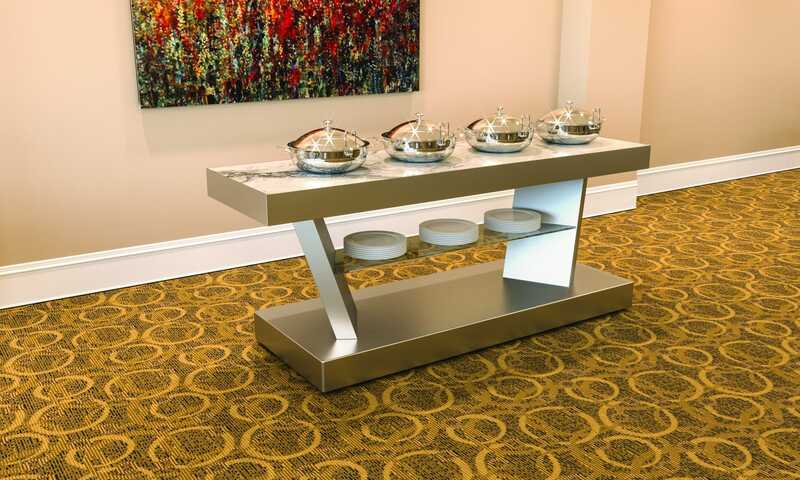 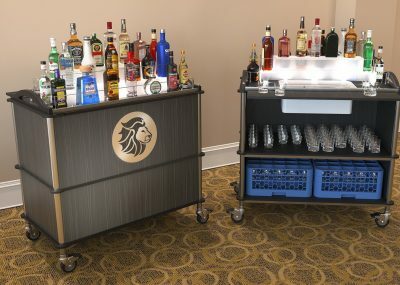 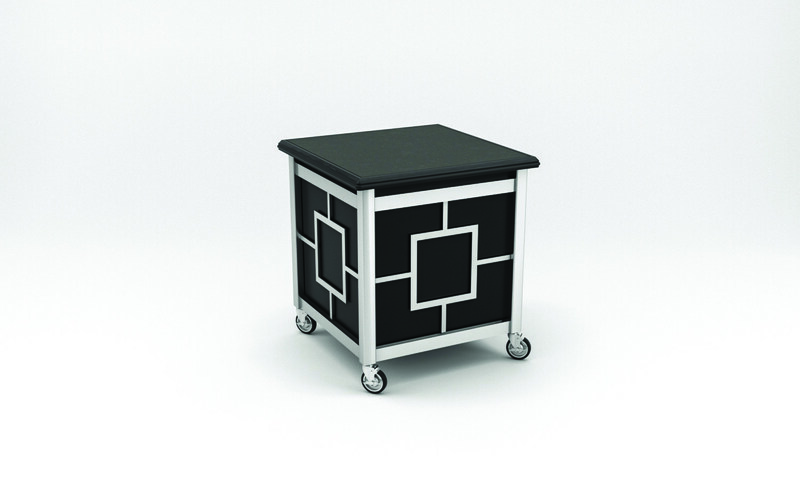 Specialty carts for ice and more that match your tables and bar suites. 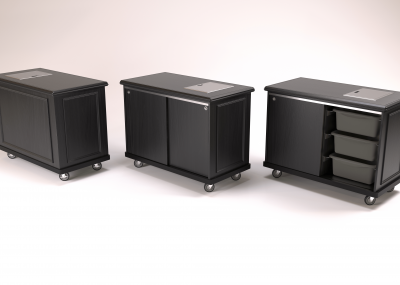 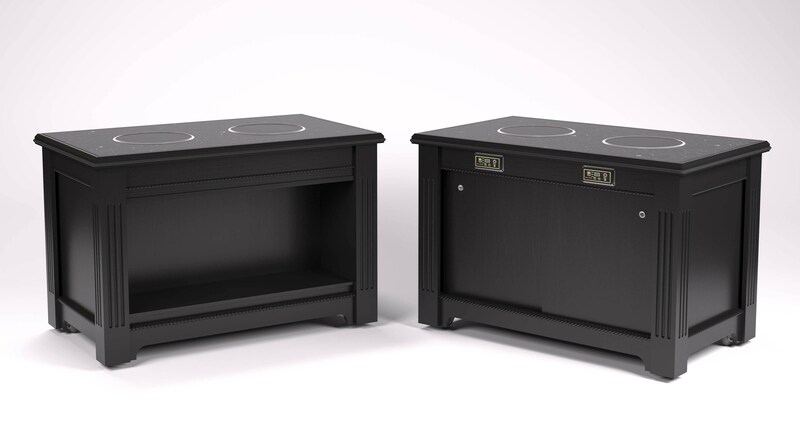 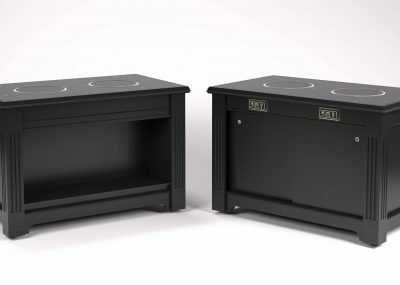 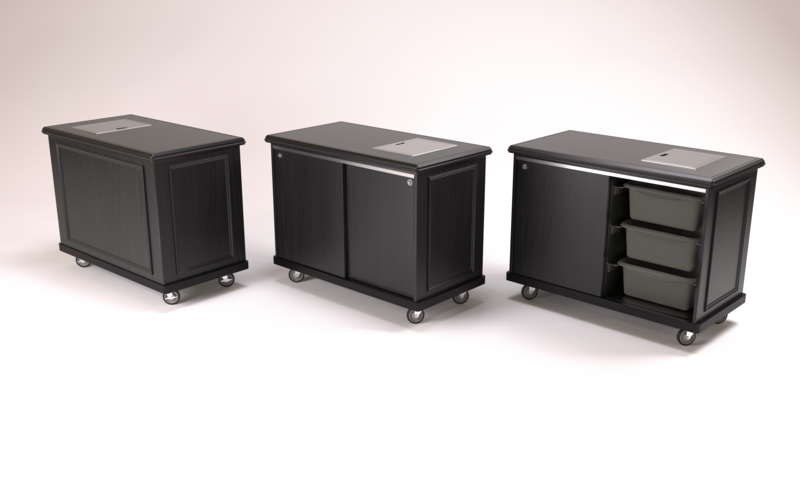 Self- contained power centers with rechargeable lithium-ion technology. 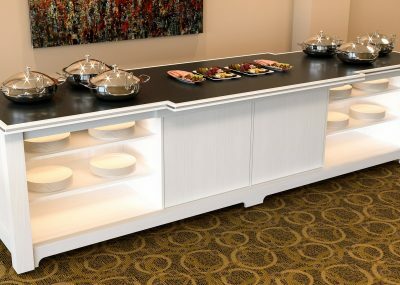 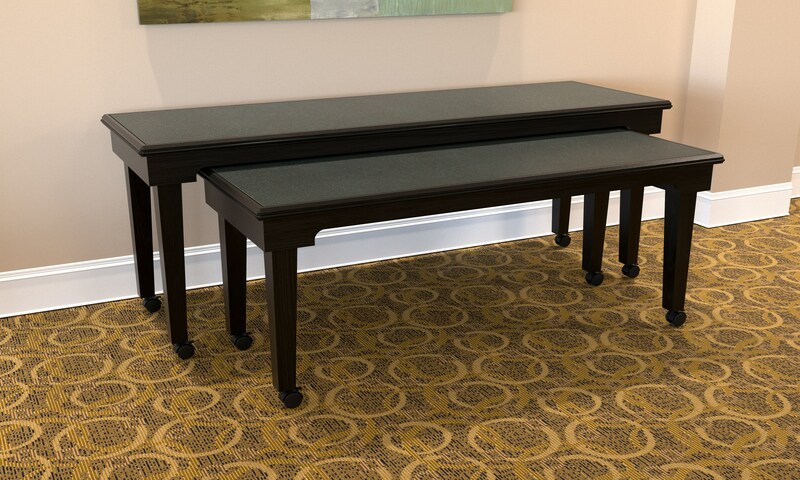 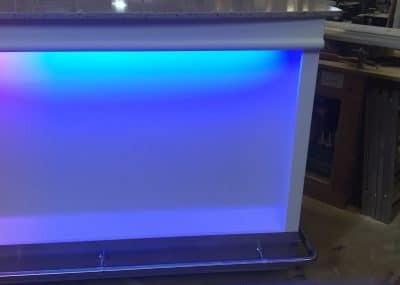 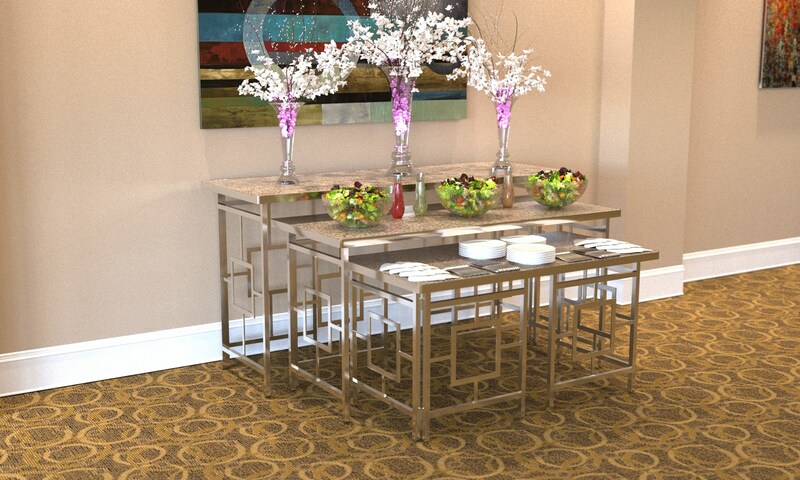 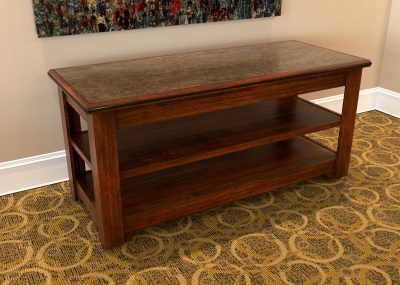 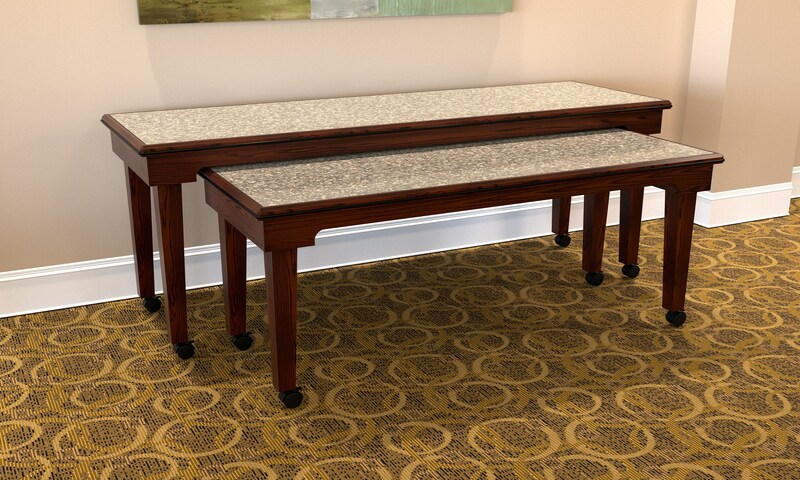 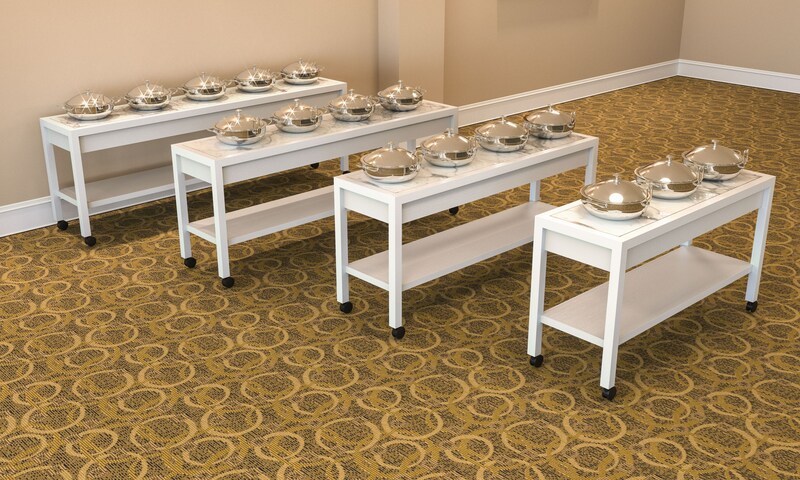 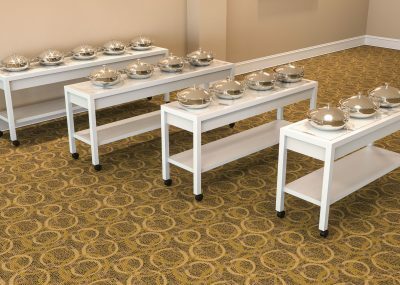 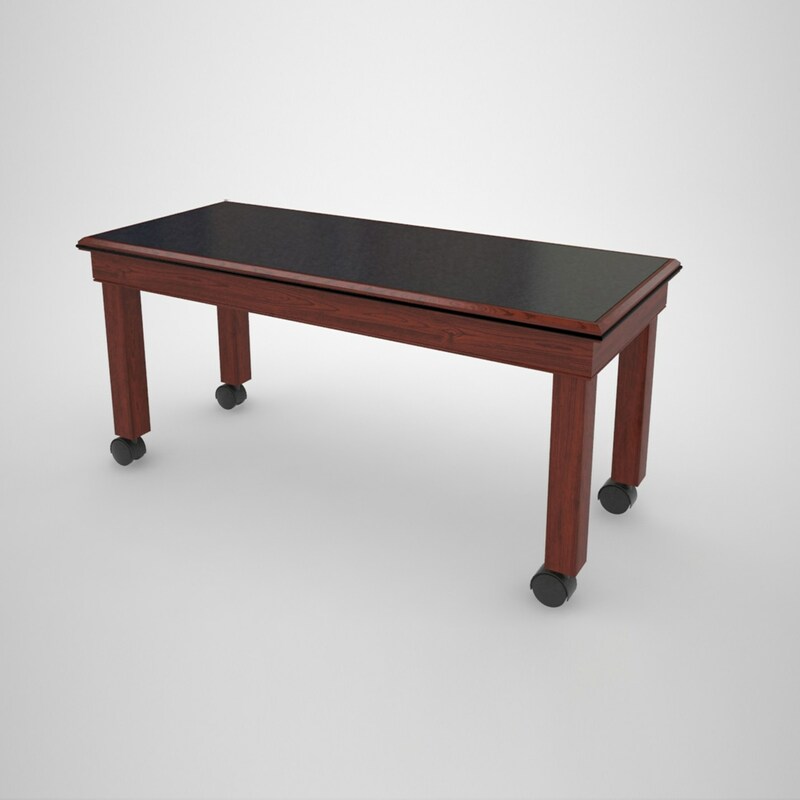 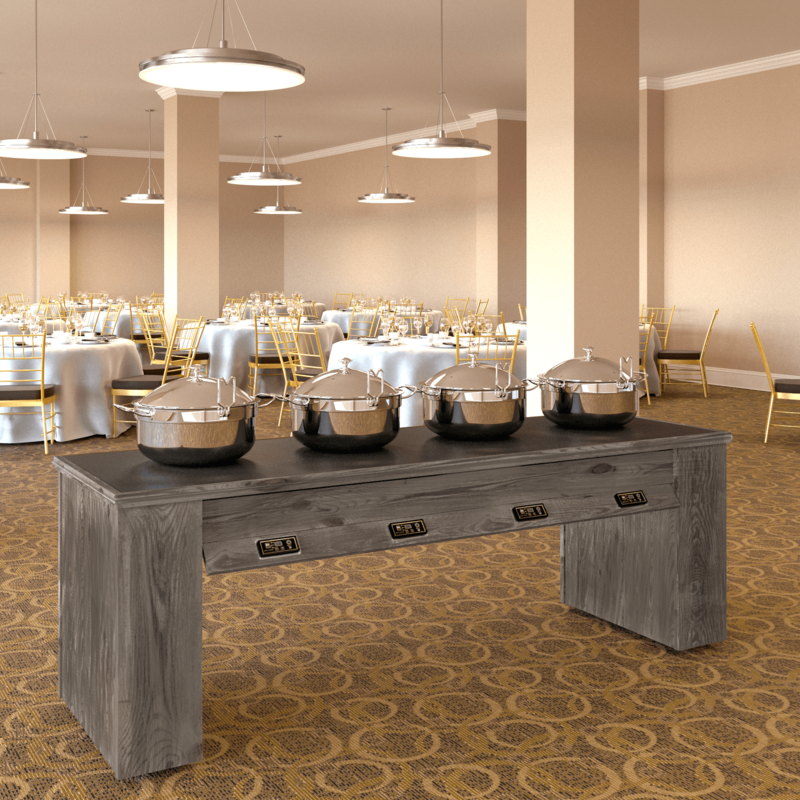 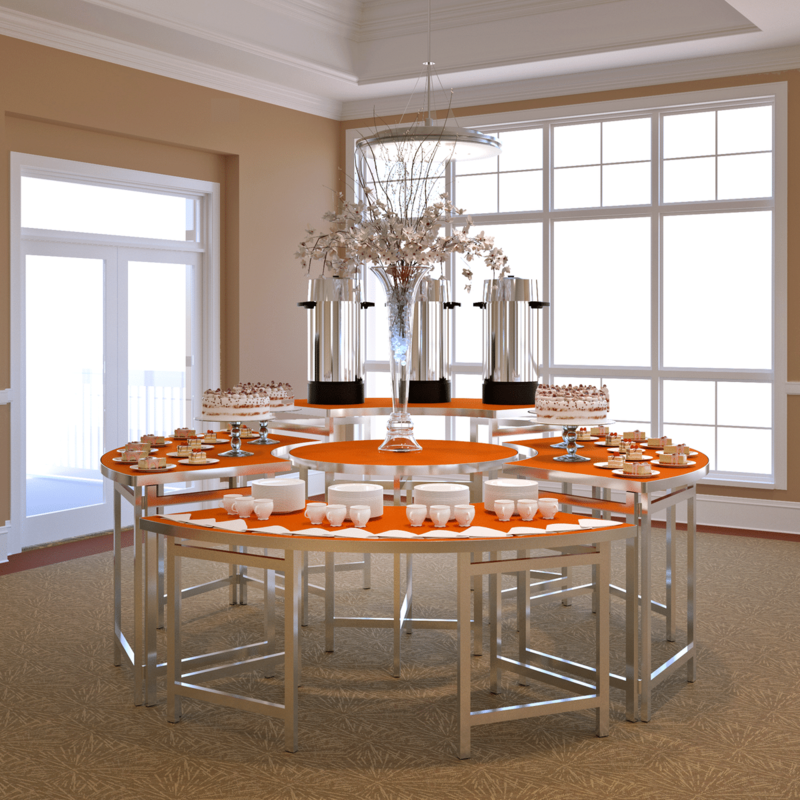 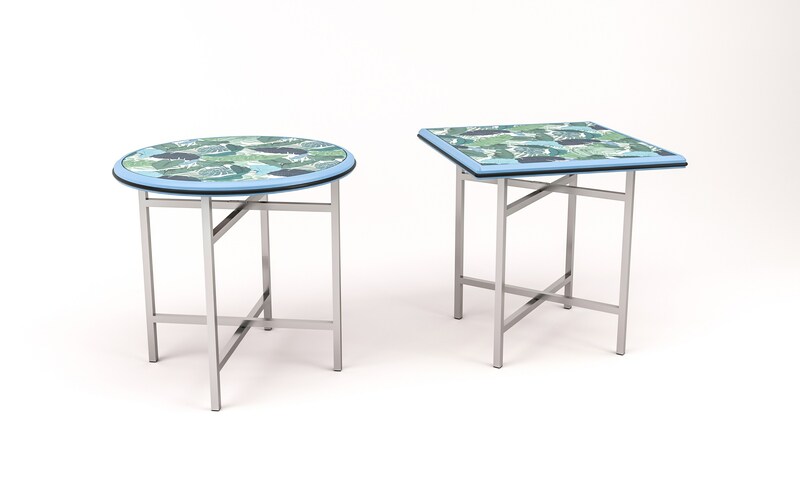 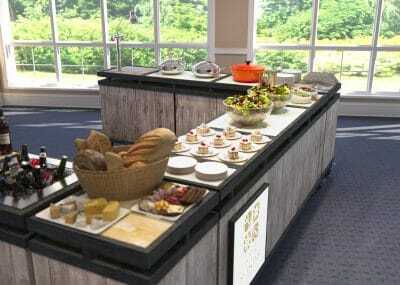 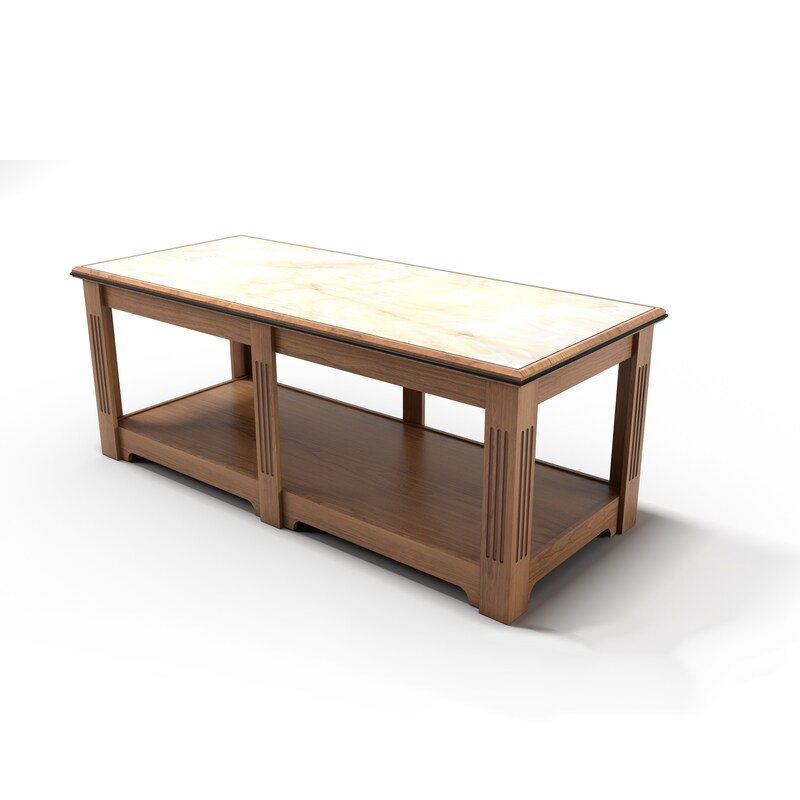 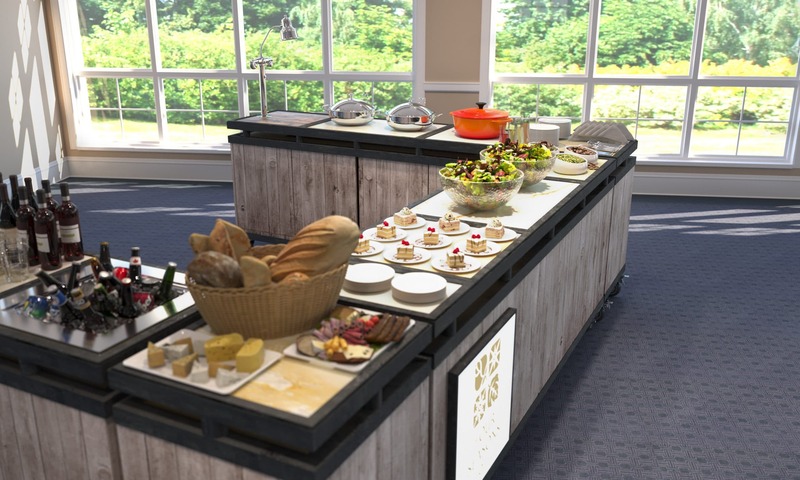 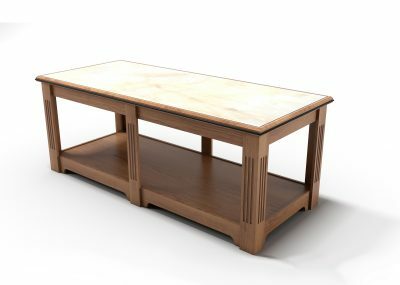 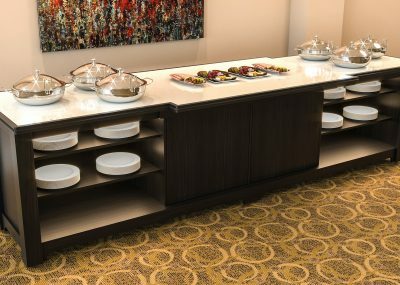 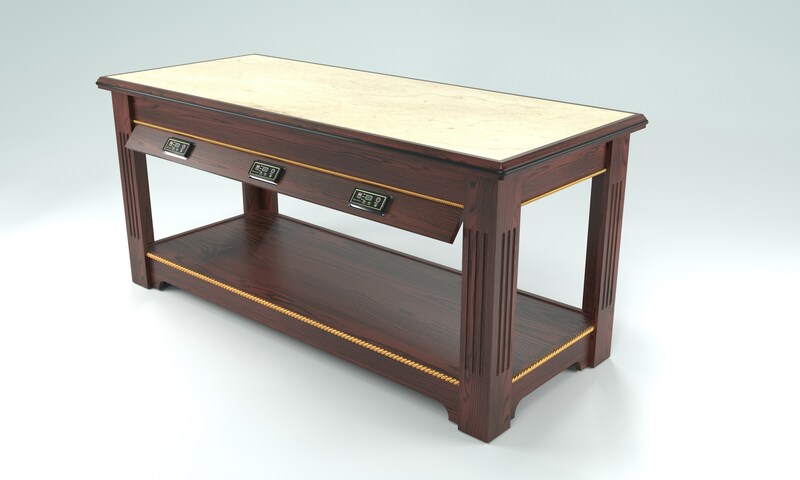 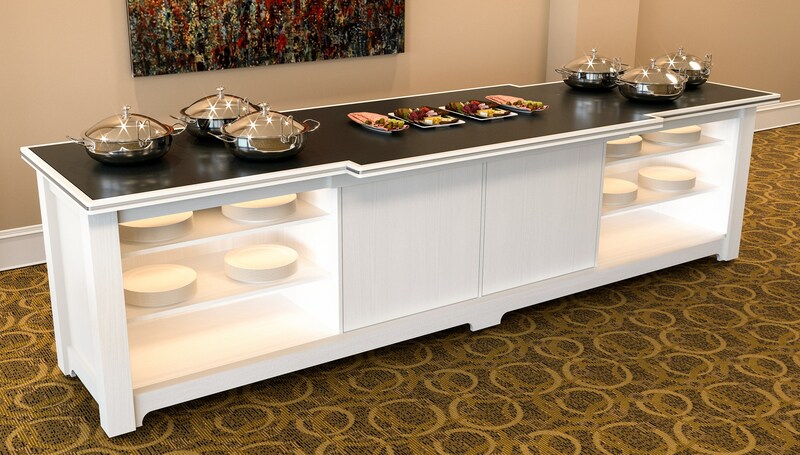 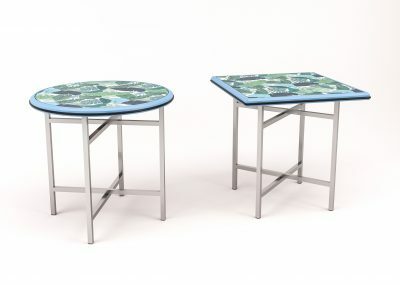 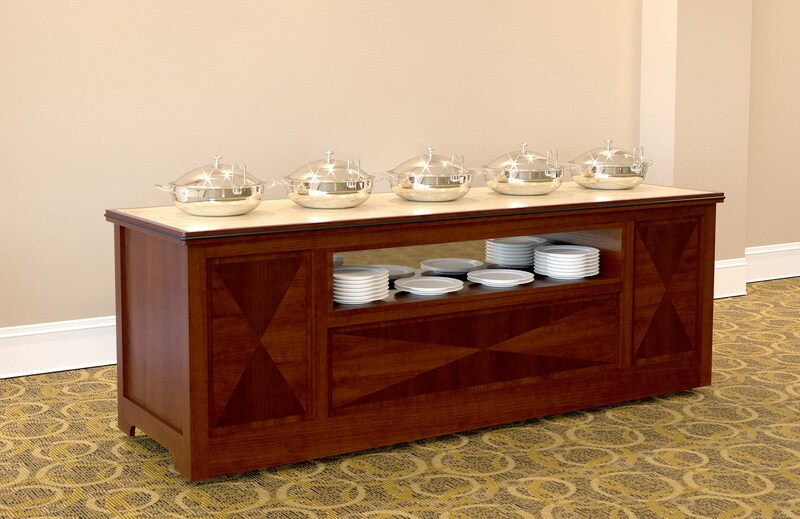 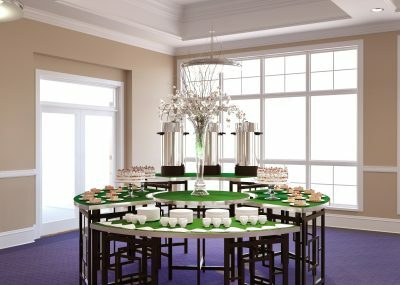 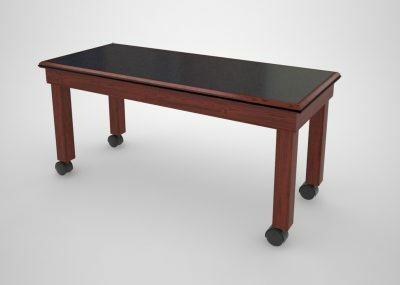 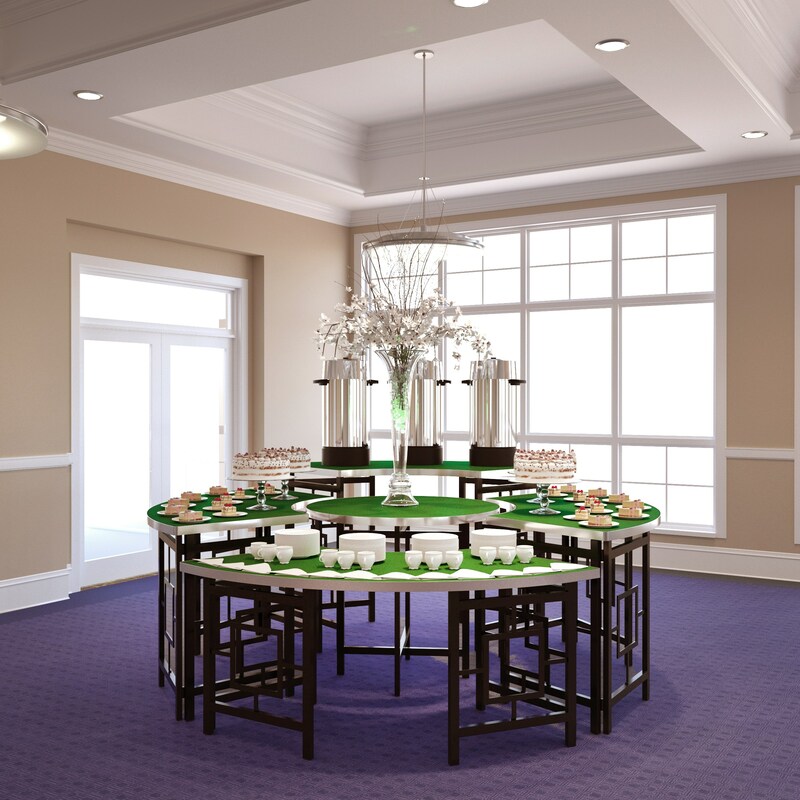 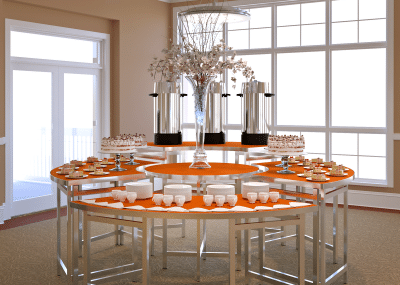 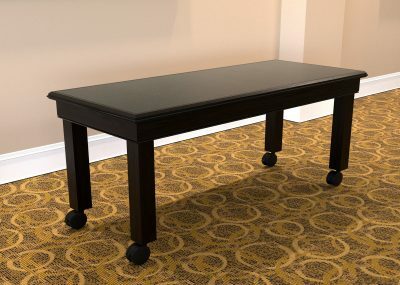 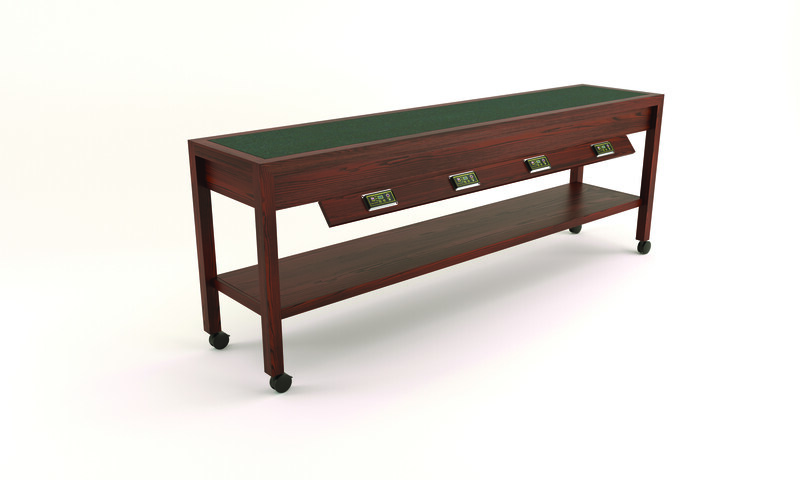 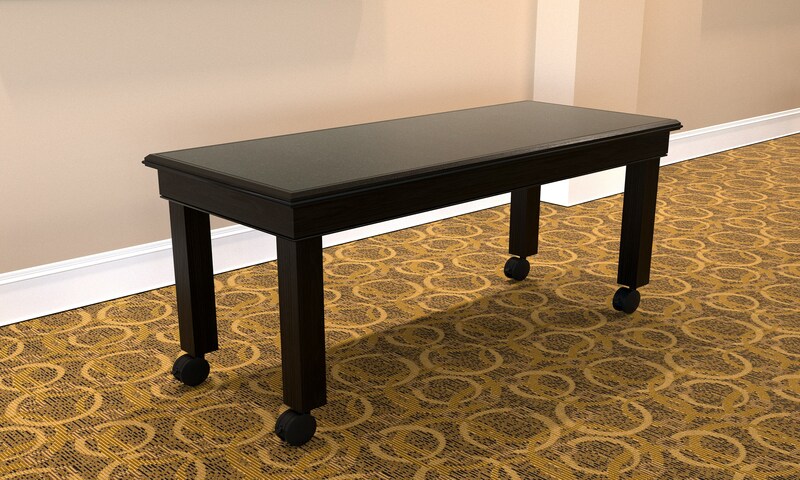 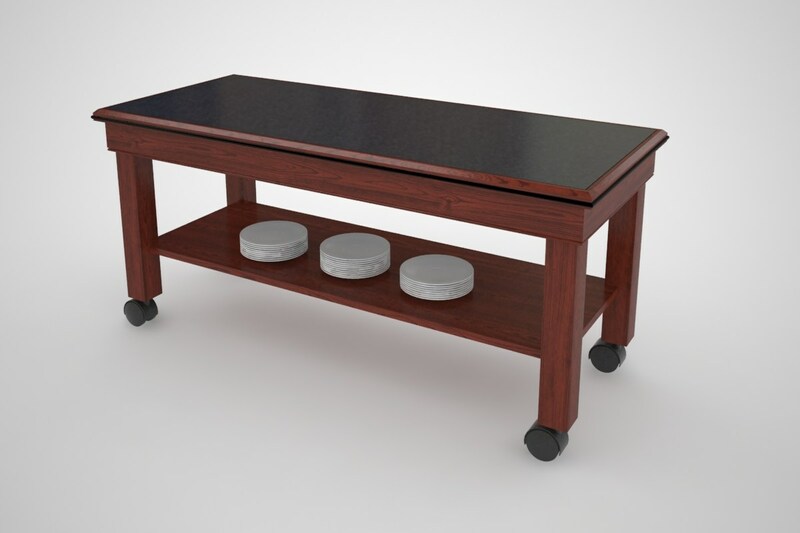 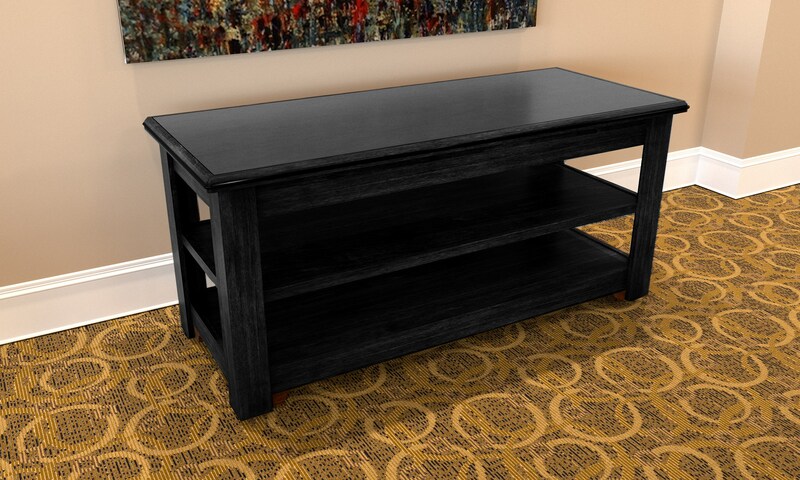 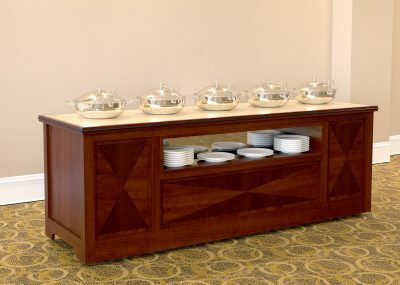 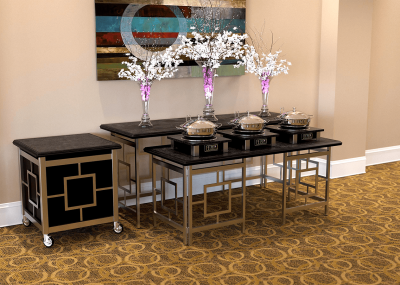 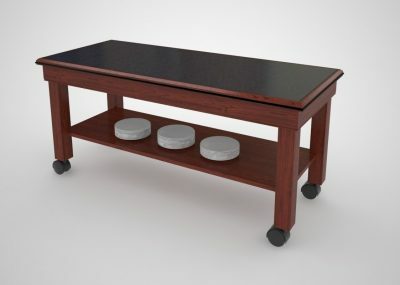 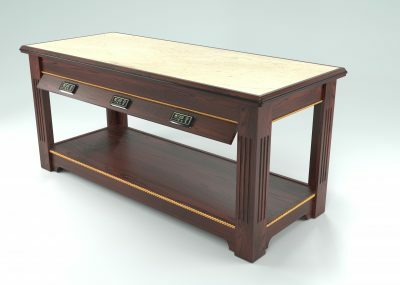 Match your décor and power your buffet tables anywhere with 1100 to 6600 available watts. 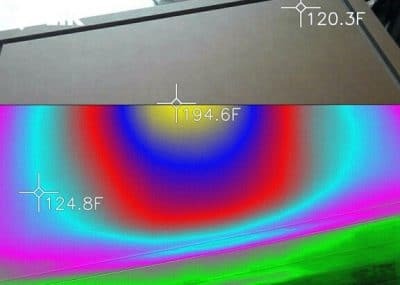 Battery life exceeds 9 years! 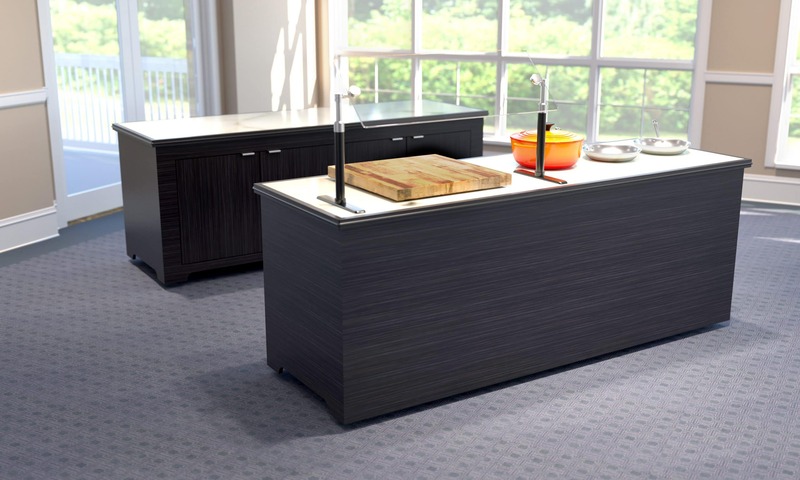 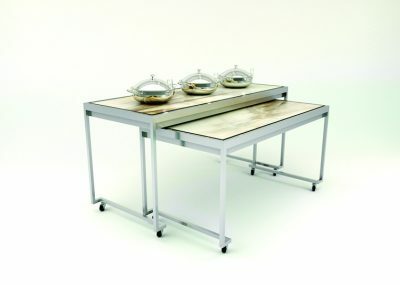 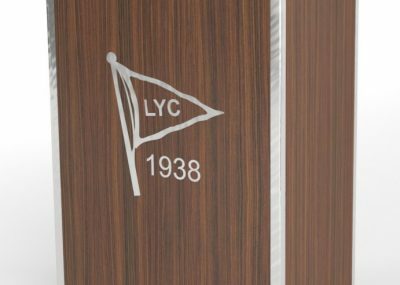 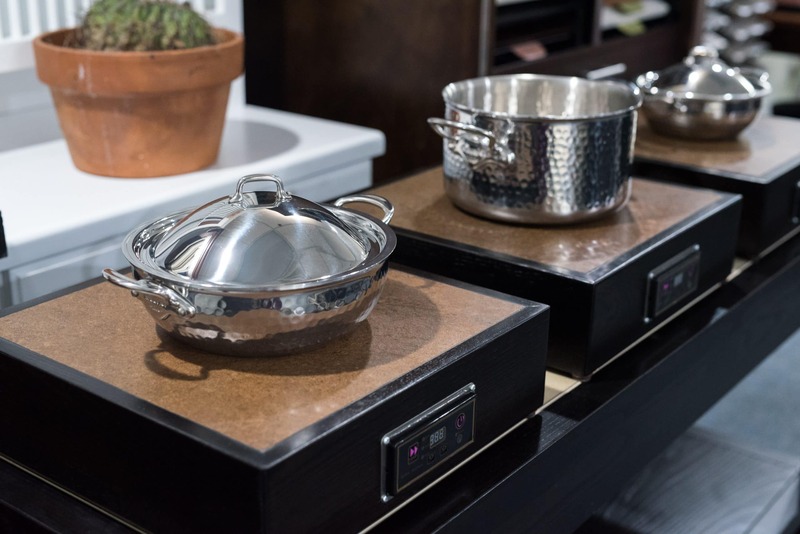 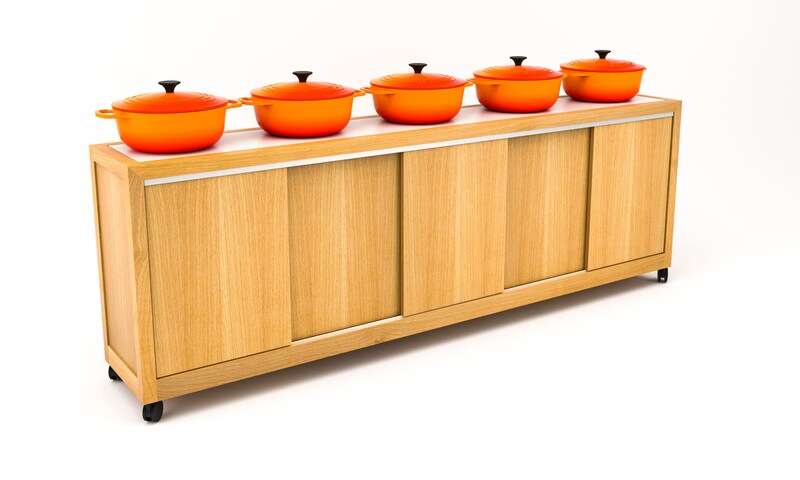 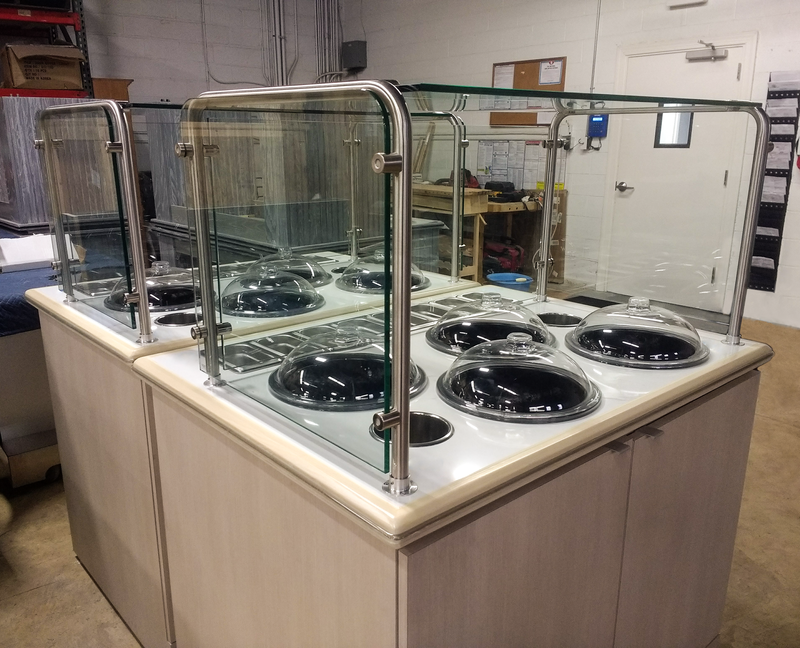 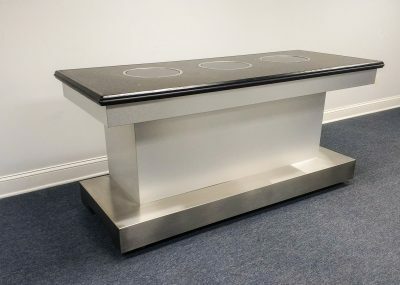 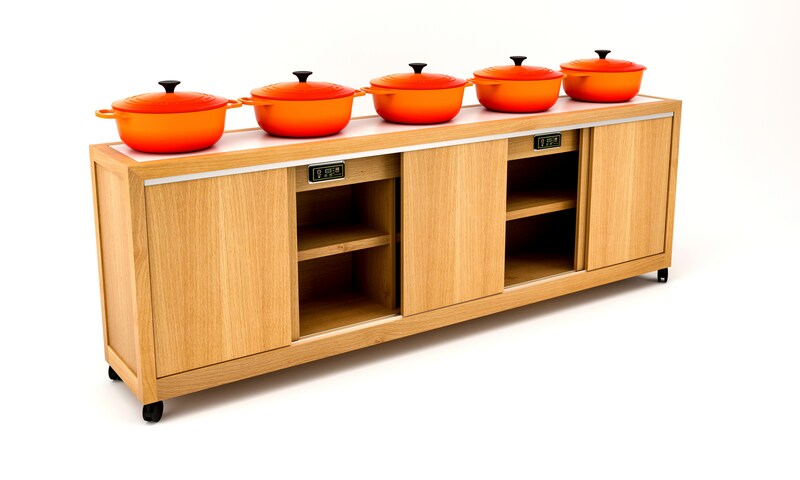 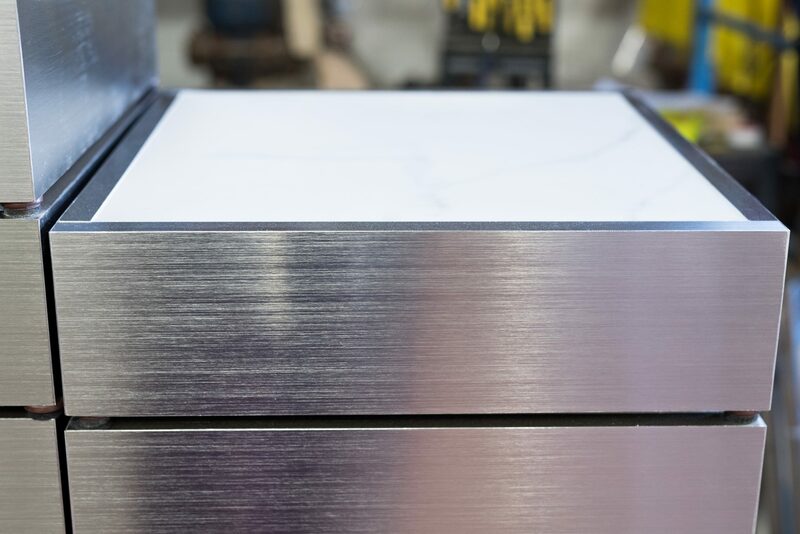 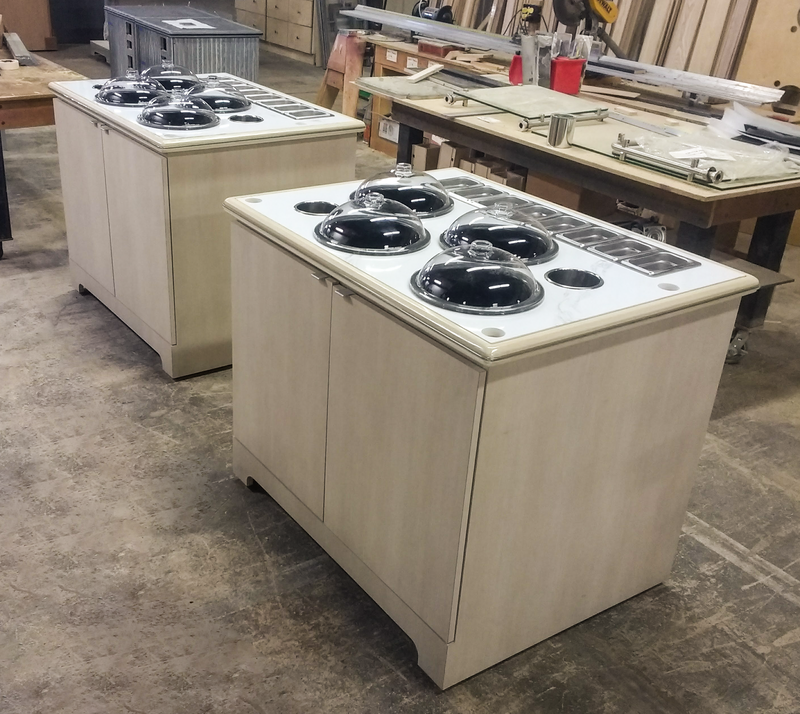 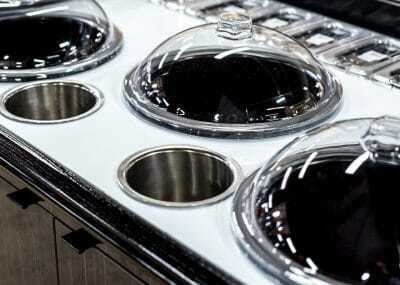 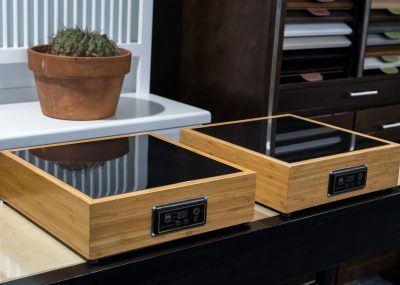 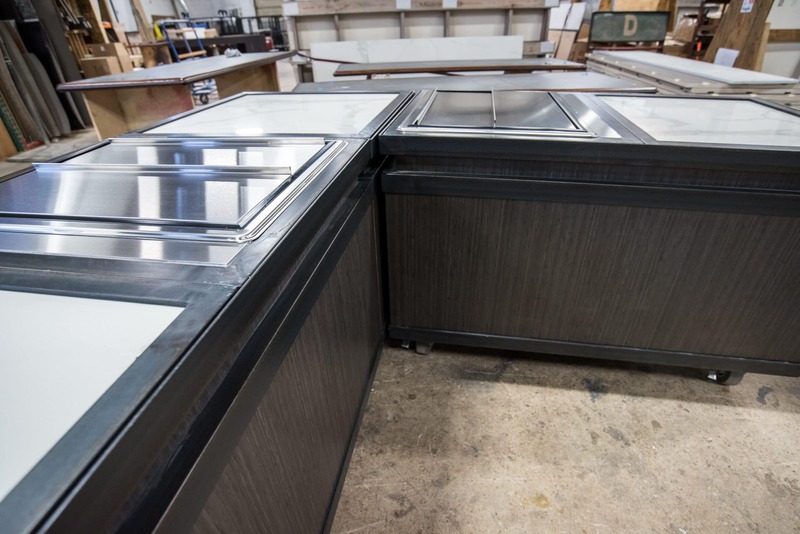 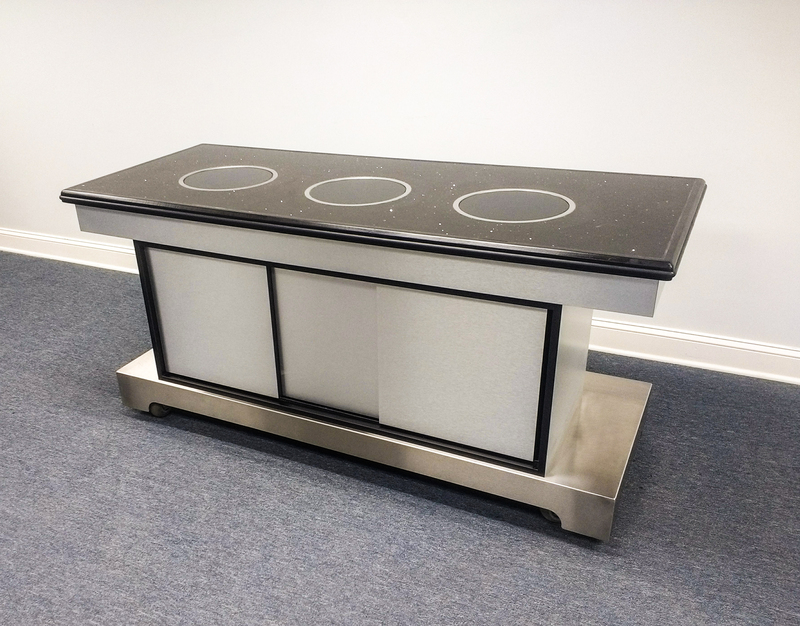 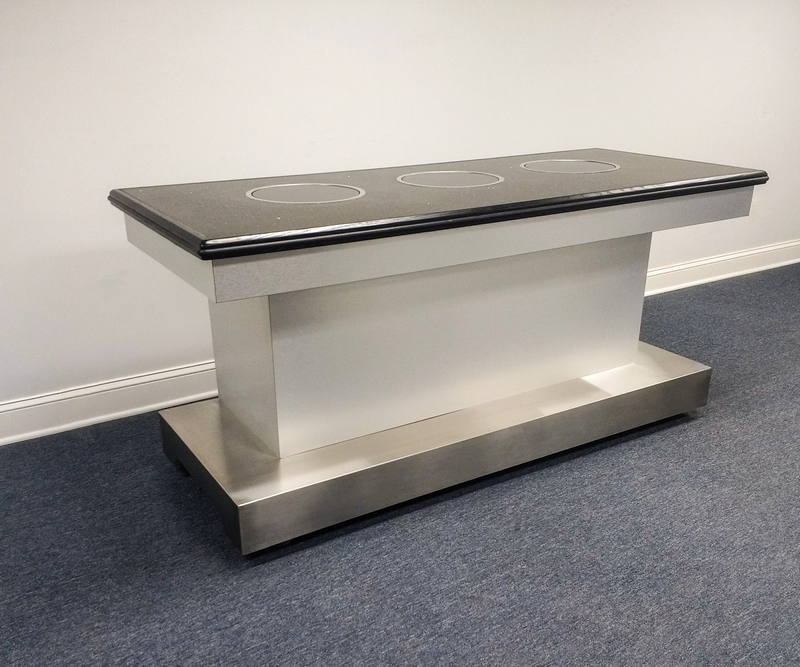 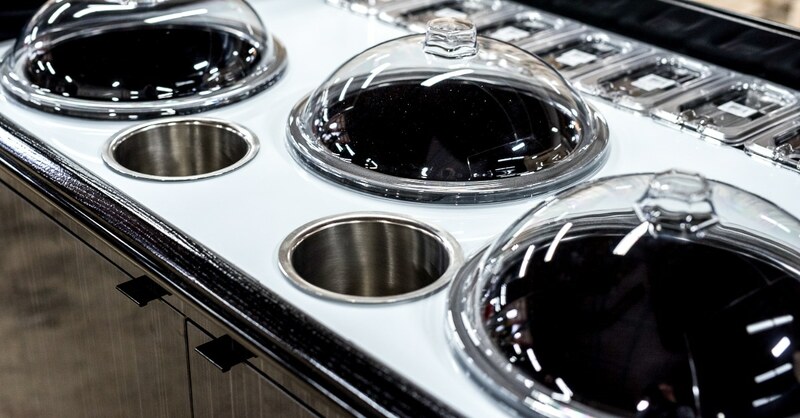 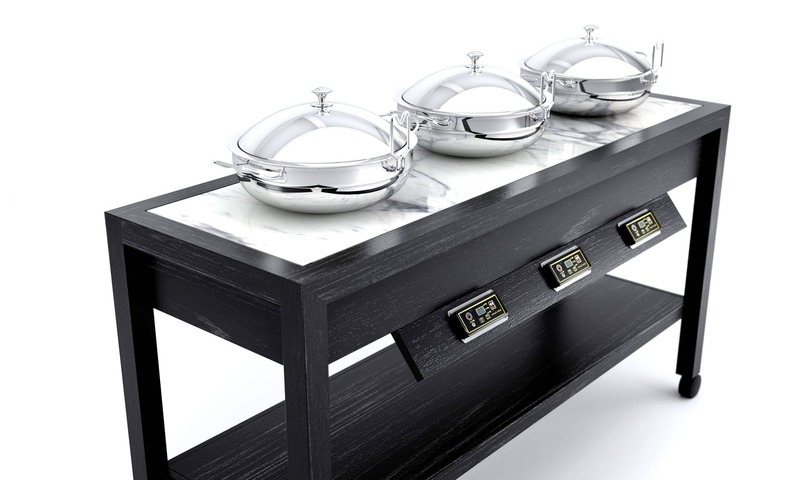 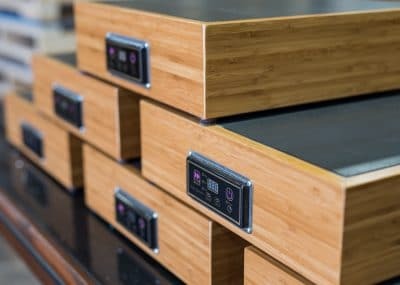 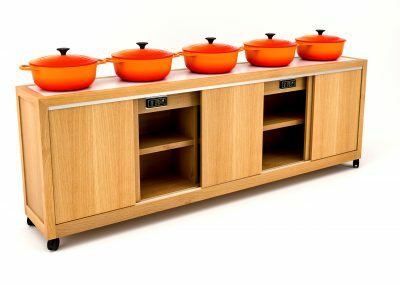 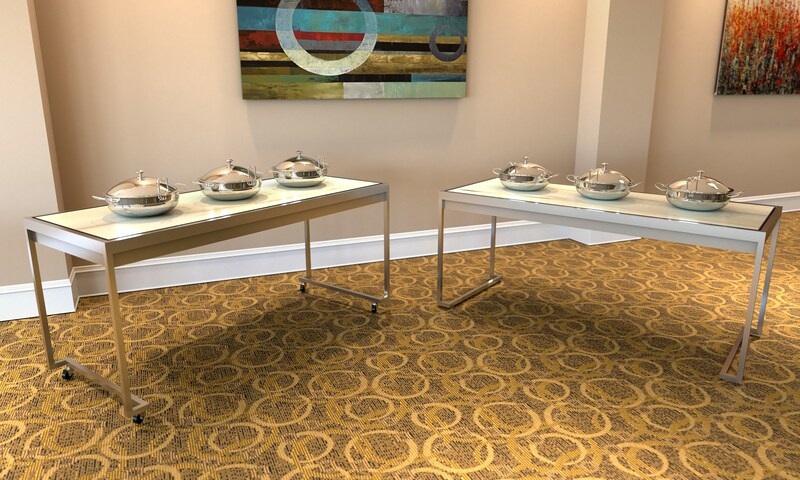 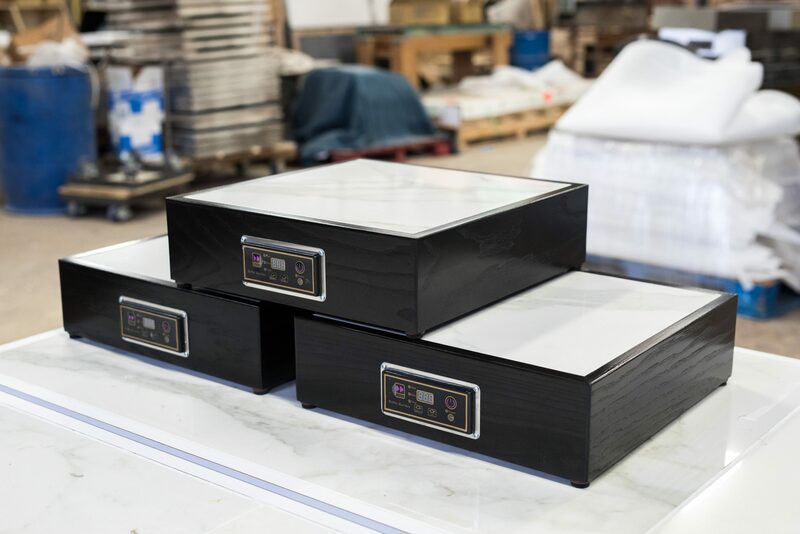 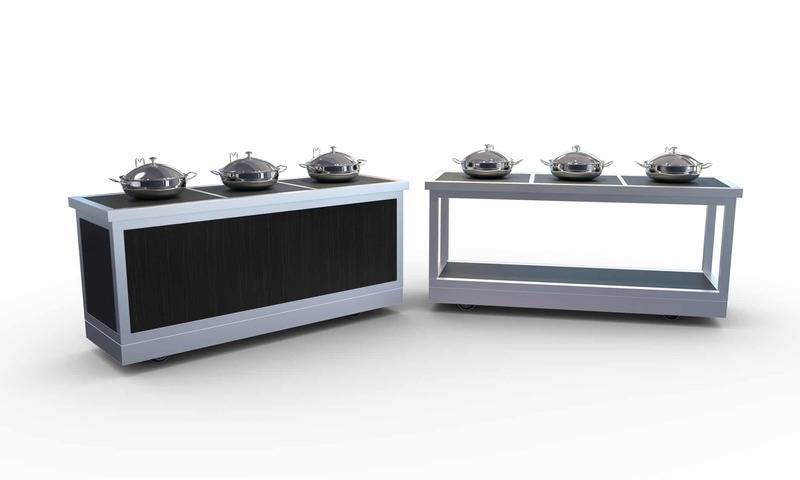 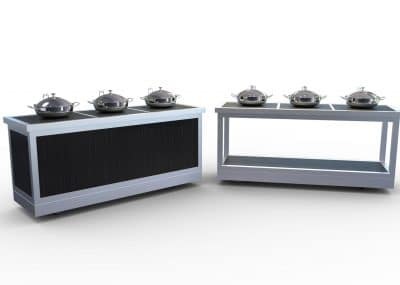 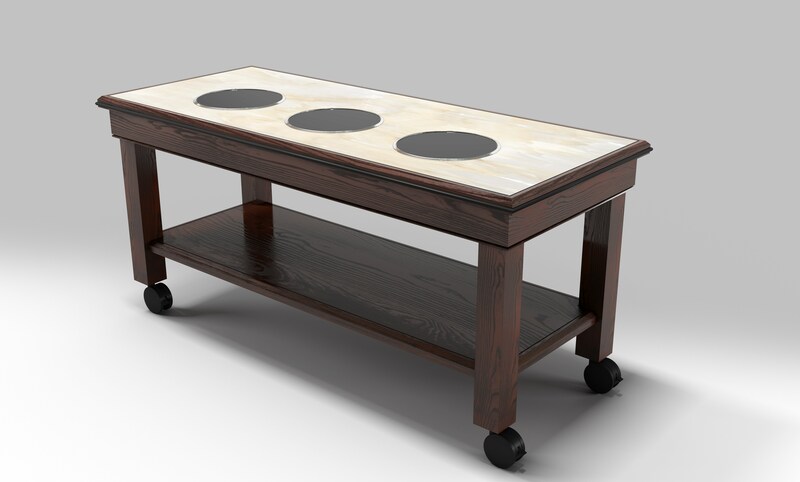 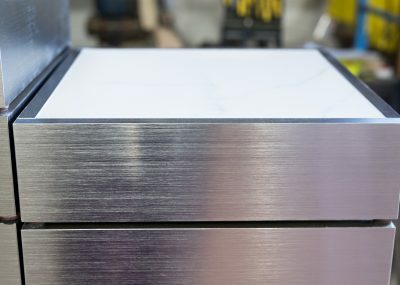 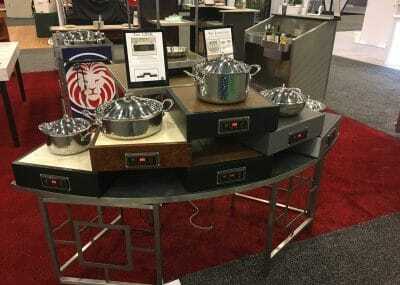 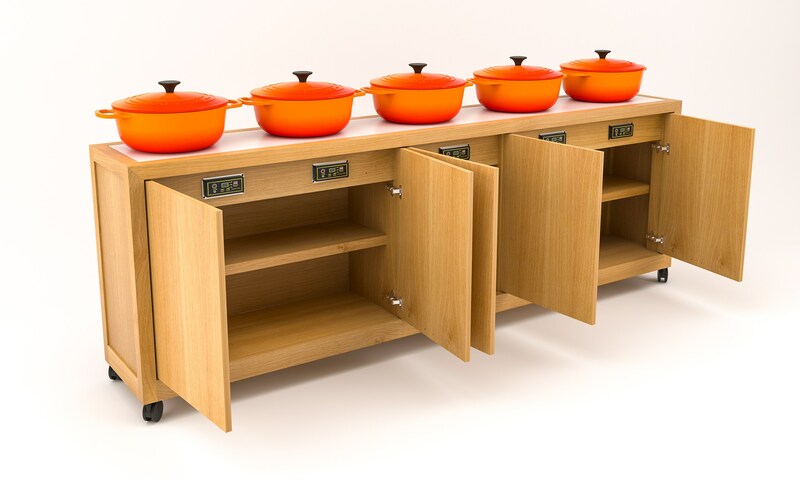 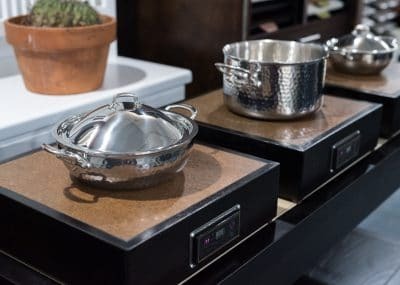 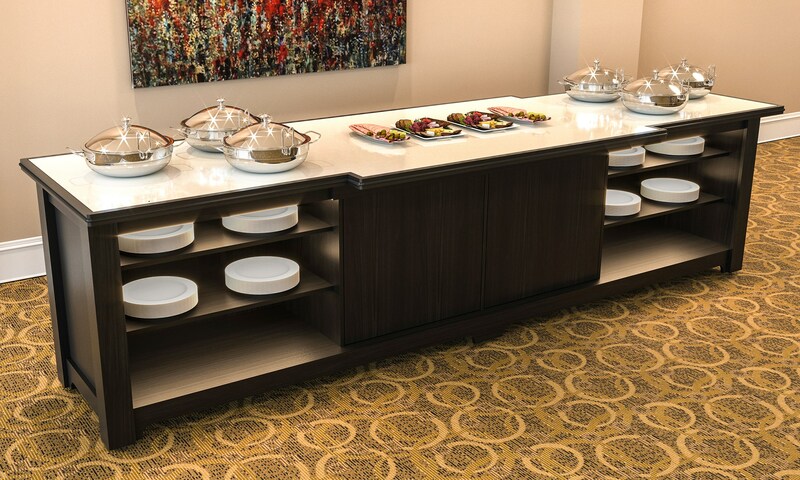 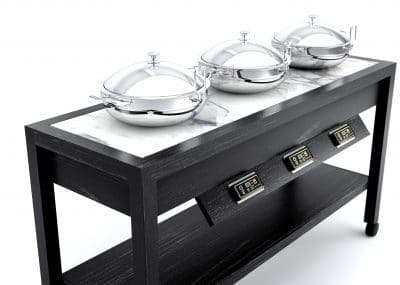 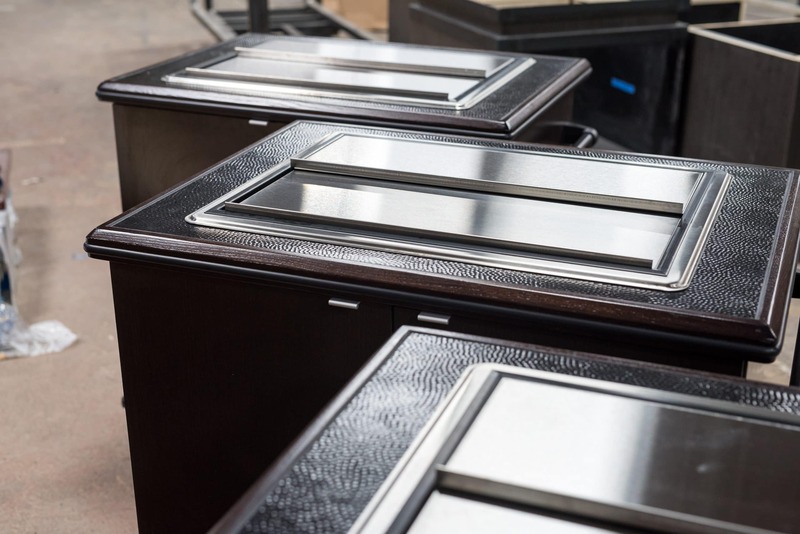 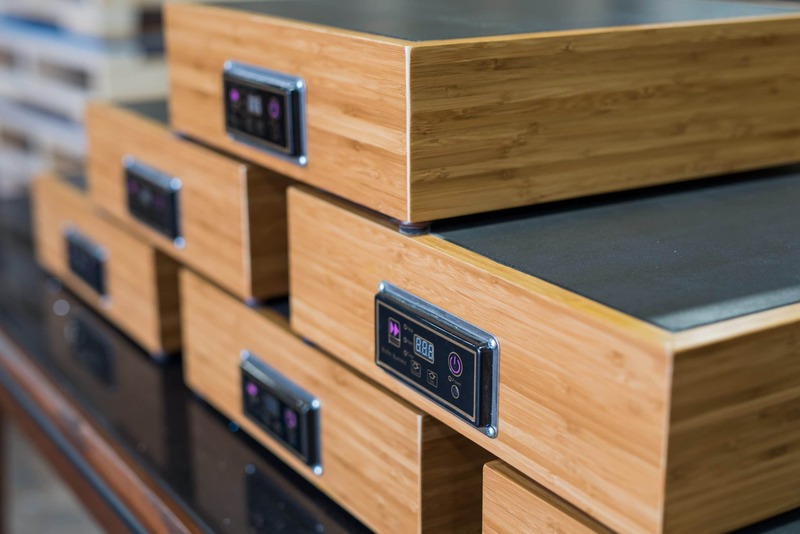 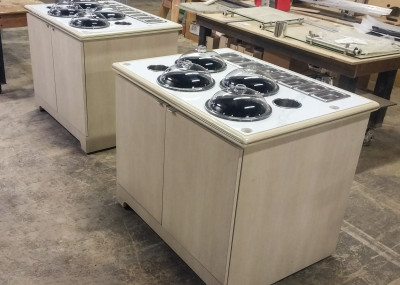 Concealed induction cooking and warming on wheels with finishes chosen by you! 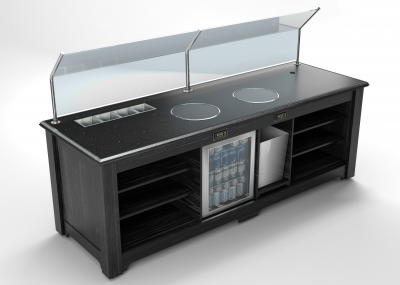 Serve an omelet, butterfly a fillet, or build in specified equipment. 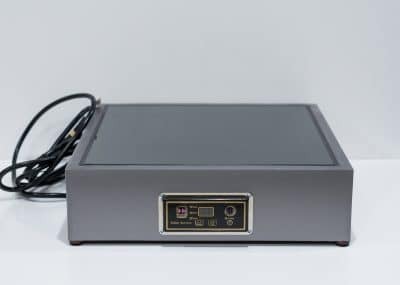 Cook on 110V power with (2) cookers or add another cooker or two and we will just upgrade the voltage. 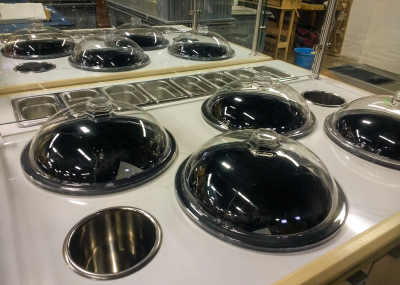 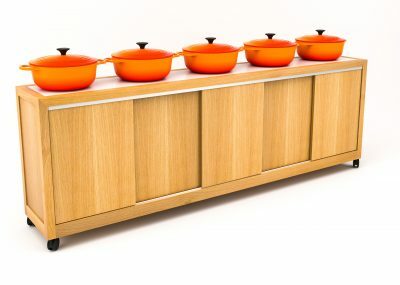 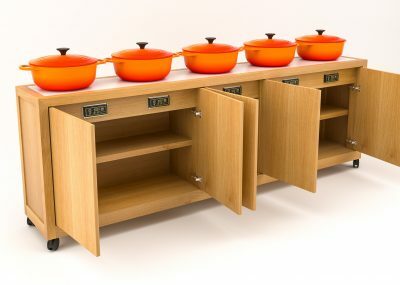 Select from one of our standard styles, with or without induction, or create something unique just for you! 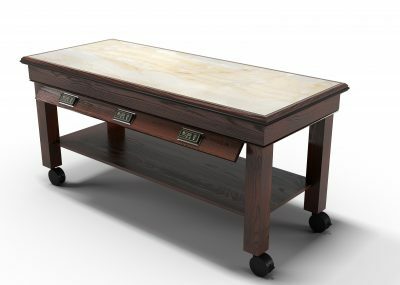 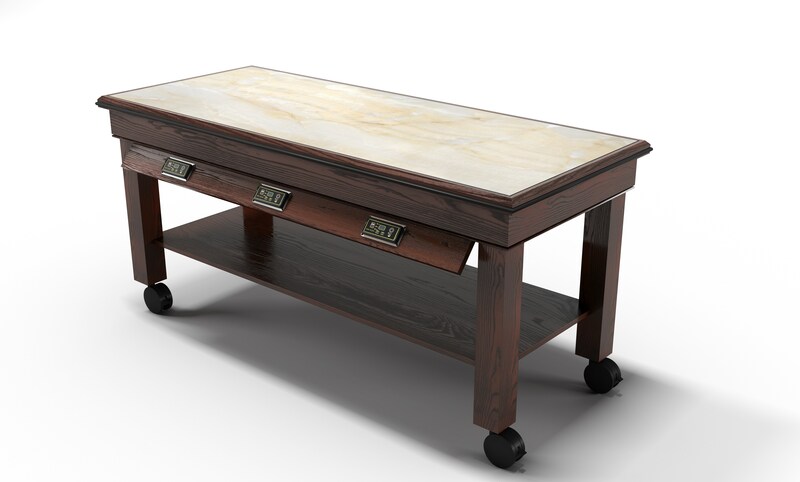 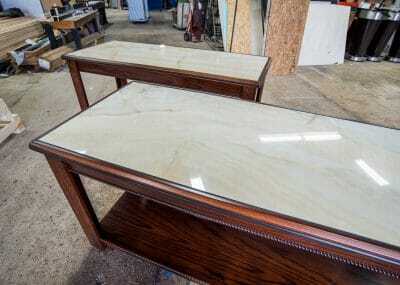 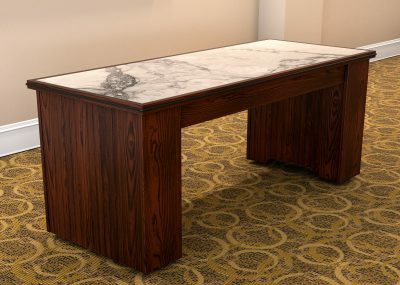 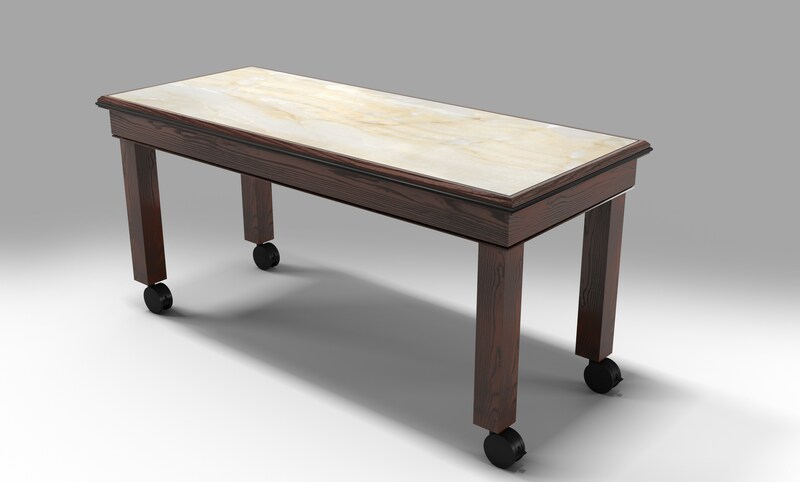 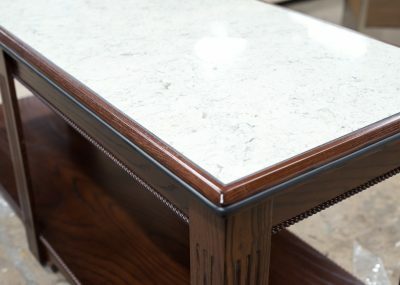 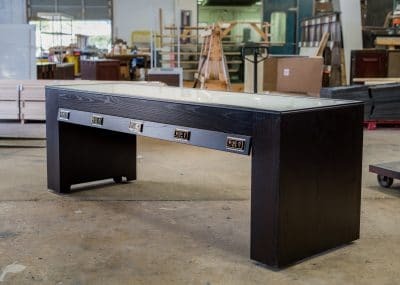 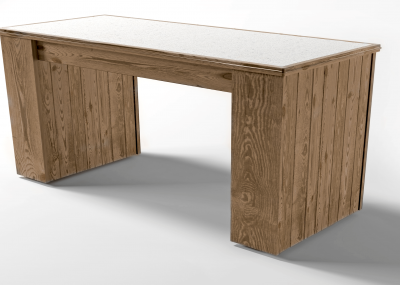 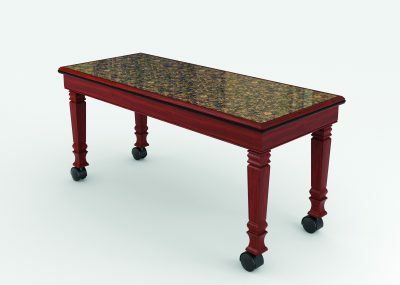 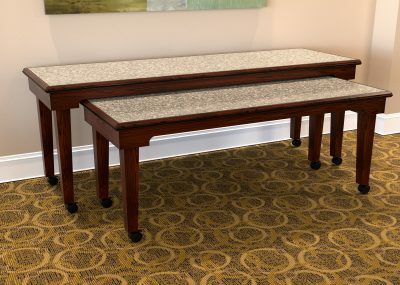 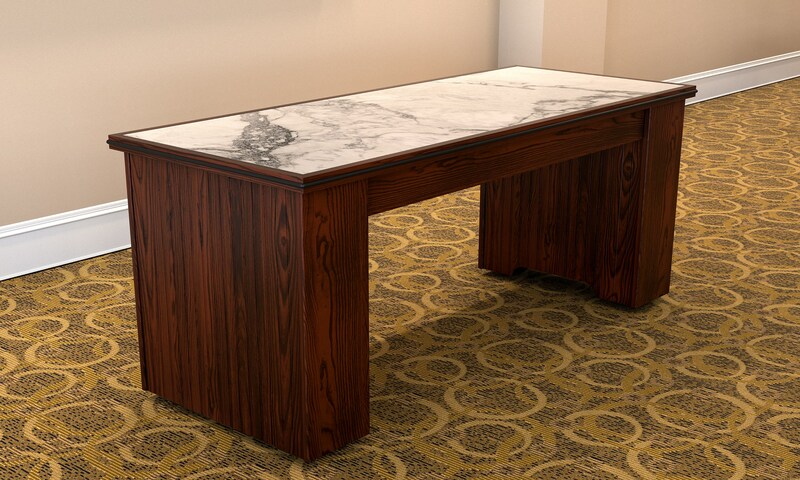 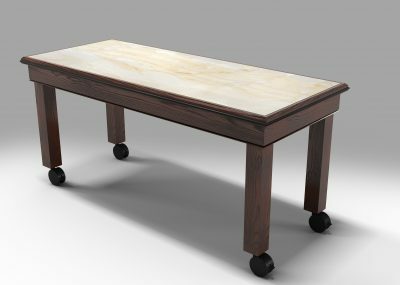 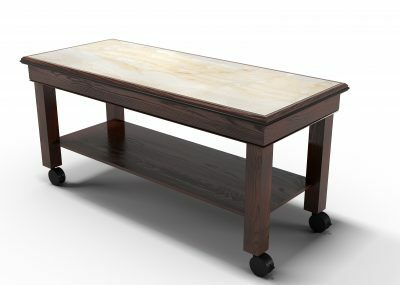 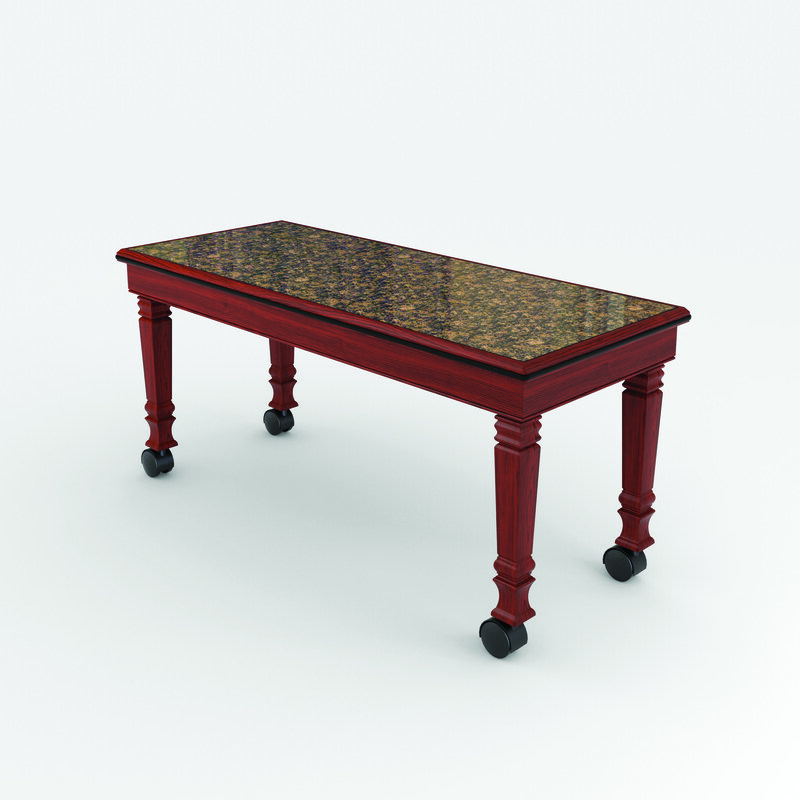 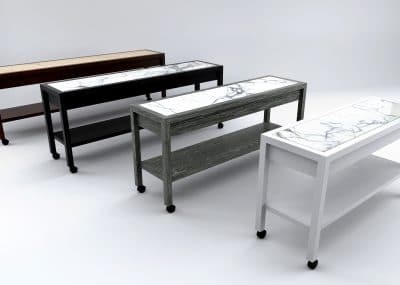 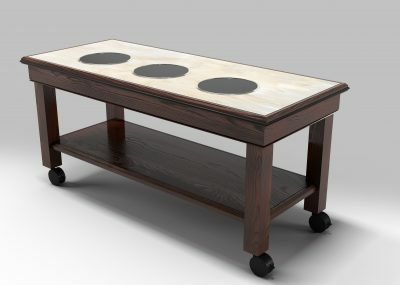 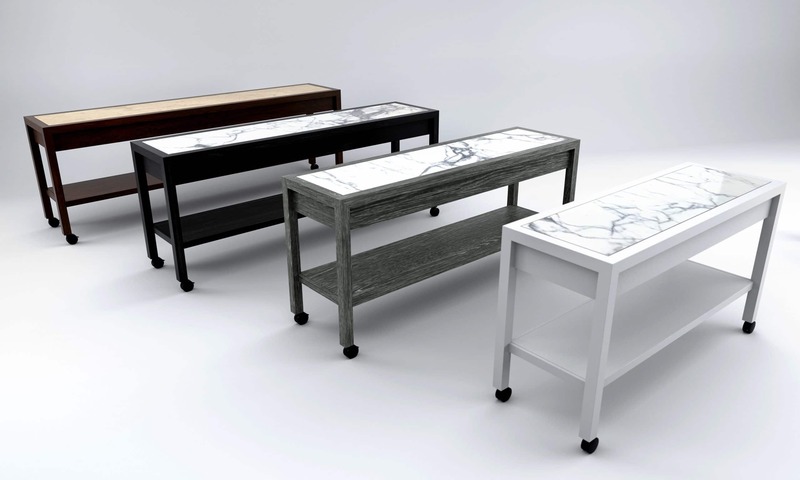 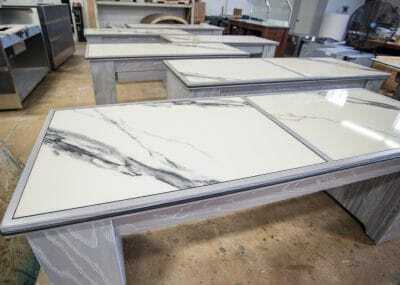 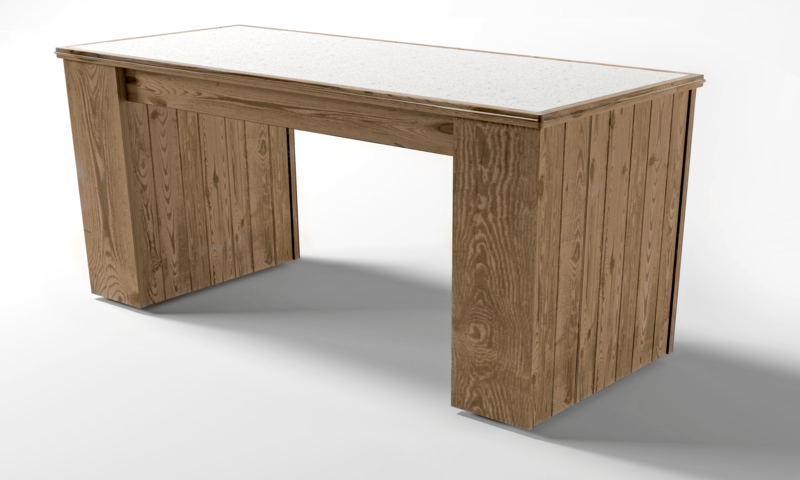 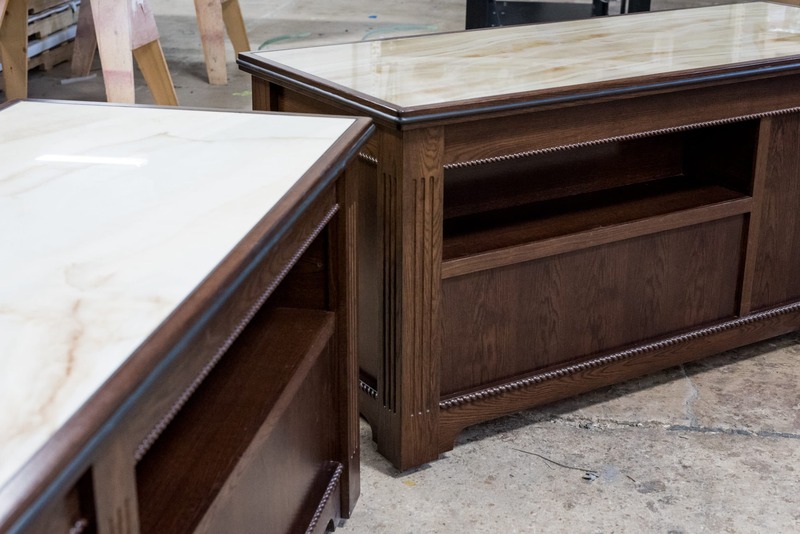 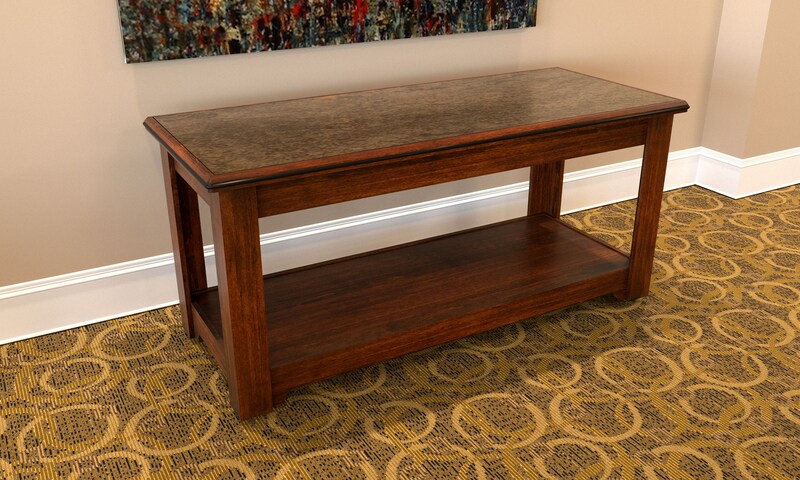 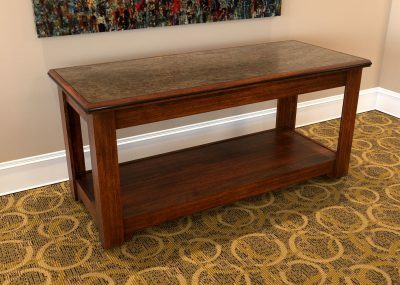 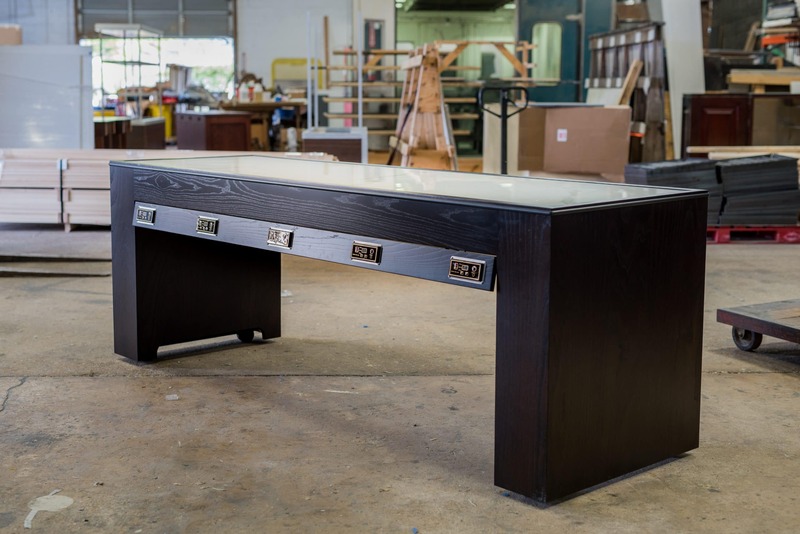 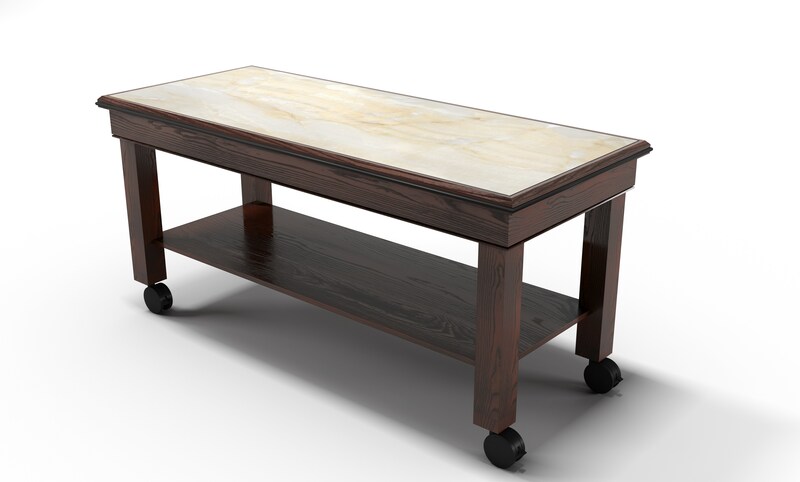 Lion’s Stone, quartz, laminate, and wood tops. 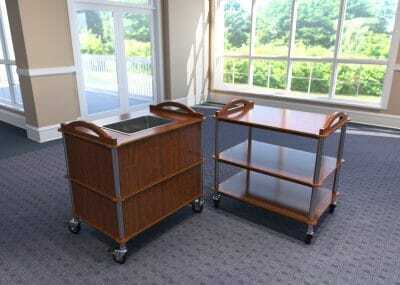 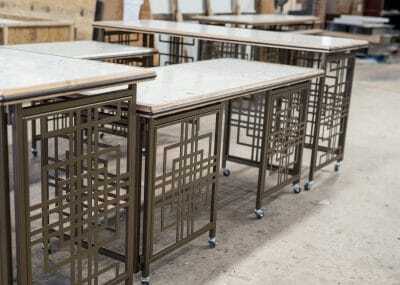 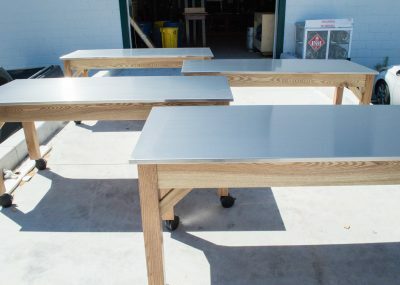 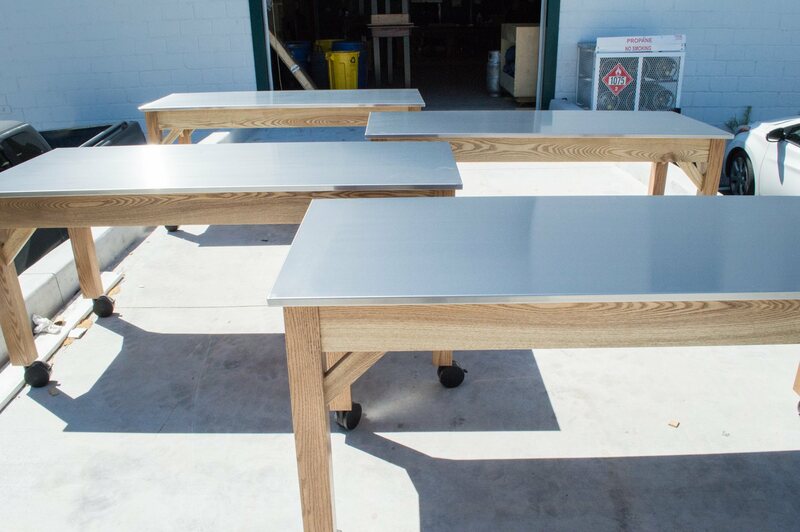 Finished wood, applied laminate or metal bodies. 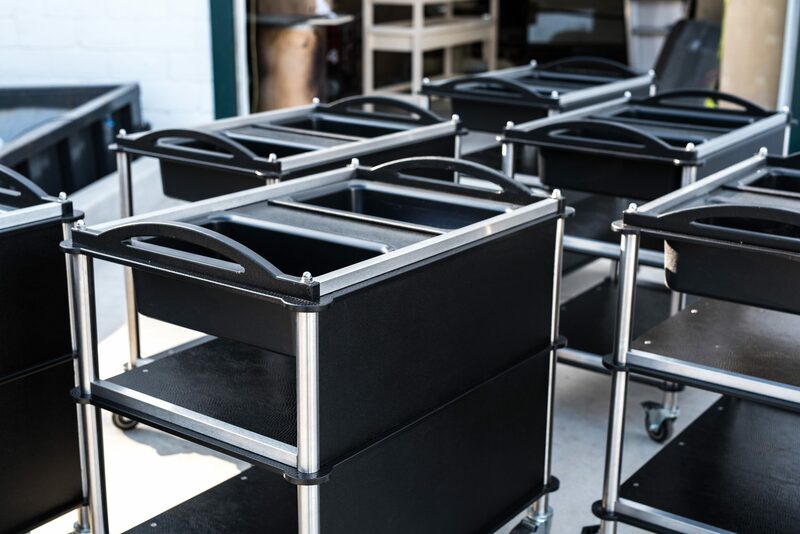 All on wheels. 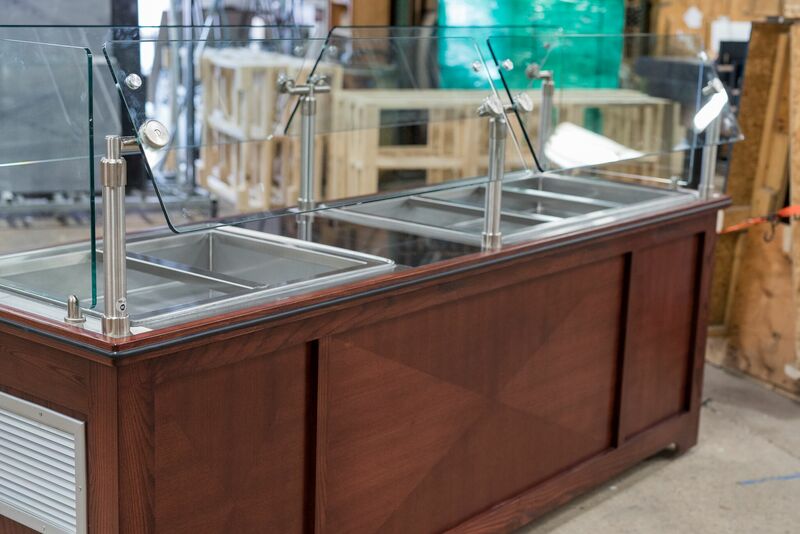 All American made. 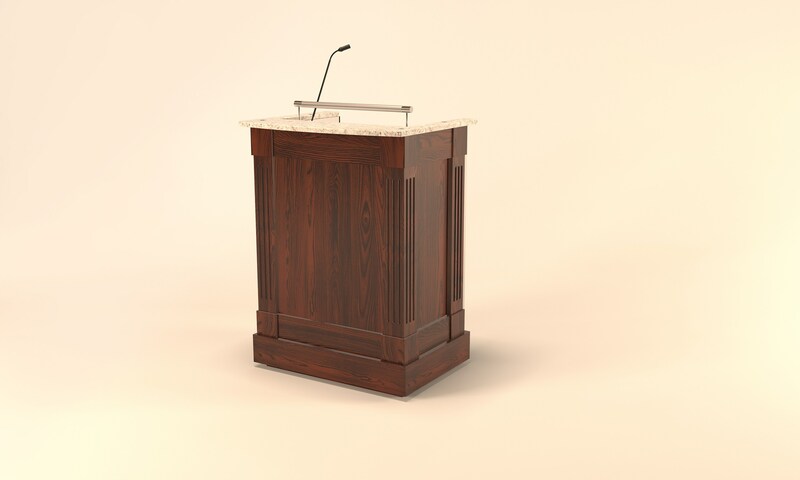 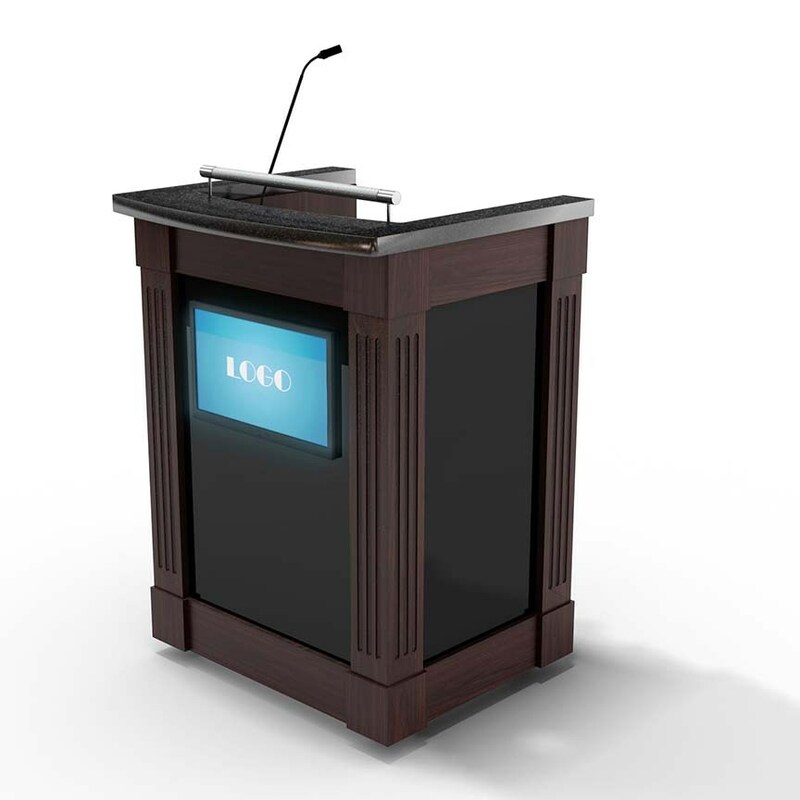 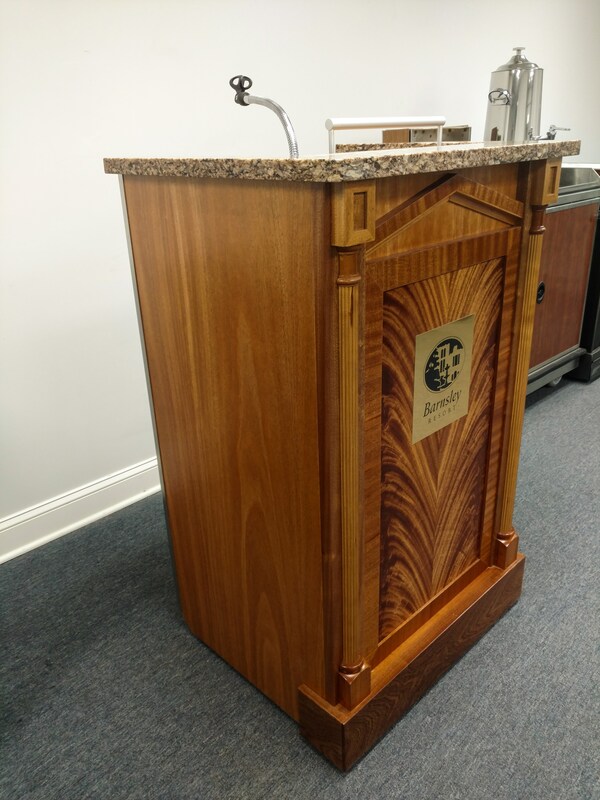 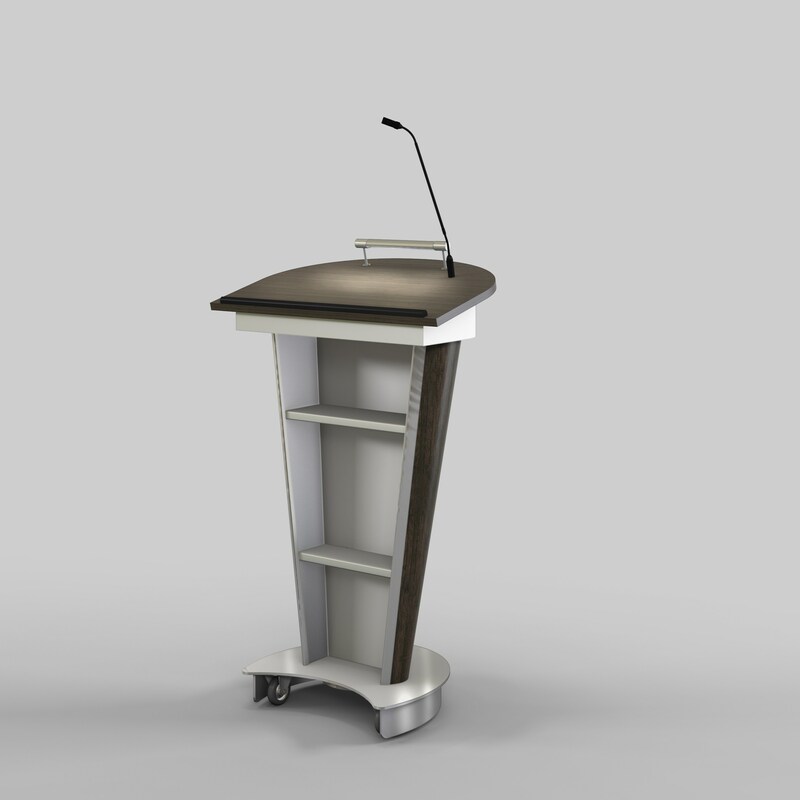 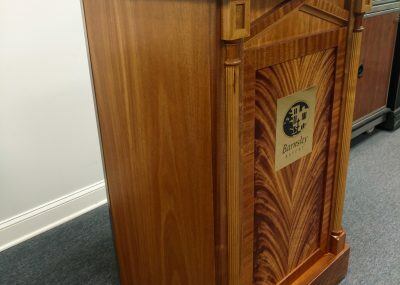 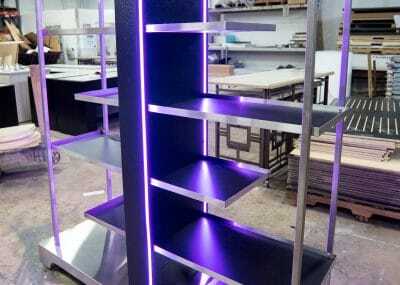 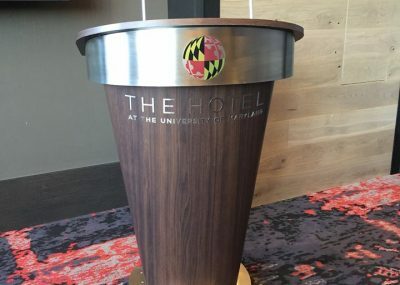 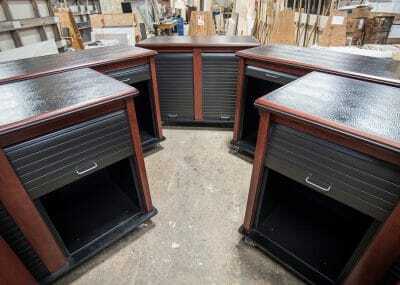 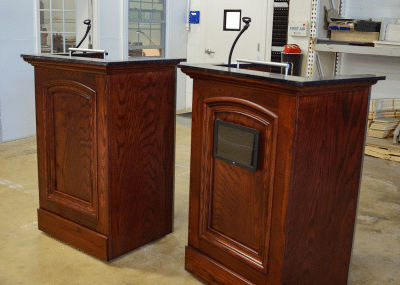 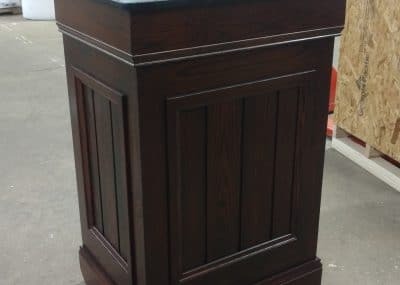 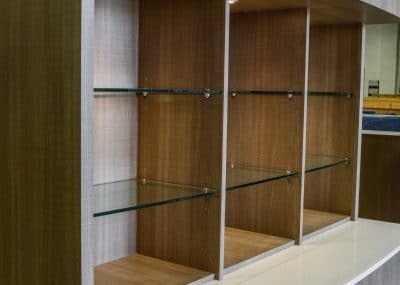 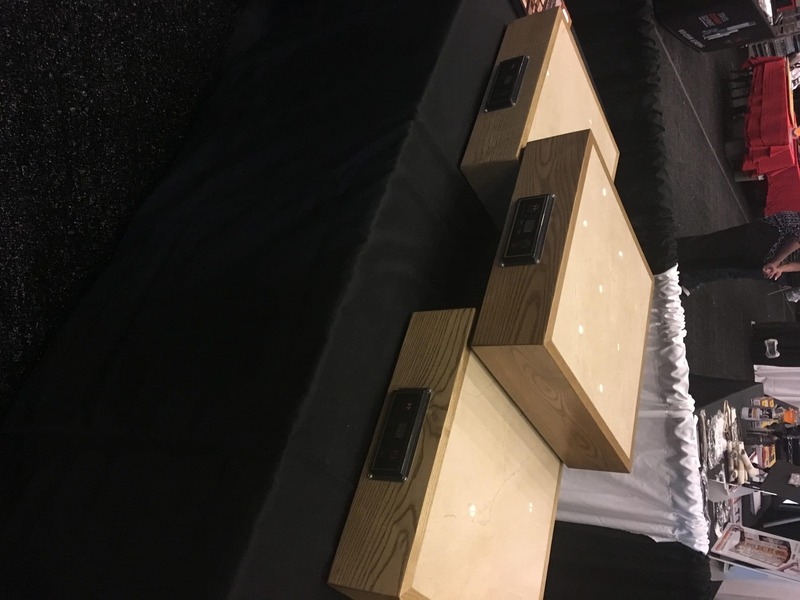 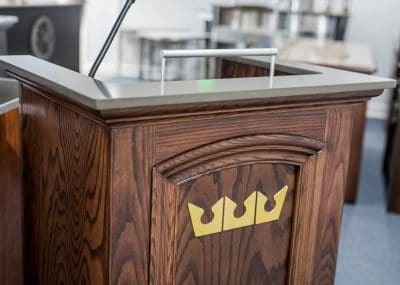 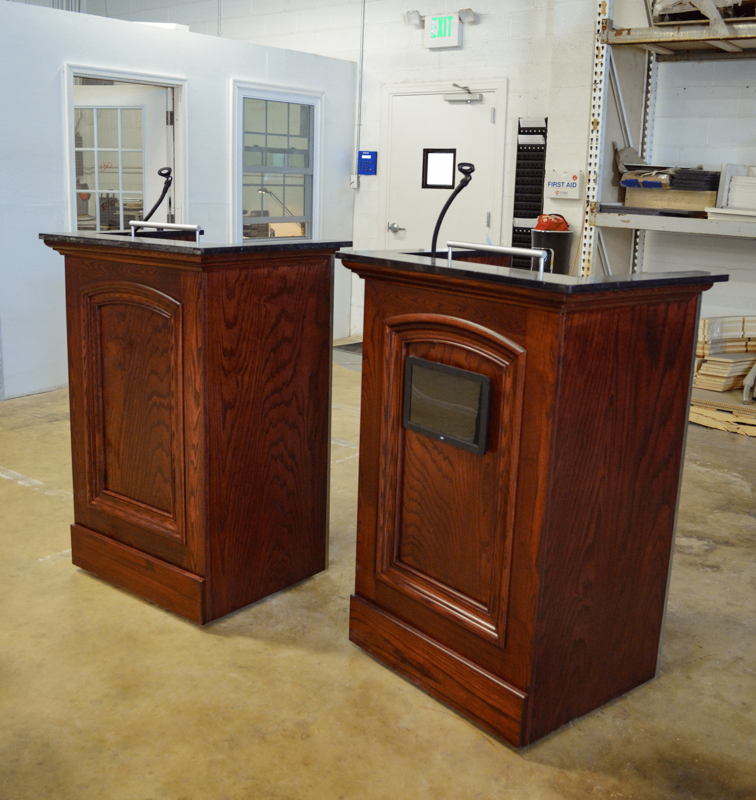 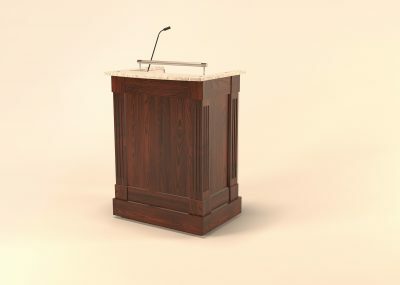 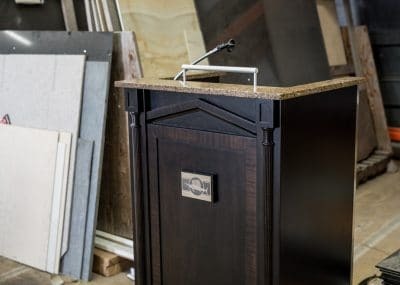 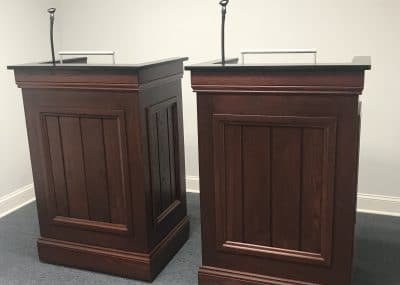 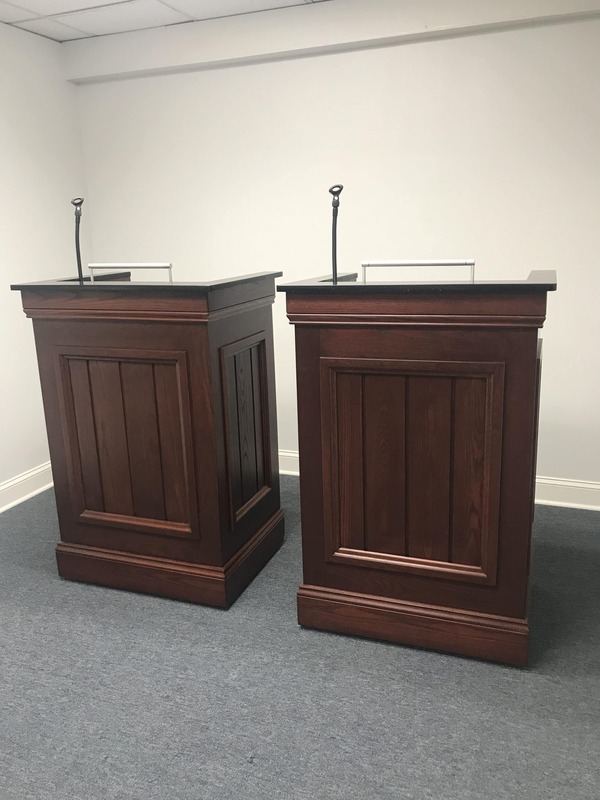 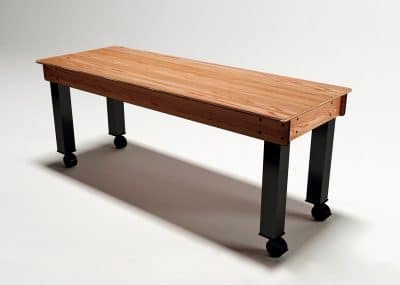 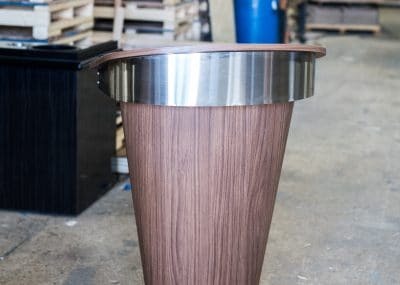 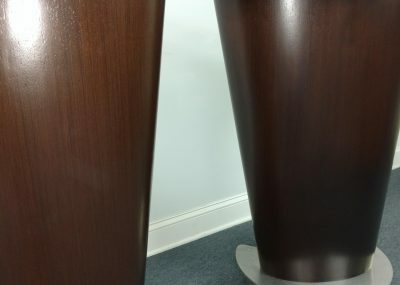 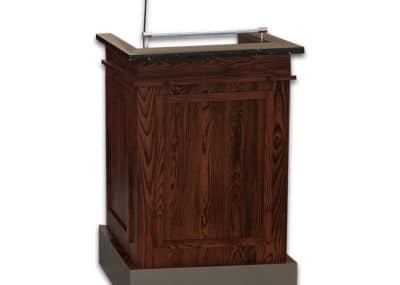 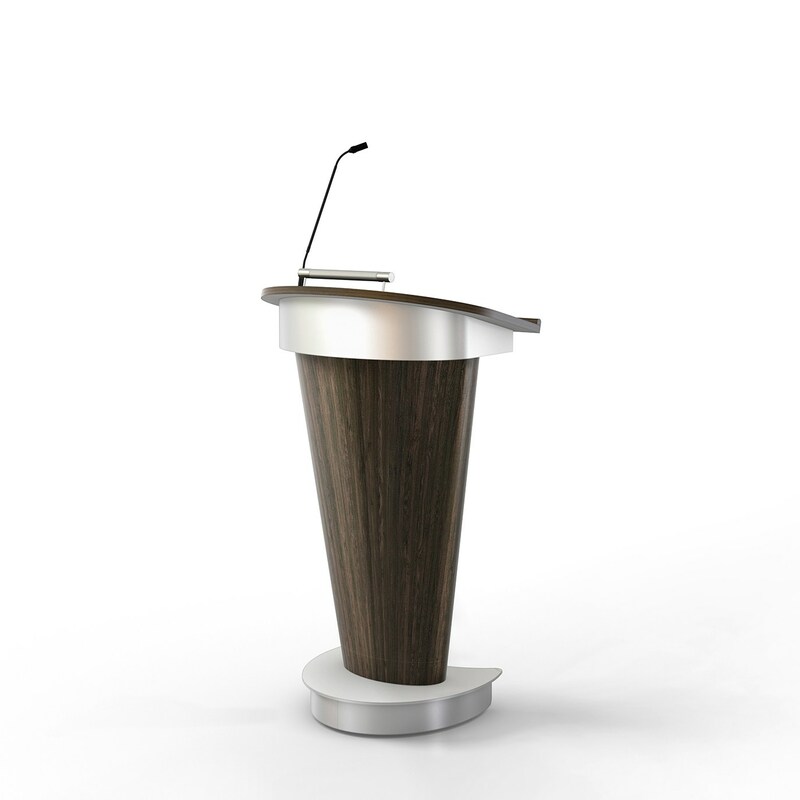 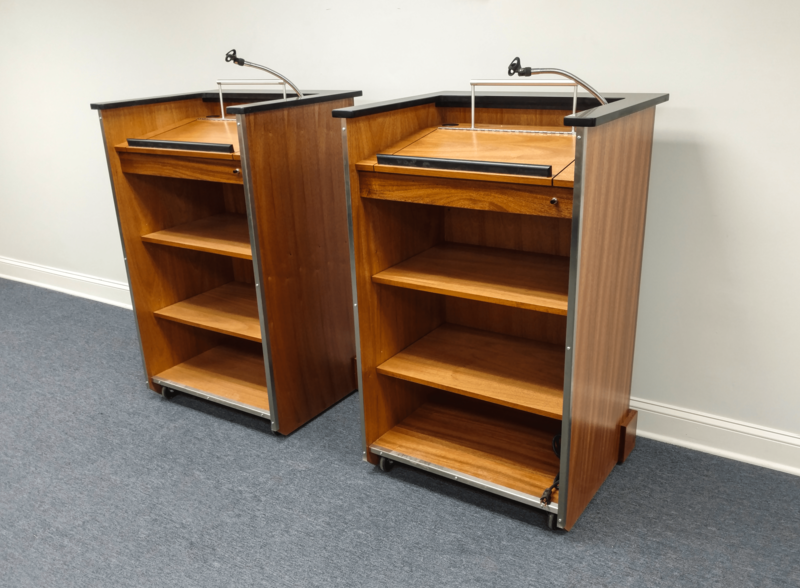 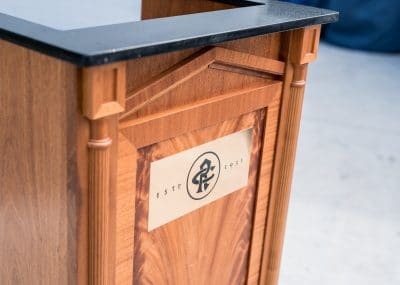 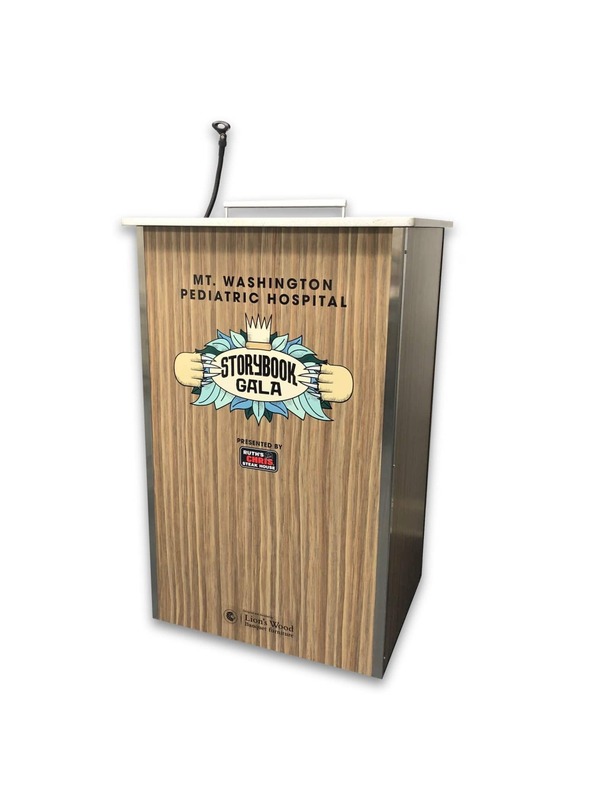 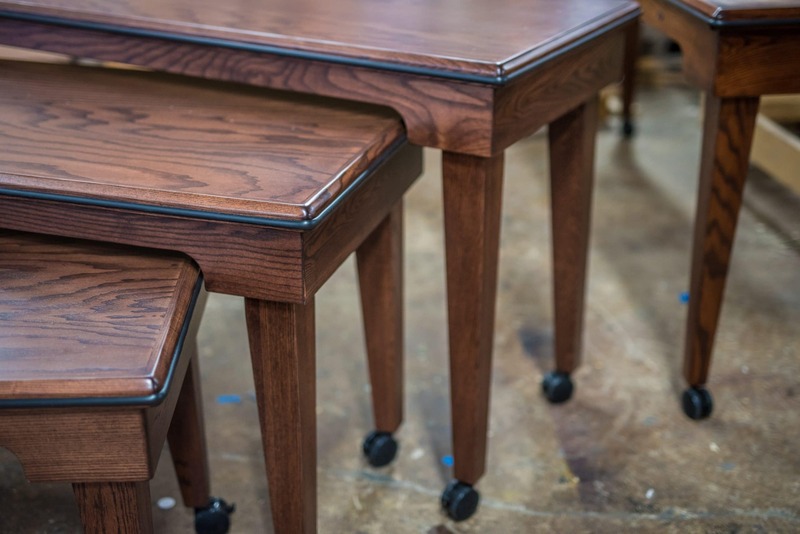 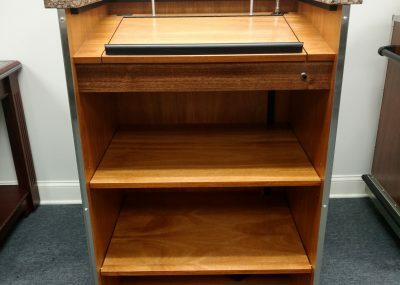 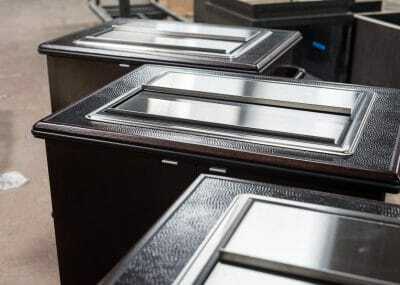 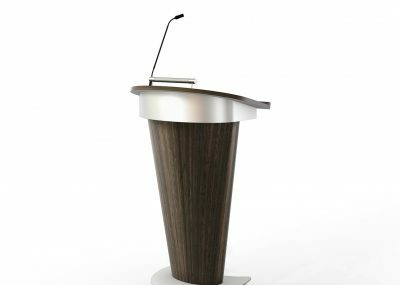 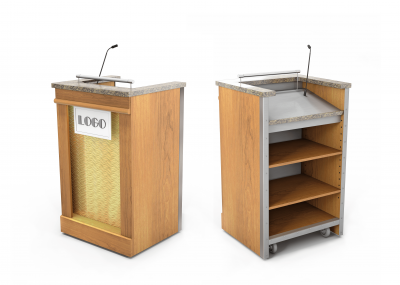 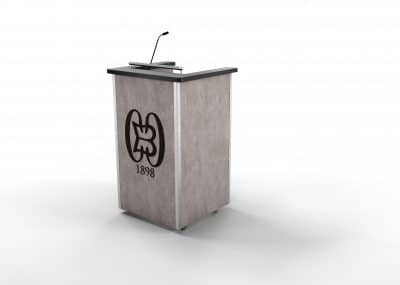 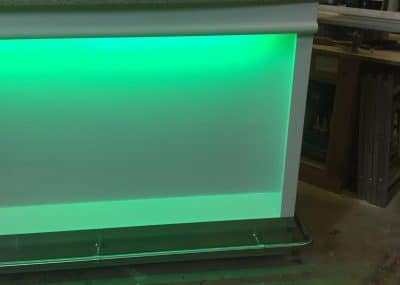 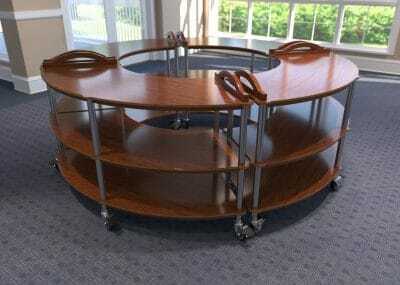 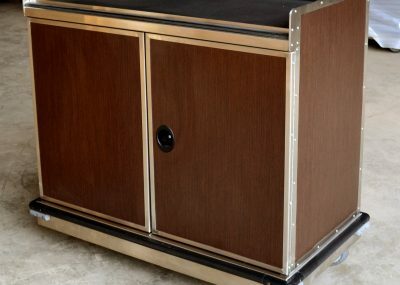 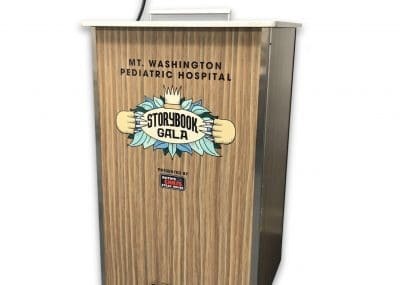 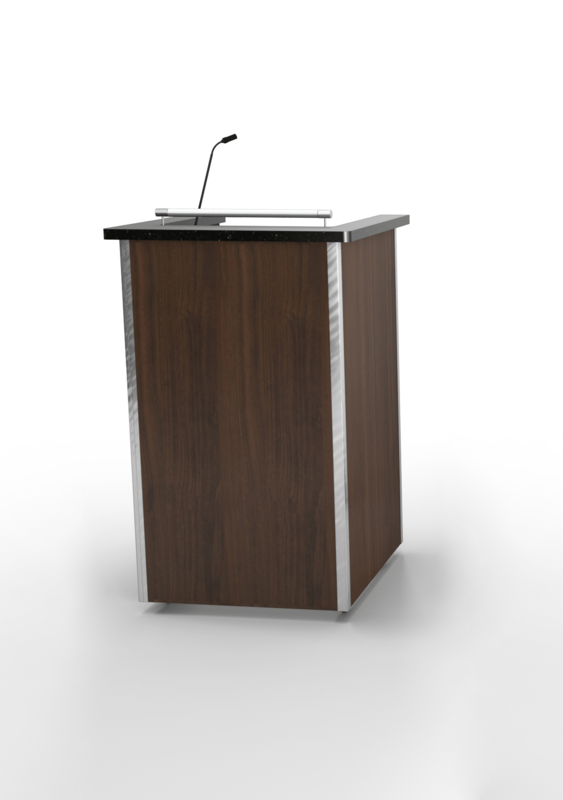 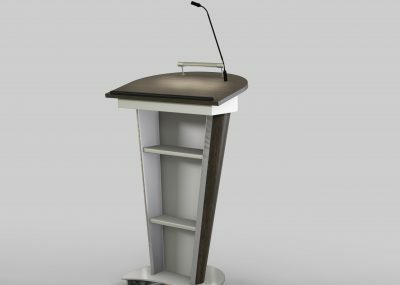 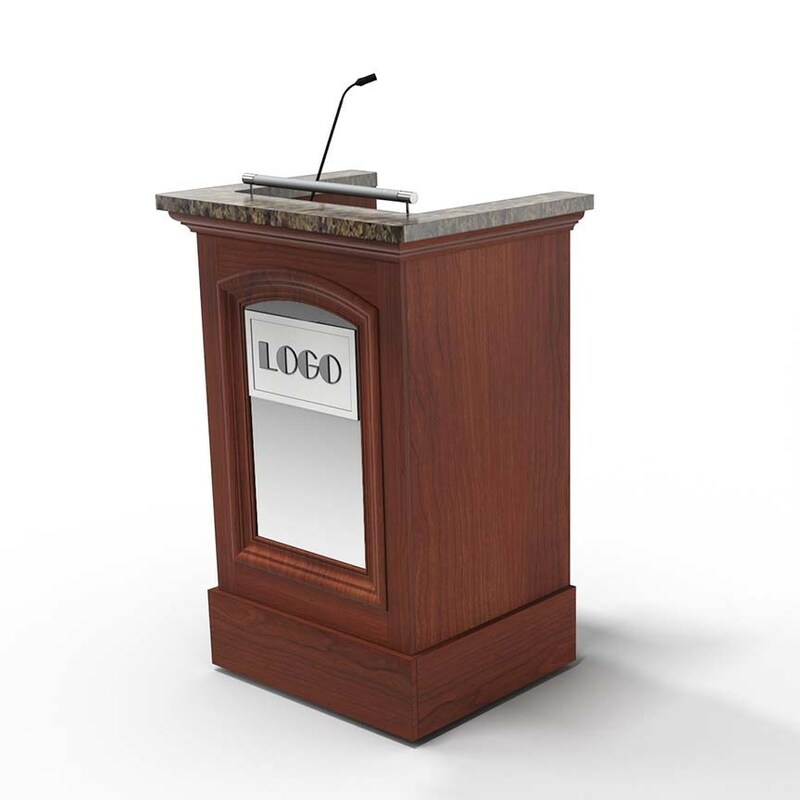 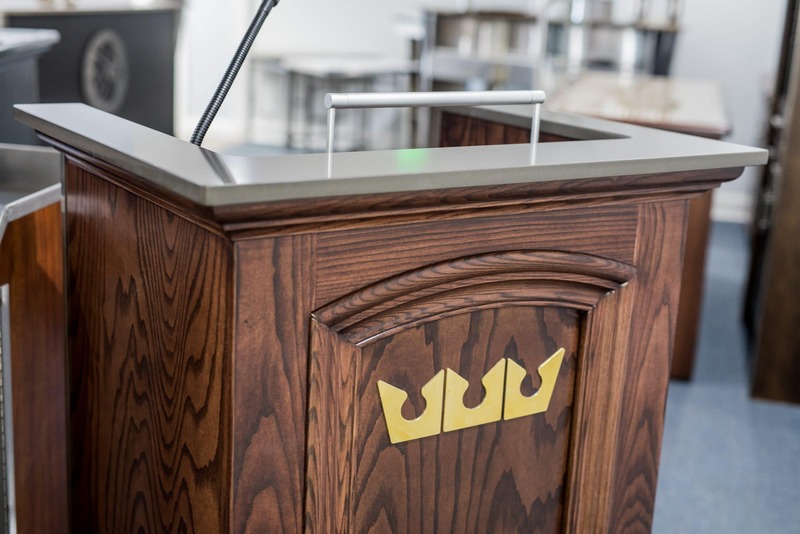 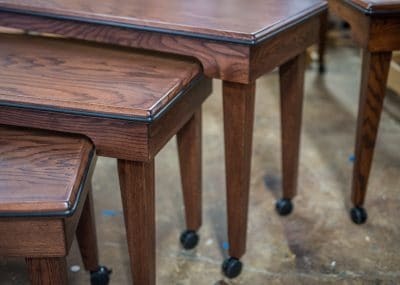 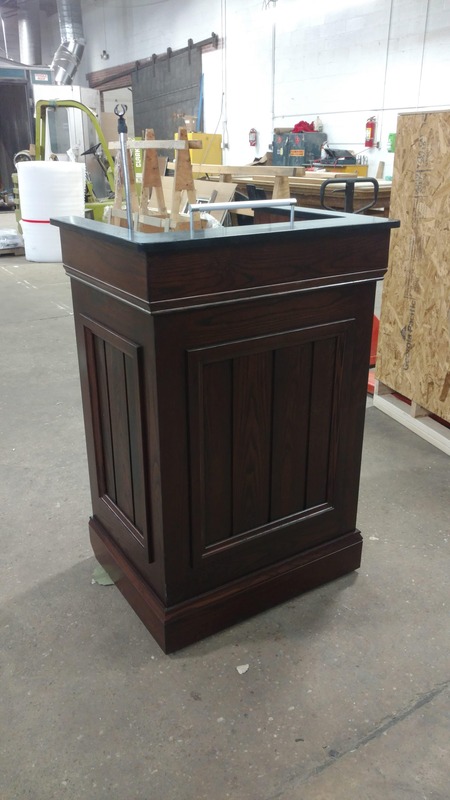 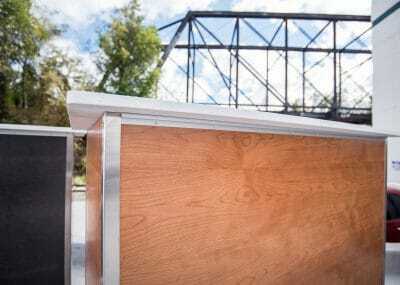 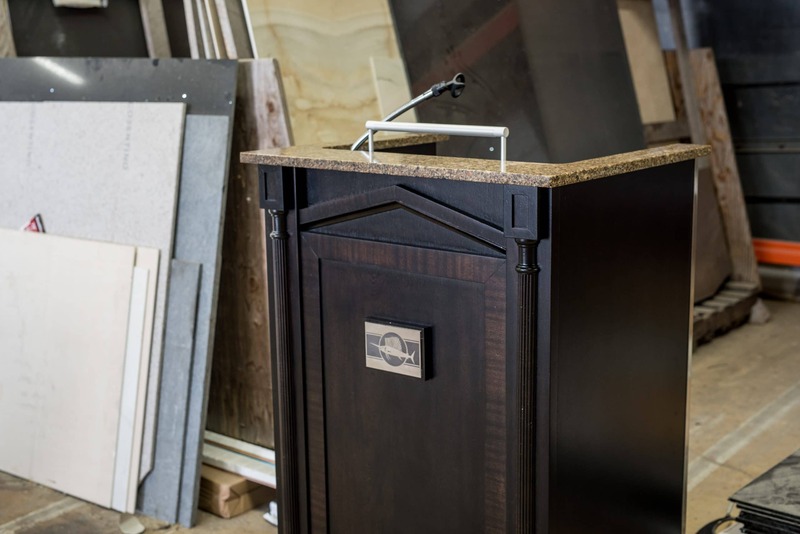 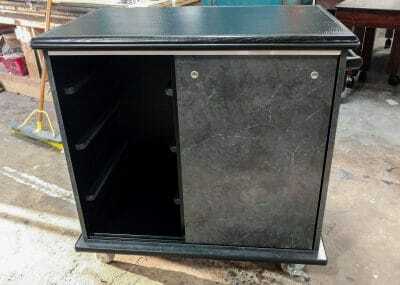 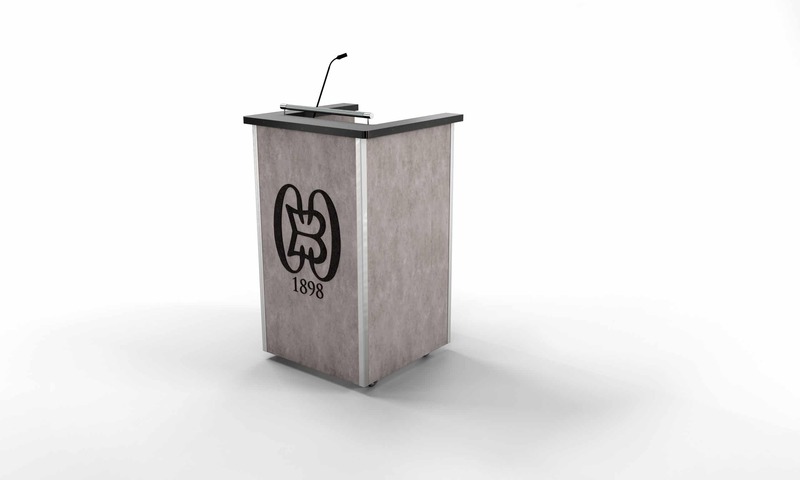 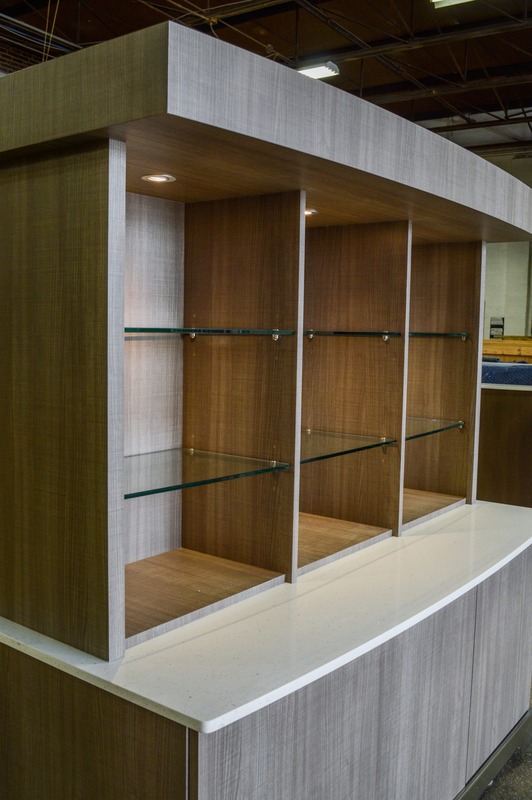 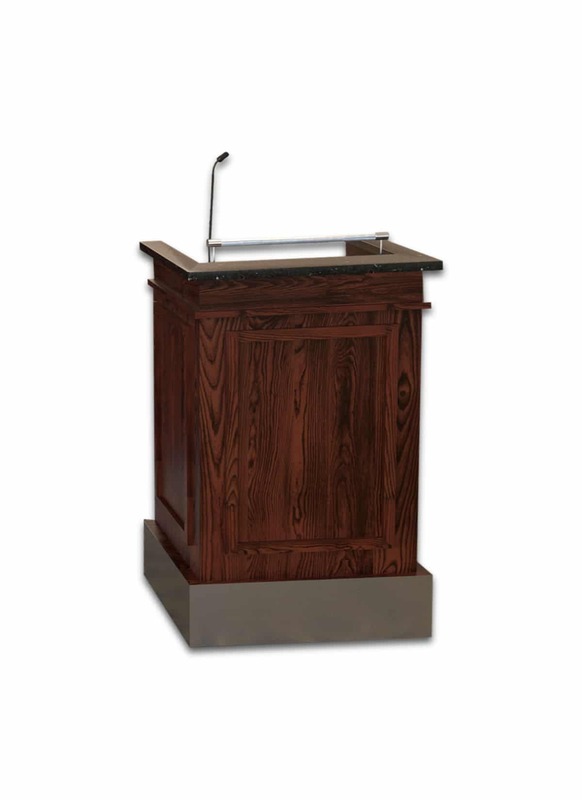 Podiums in finished woods or laminate. 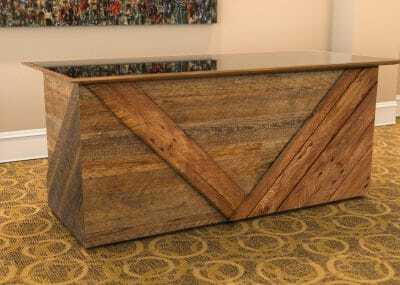 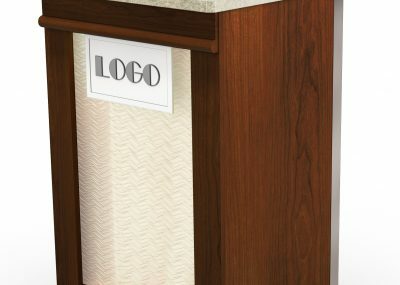 Apply moldings or add a logo. 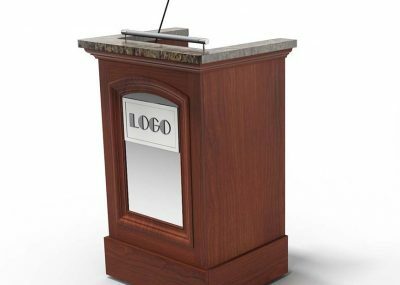 Multimedia options include, lights, microphone holders, logos, and timers. 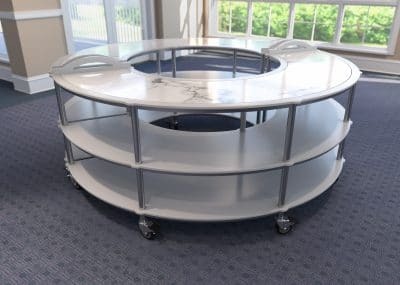 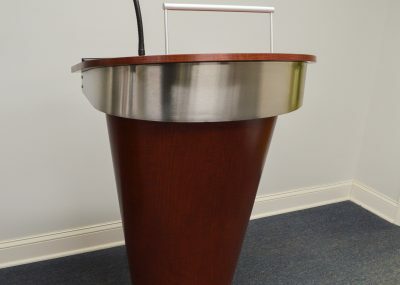 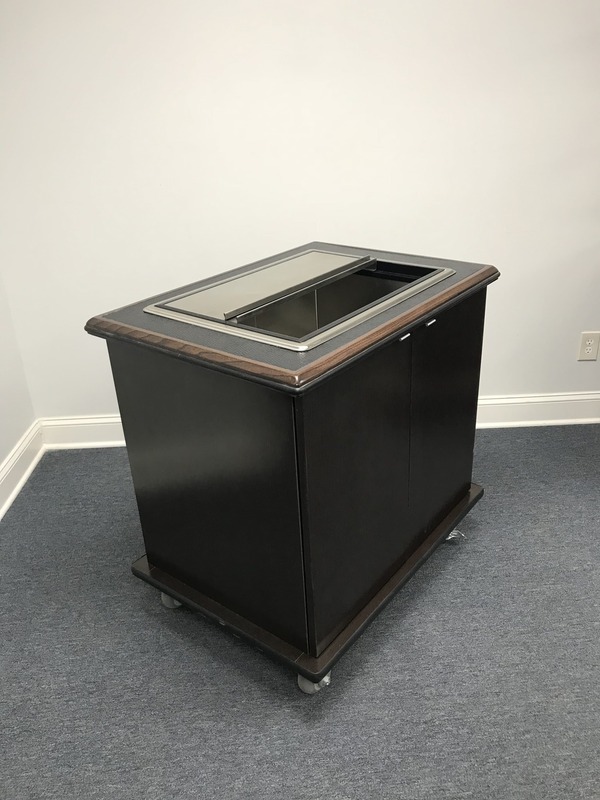 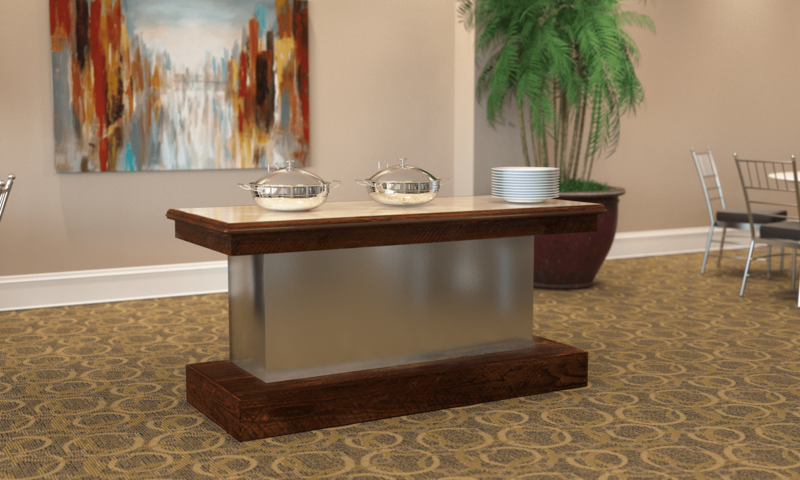 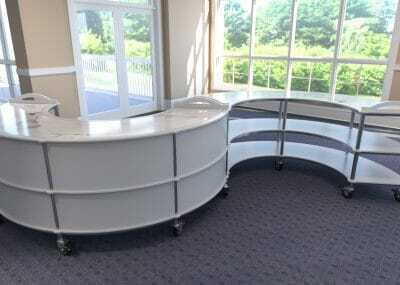 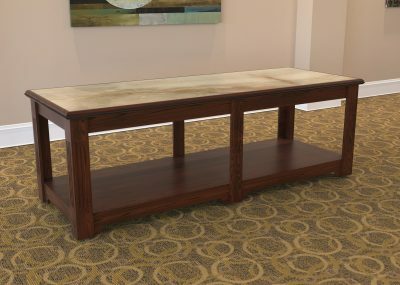 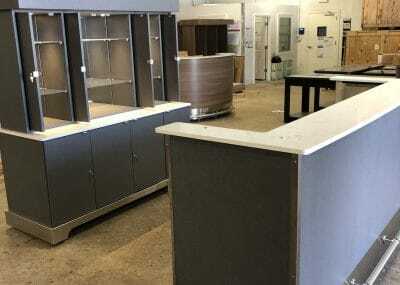 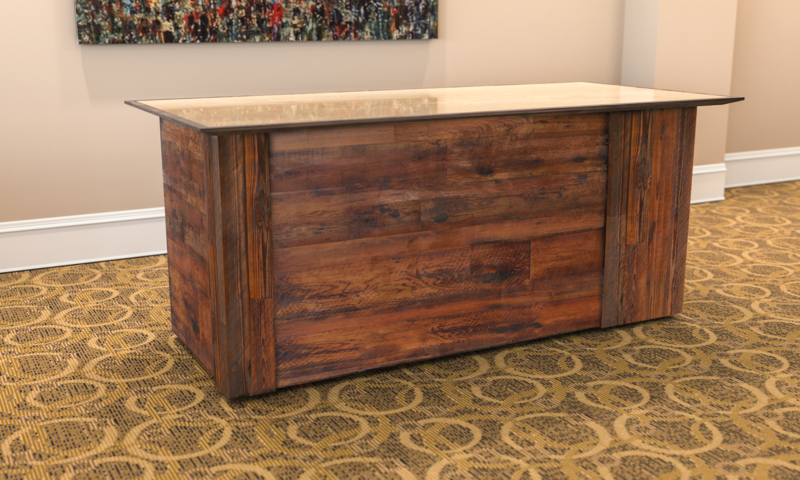 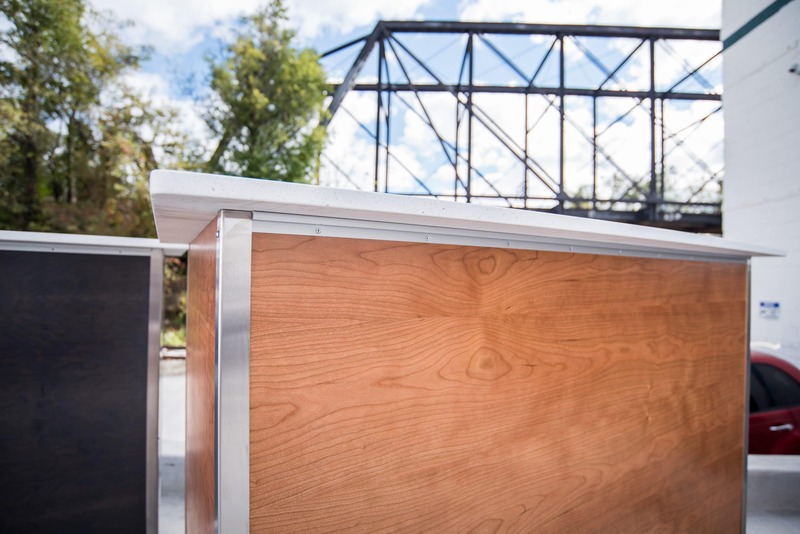 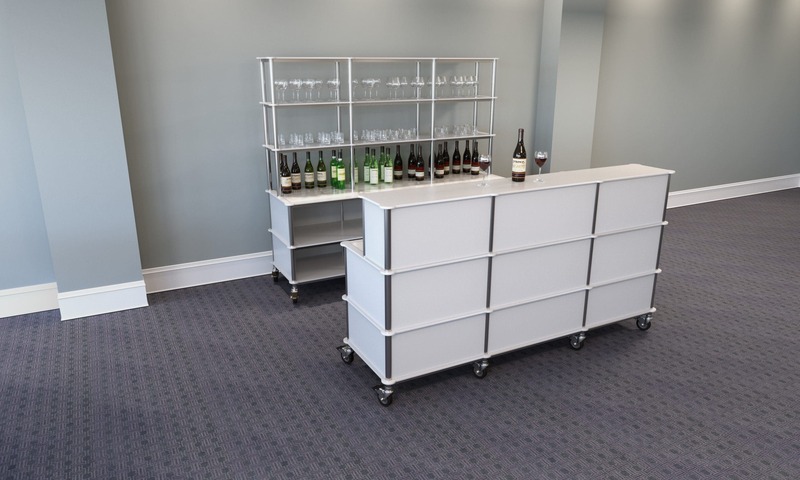 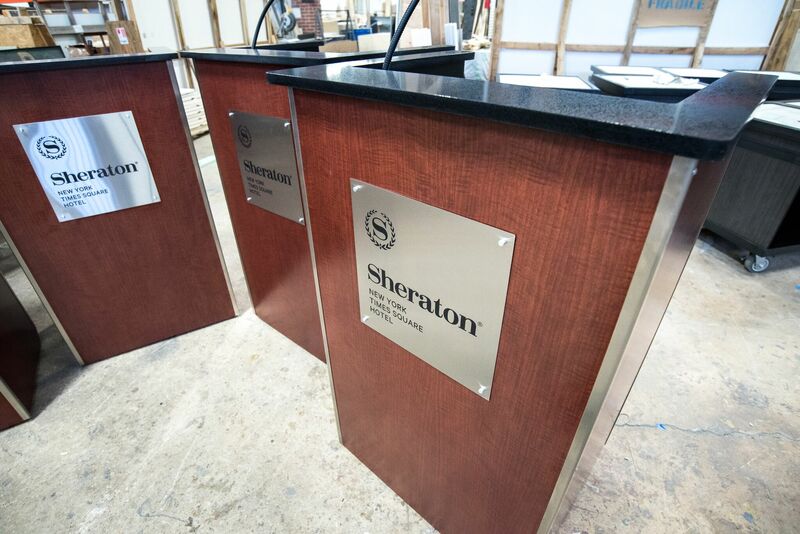 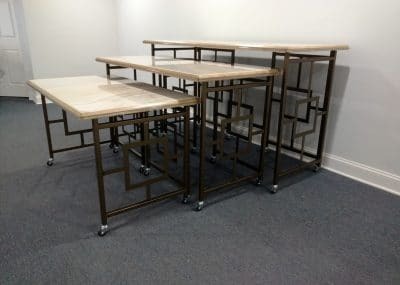 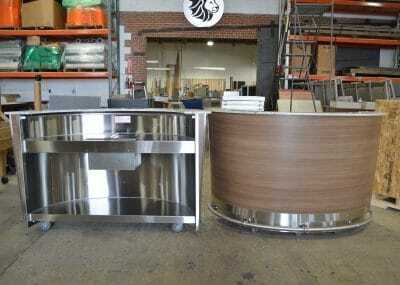 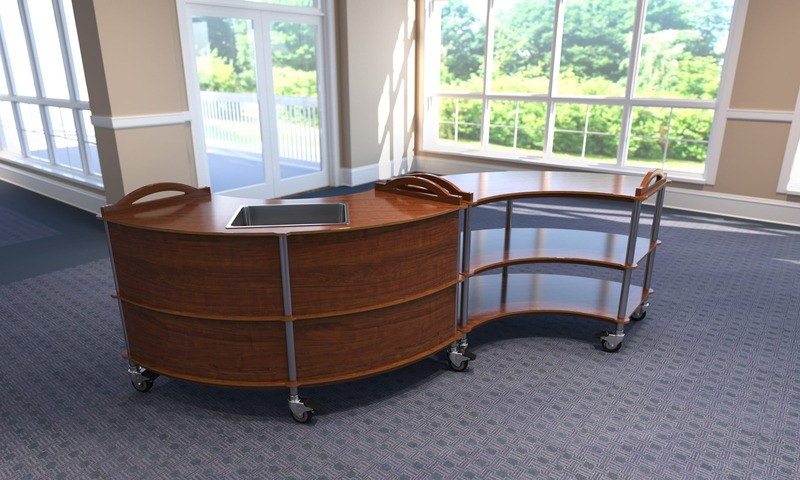 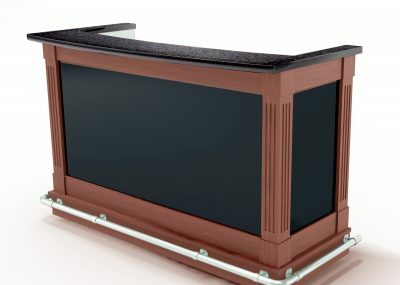 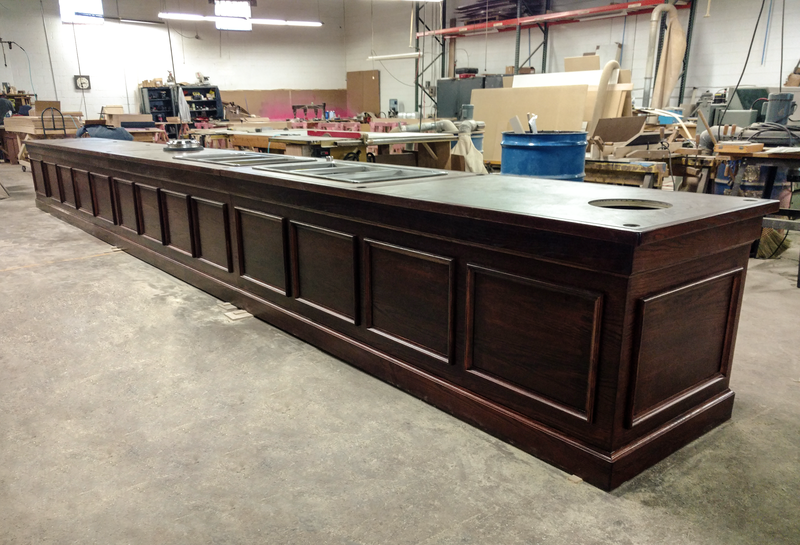 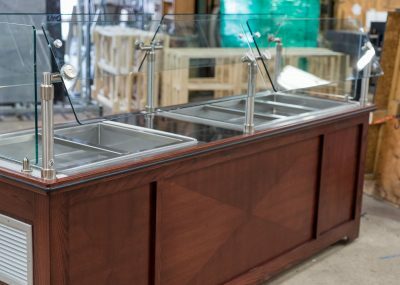 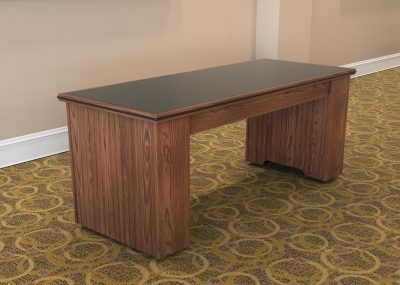 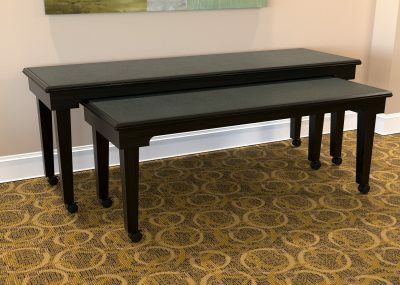 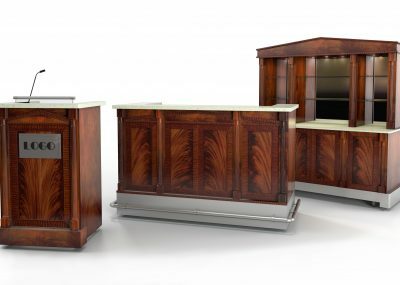 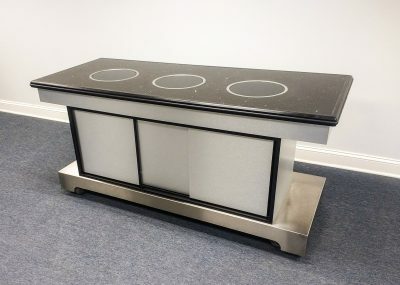 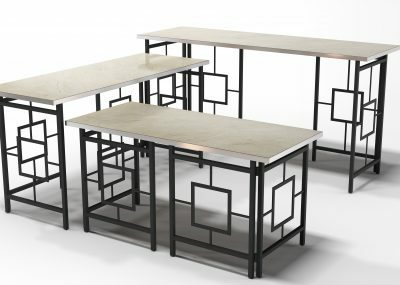 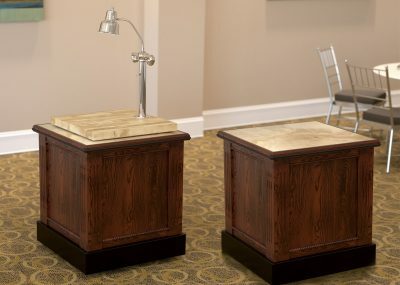 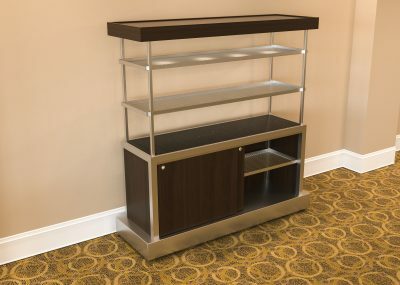 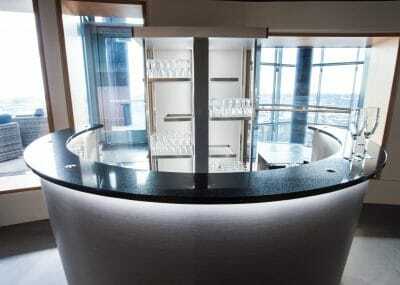 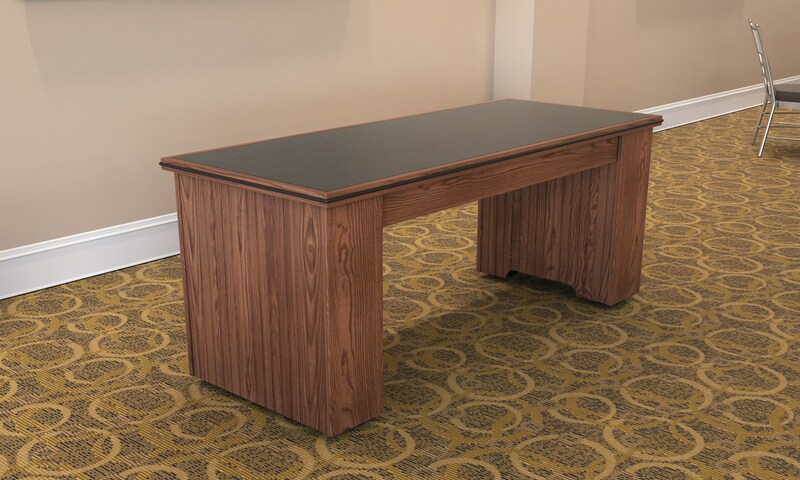 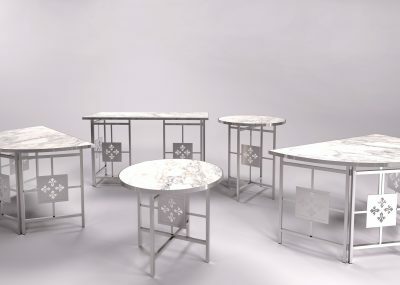 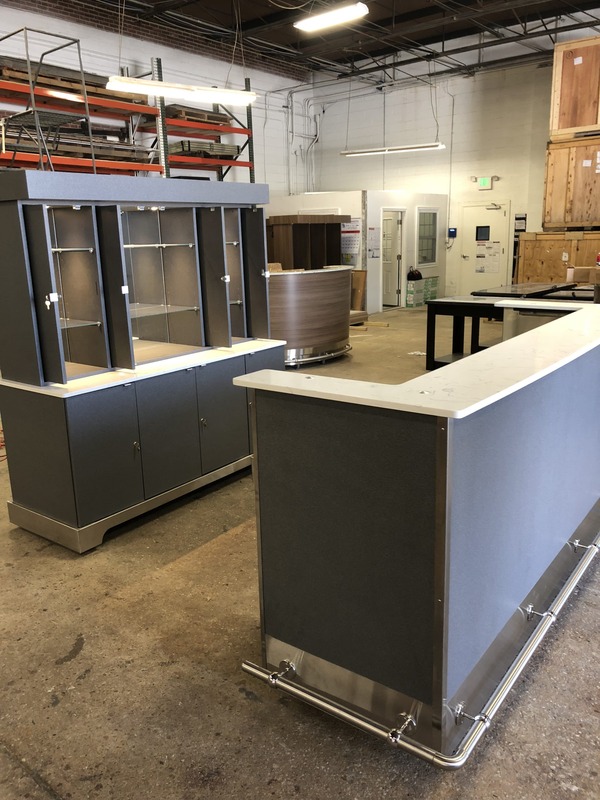 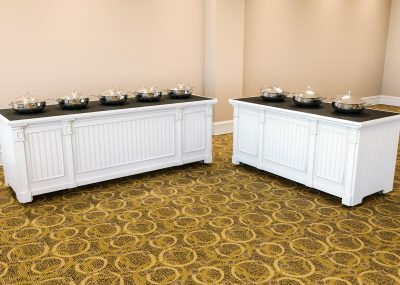 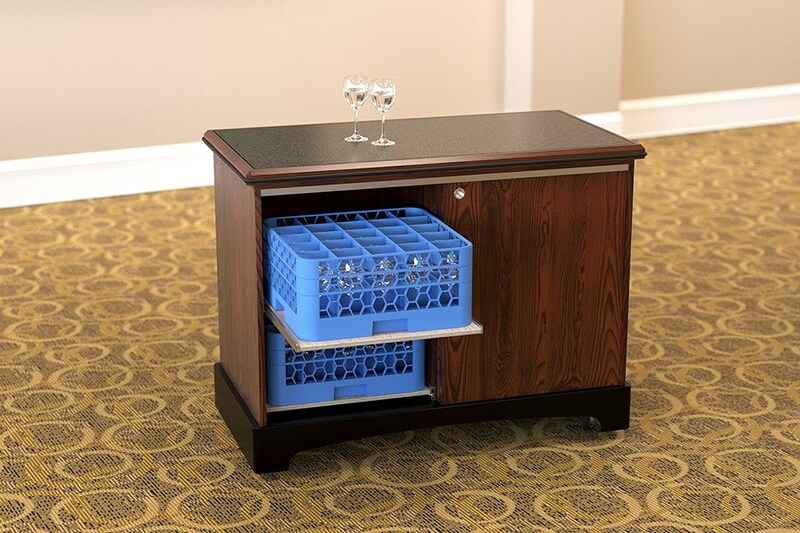 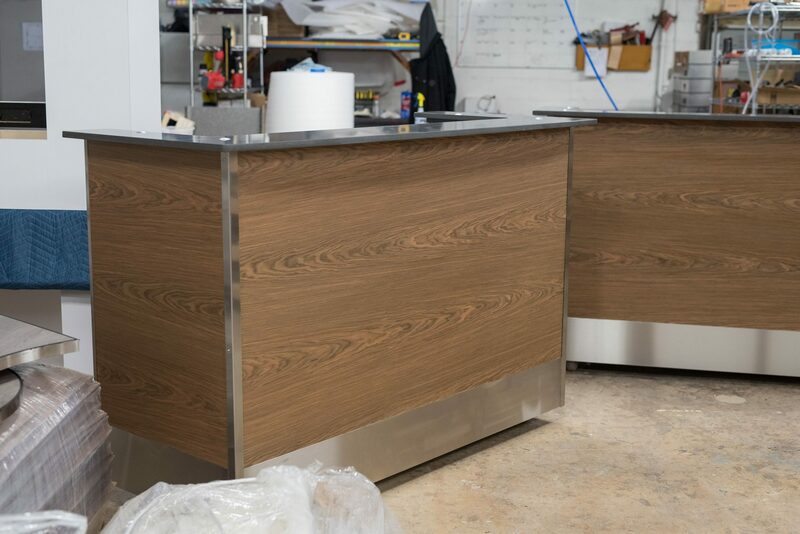 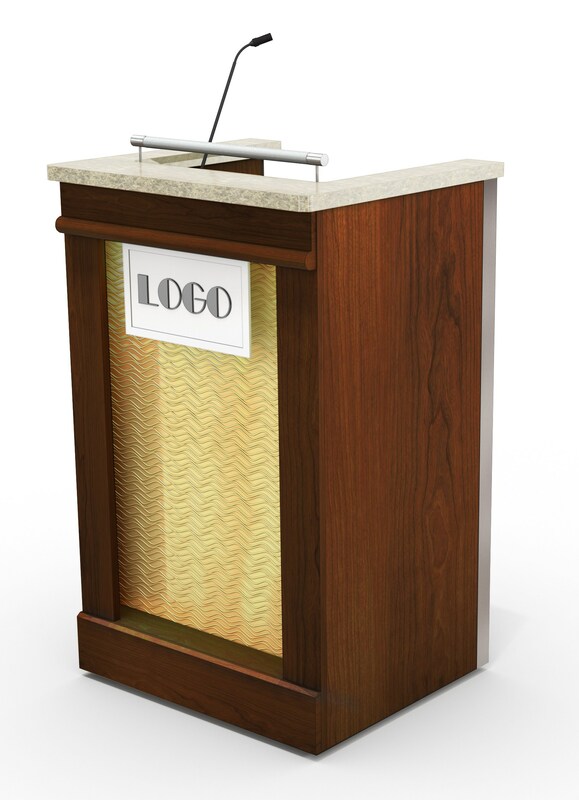 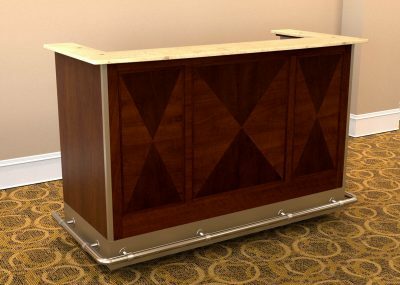 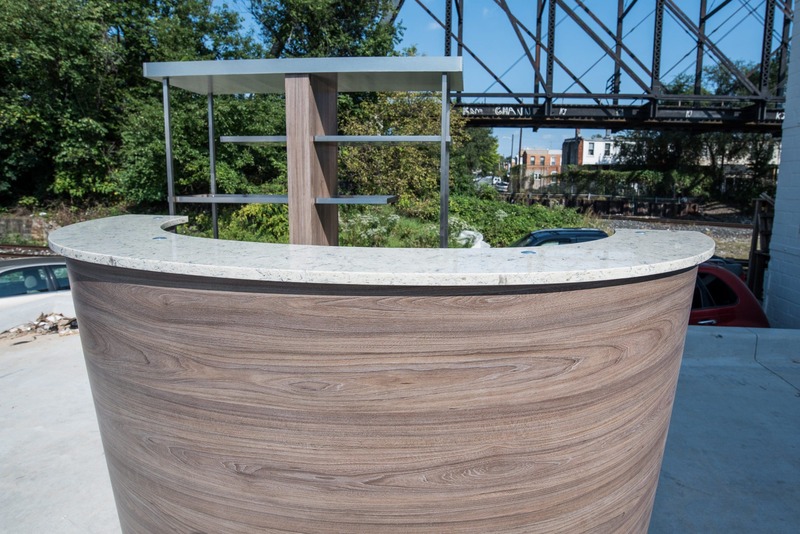 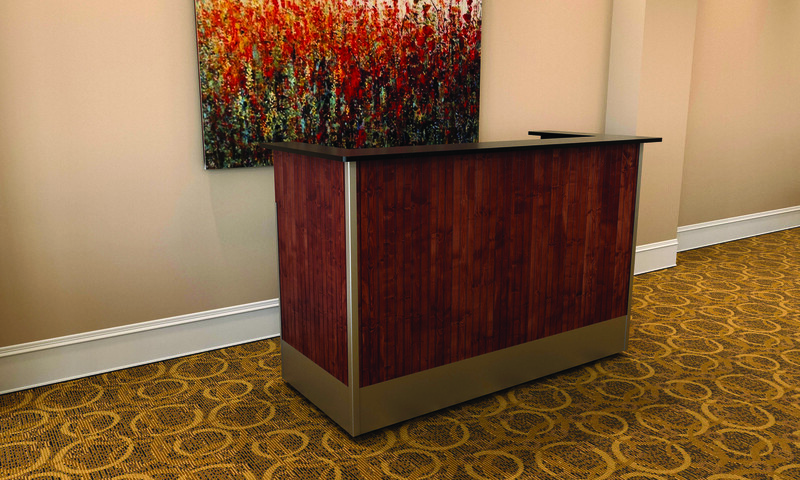 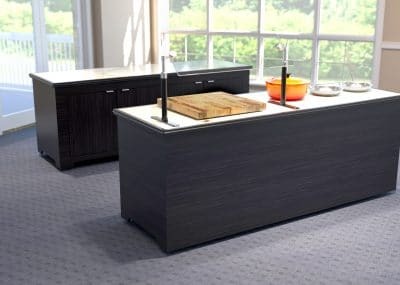 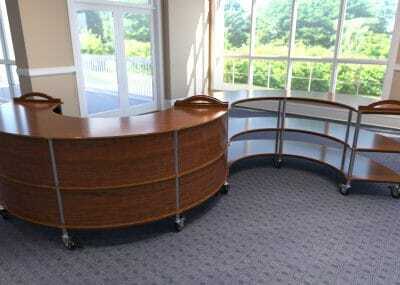 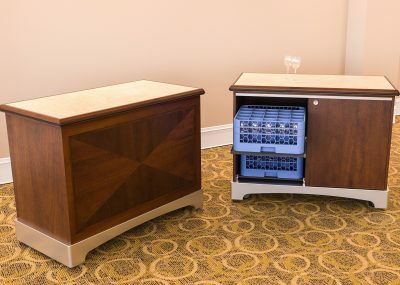 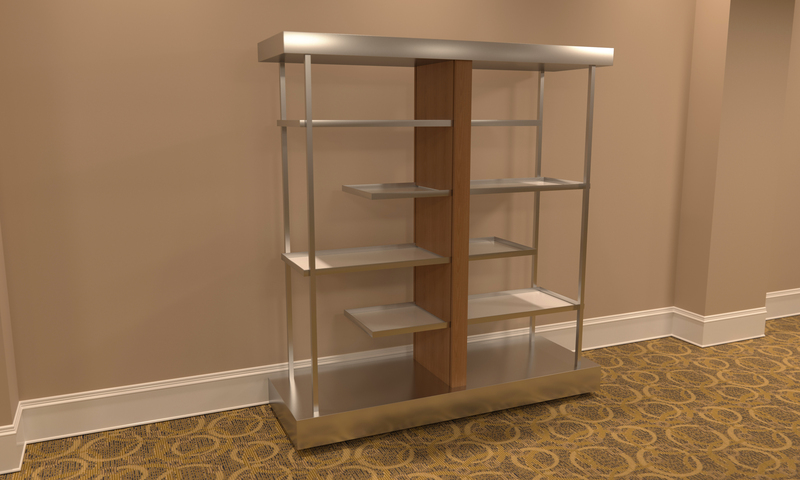 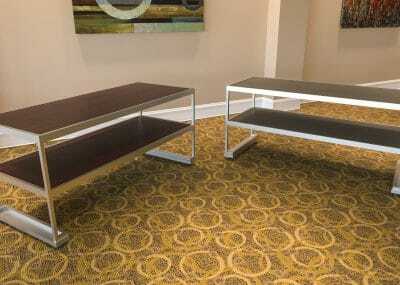 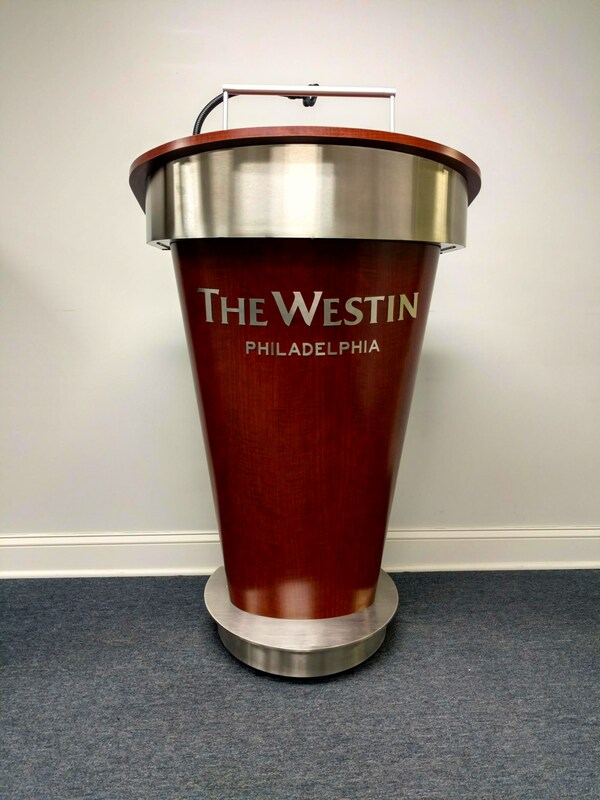 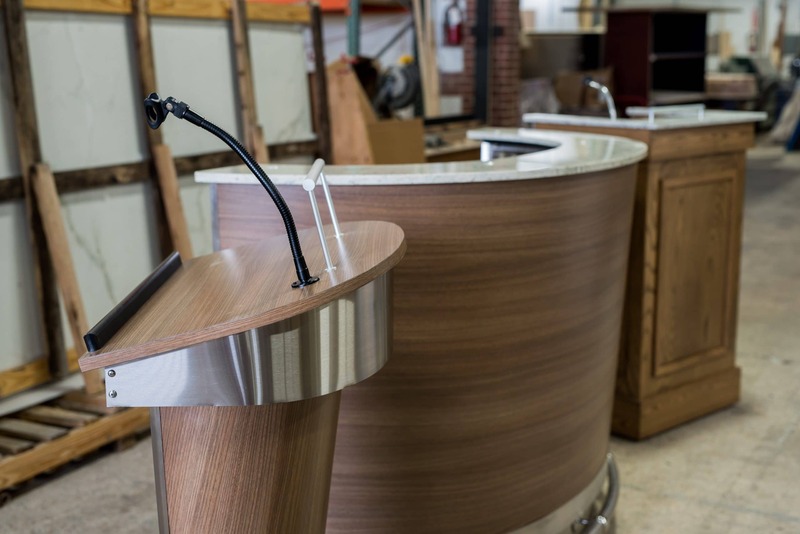 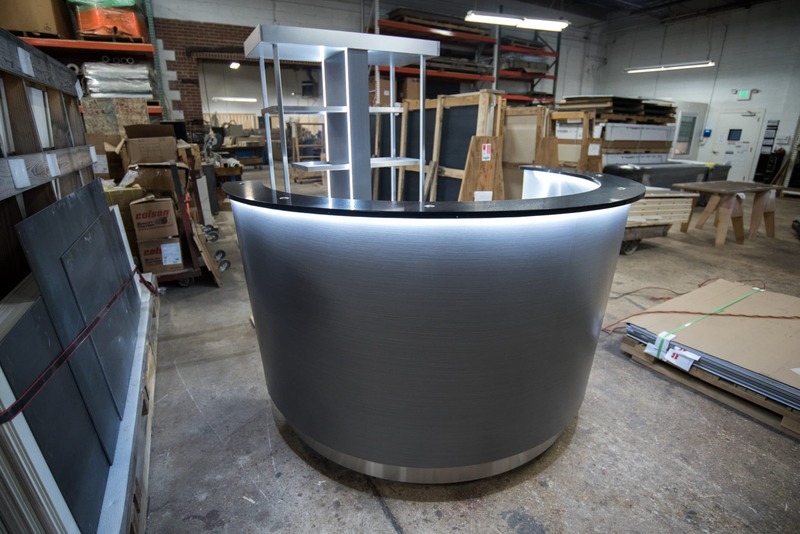 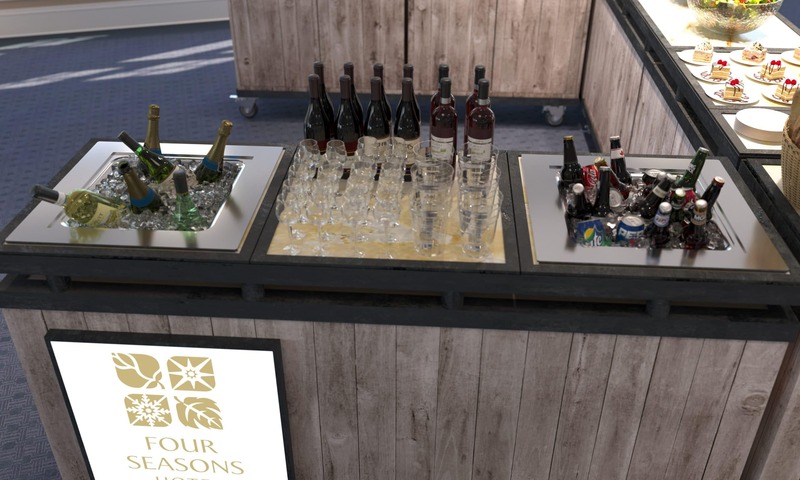 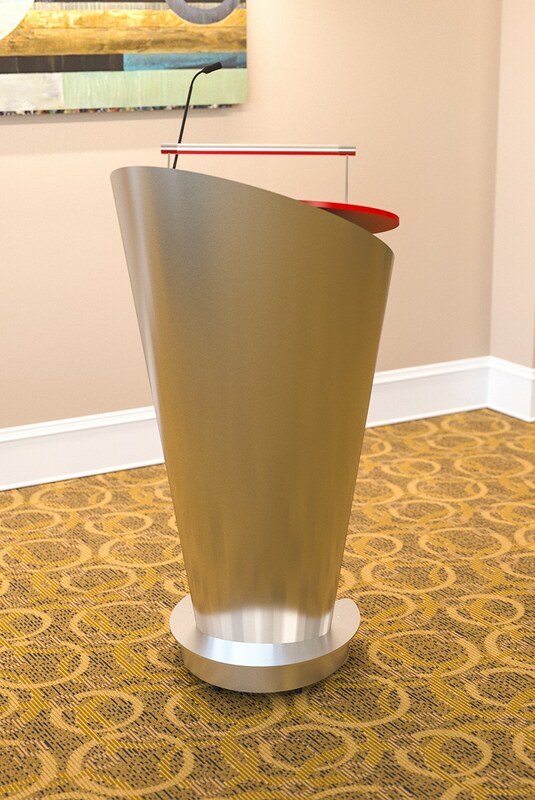 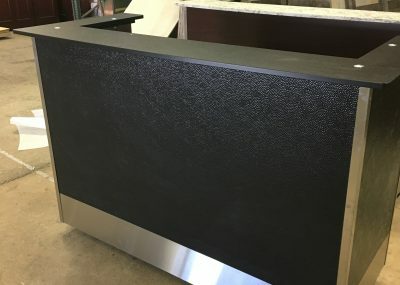 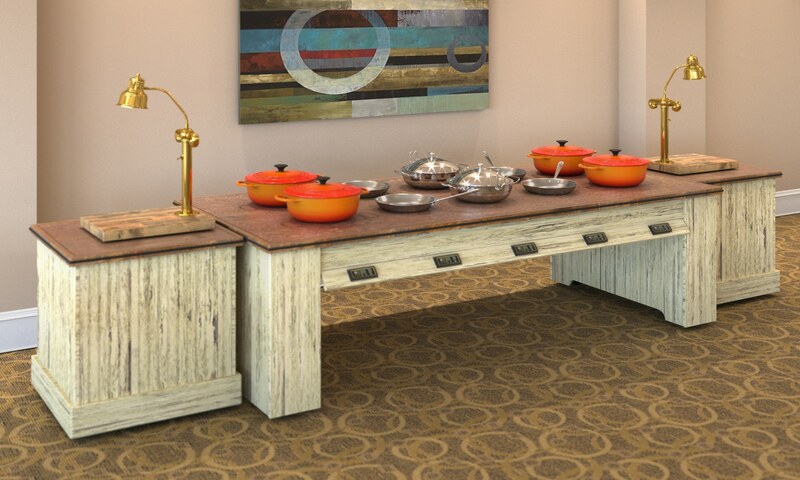 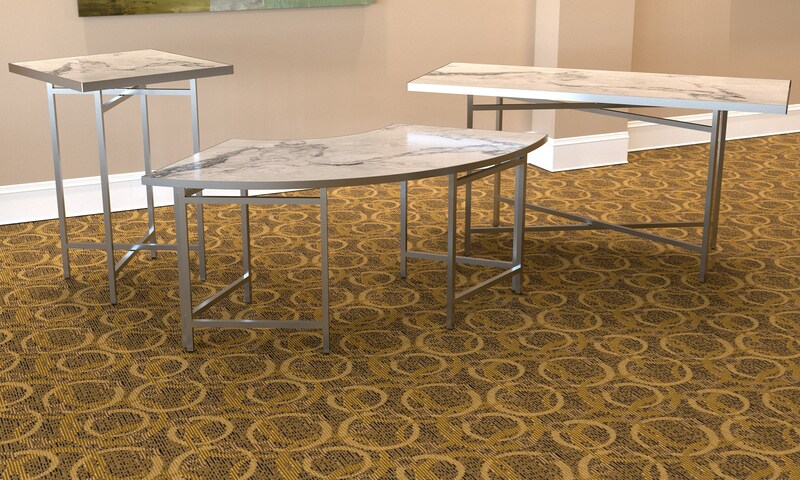 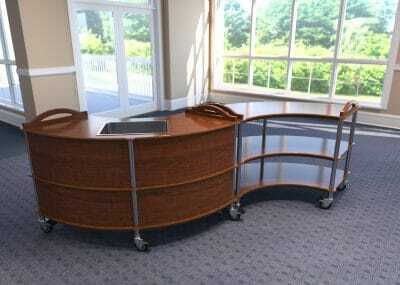 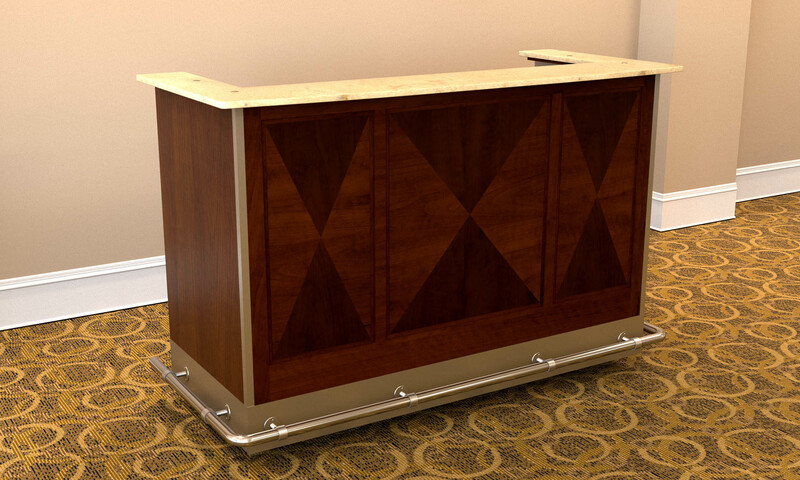 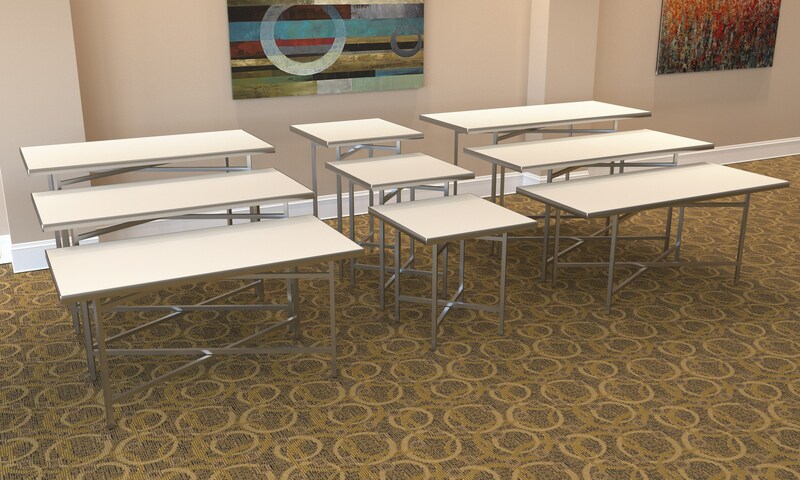 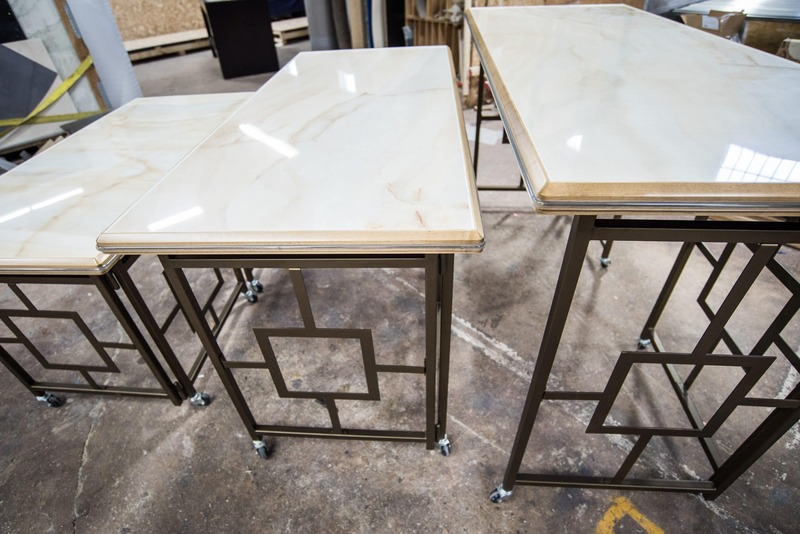 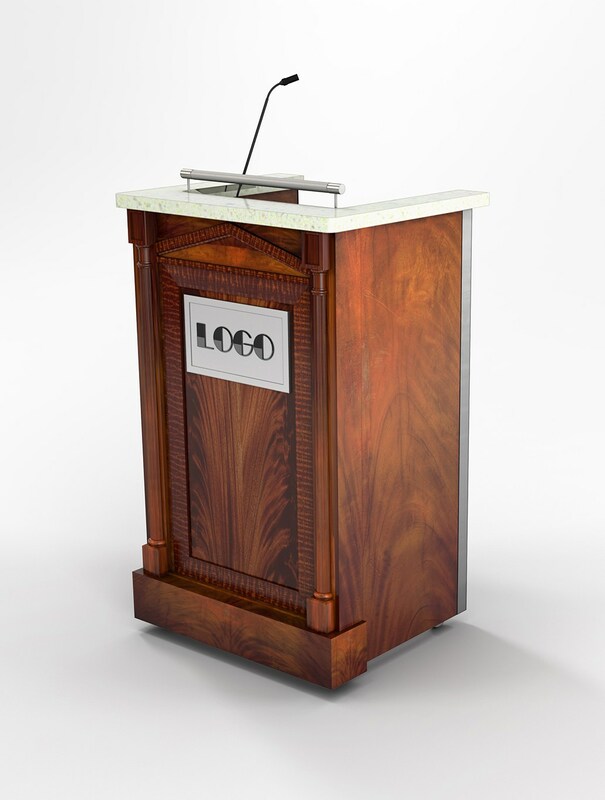 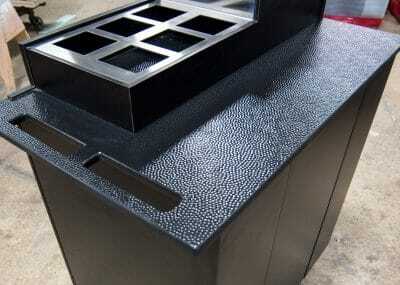 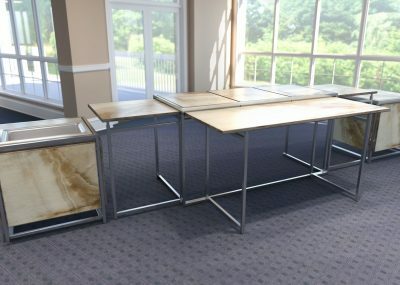 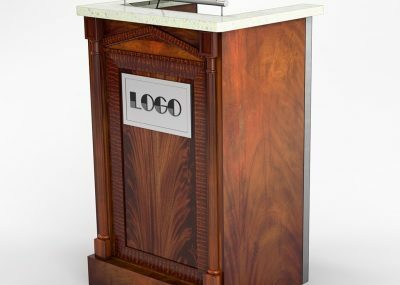 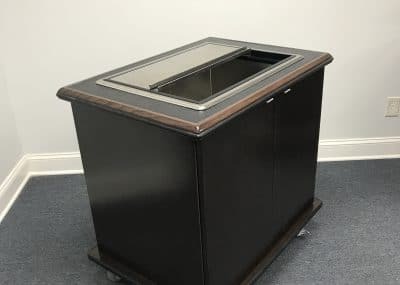 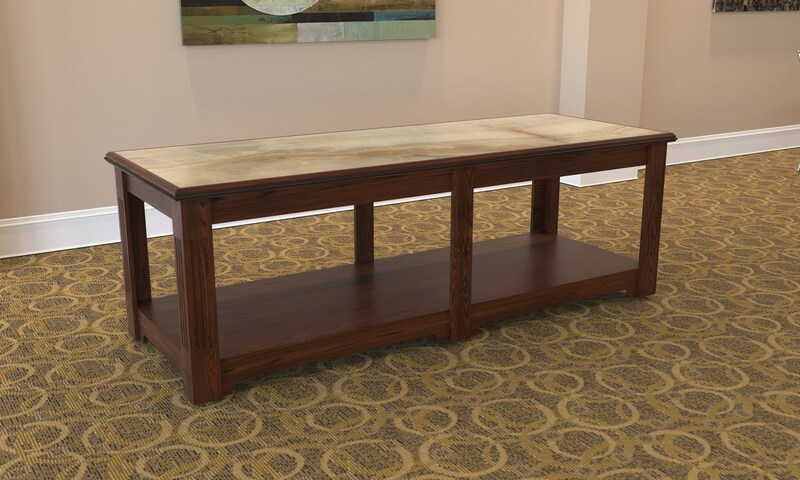 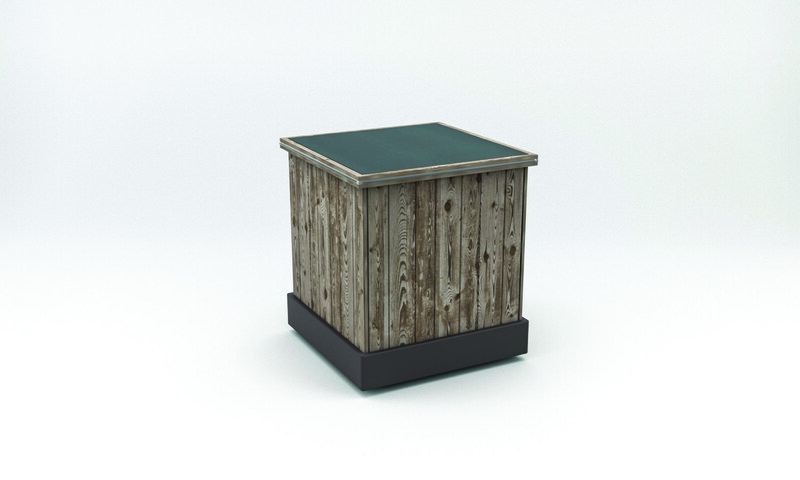 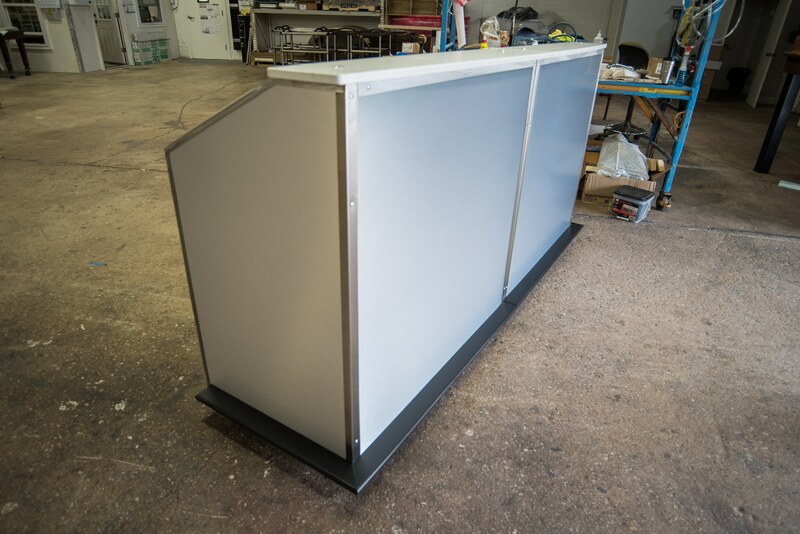 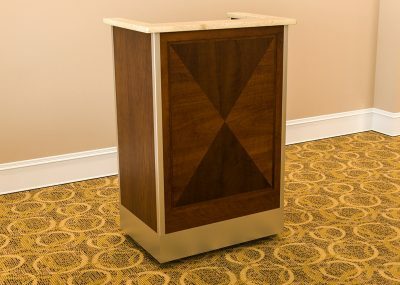 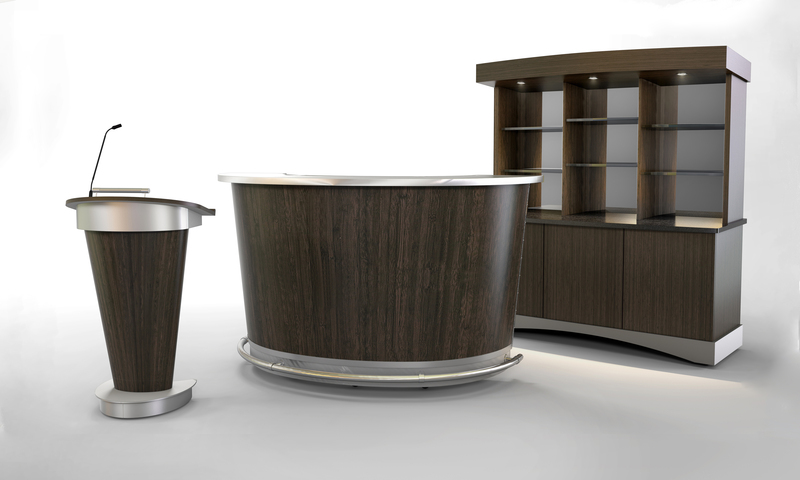 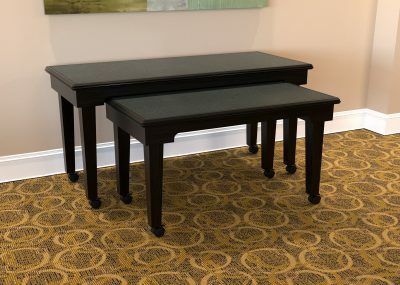 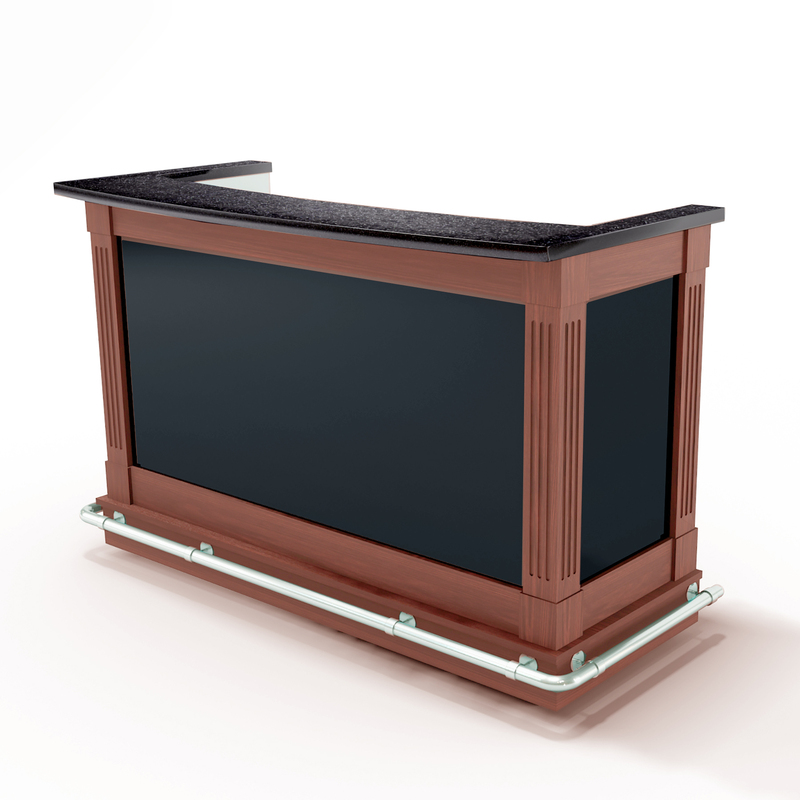 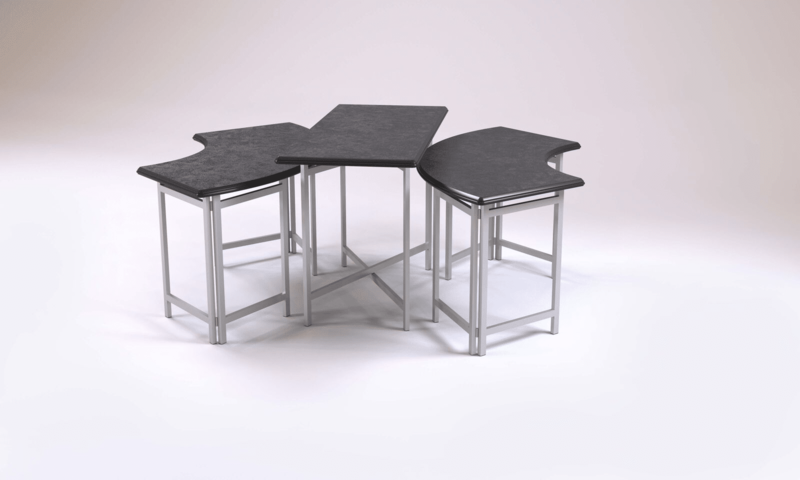 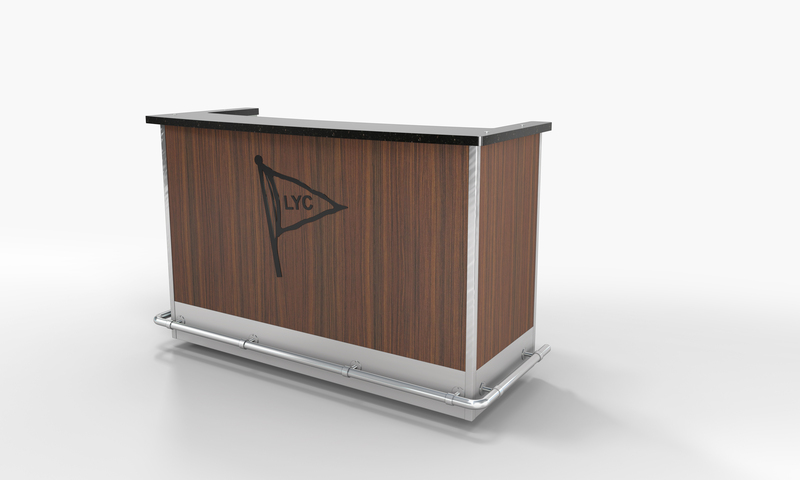 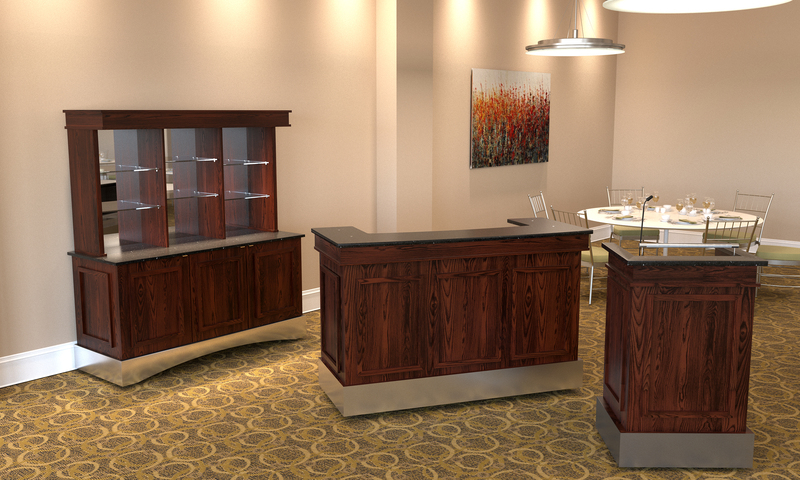 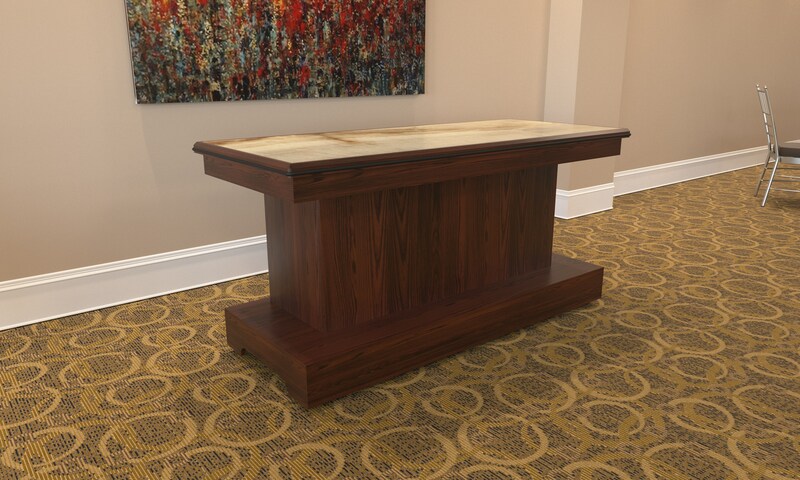 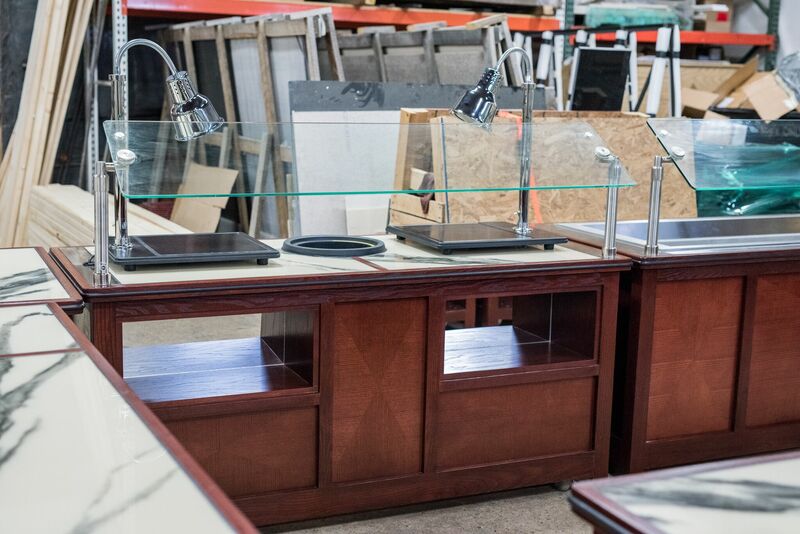 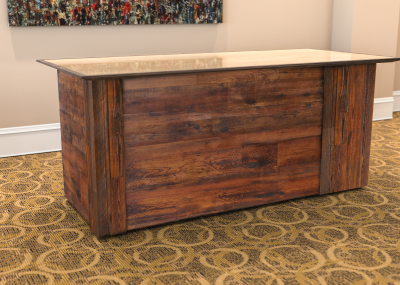 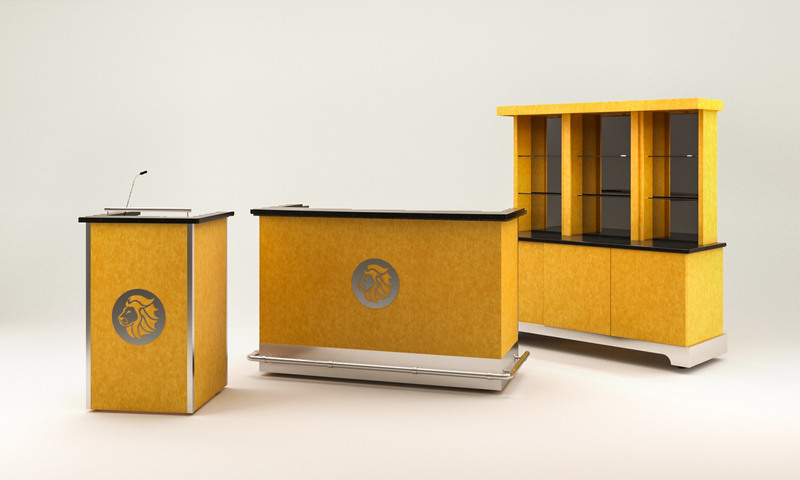 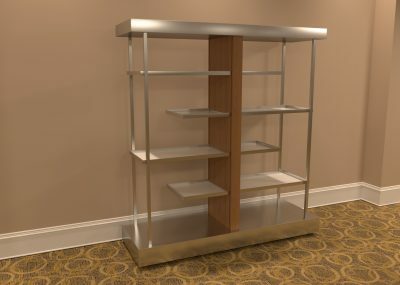 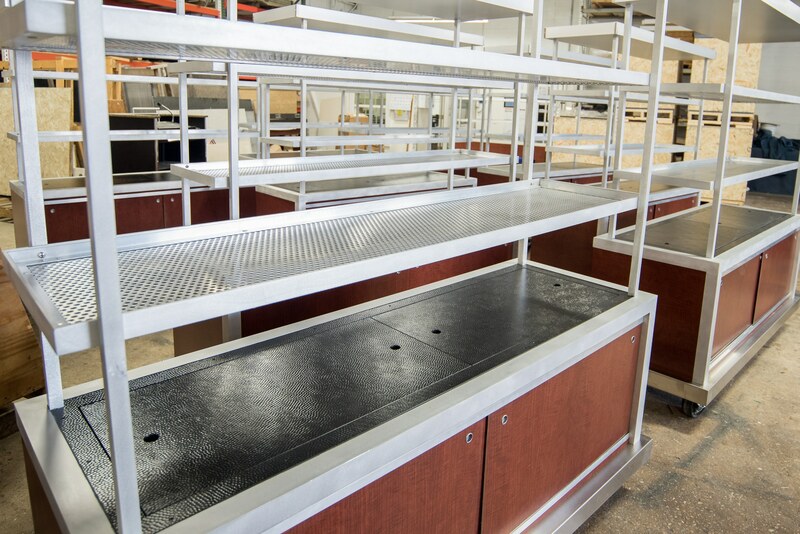 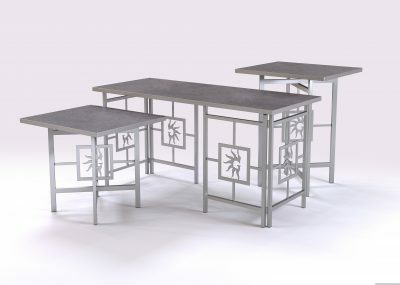 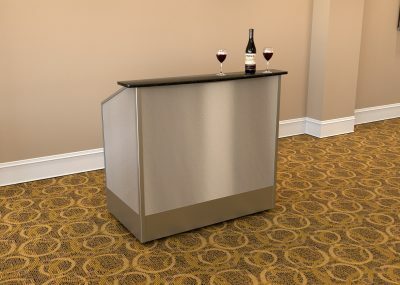 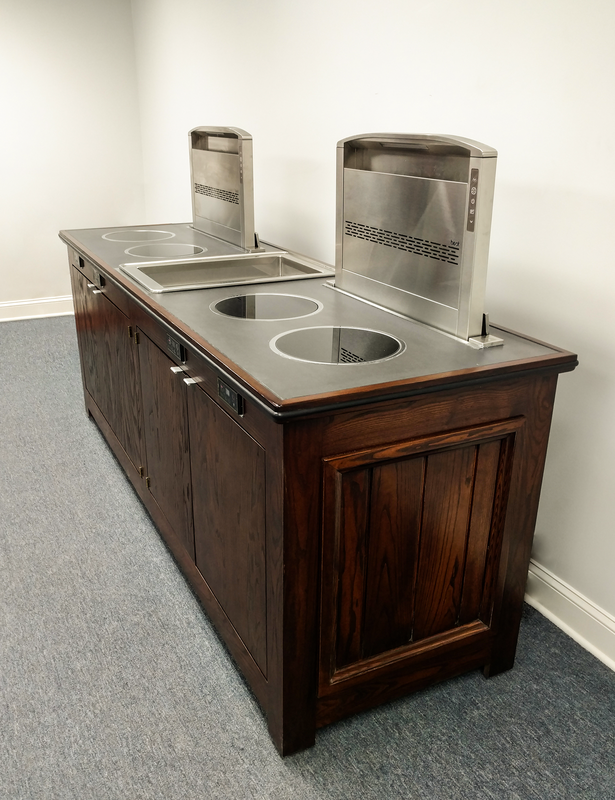 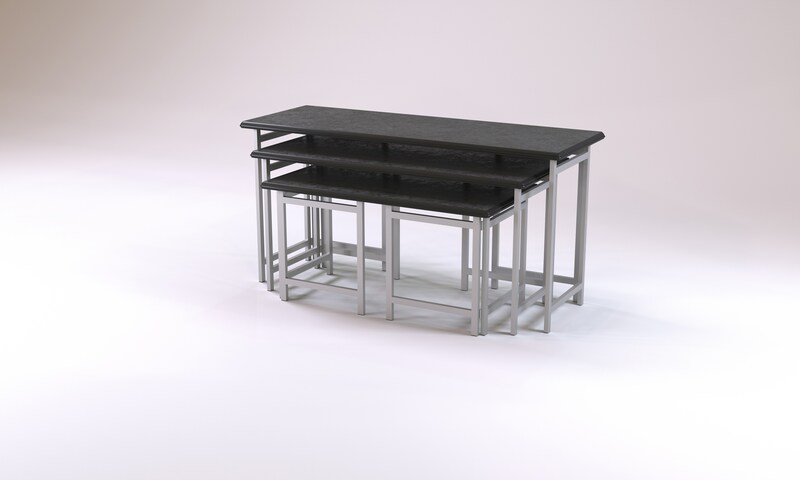 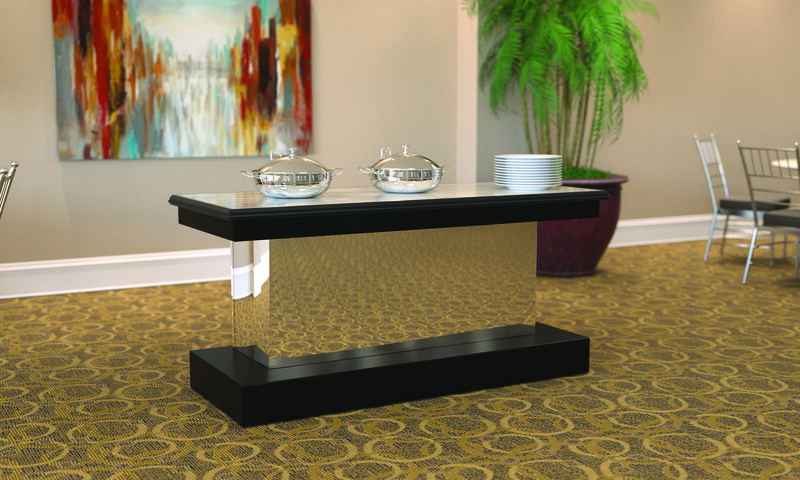 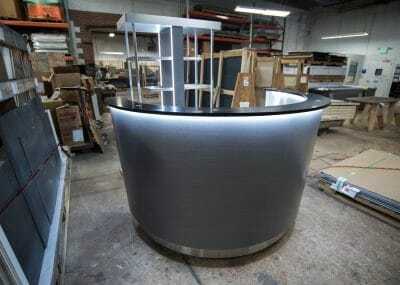 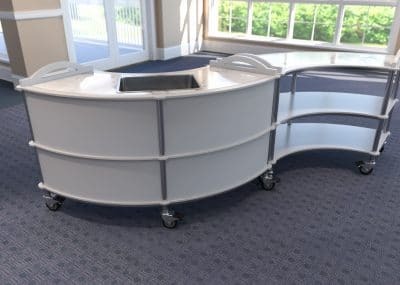 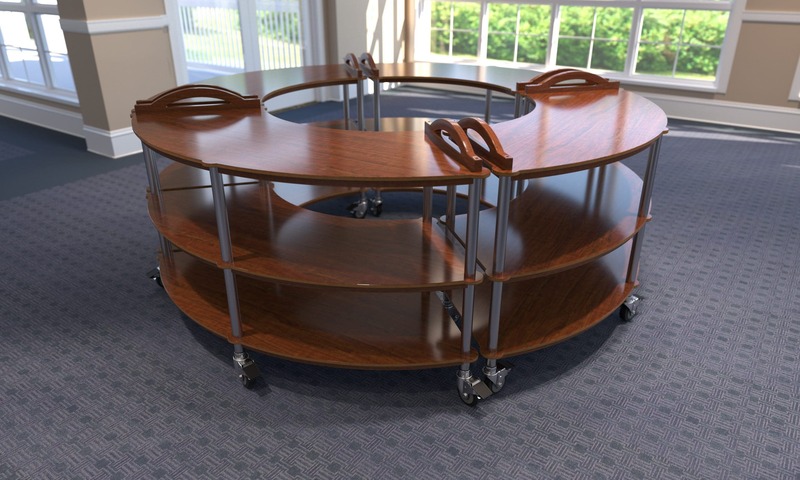 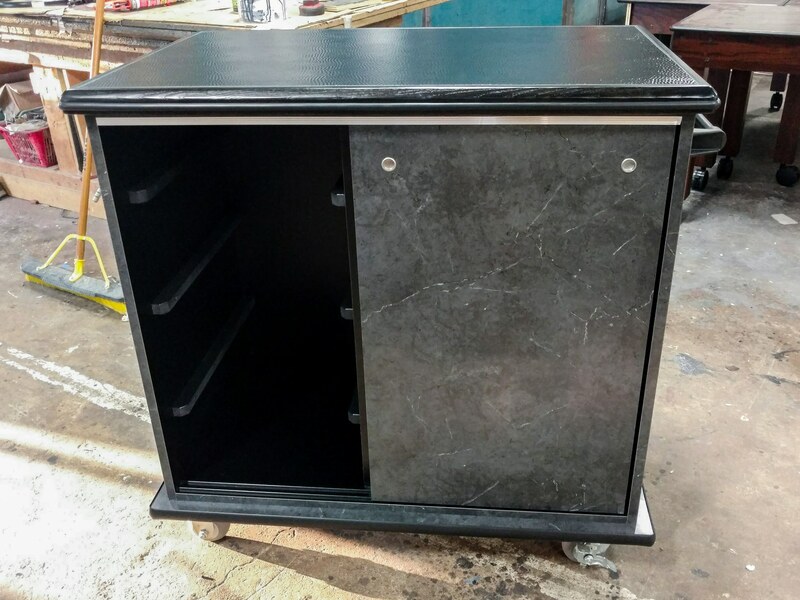 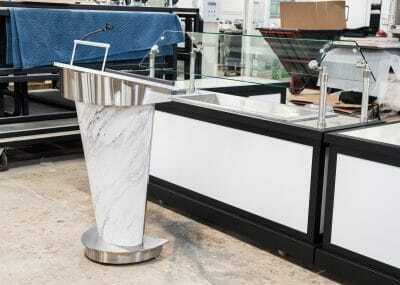 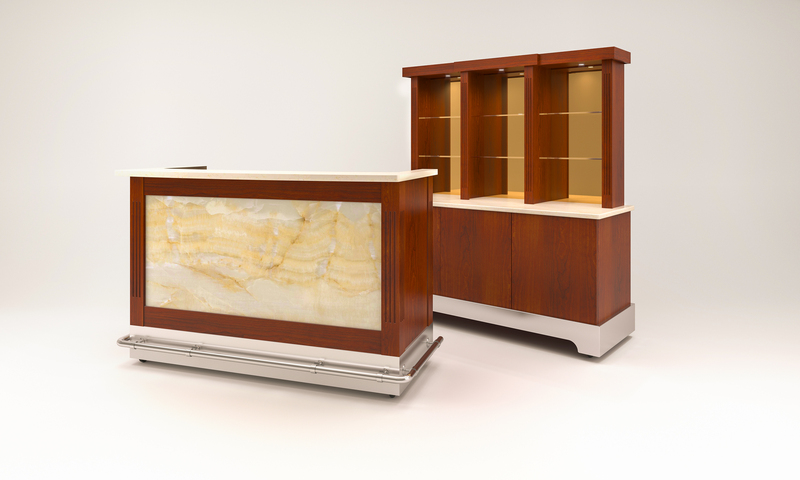 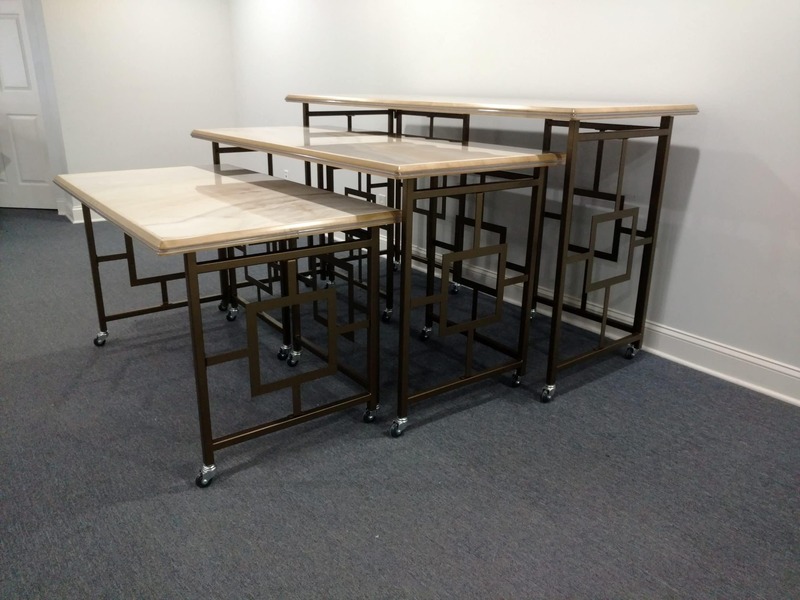 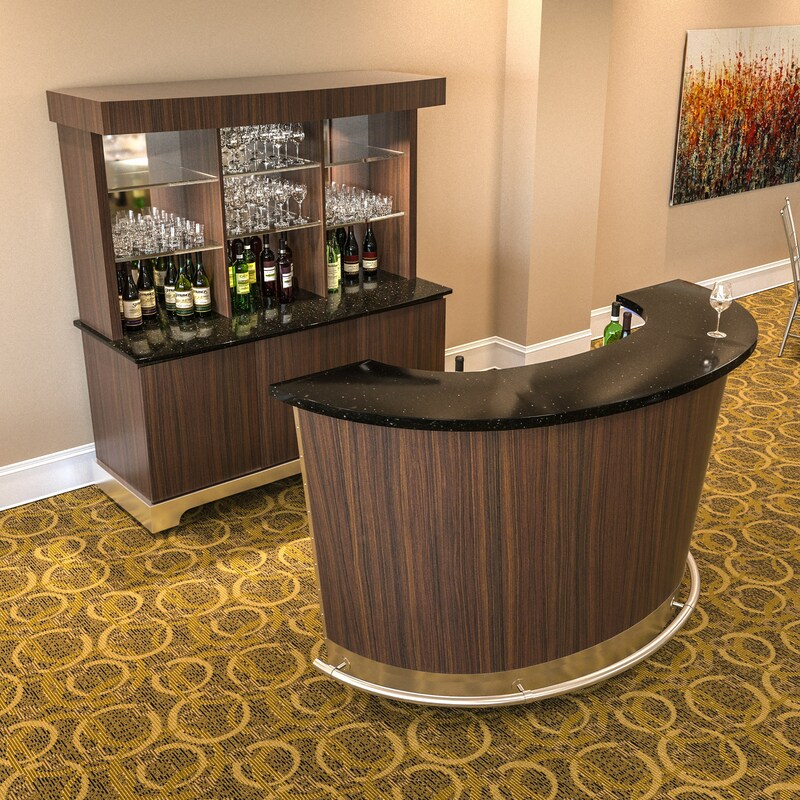 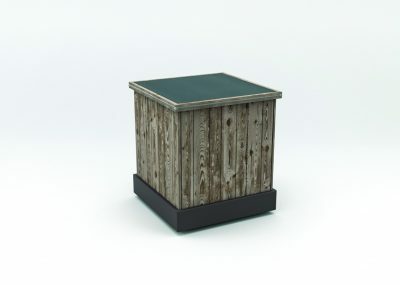 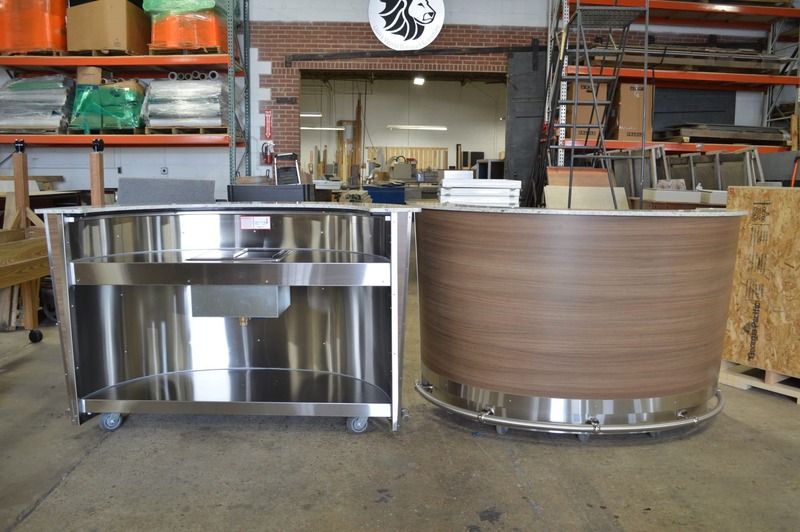 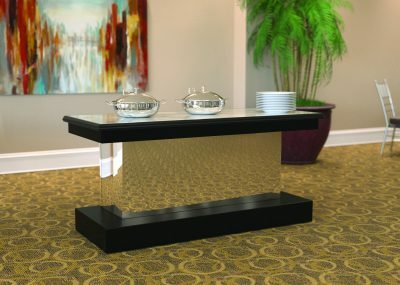 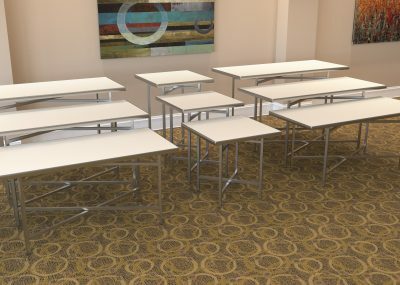 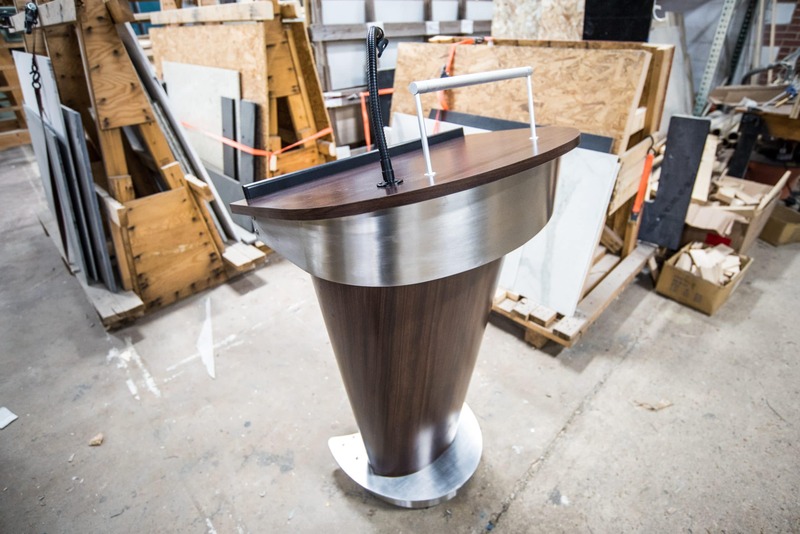 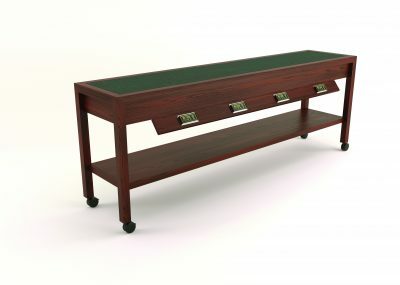 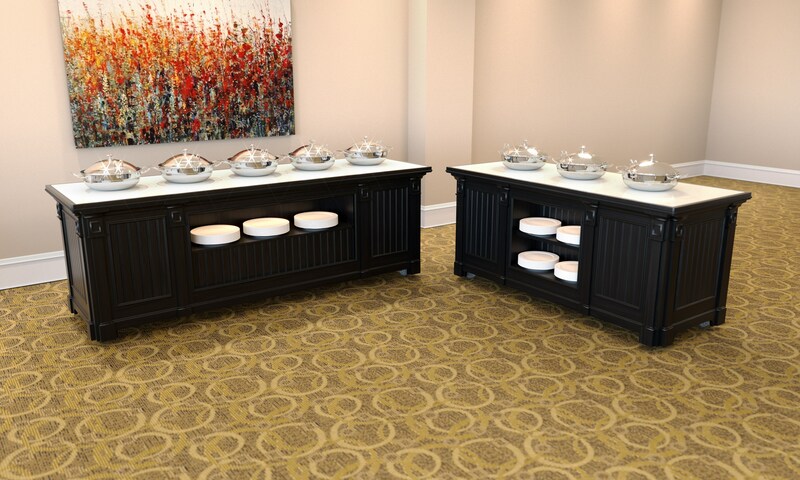 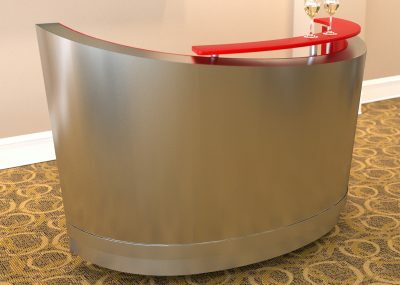 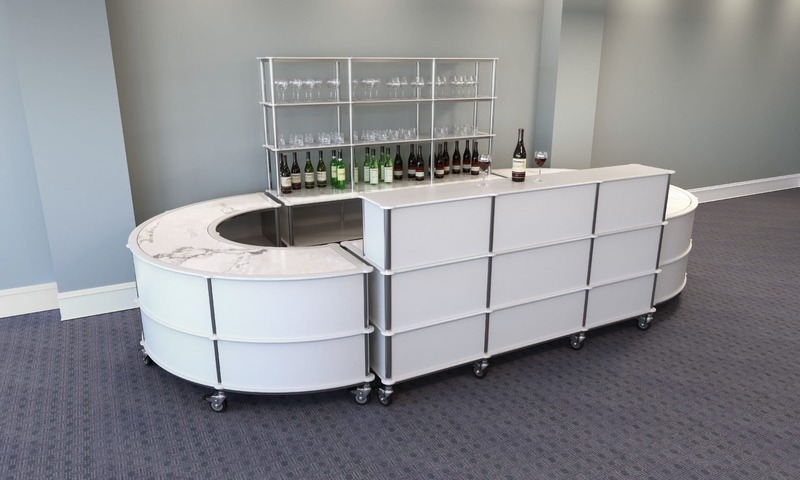 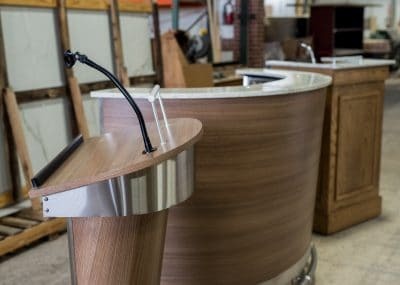 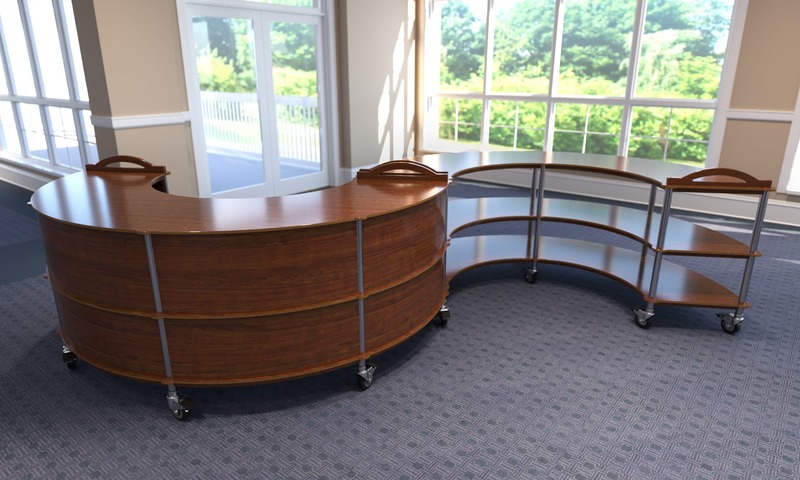 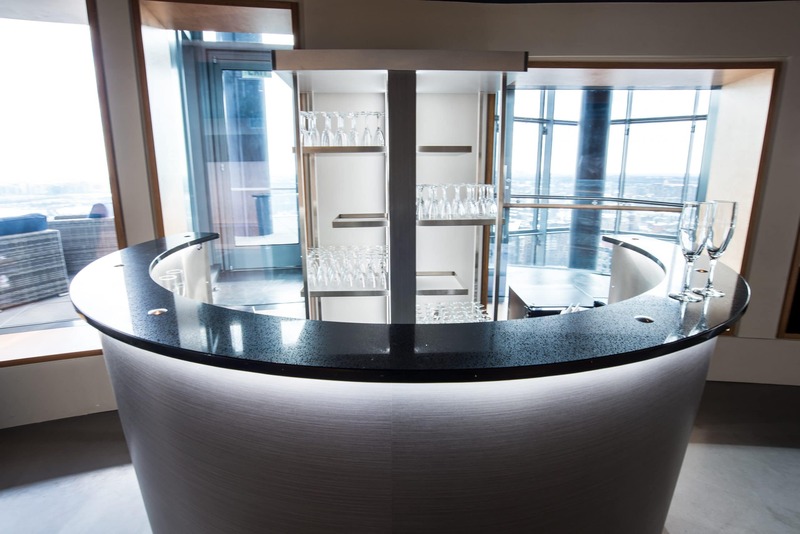 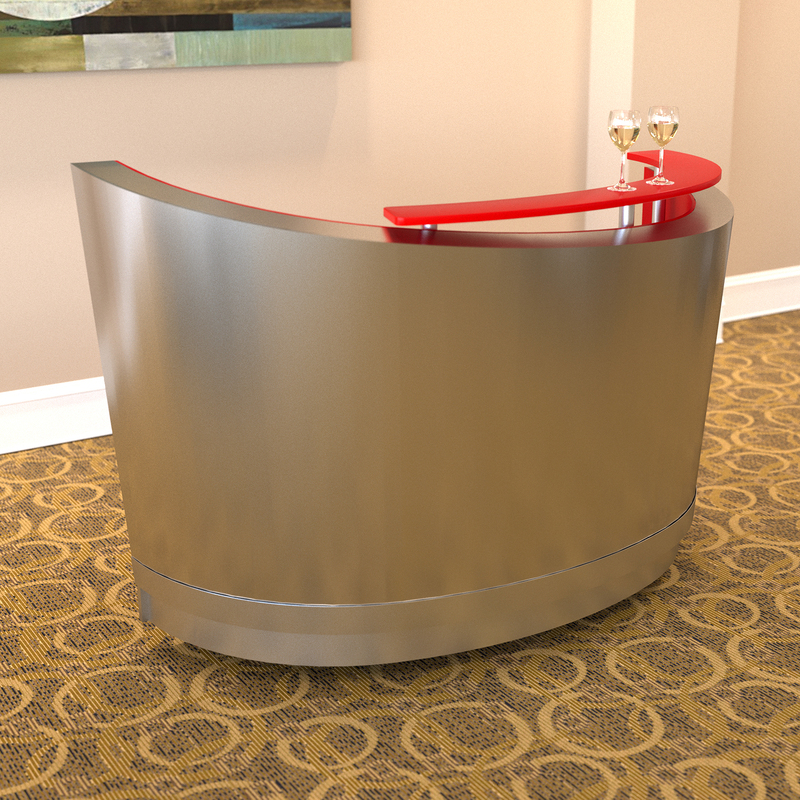 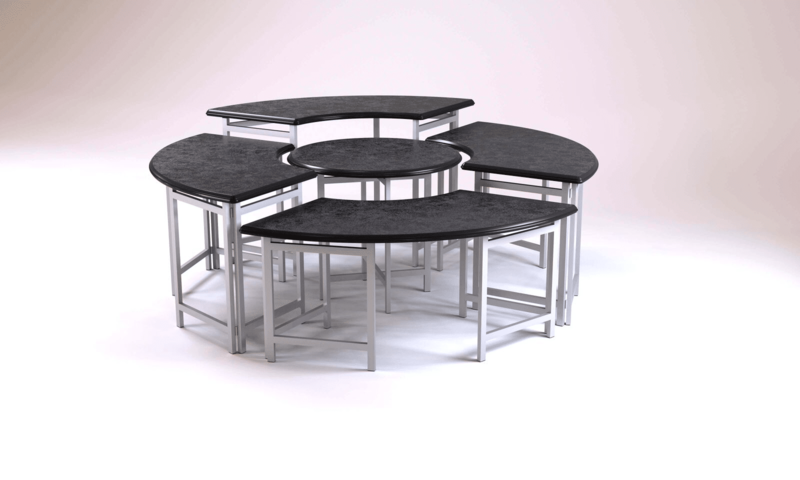 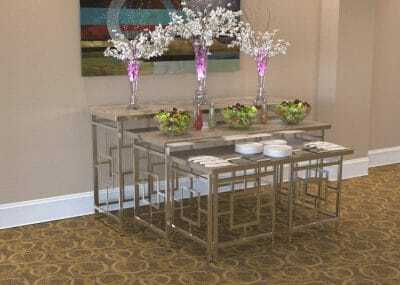 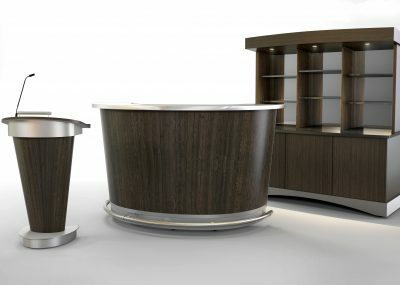 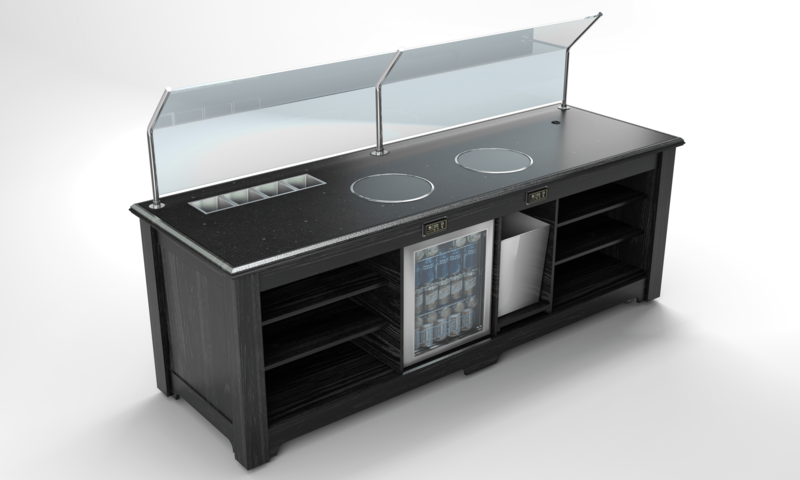 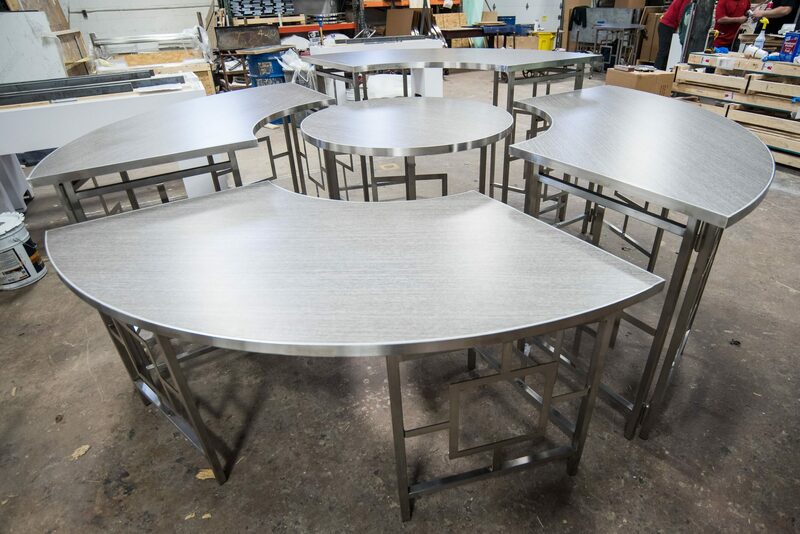 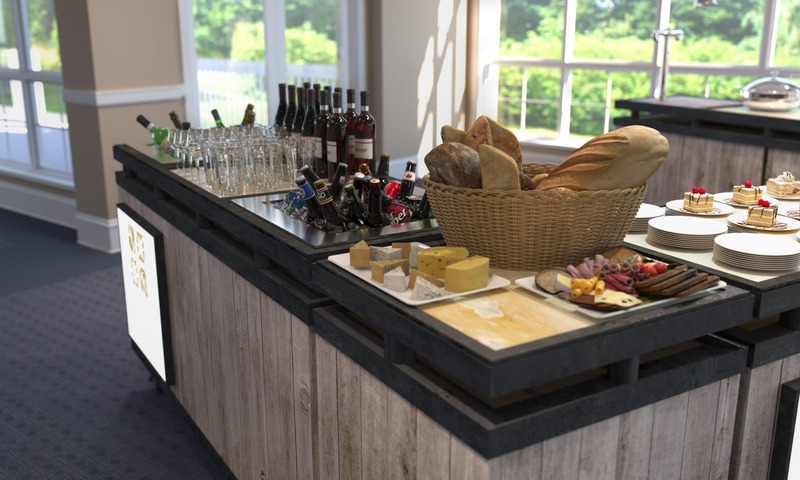 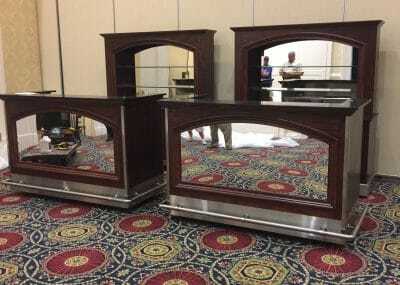 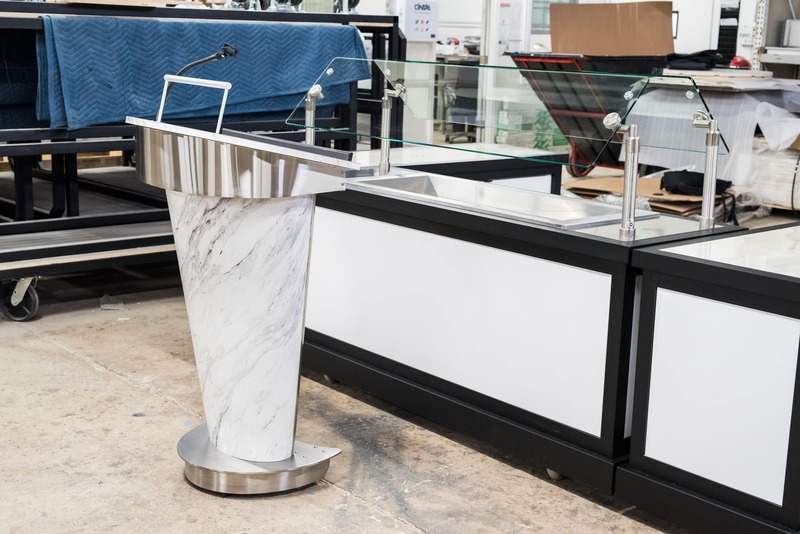 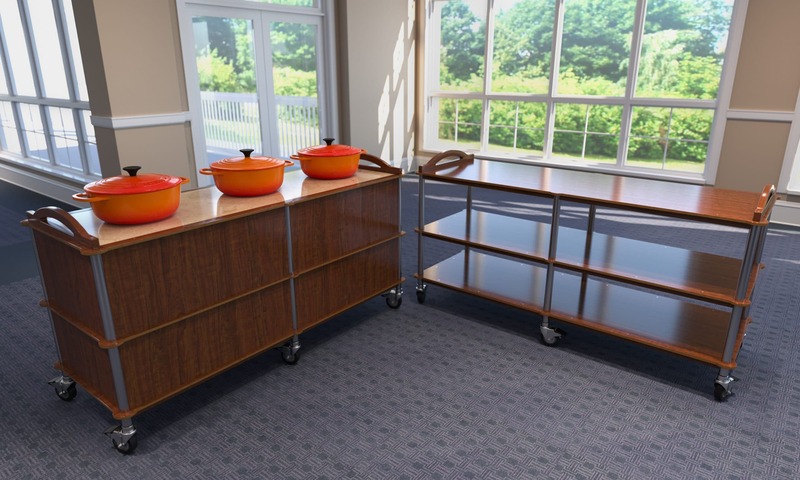 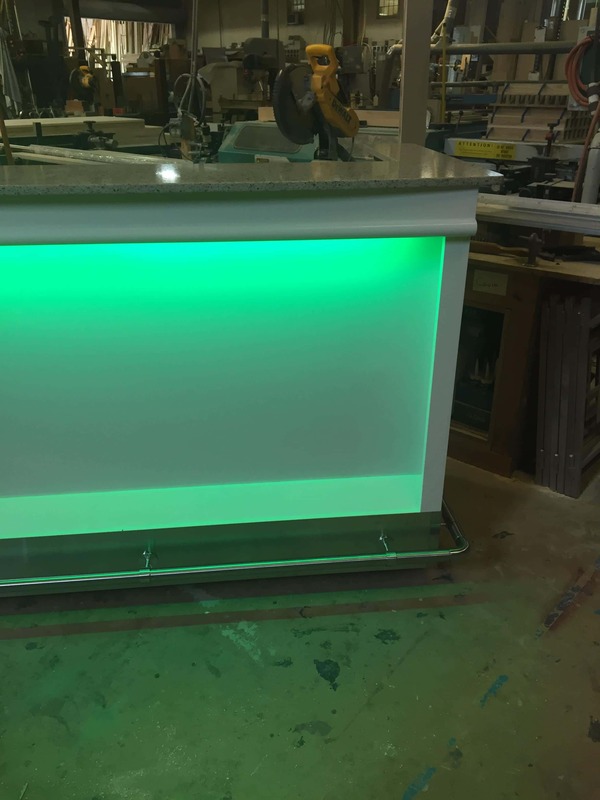 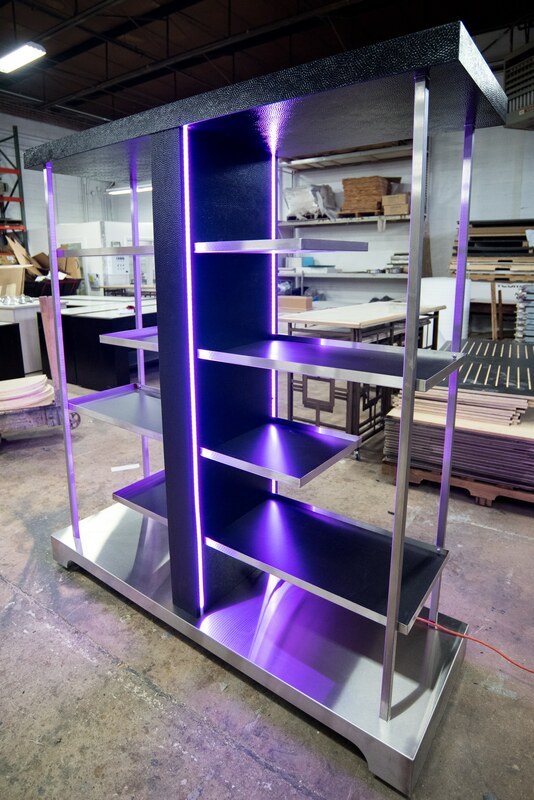 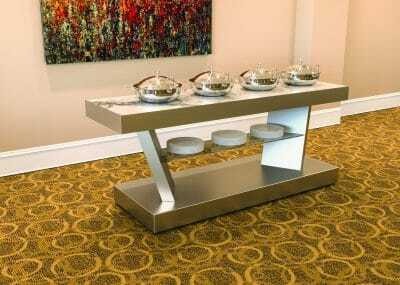 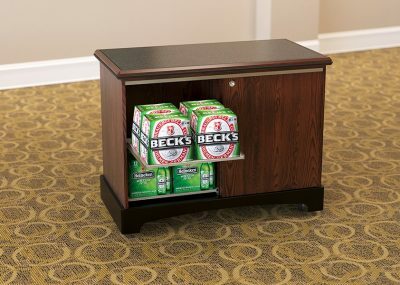 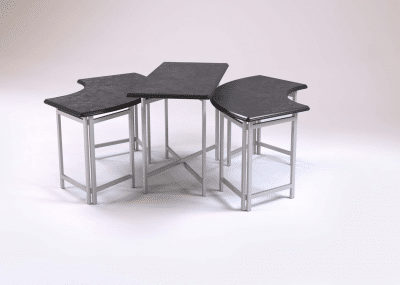 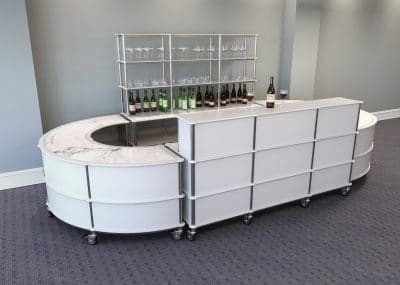 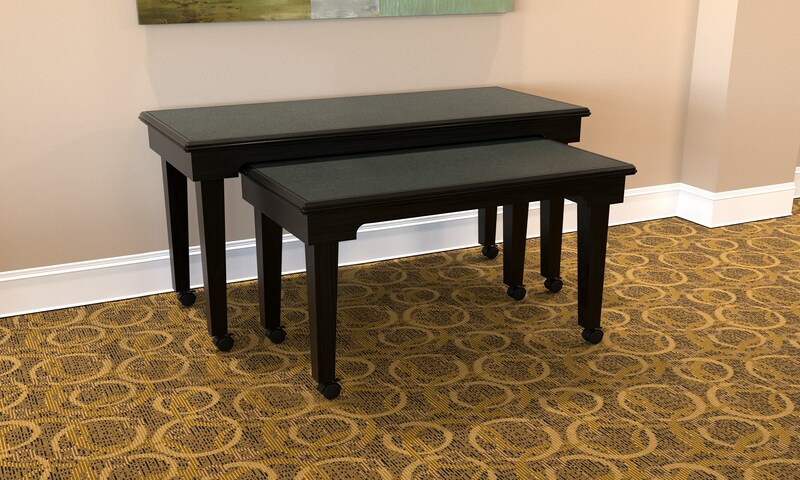 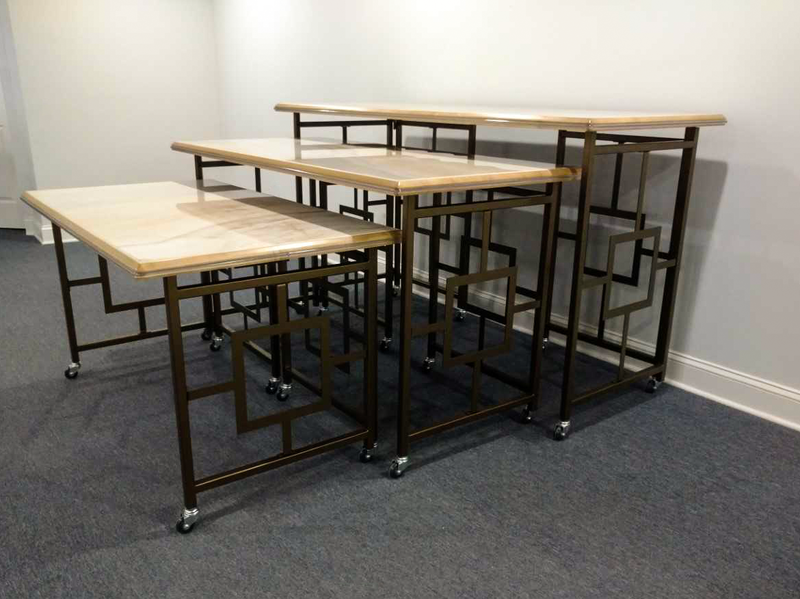 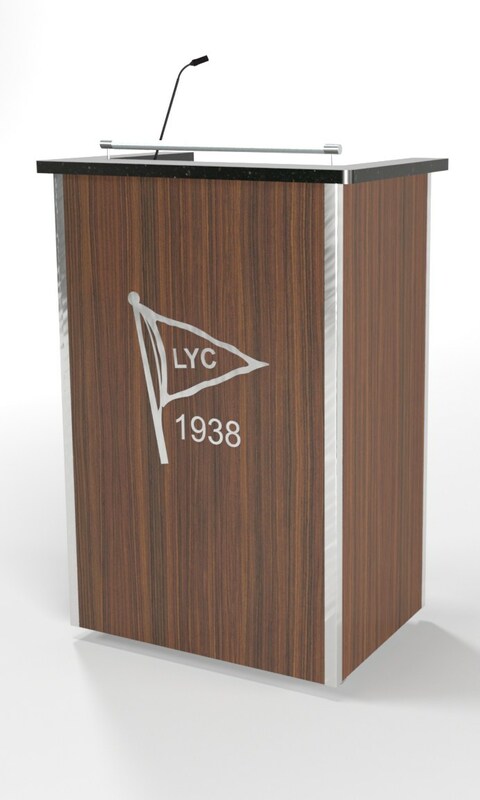 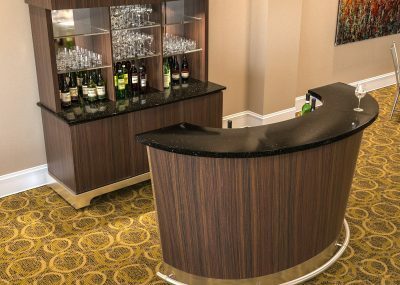 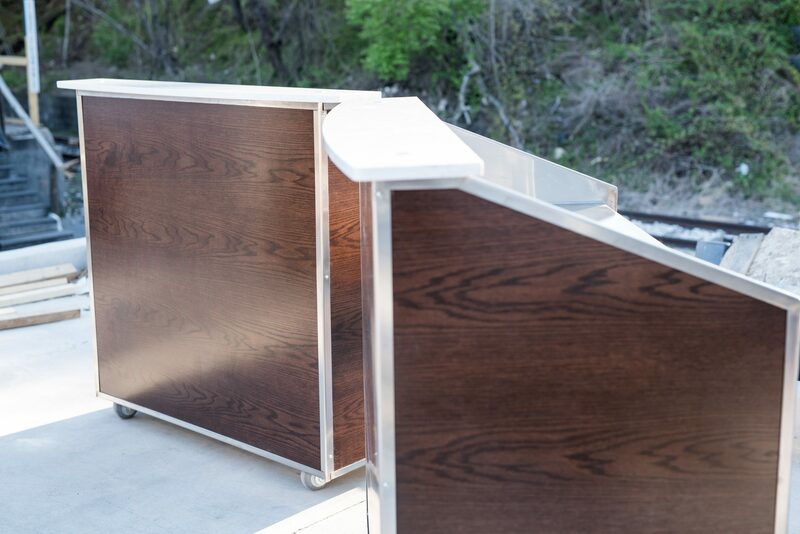 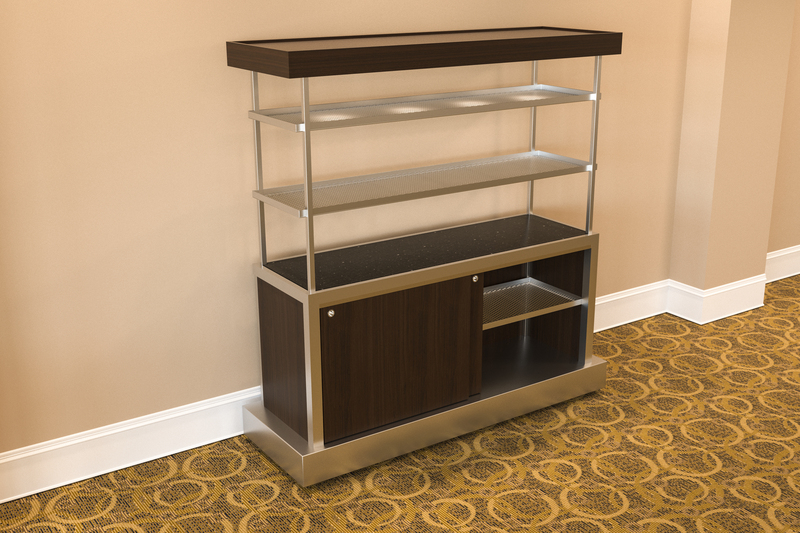 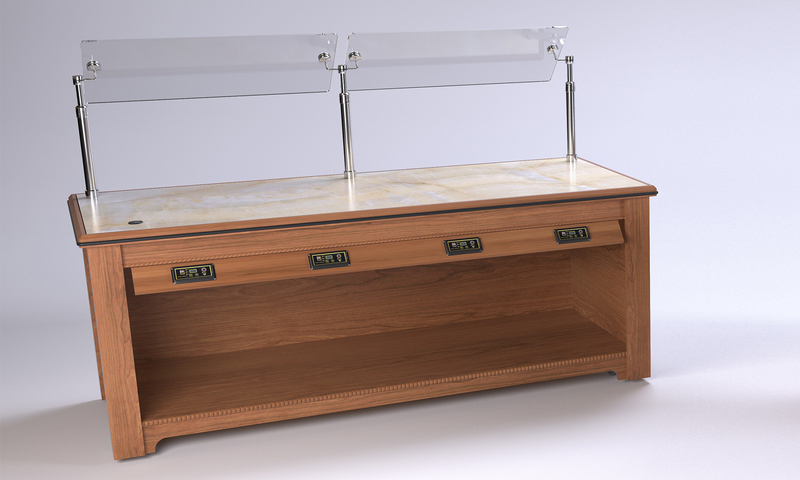 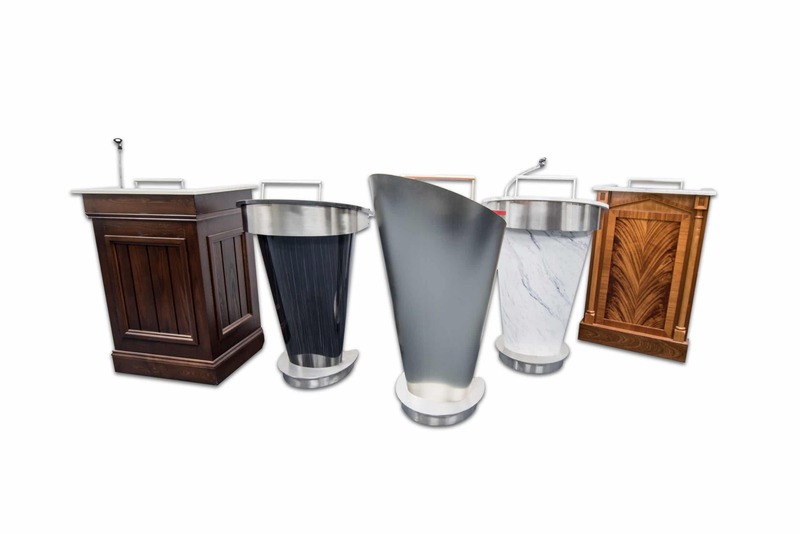 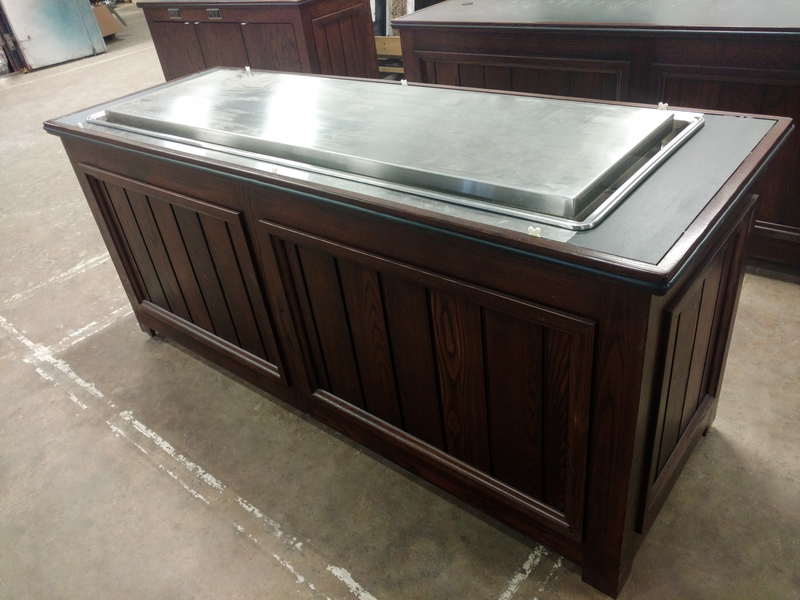 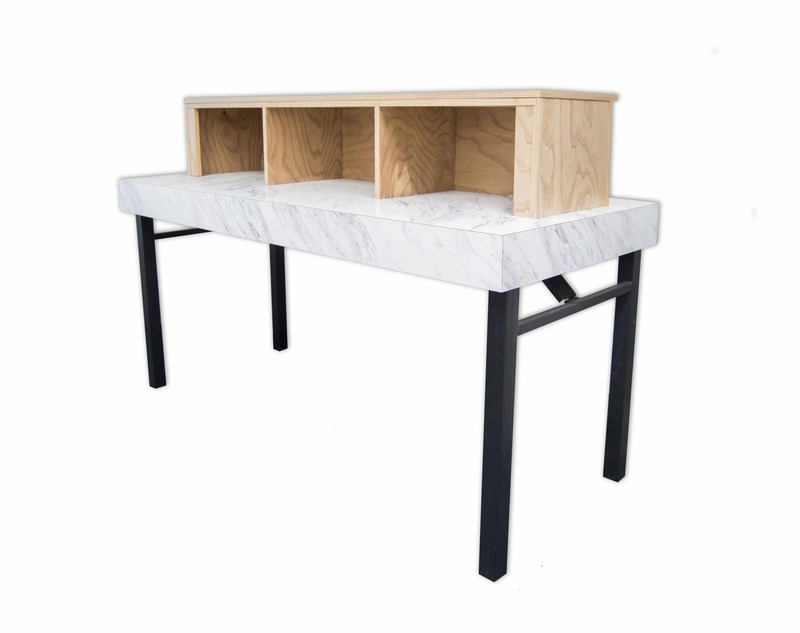 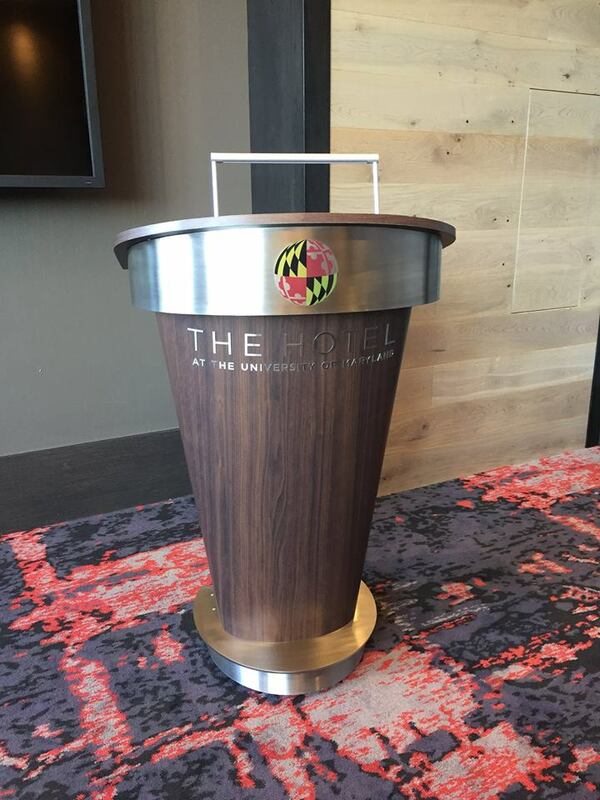 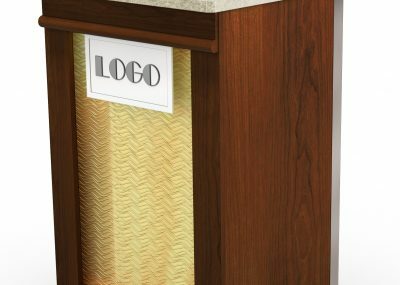 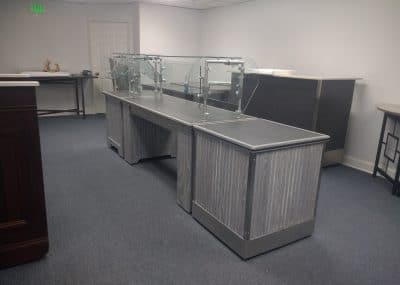 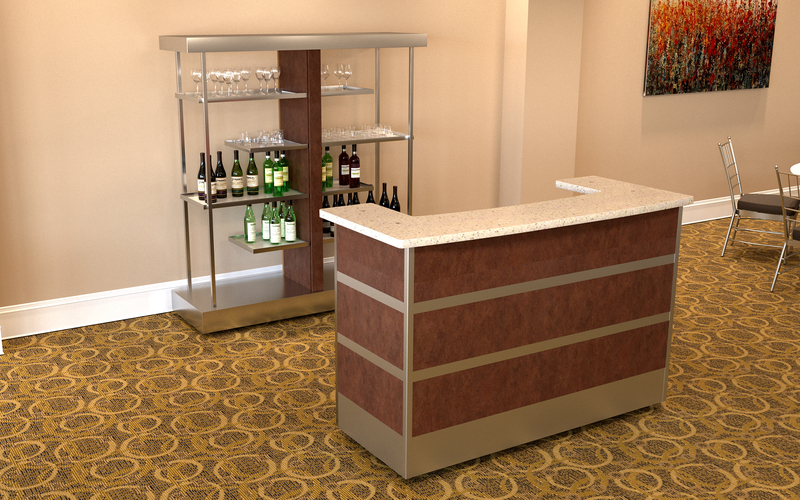 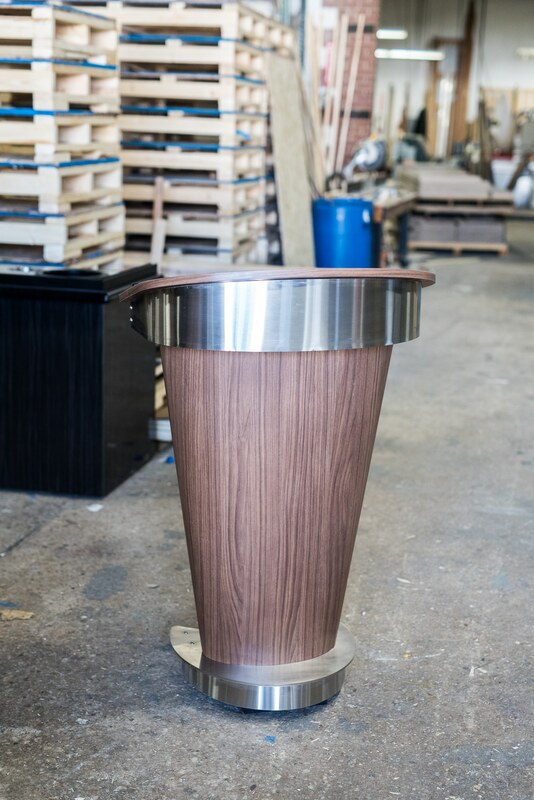 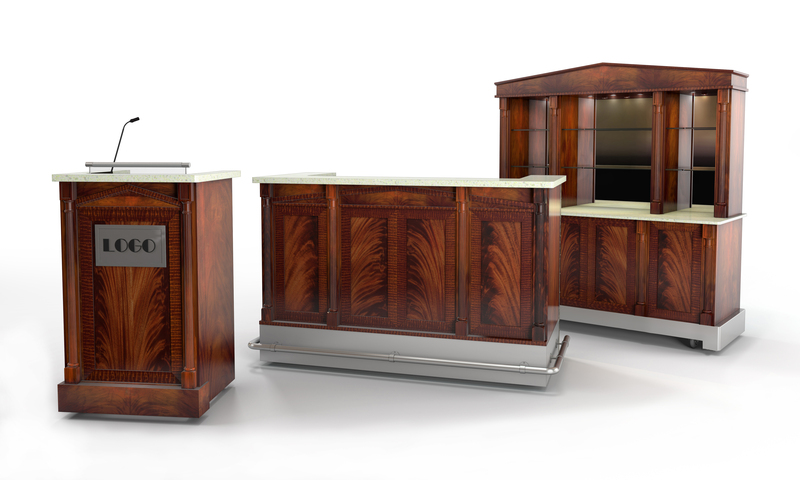 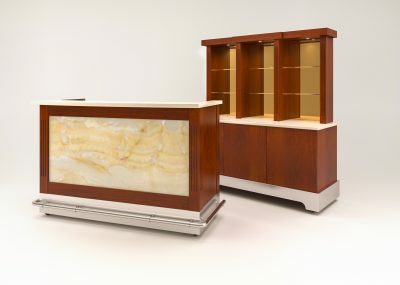 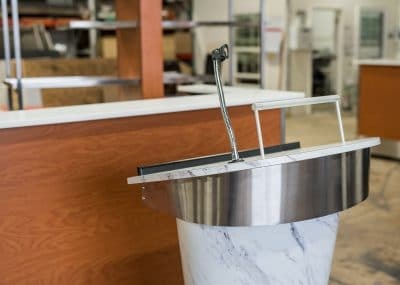 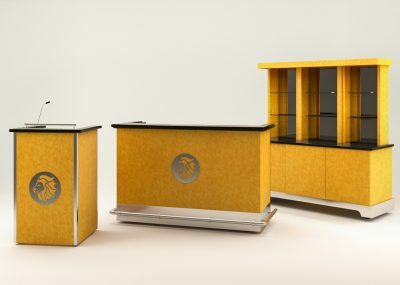 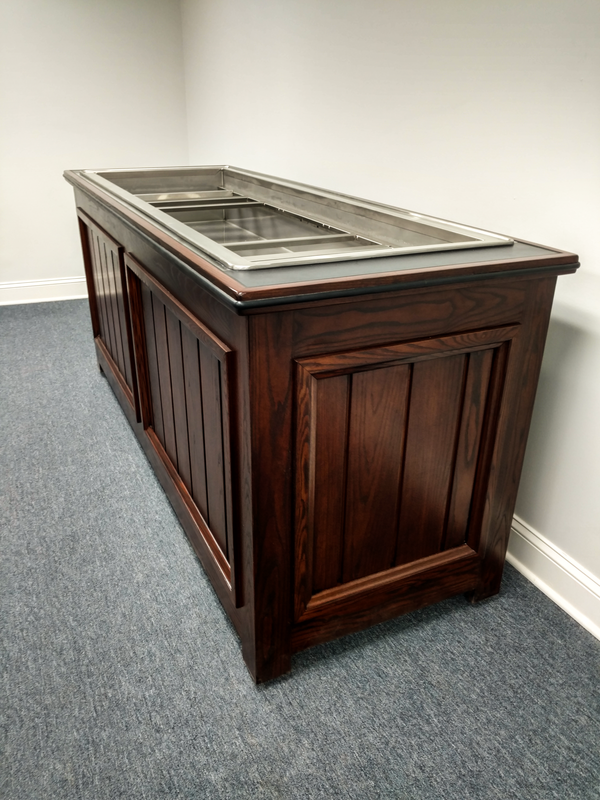 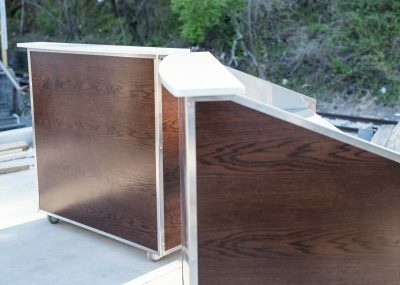 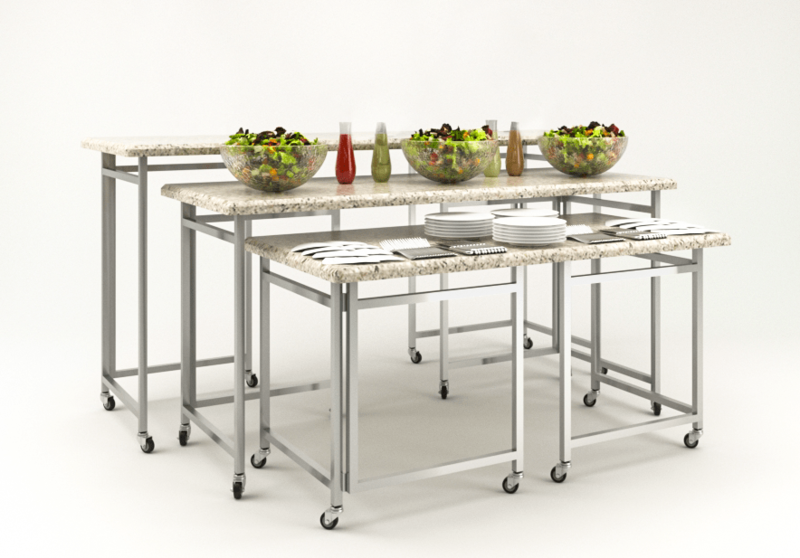 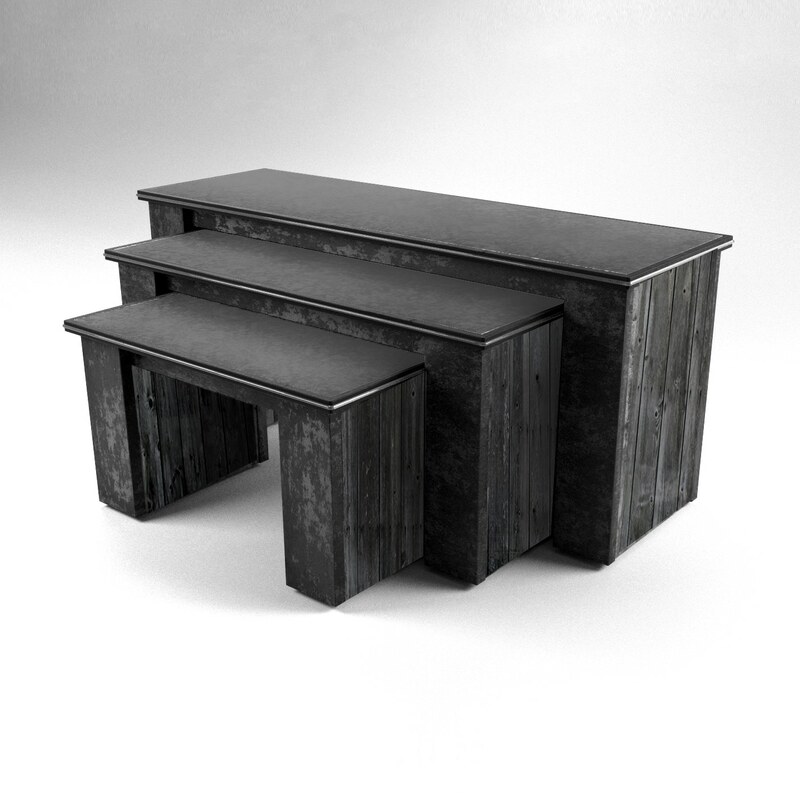 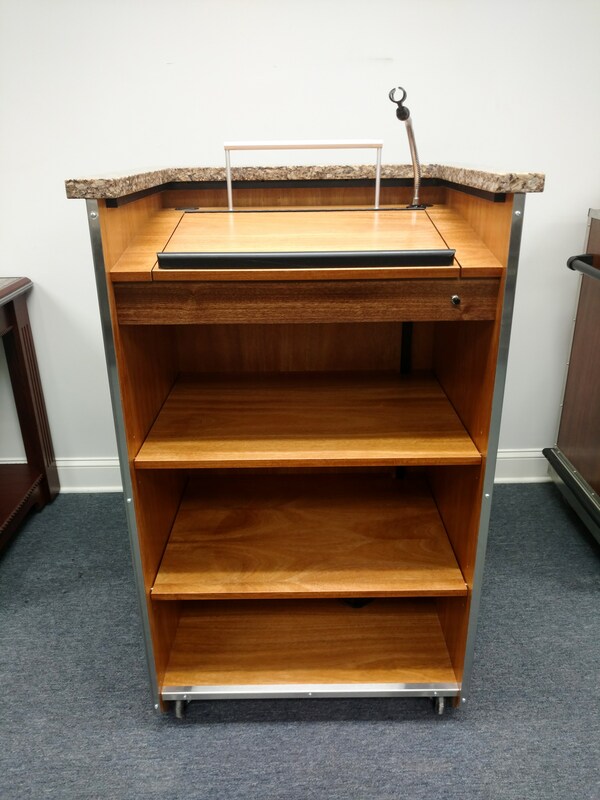 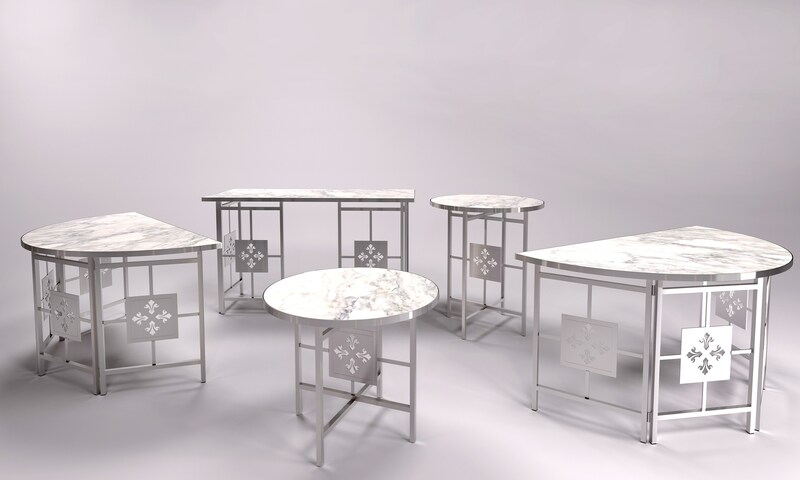 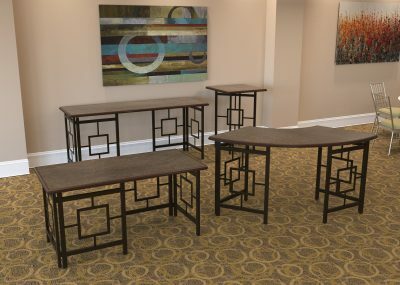 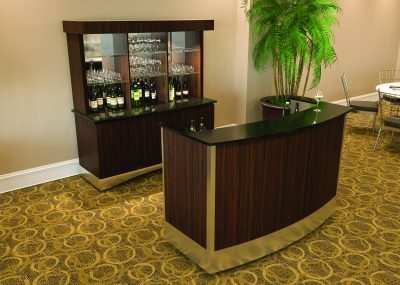 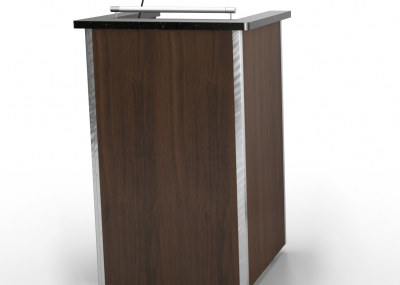 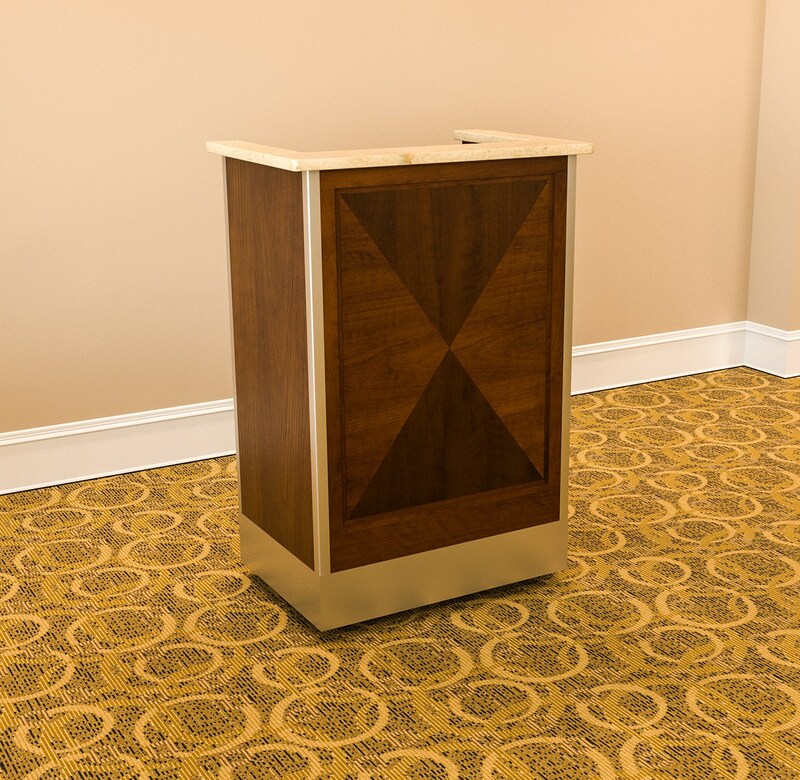 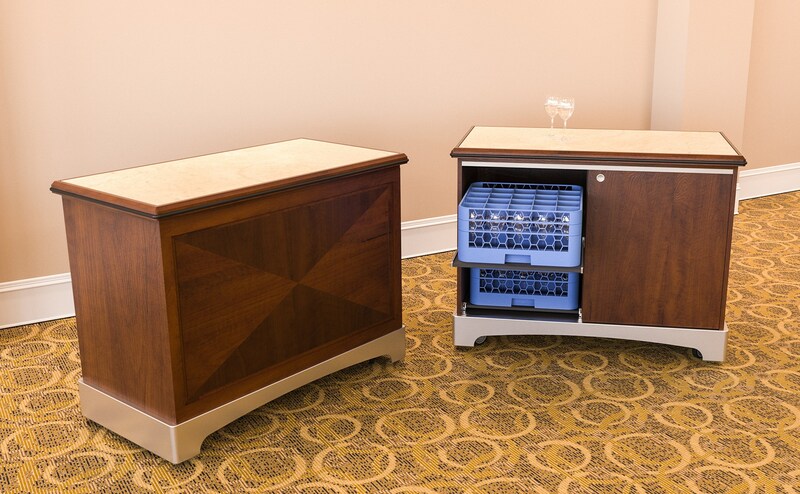 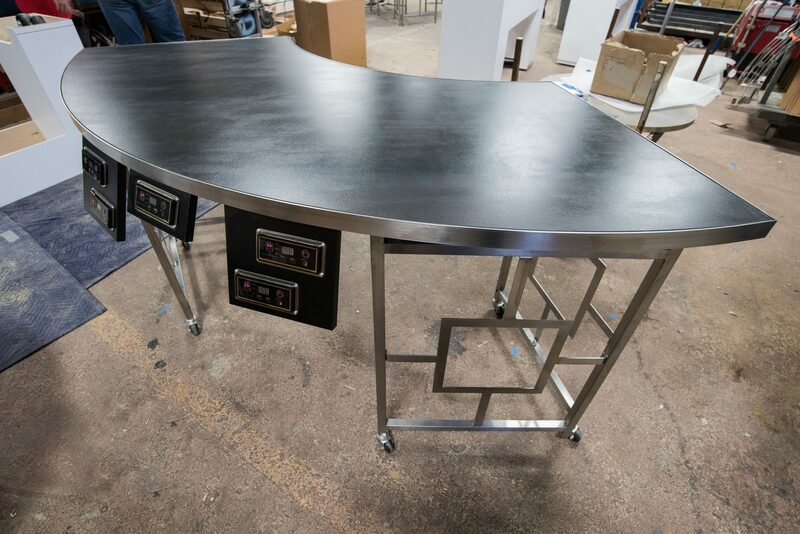 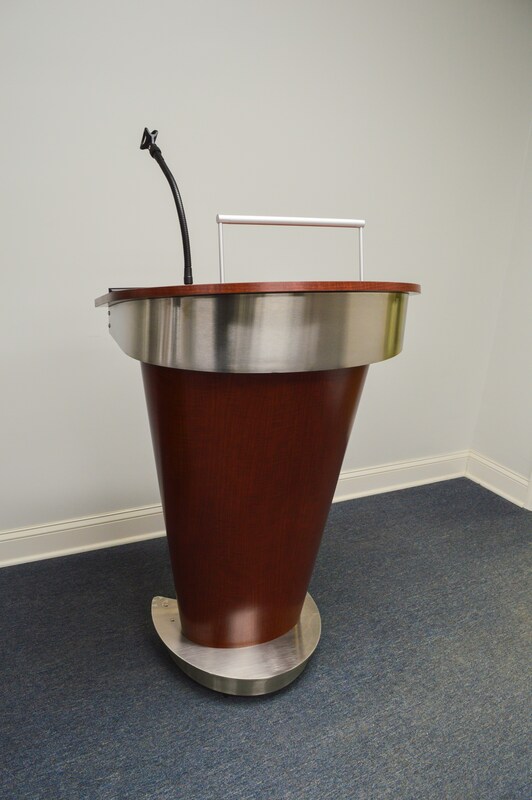 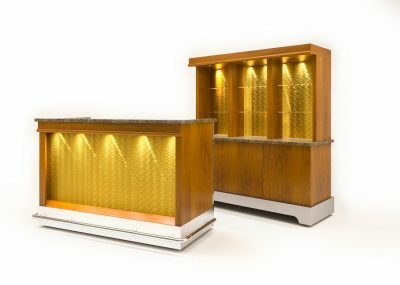 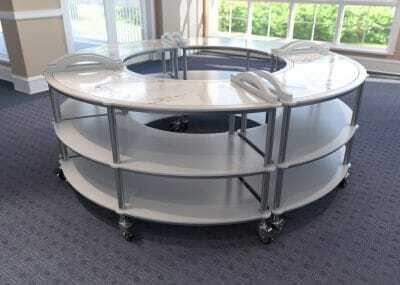 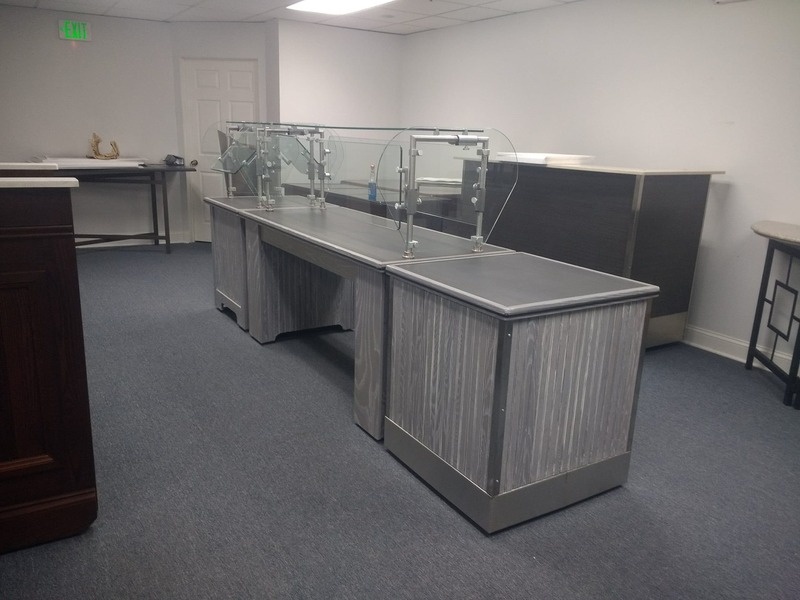 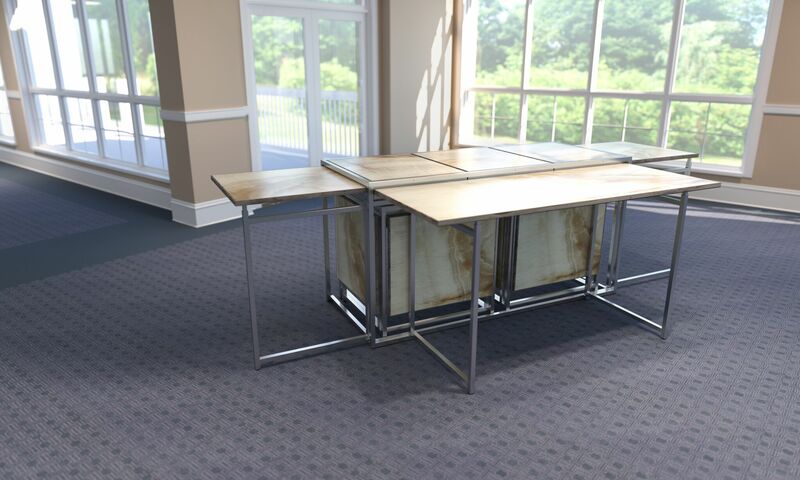 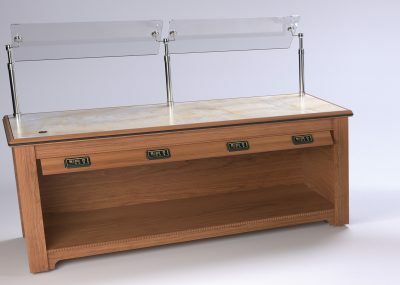 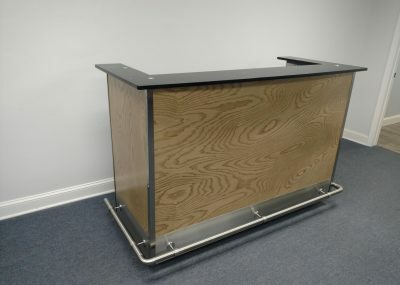 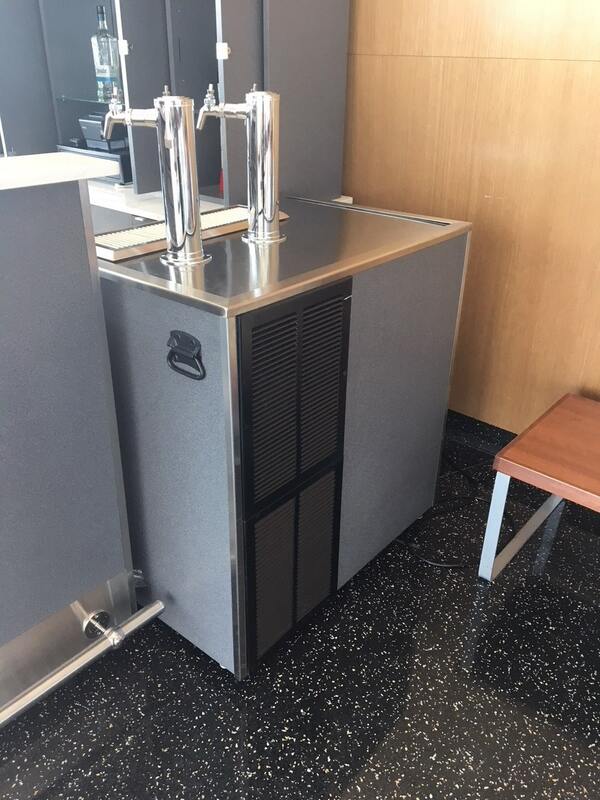 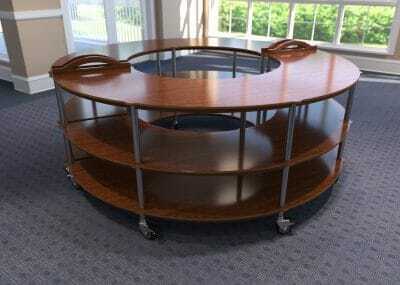 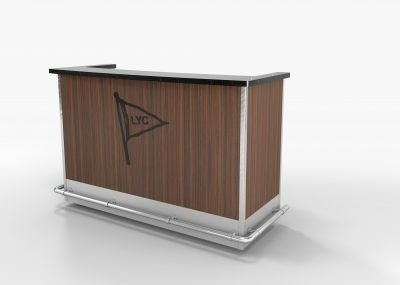 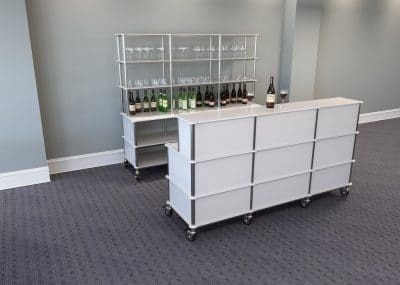 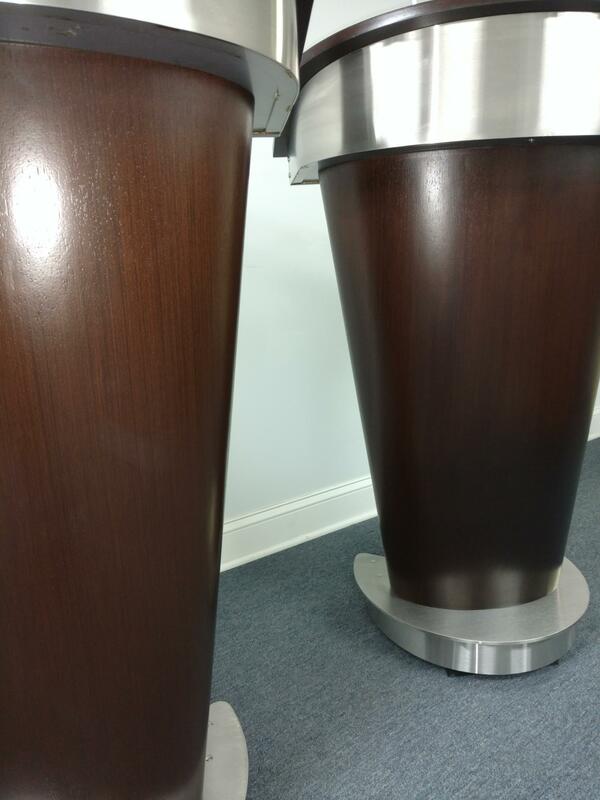 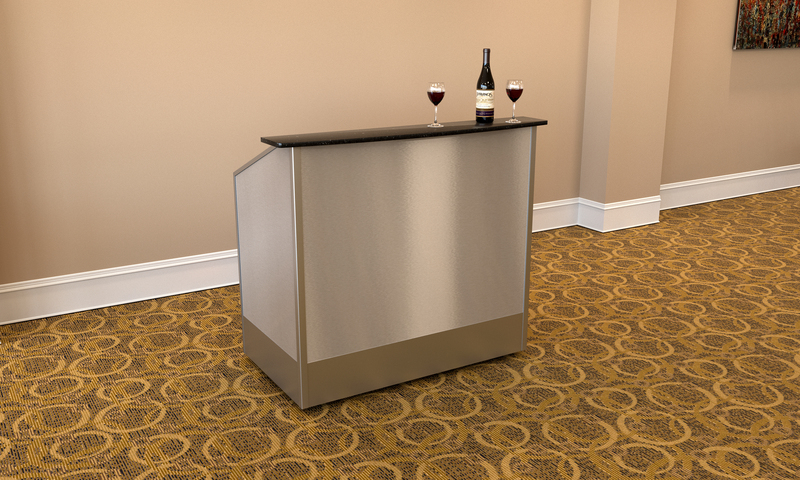 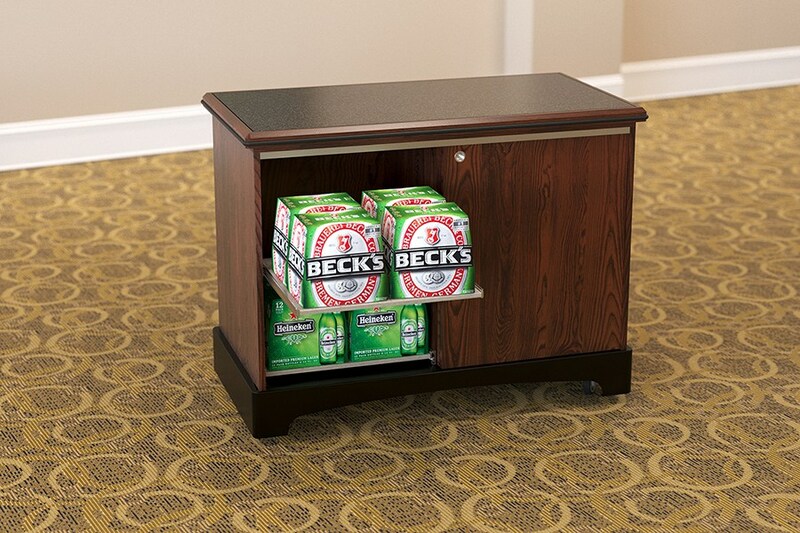 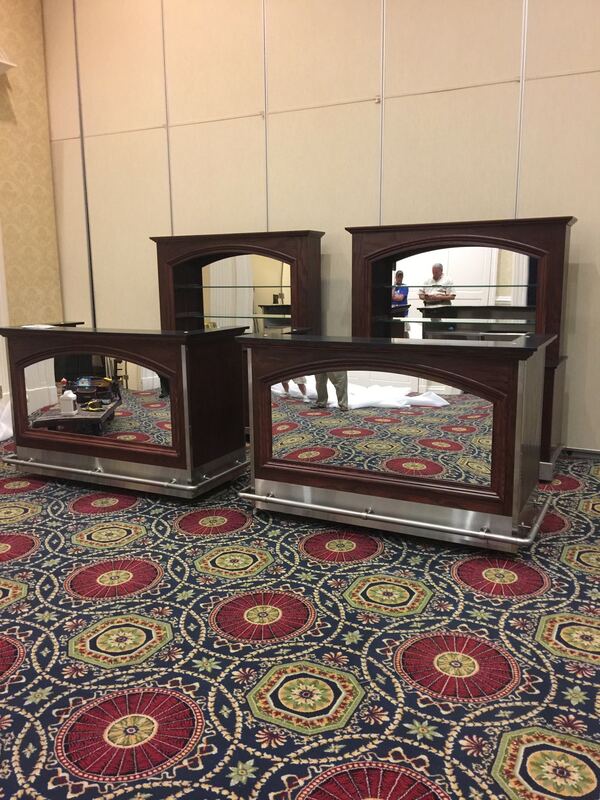 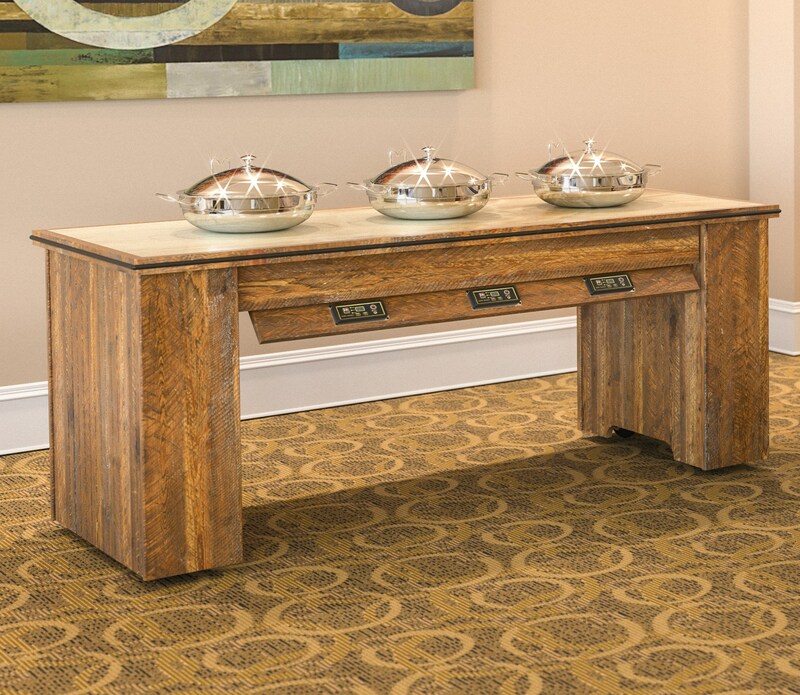 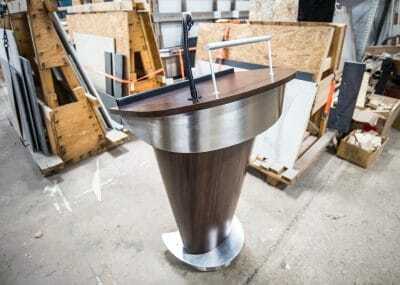 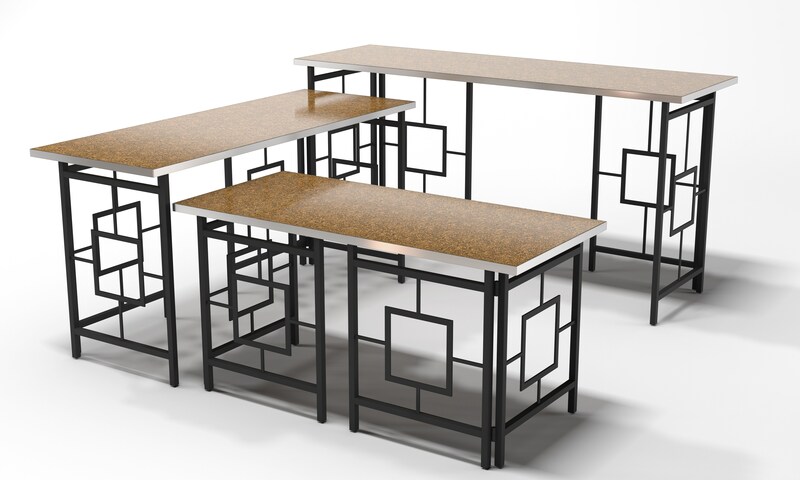 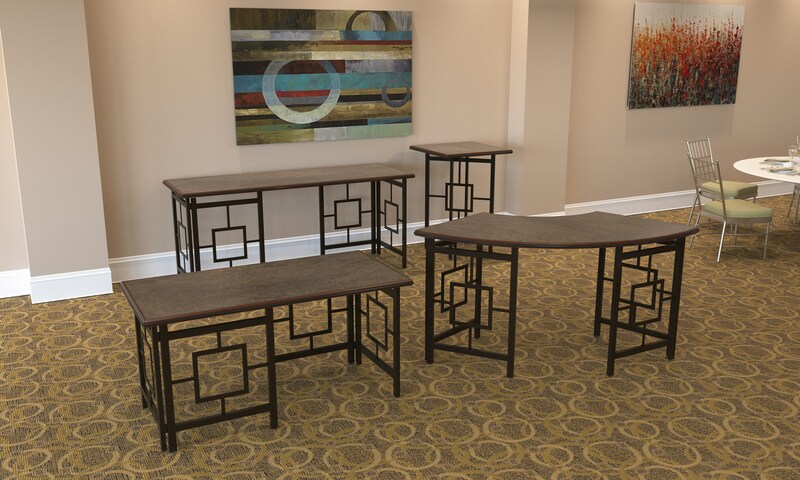 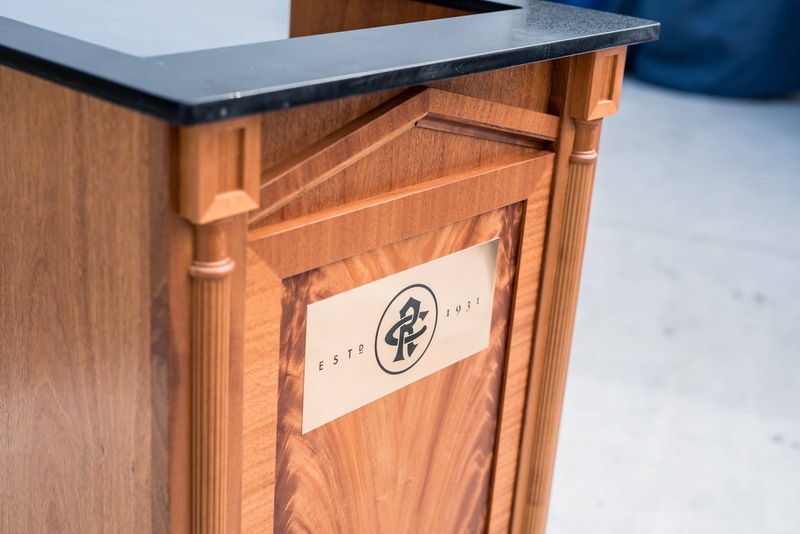 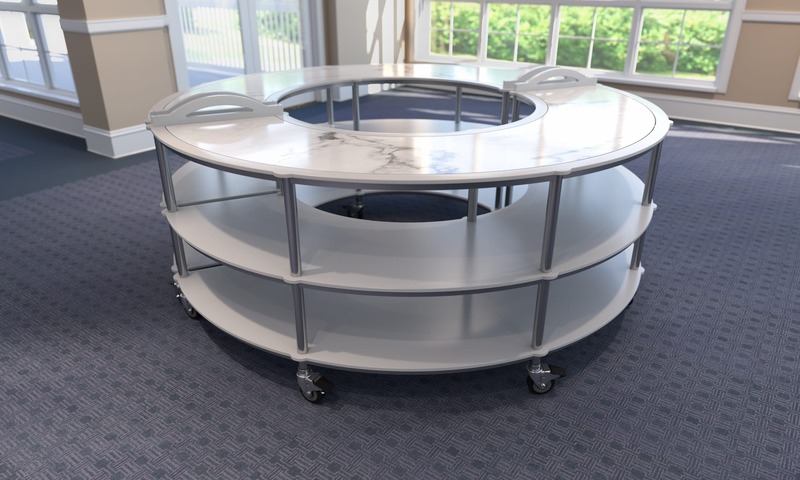 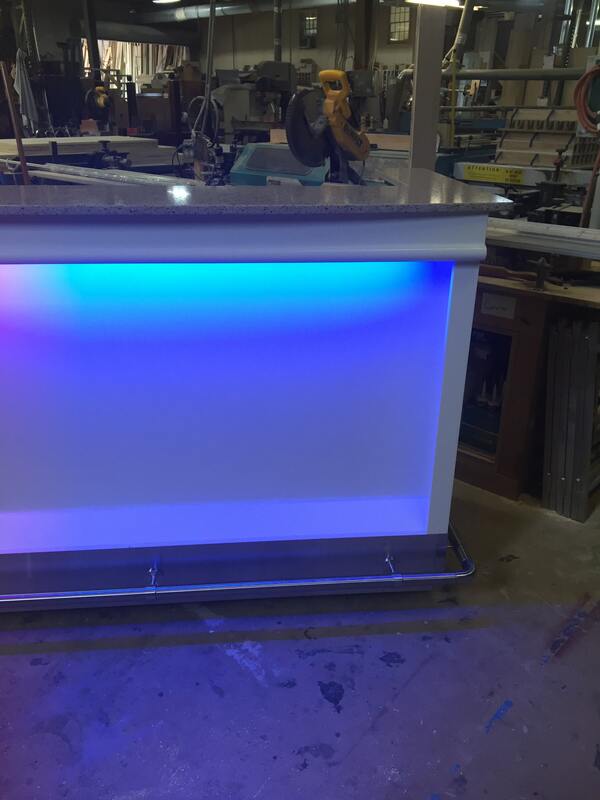 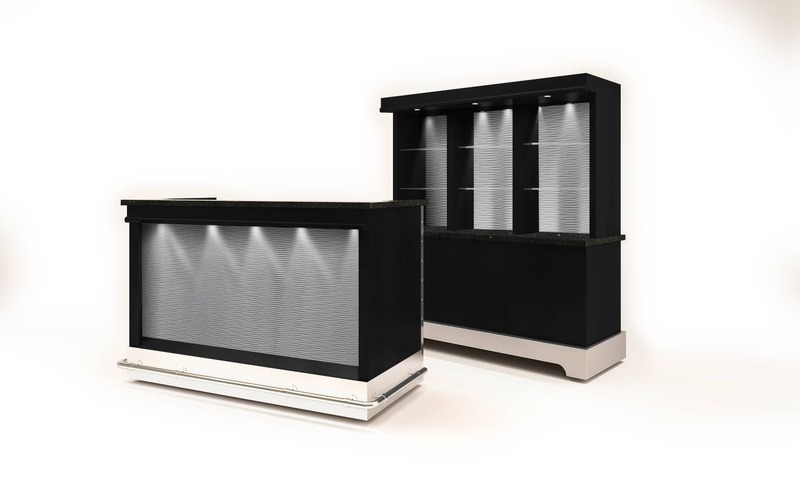 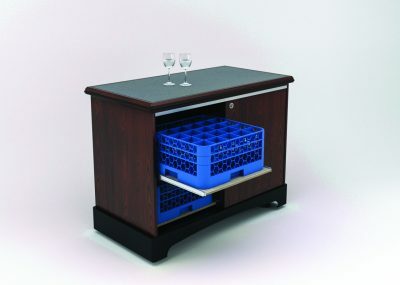 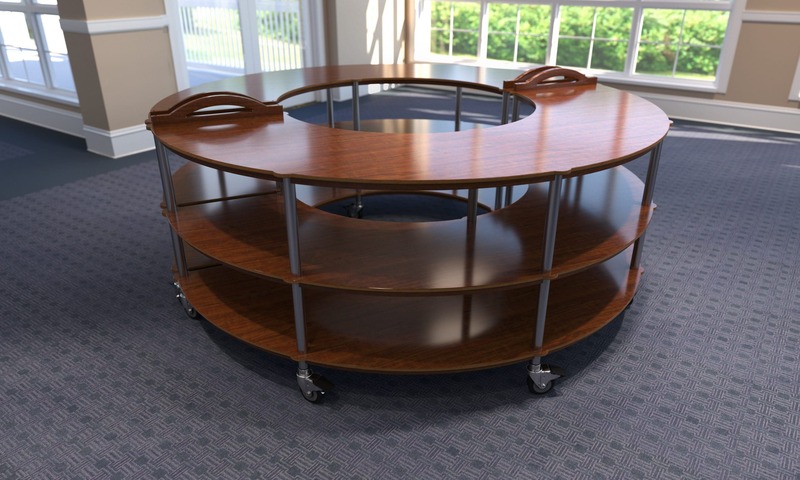 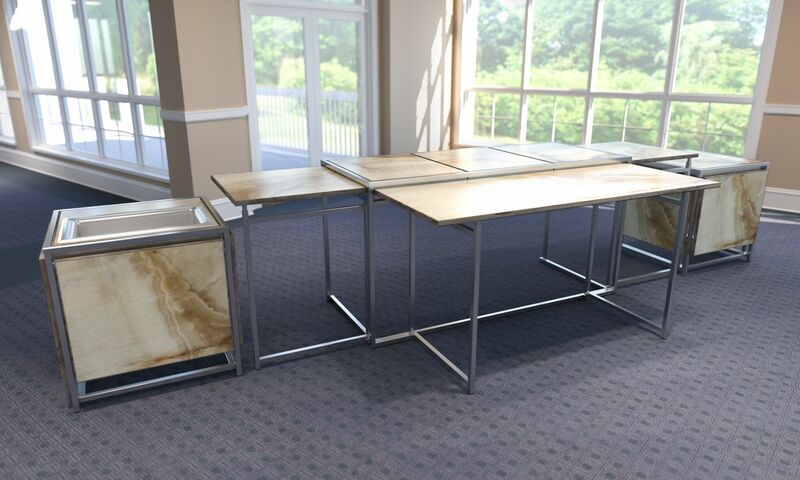 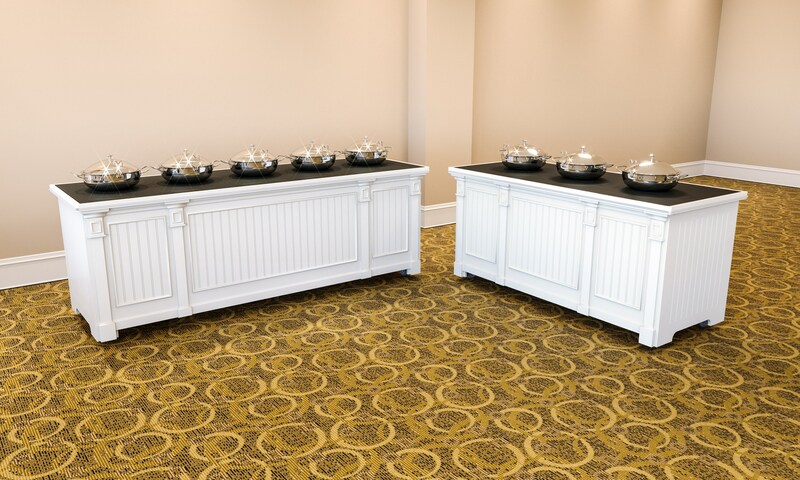 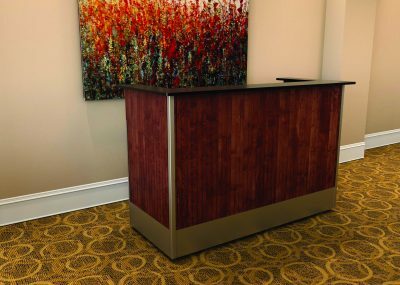 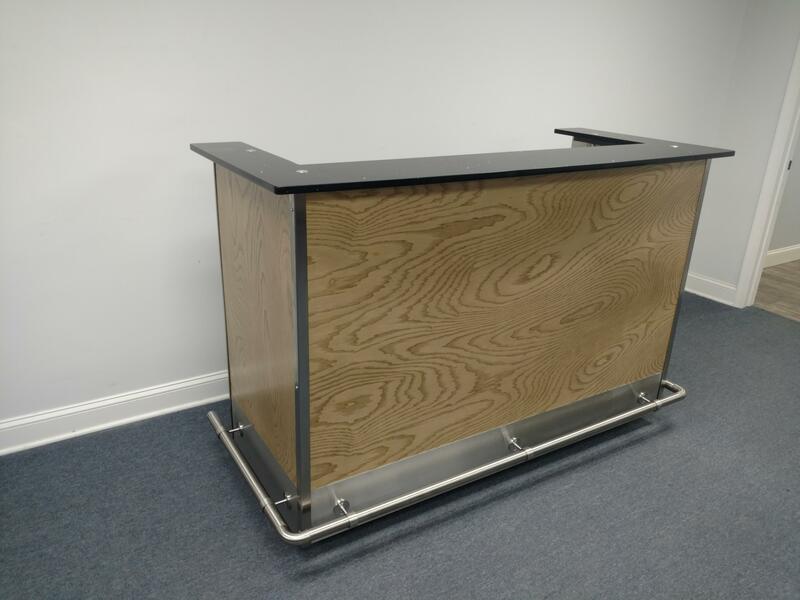 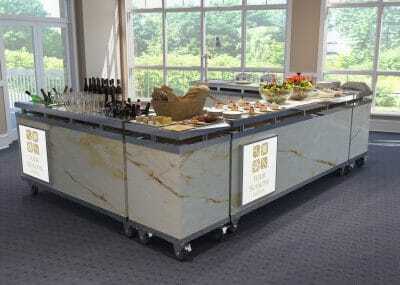 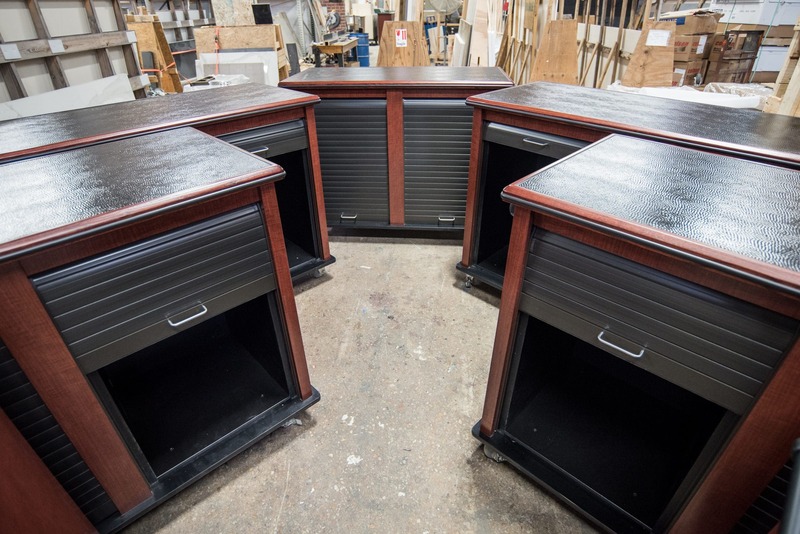 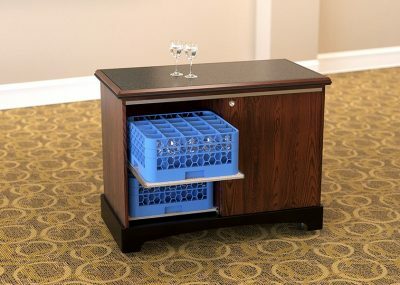 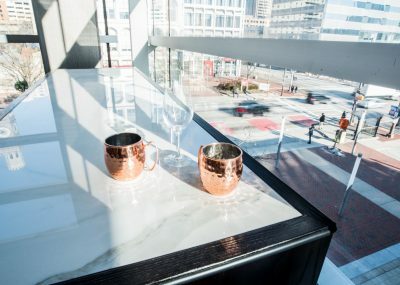 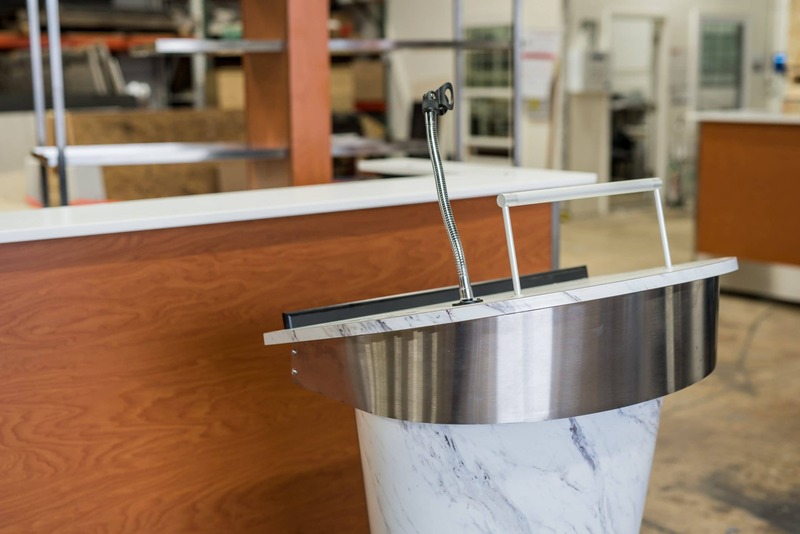 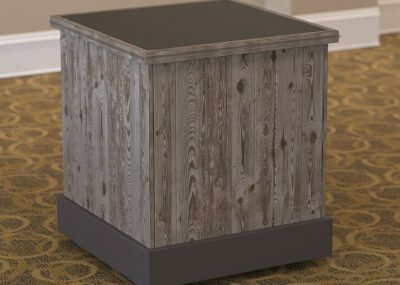 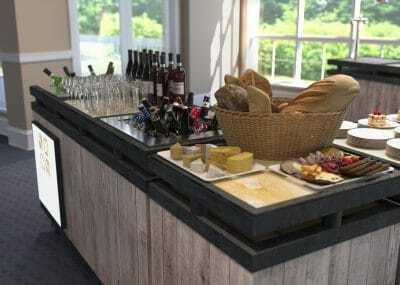 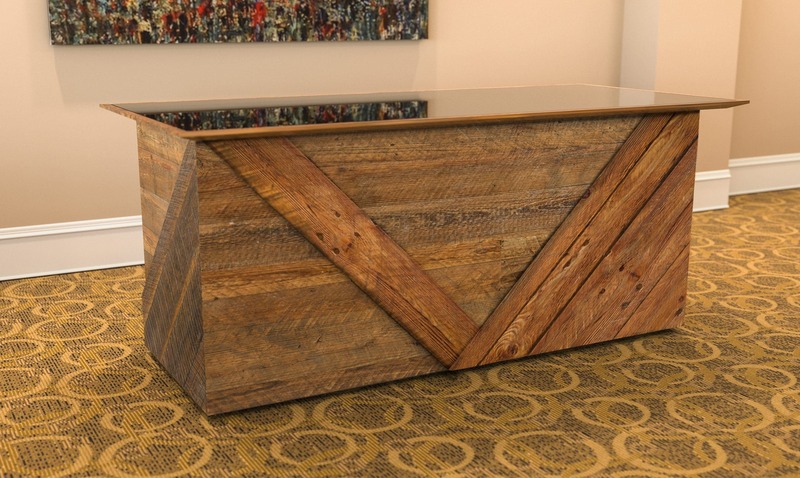 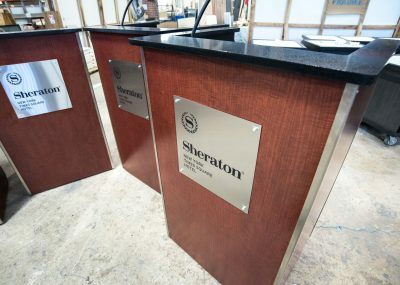 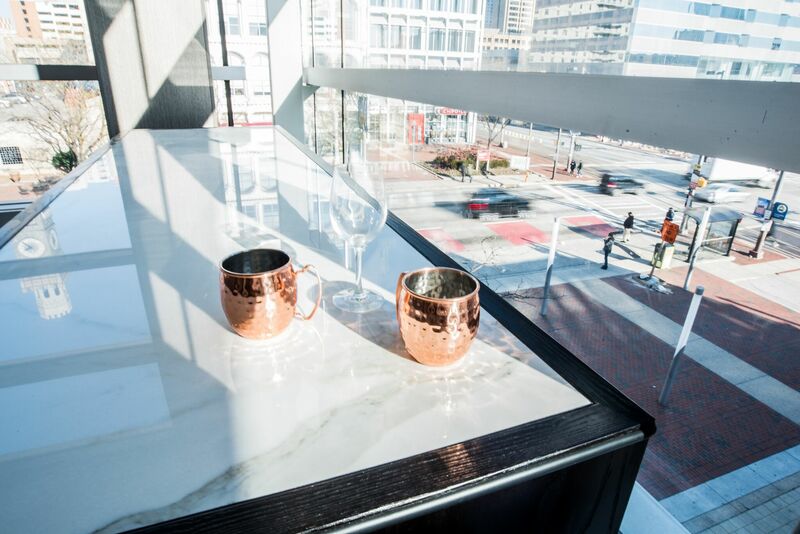 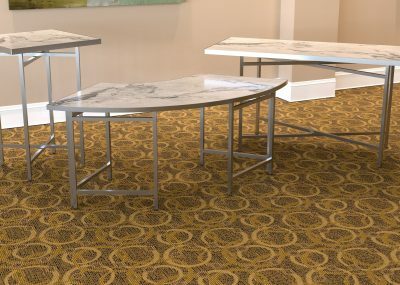 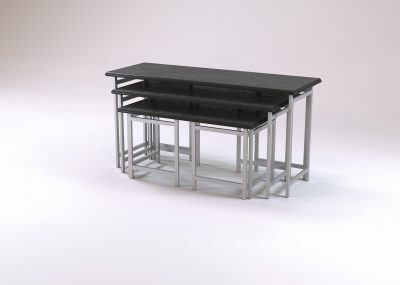 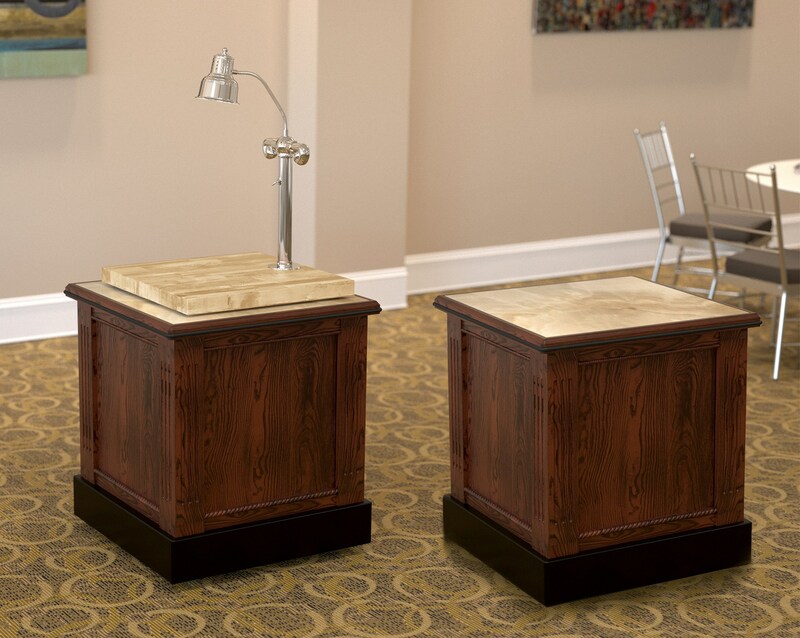 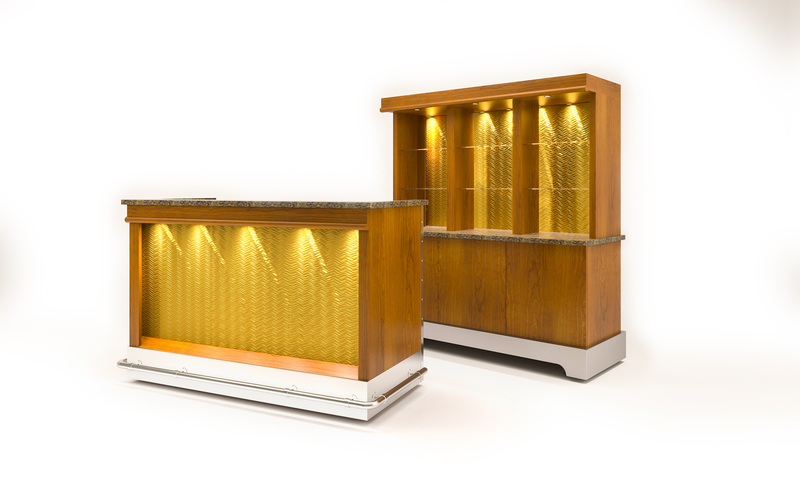 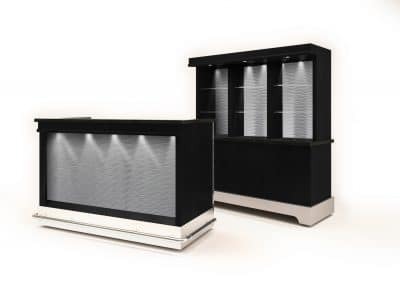 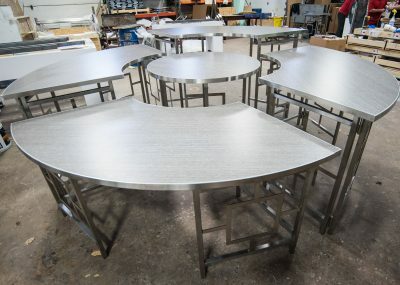 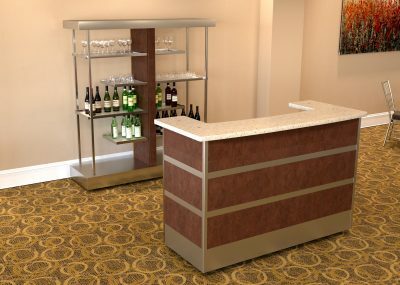 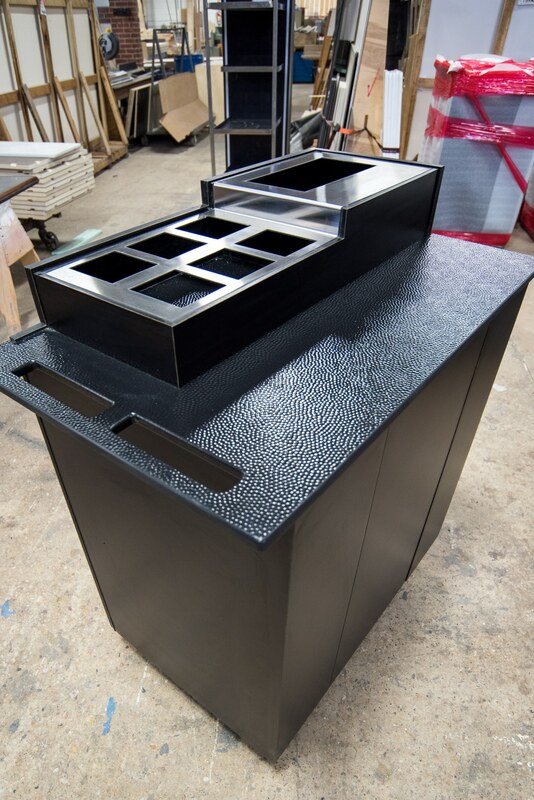 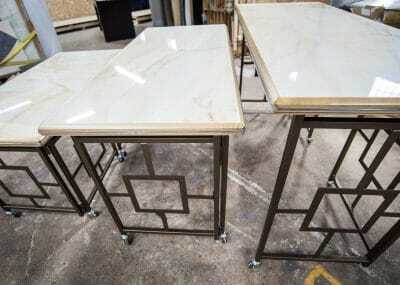 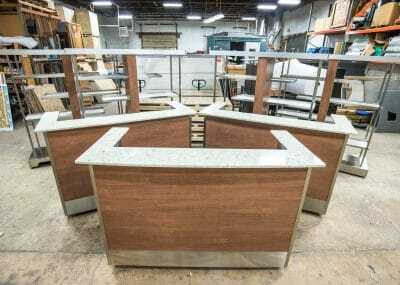 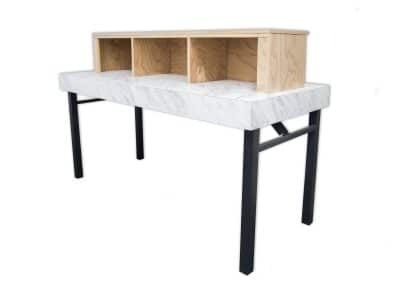 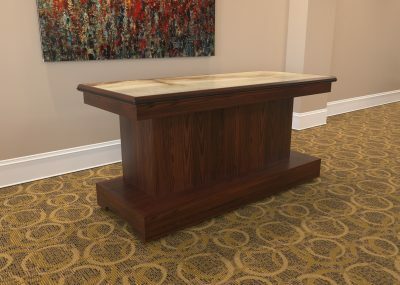 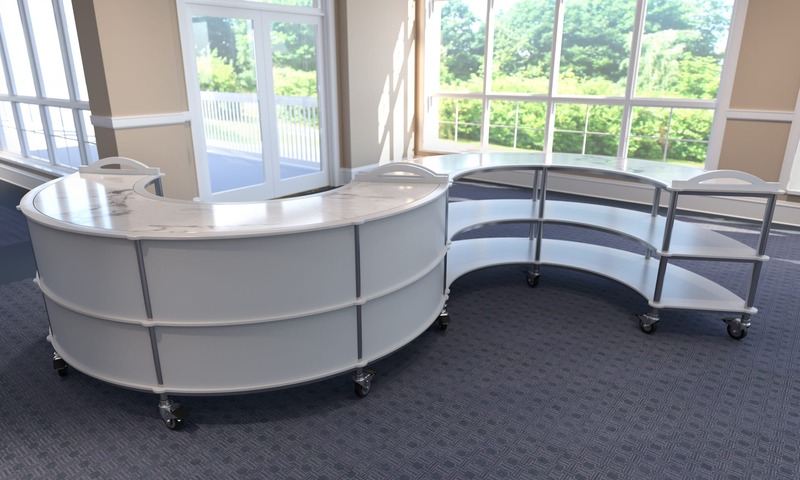 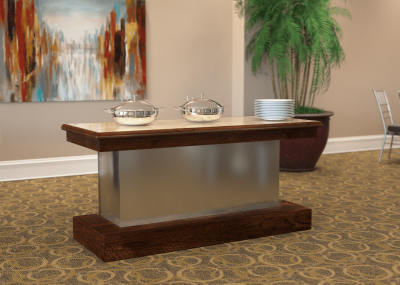 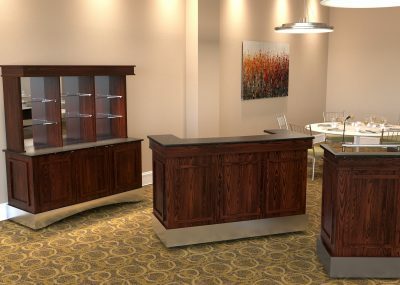 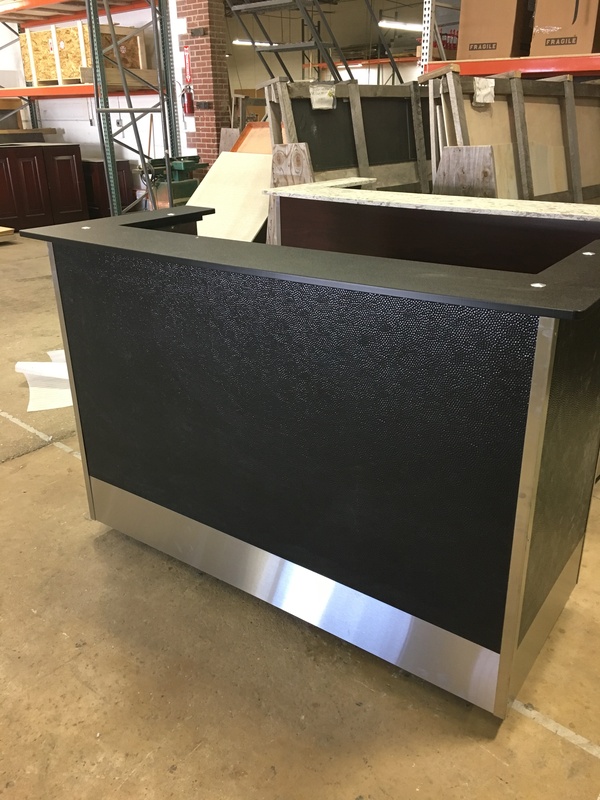 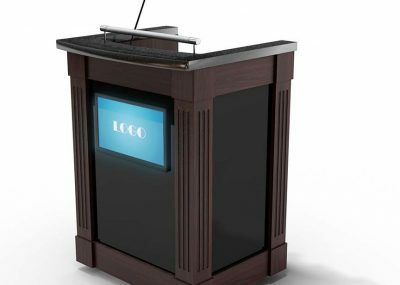 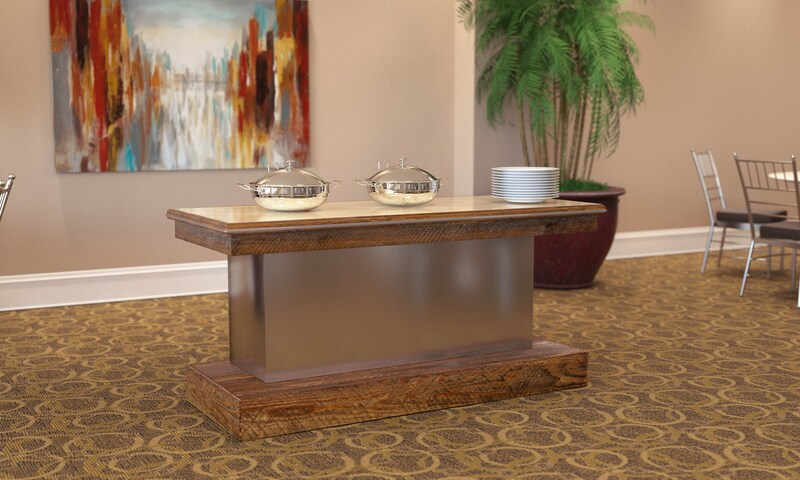 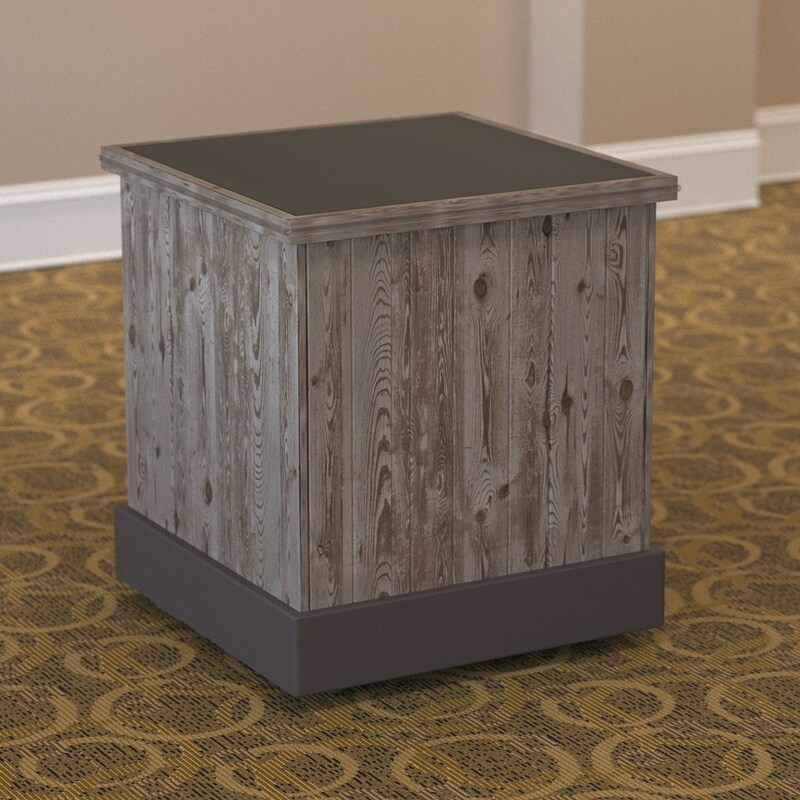 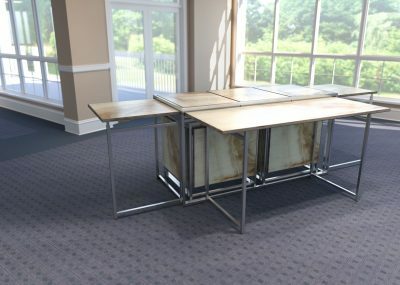 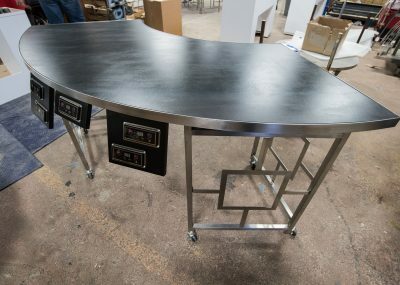 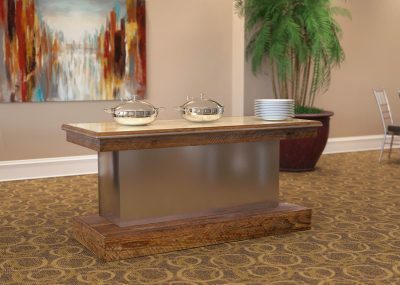 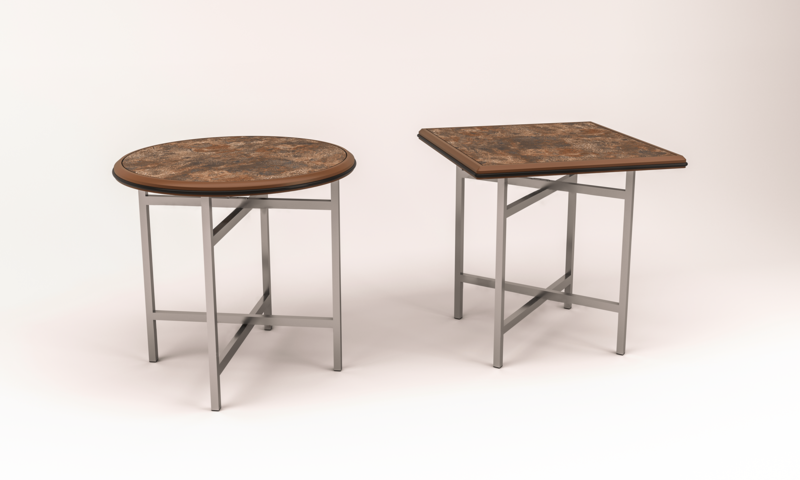 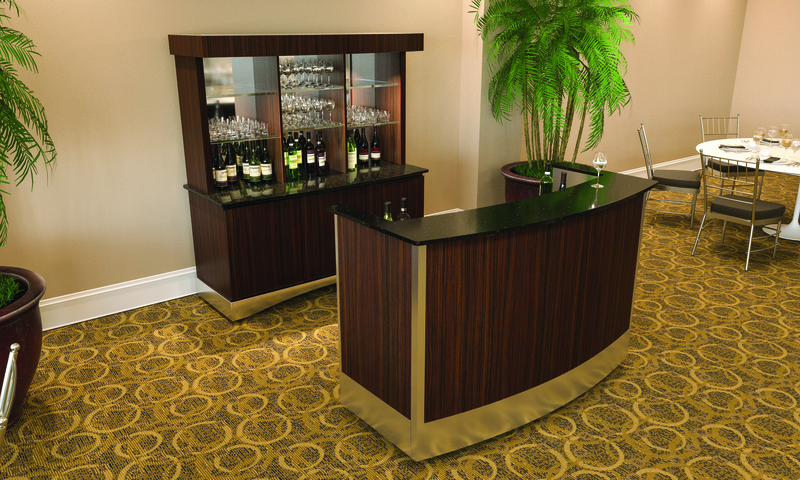 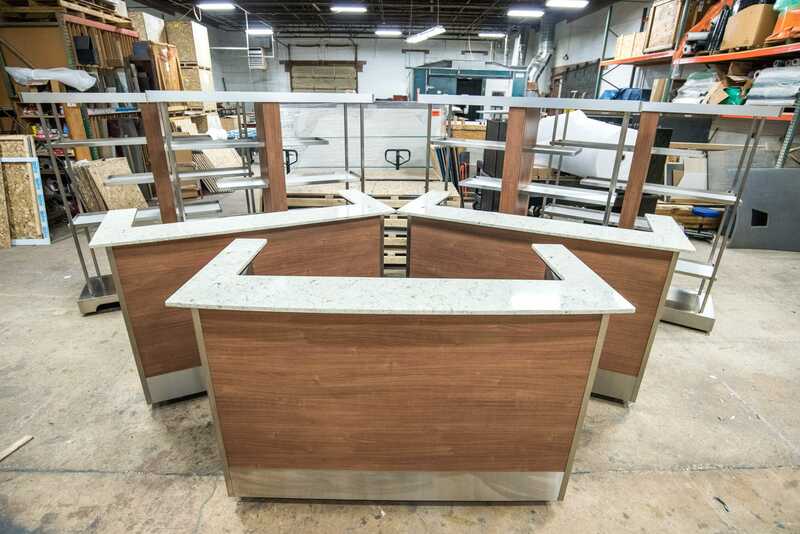 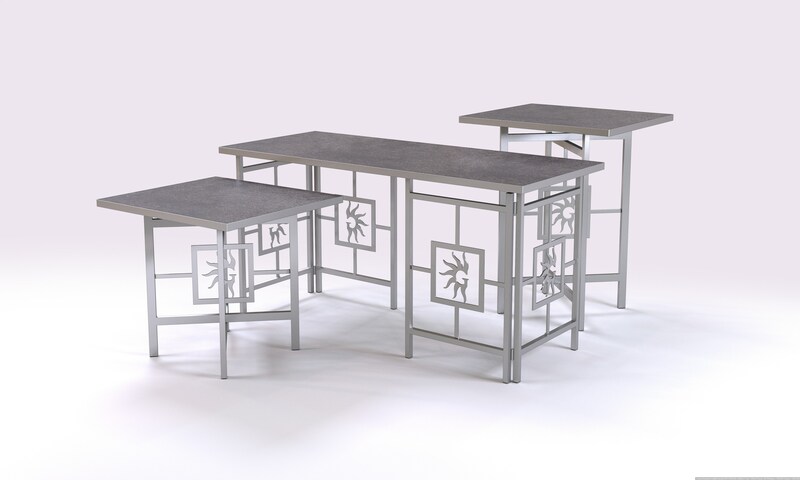 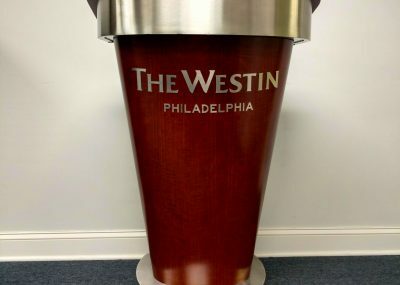 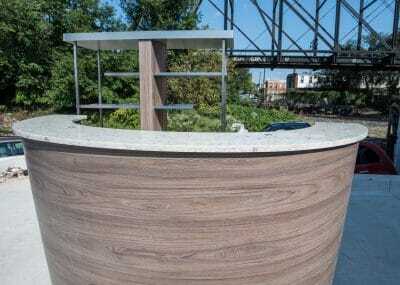 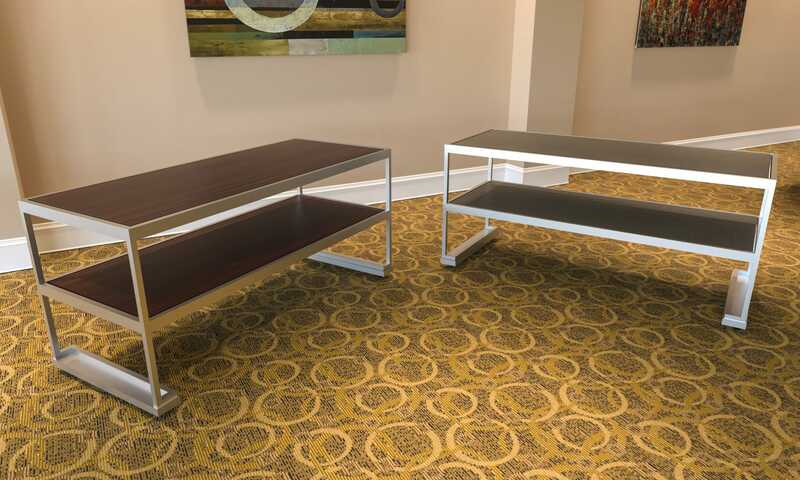 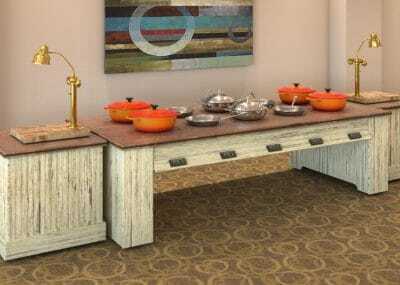 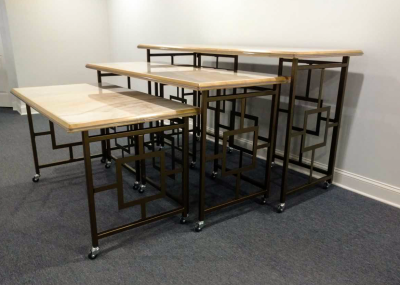 Complete you bar suite with a matching podium. 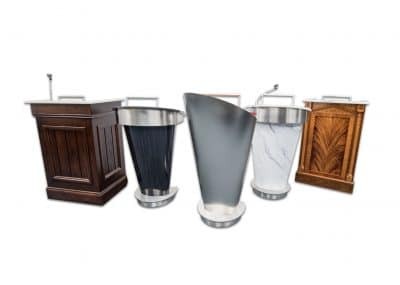 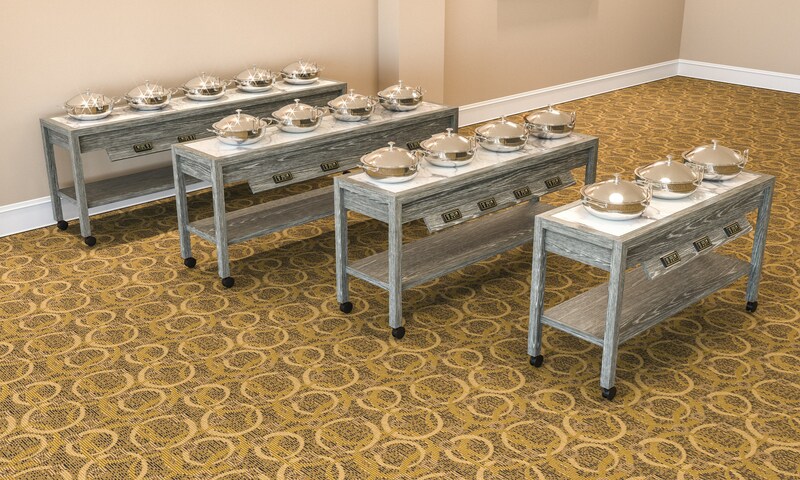 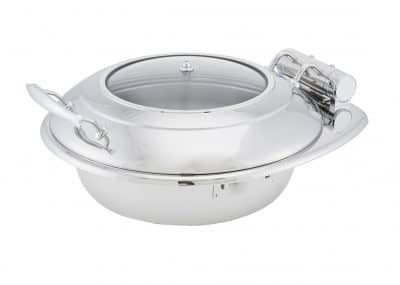 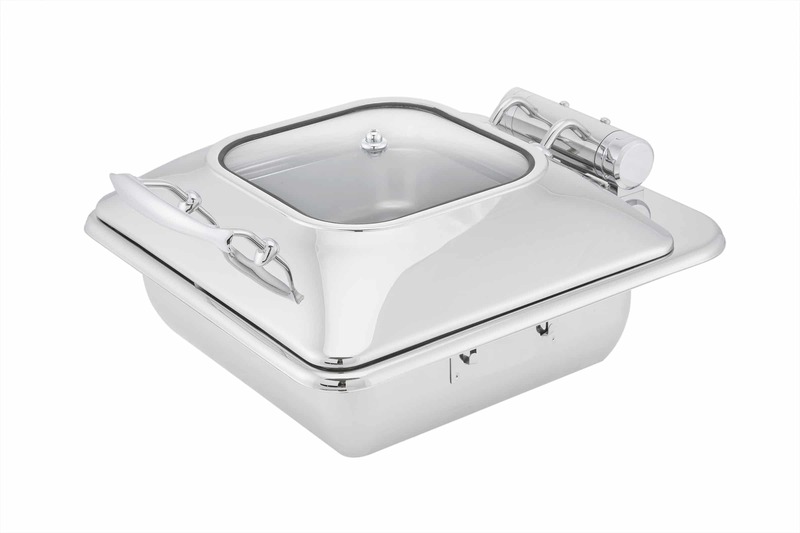 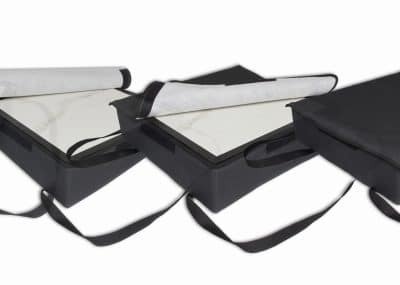 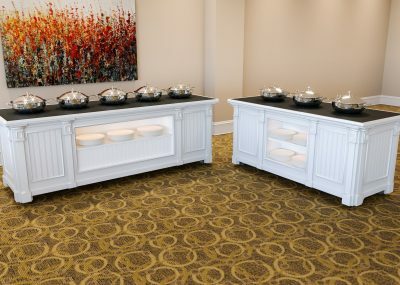 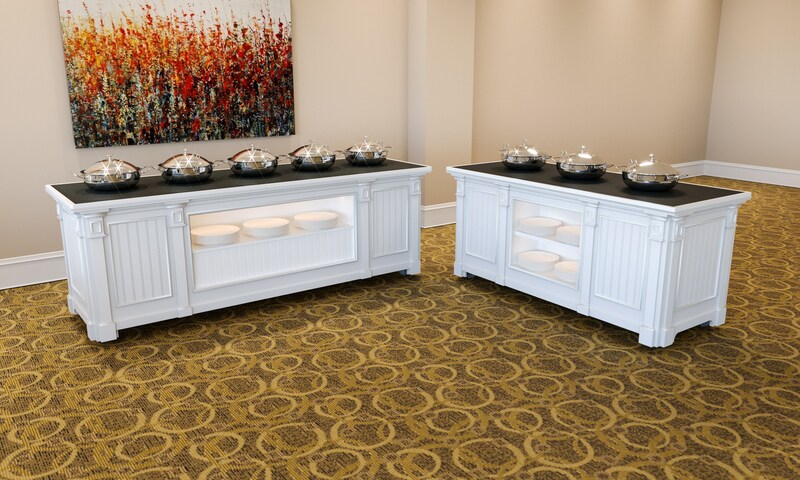 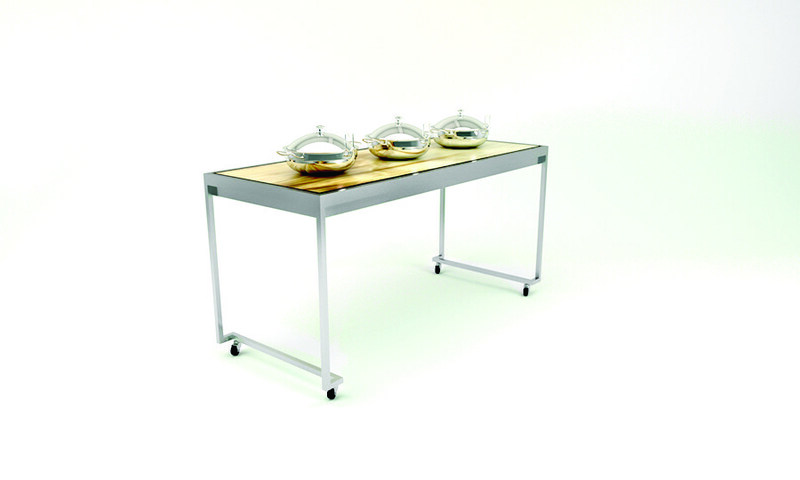 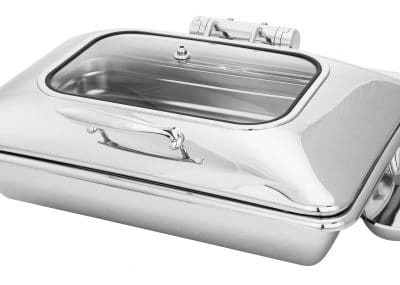 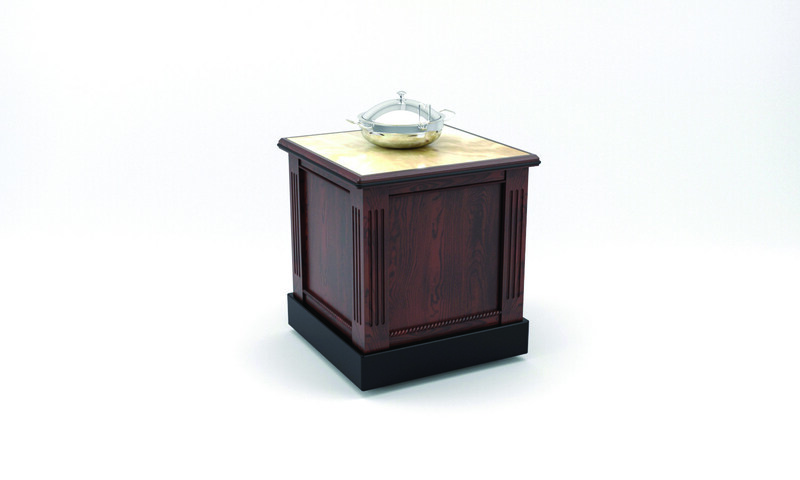 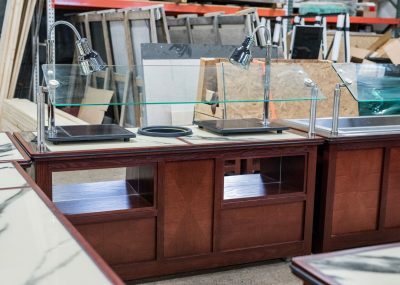 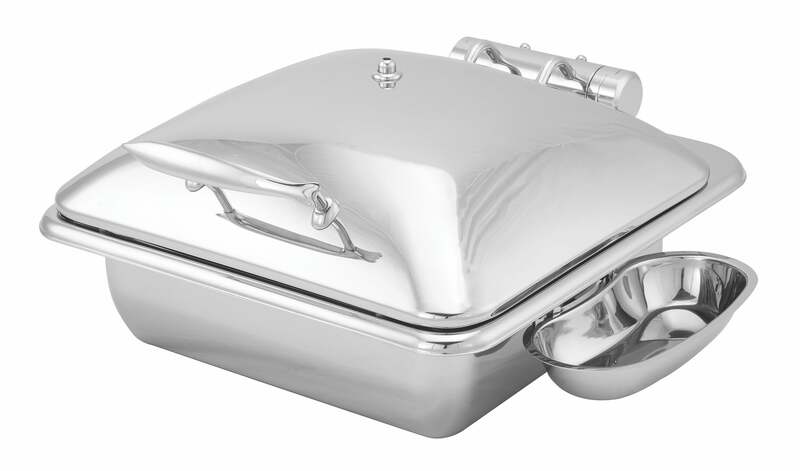 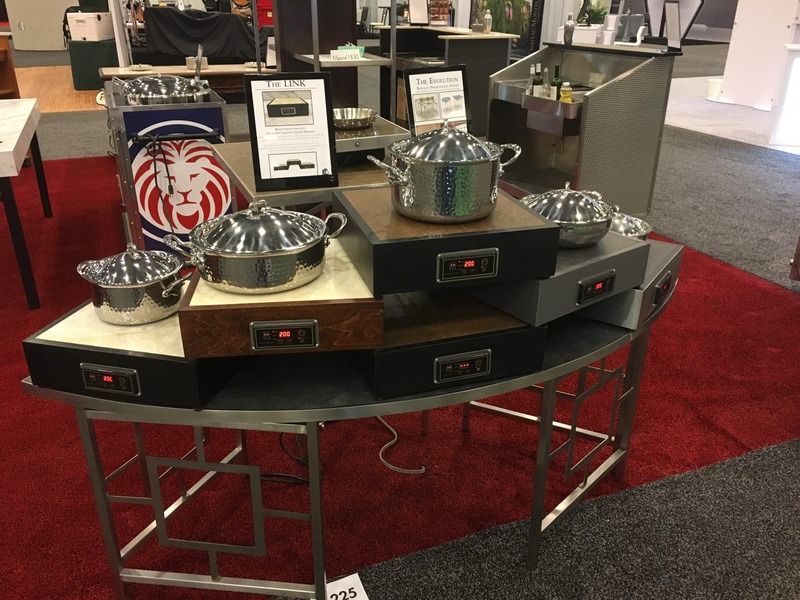 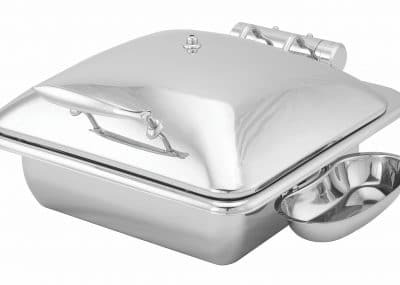 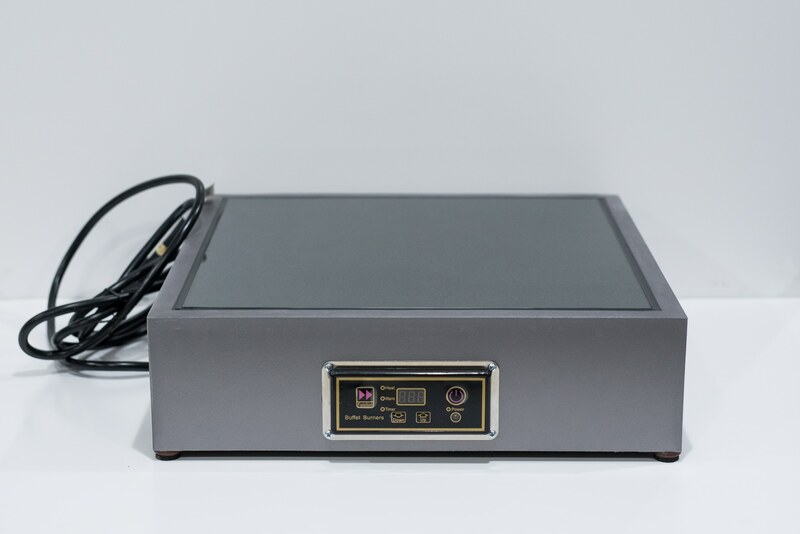 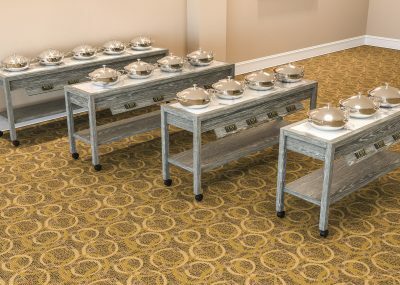 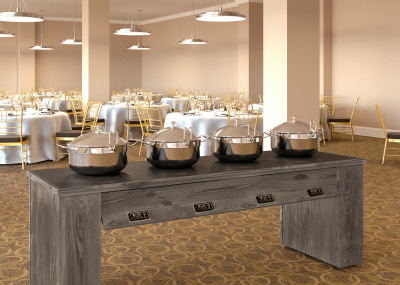 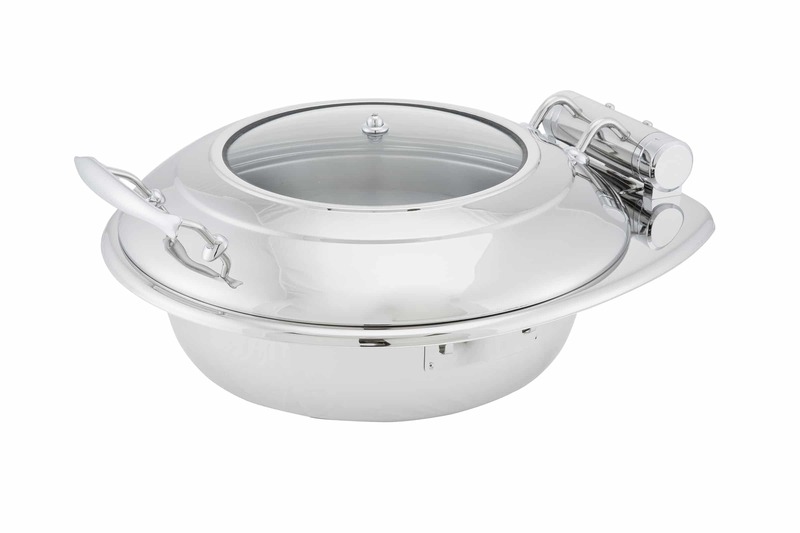 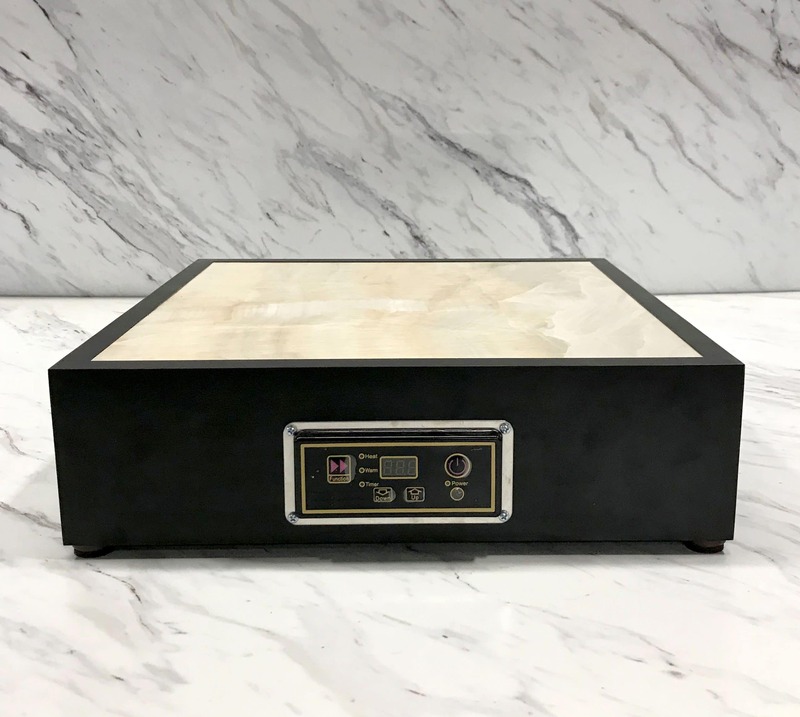 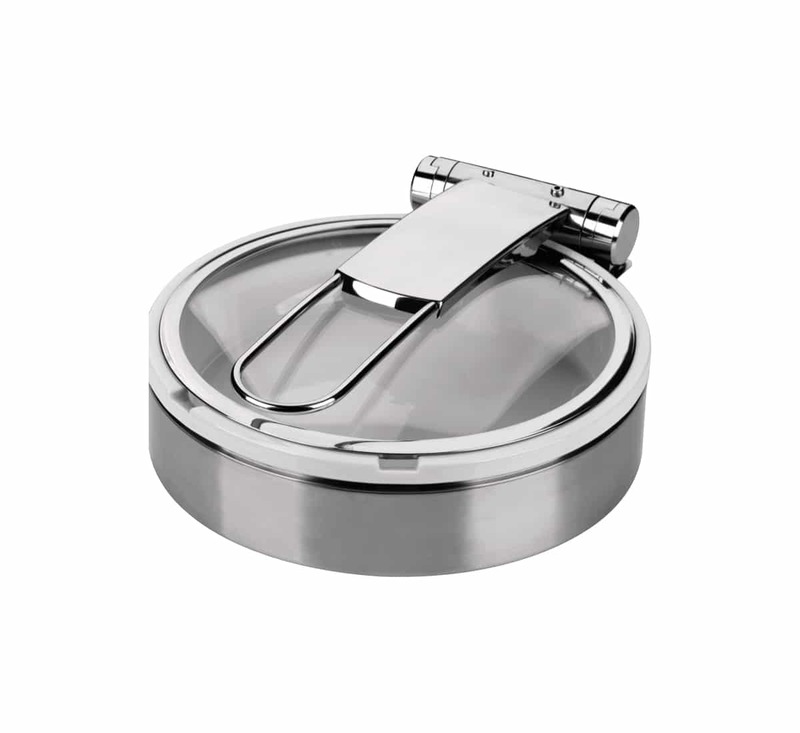 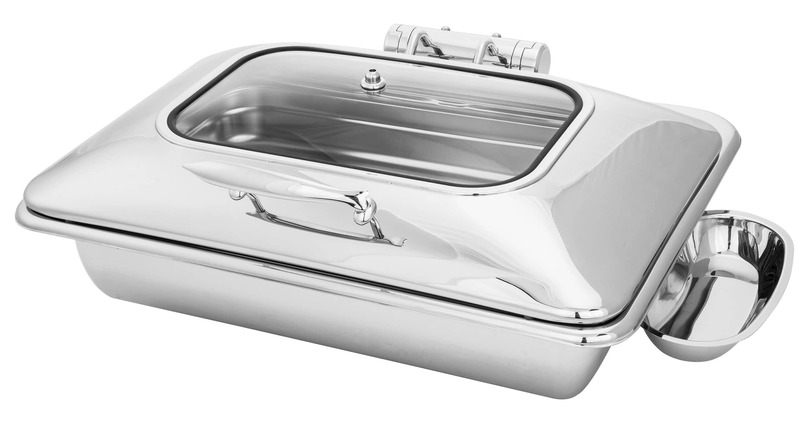 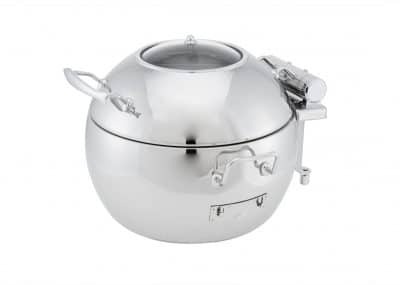 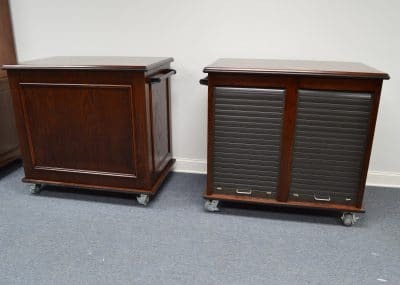 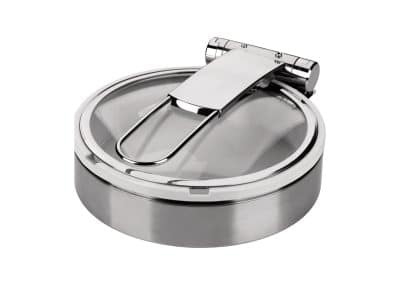 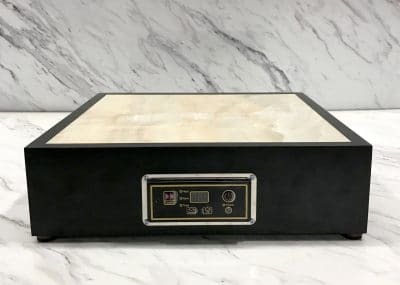 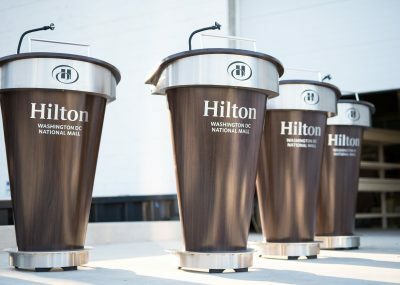 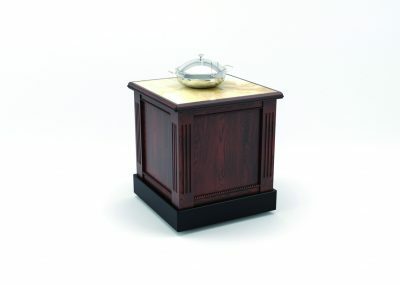 Portable induction boxes, protective covers, bar toppers, chafing dishes, and banquet furniture add-ons.